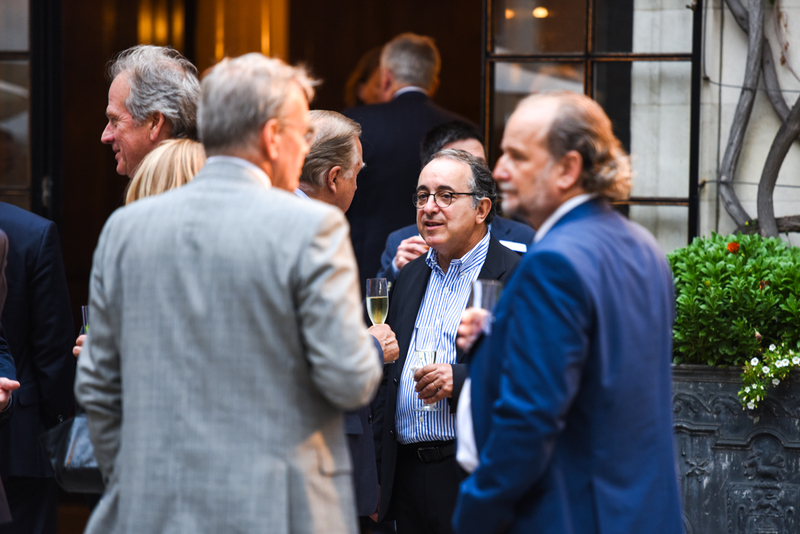 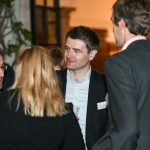 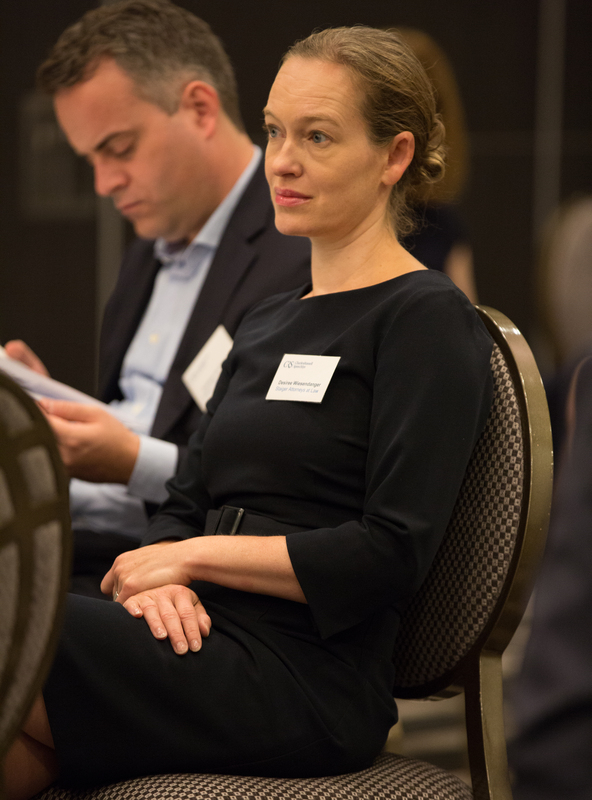 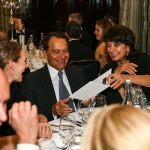 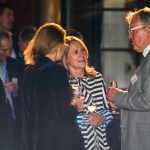 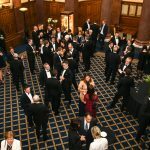 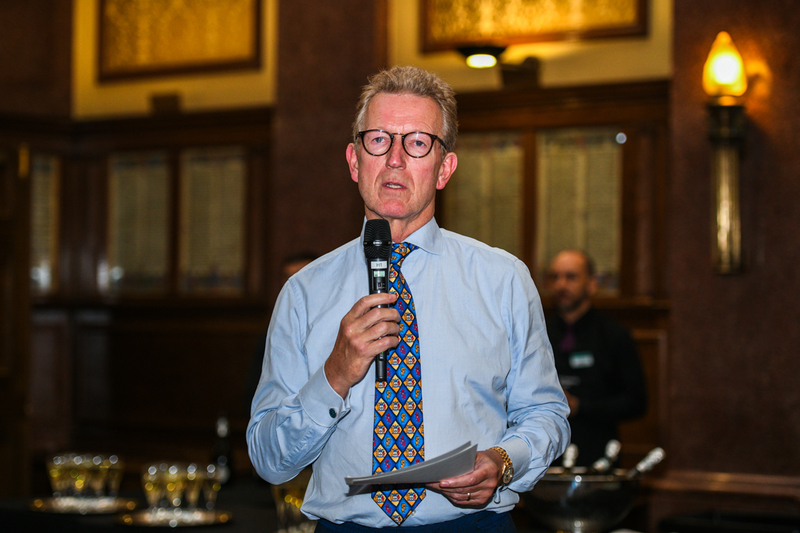 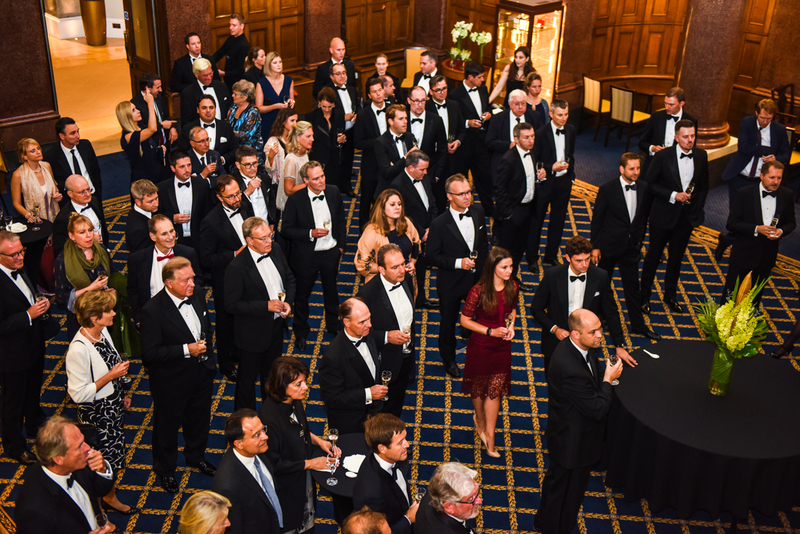 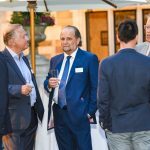 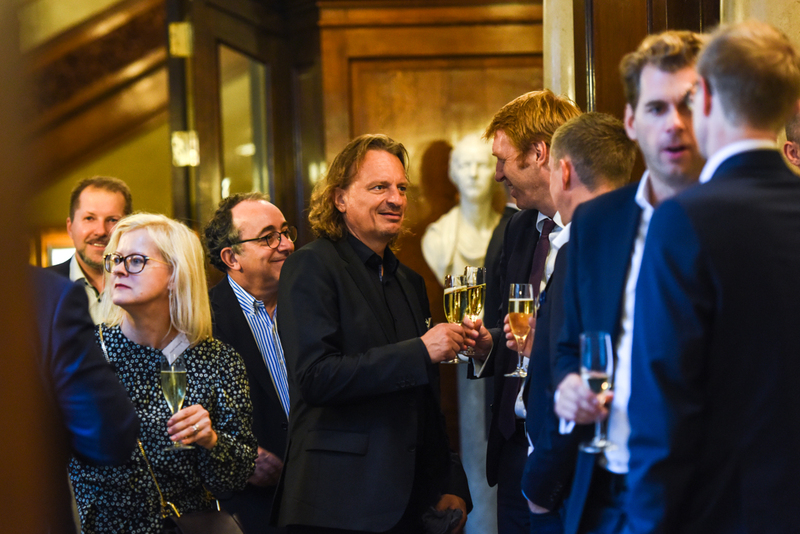 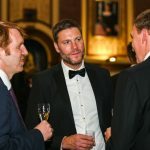 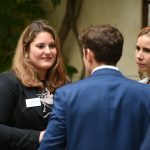 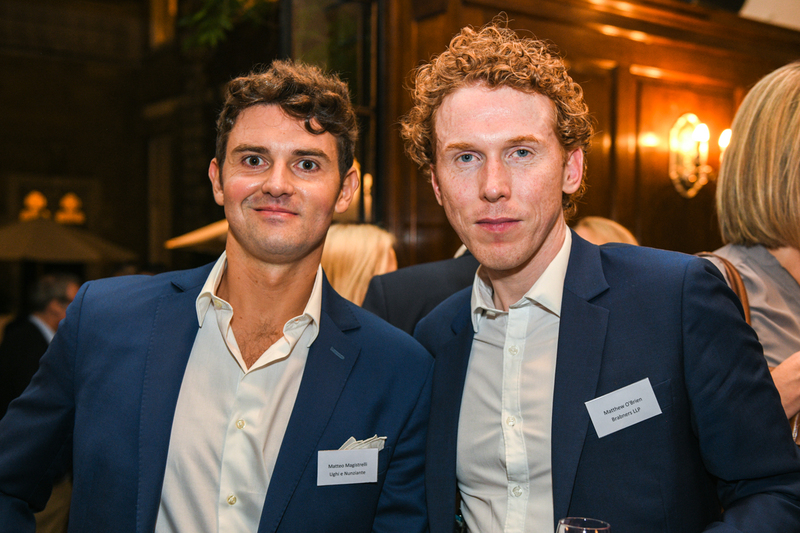 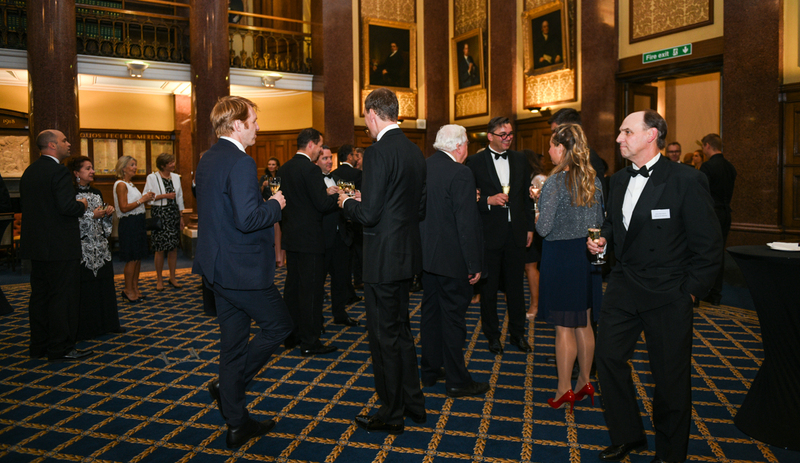 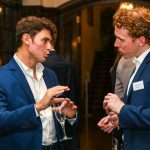 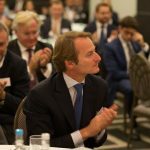 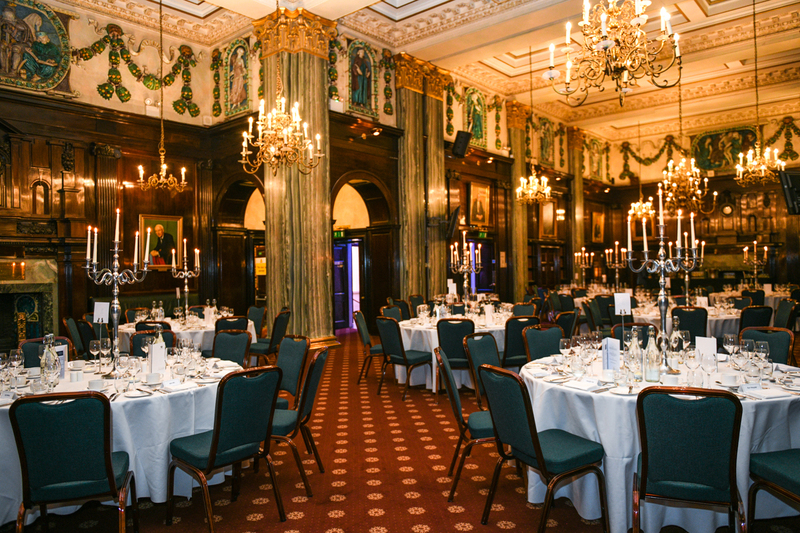 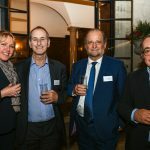 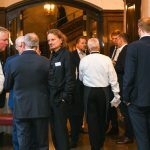 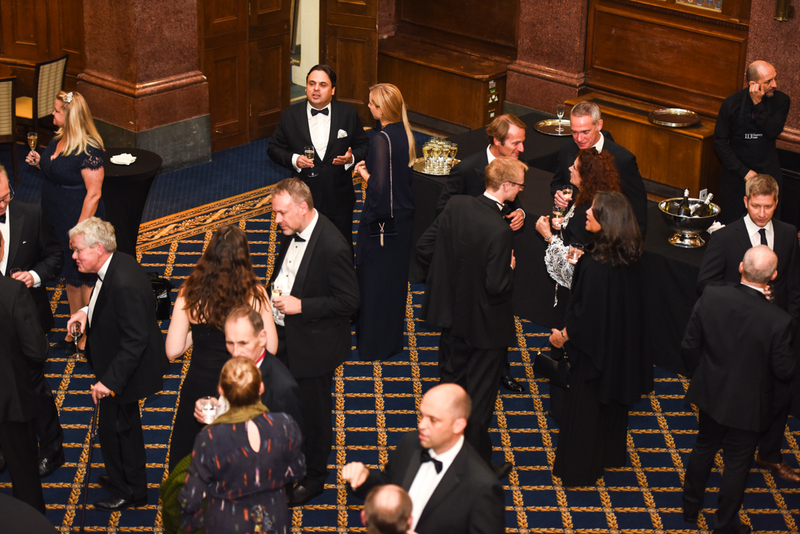 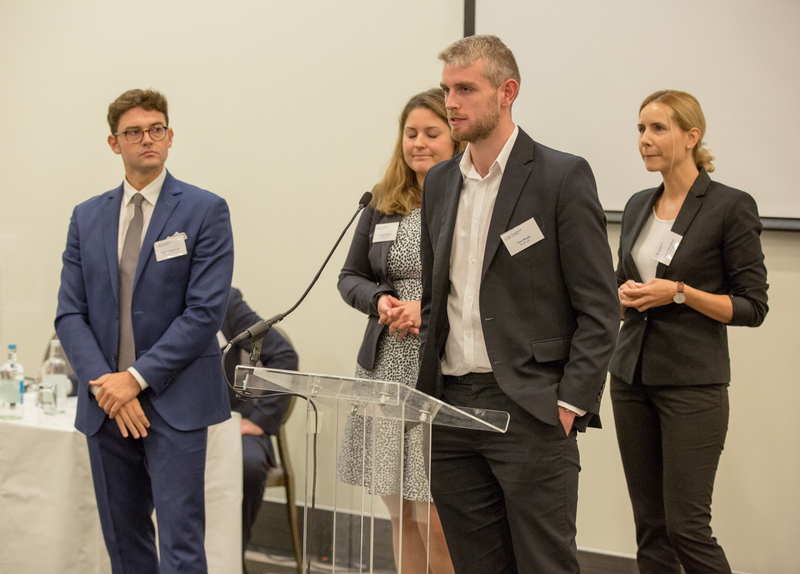 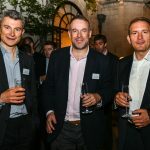 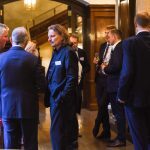 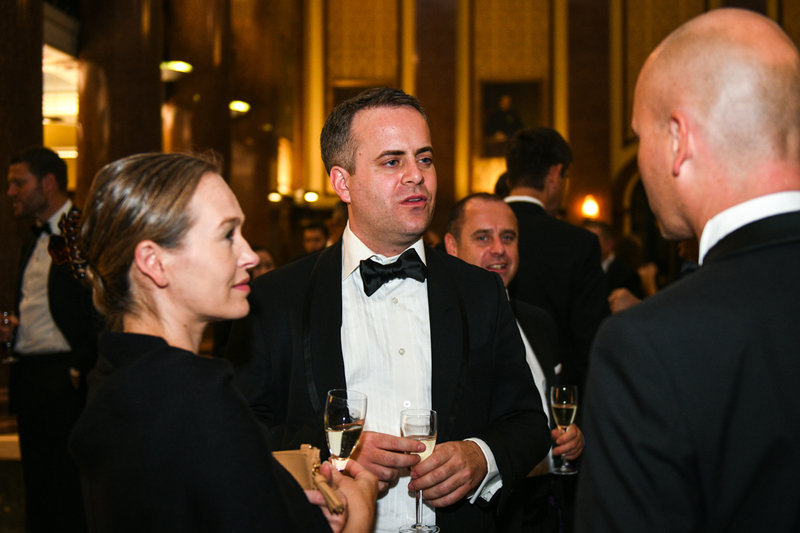 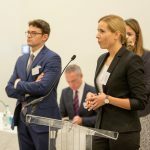 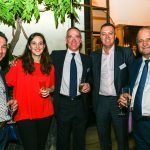 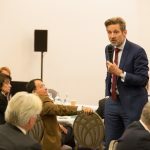 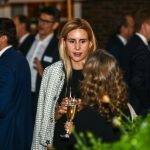 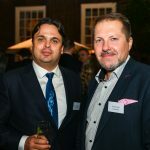 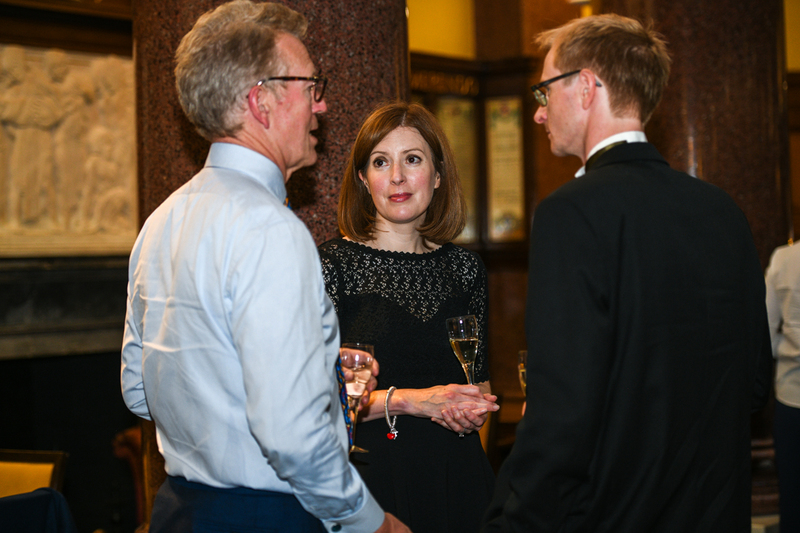 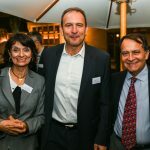 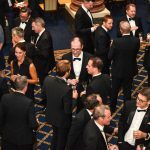 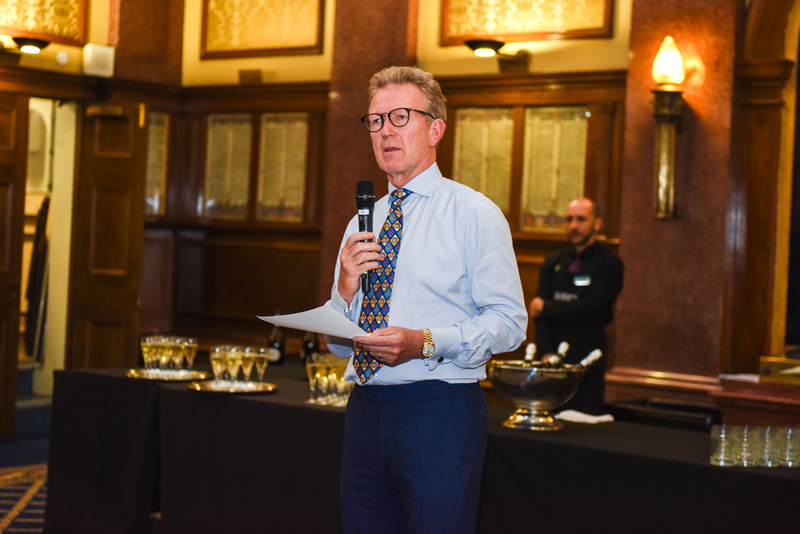 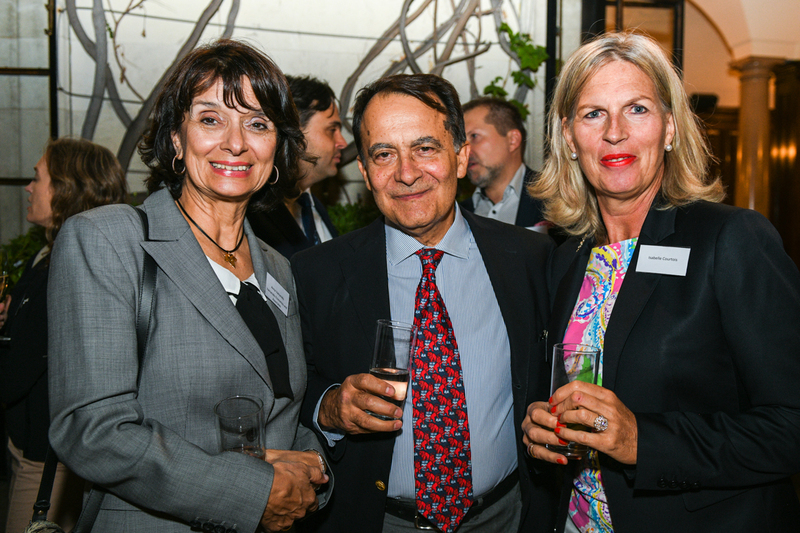 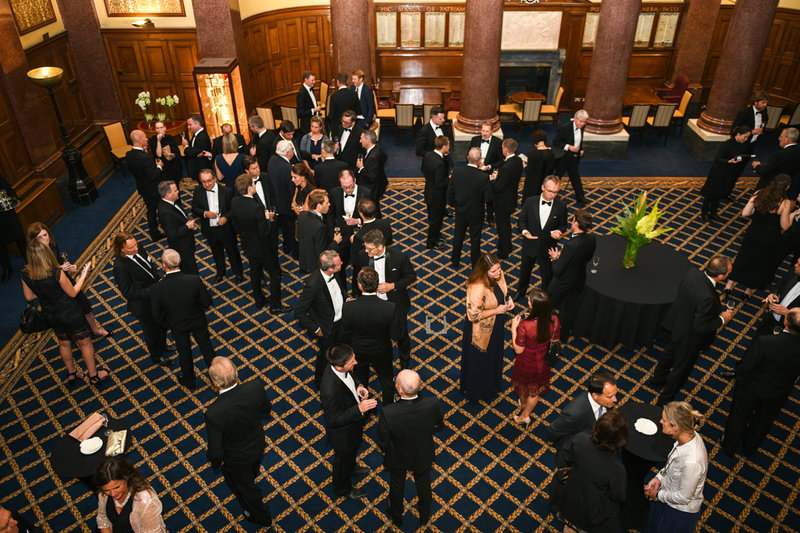 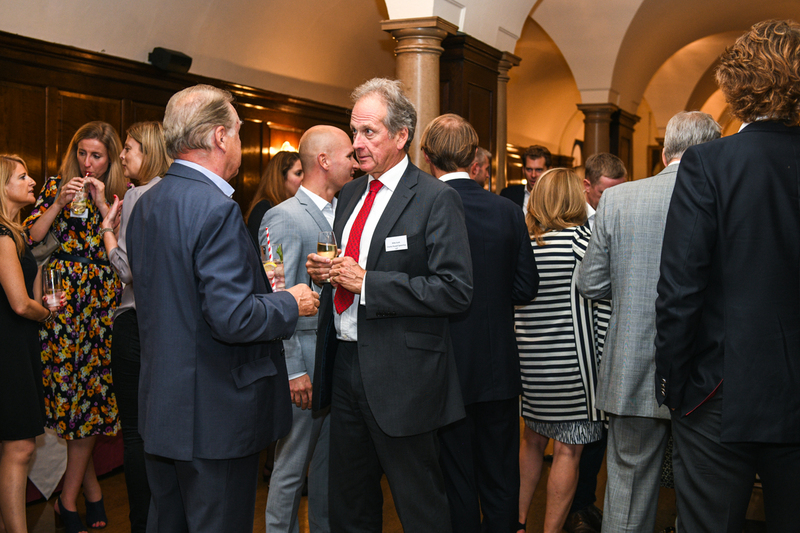 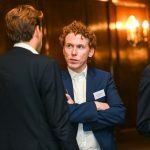 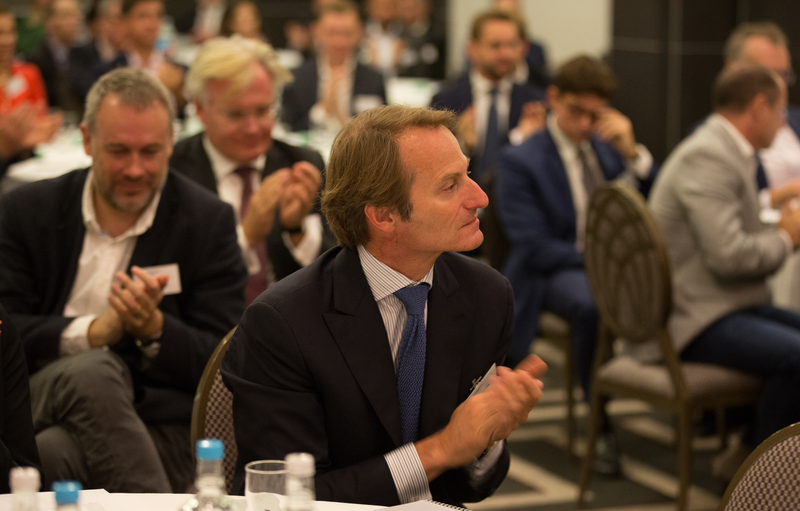 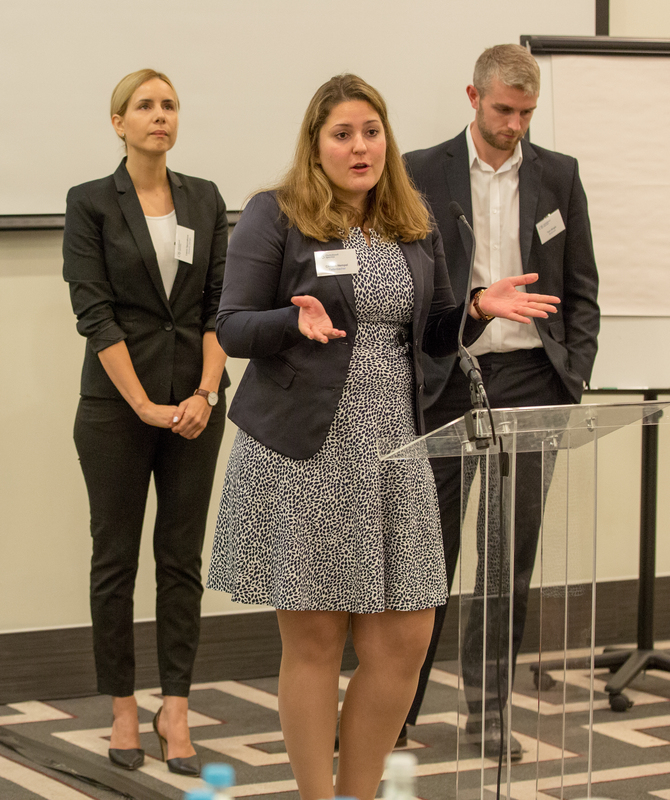 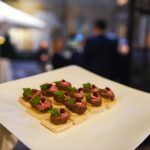 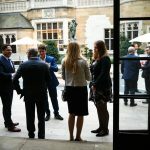 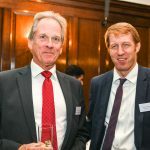 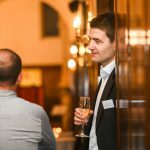 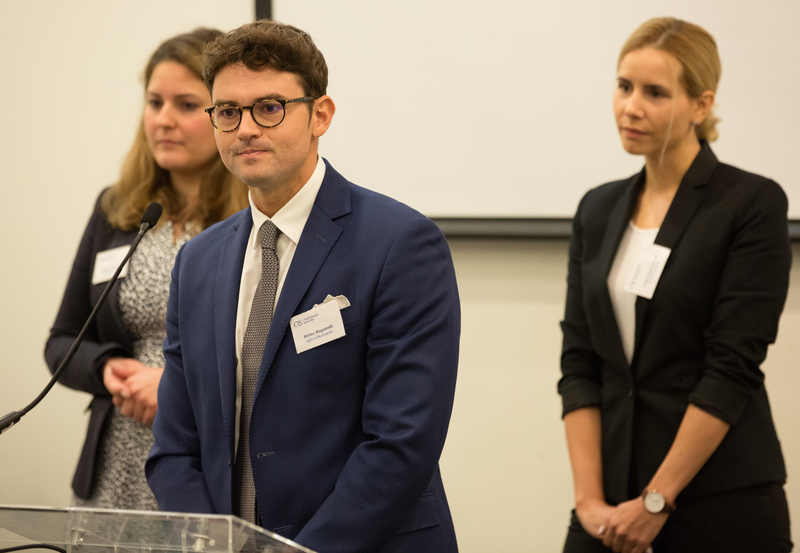 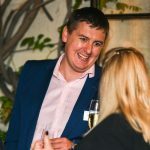 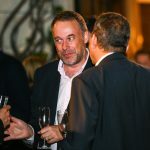 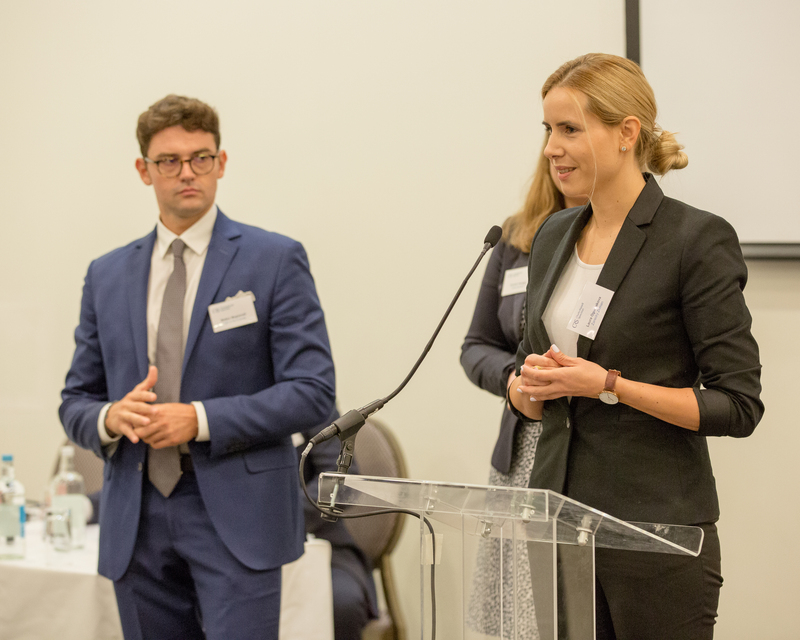 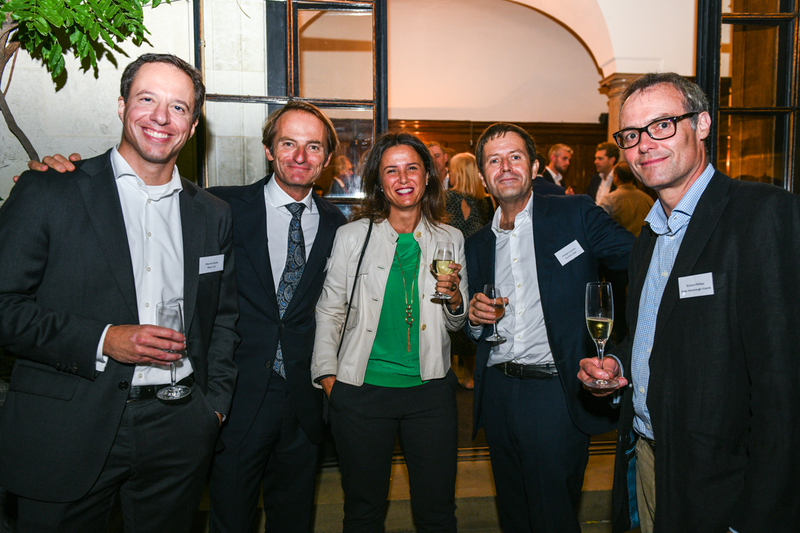 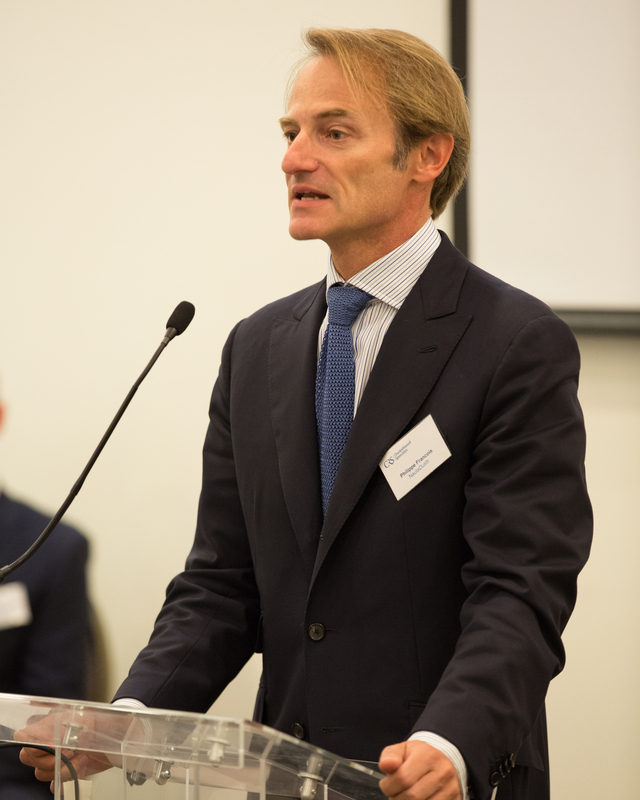 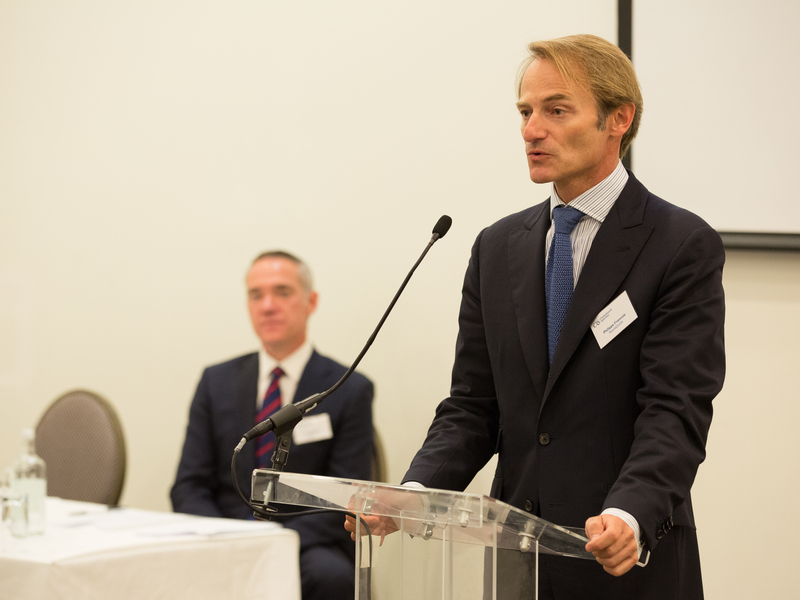 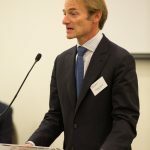 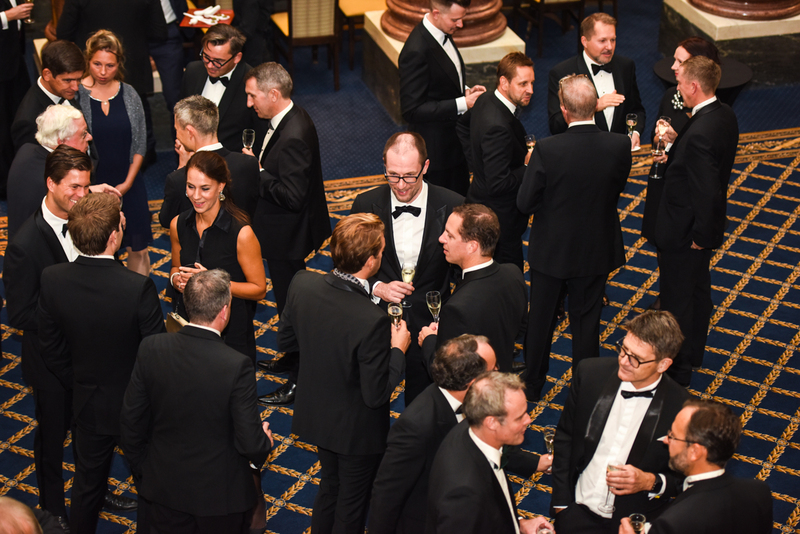 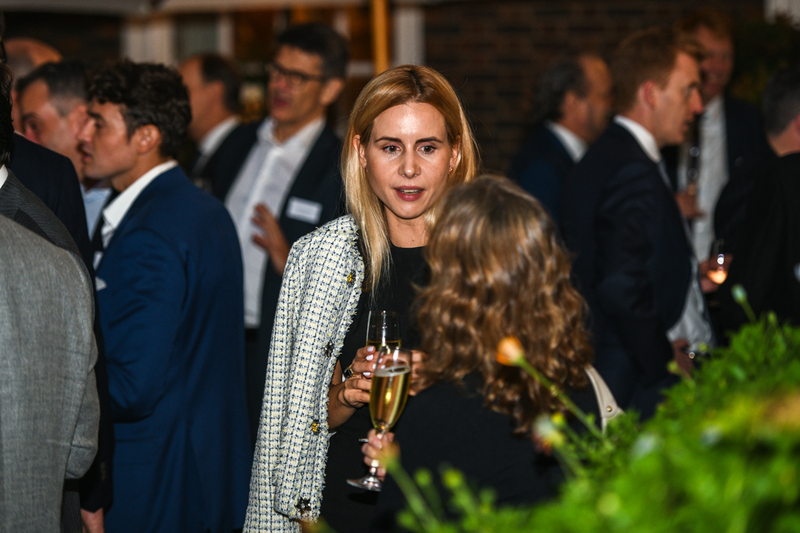 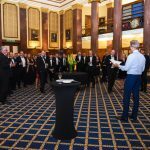 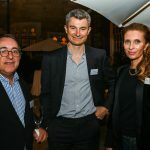 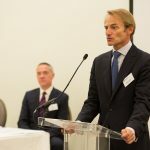 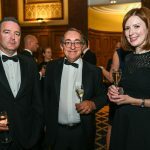 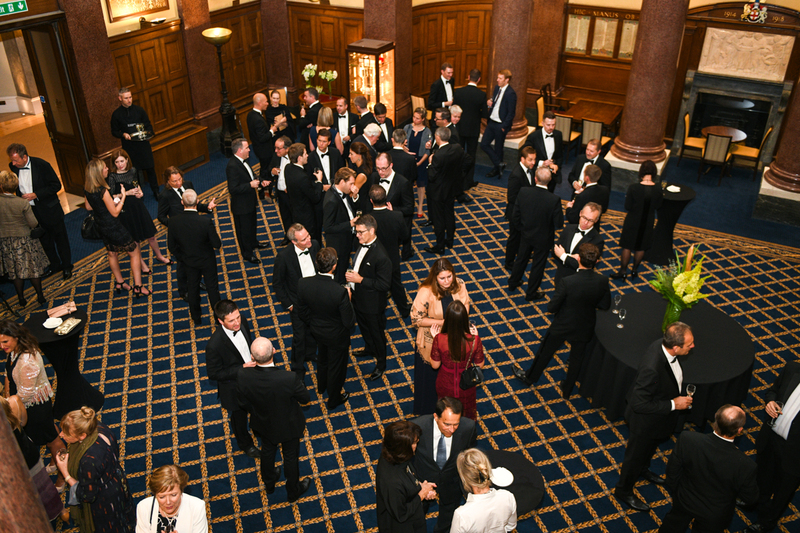 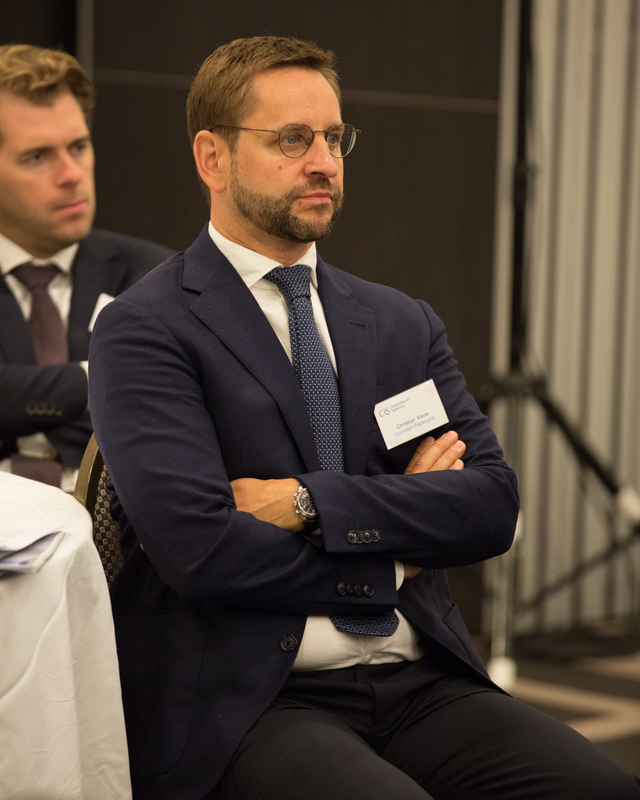 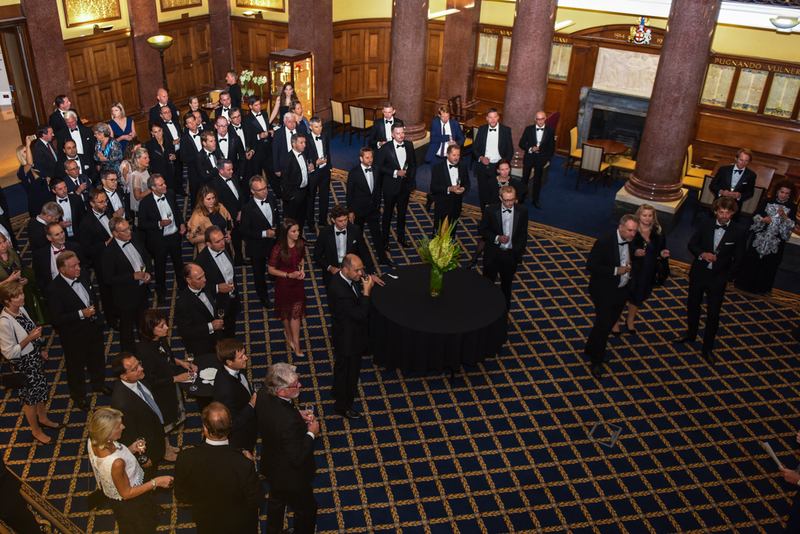 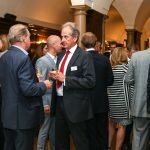 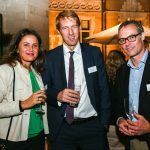 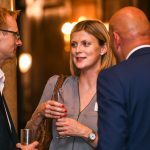 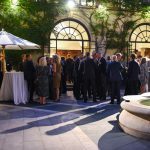 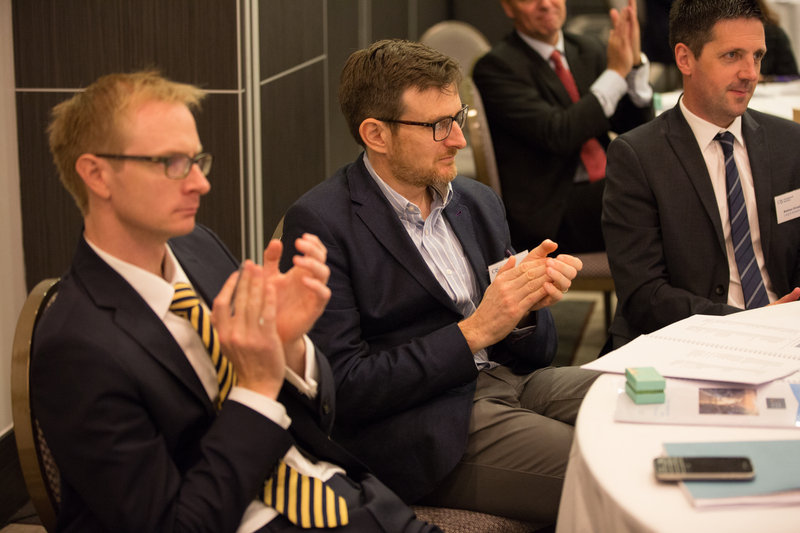 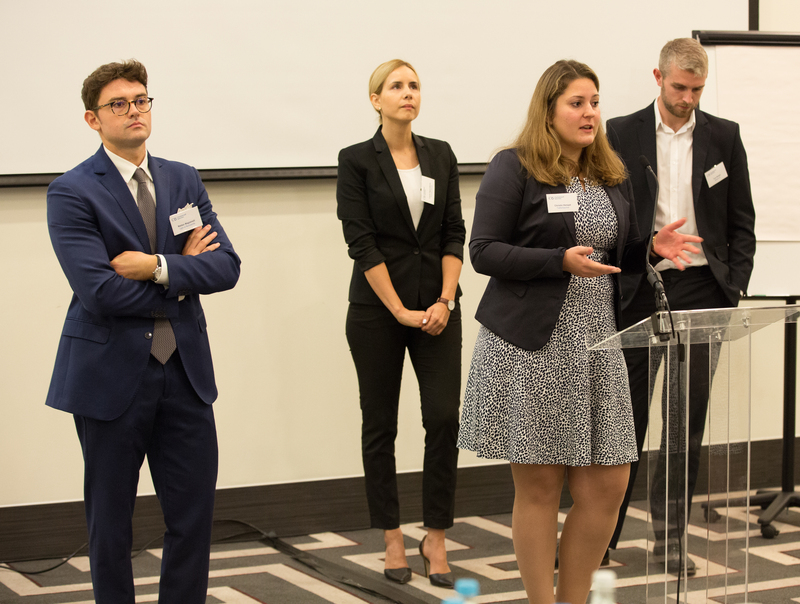 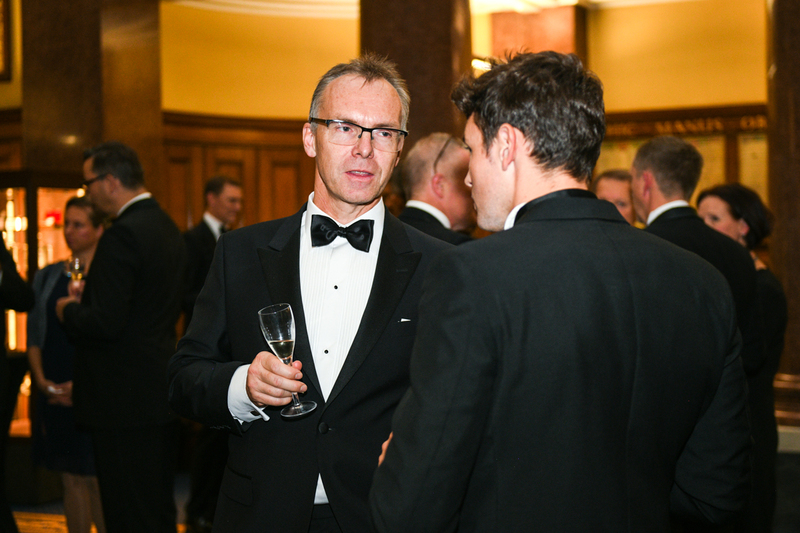 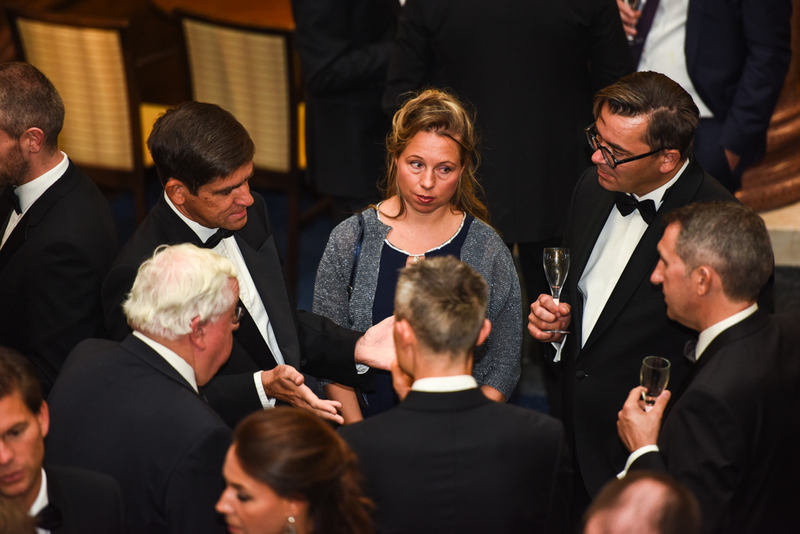 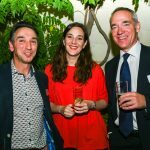 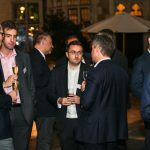 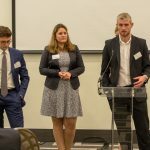 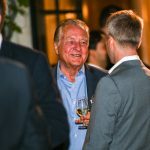 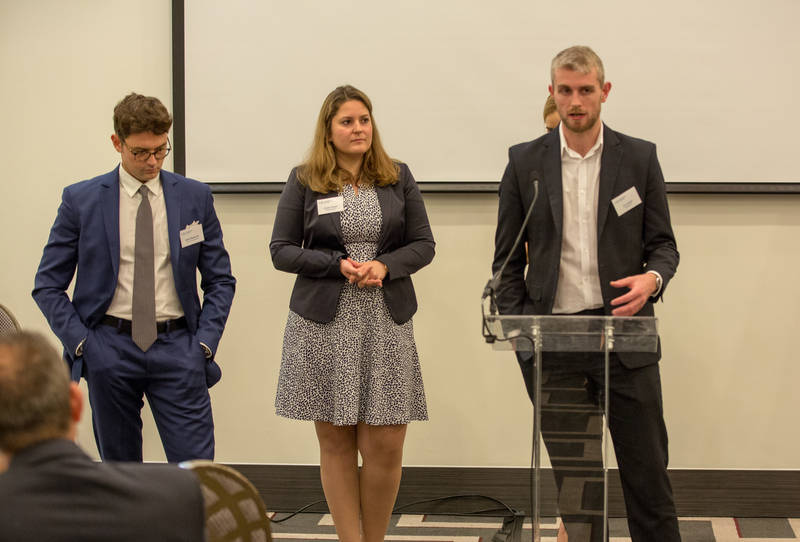 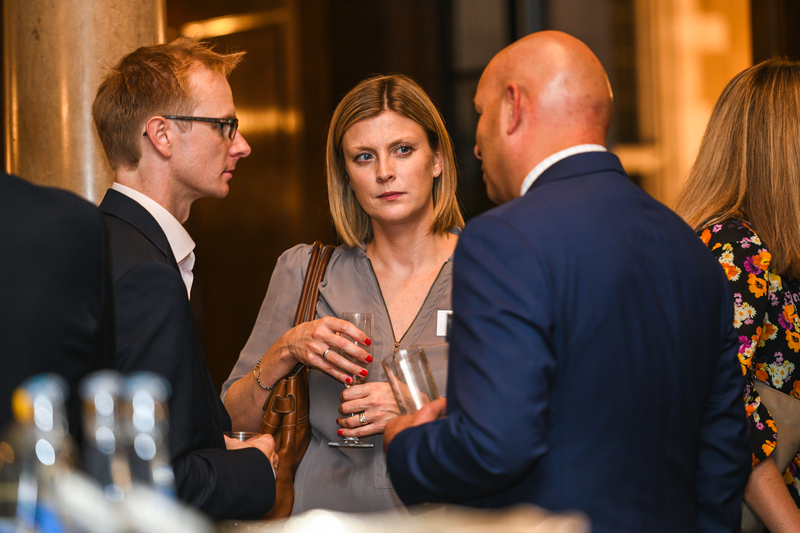 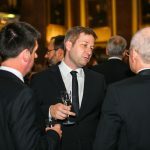 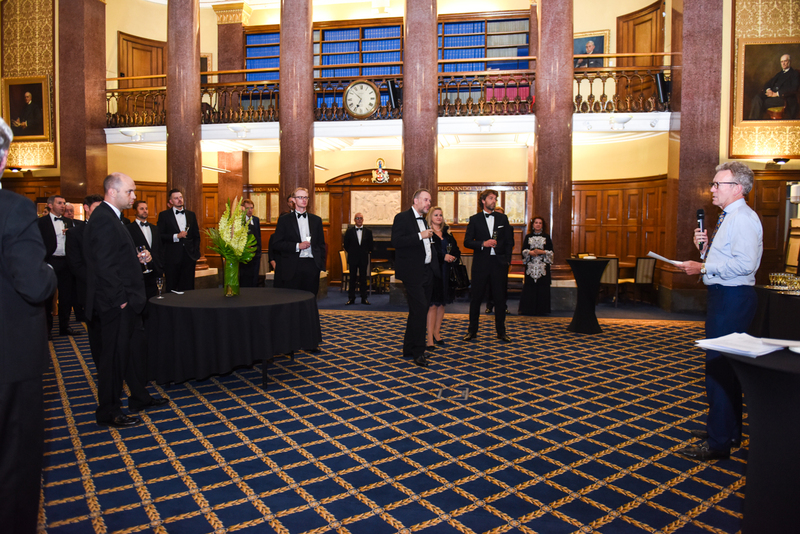 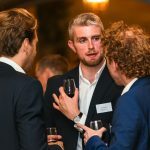 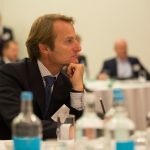 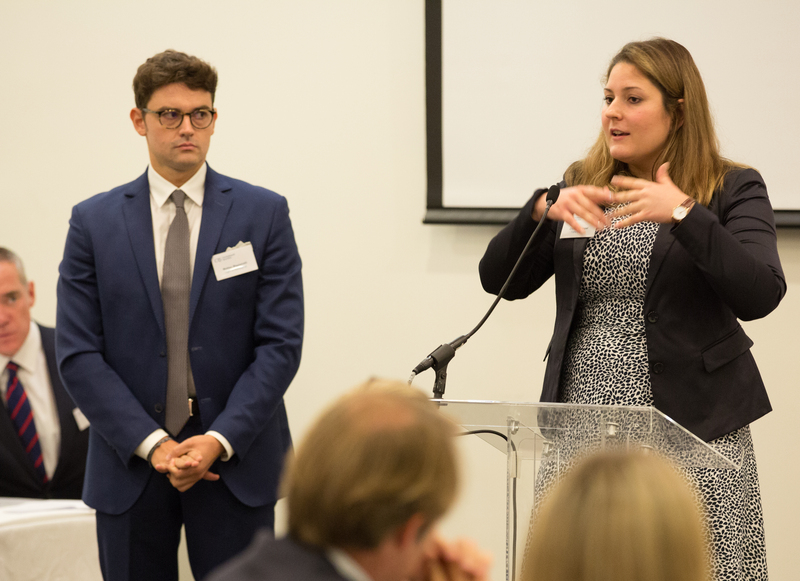 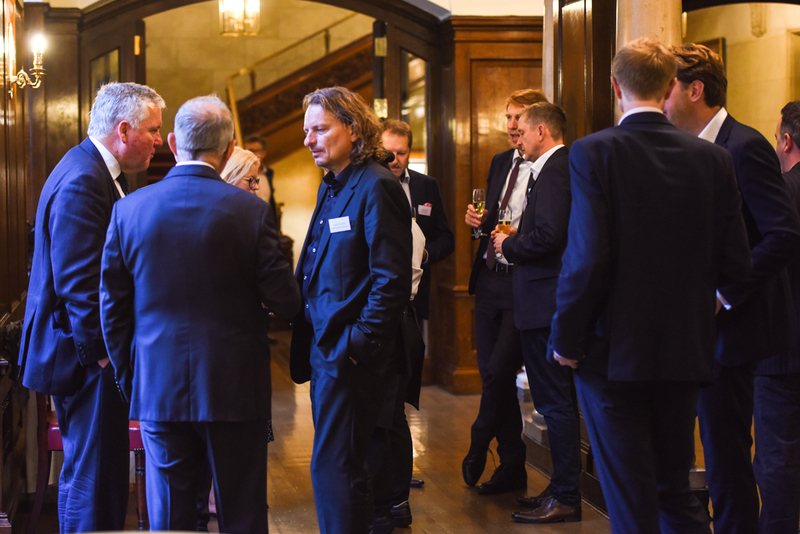 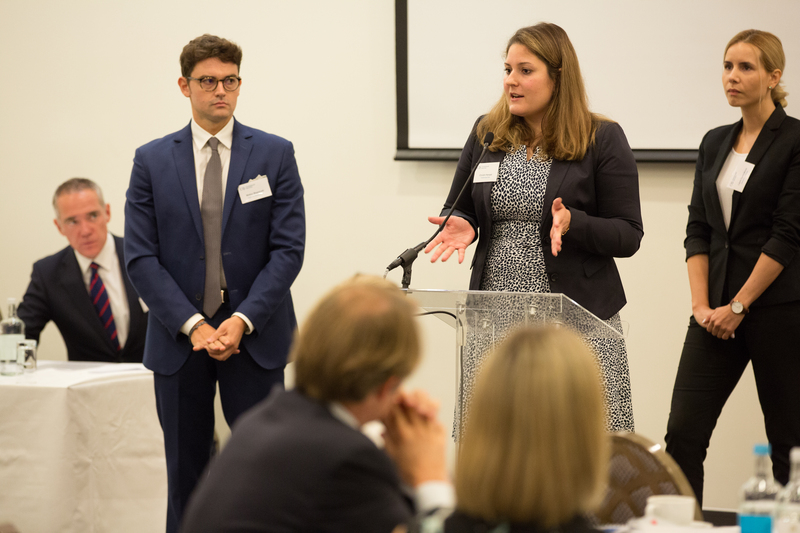 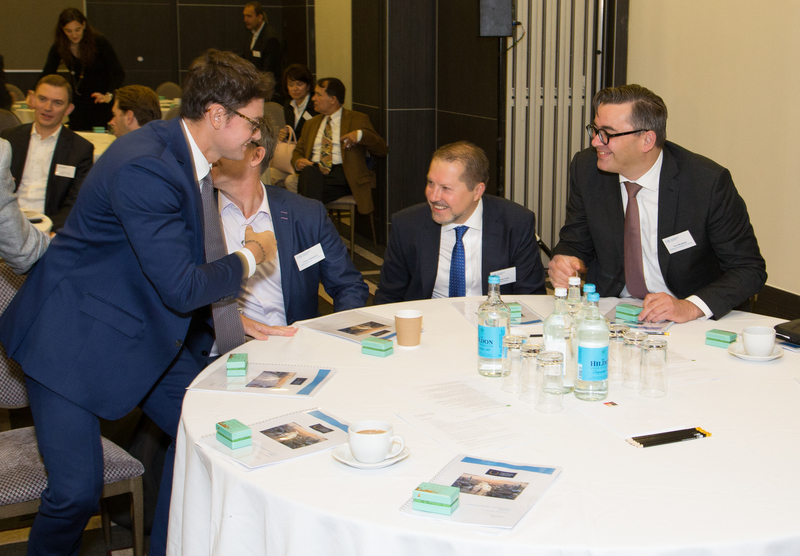 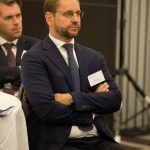 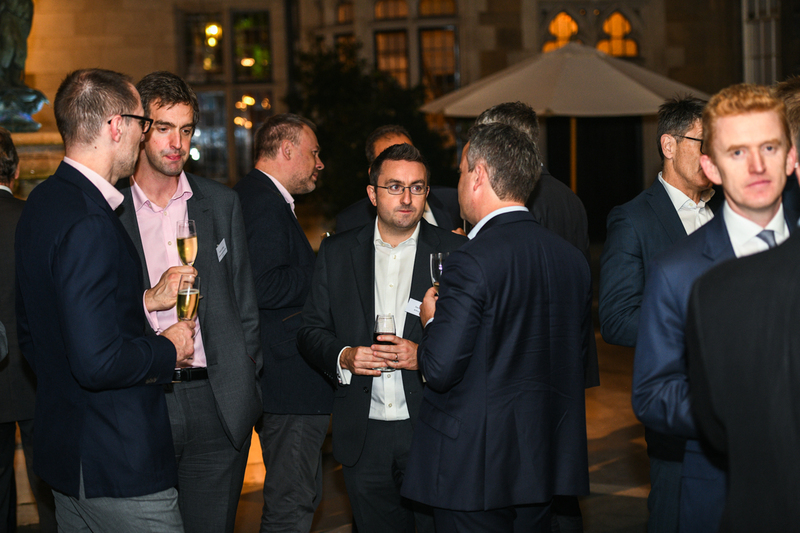 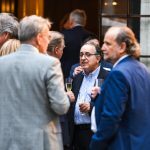 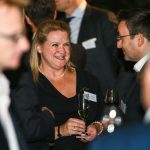 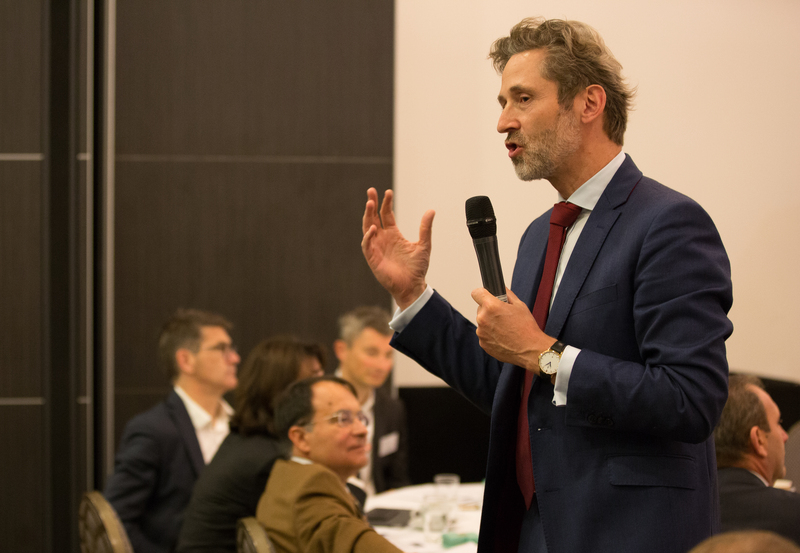 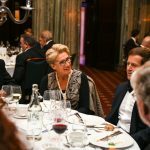 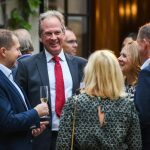 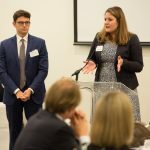 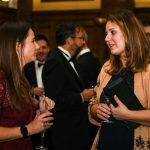 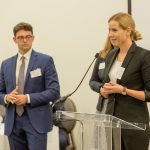 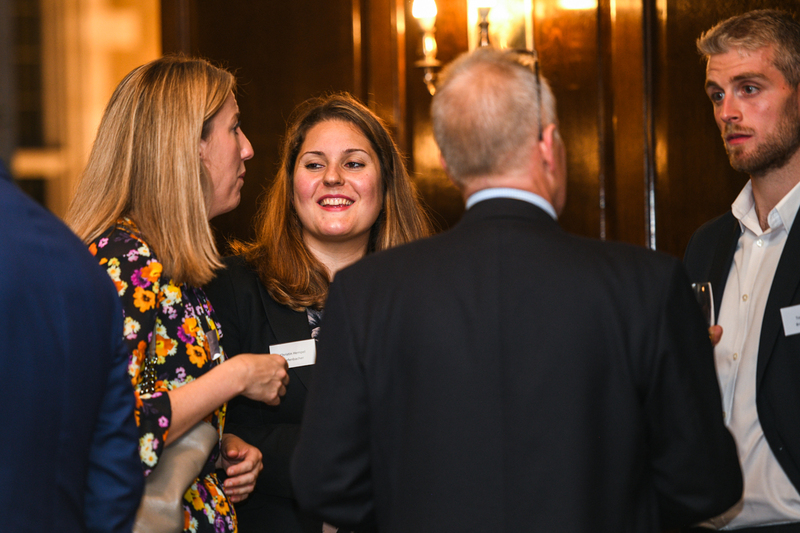 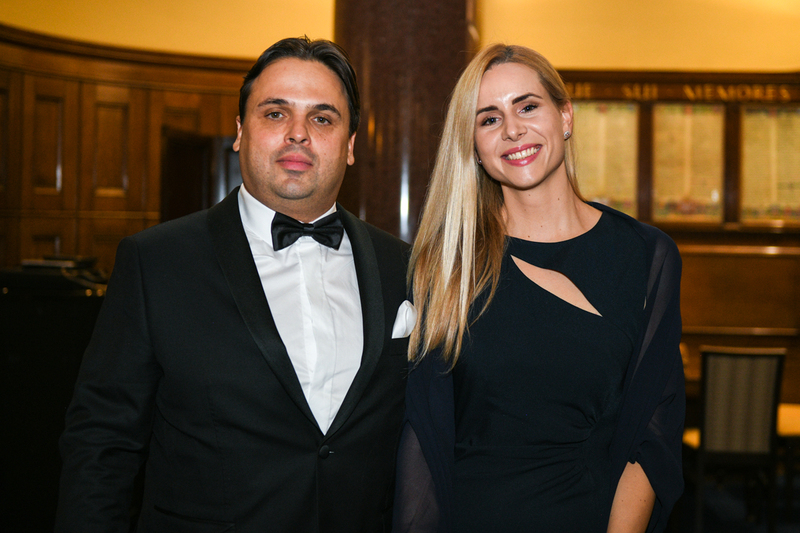 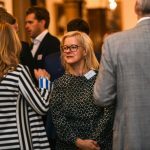 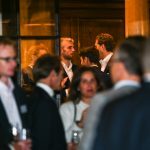 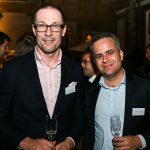 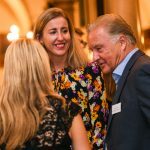 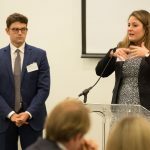 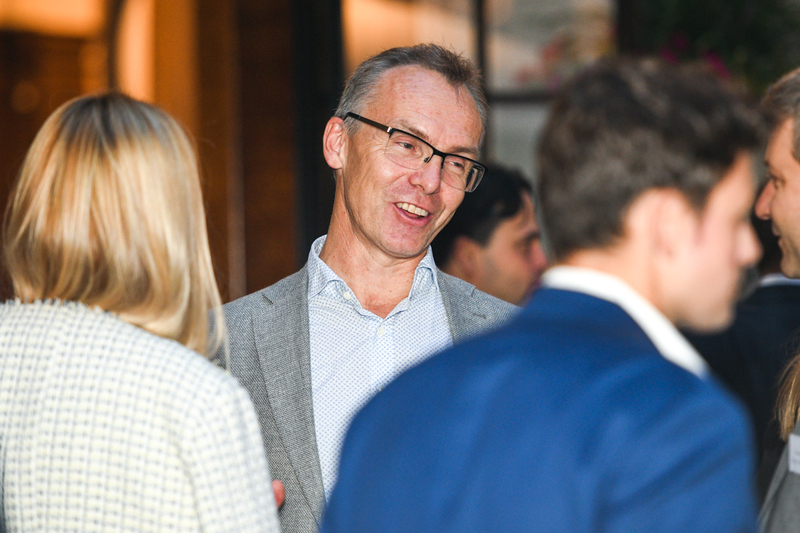 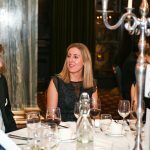 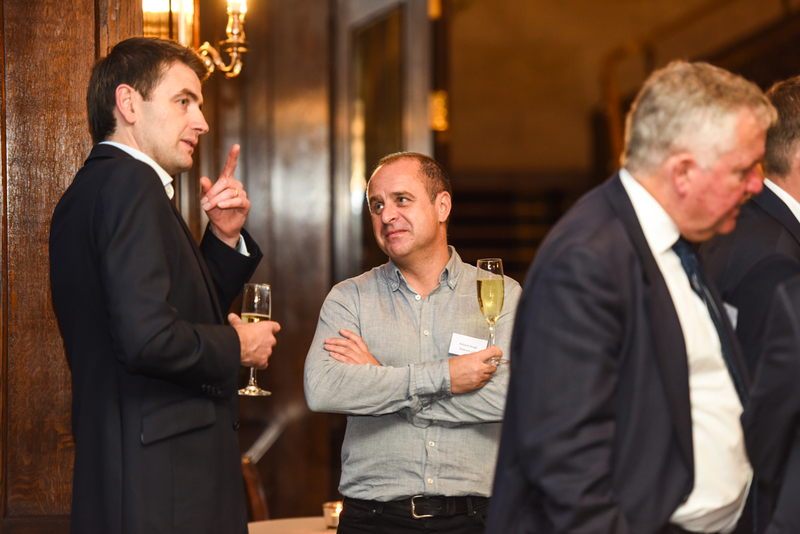 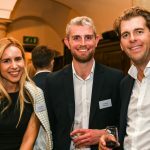 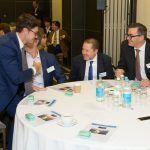 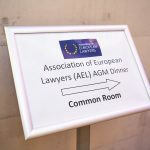 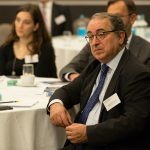 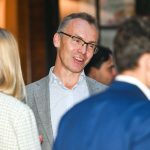 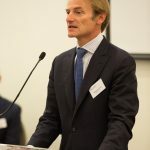 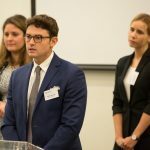 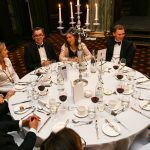 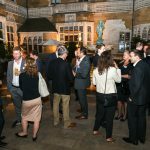 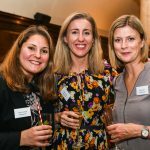 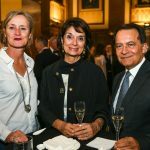 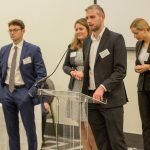 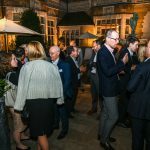 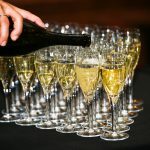 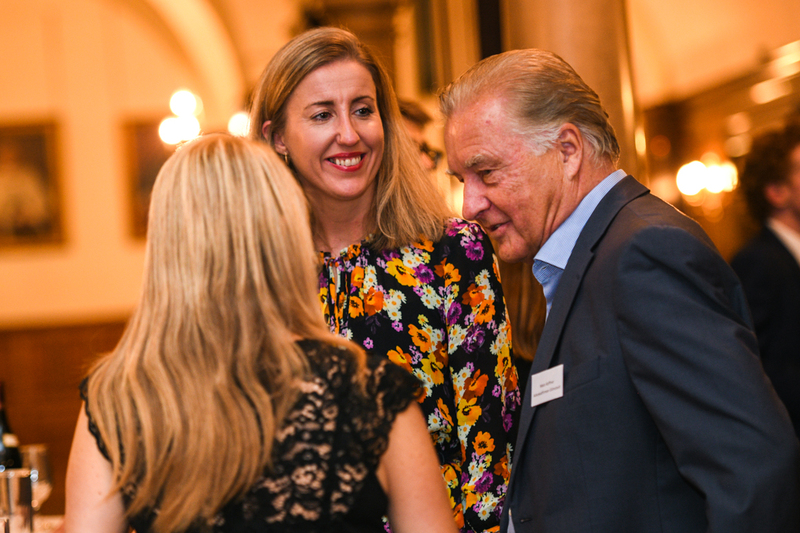 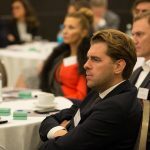 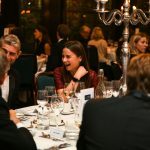 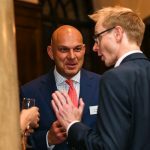 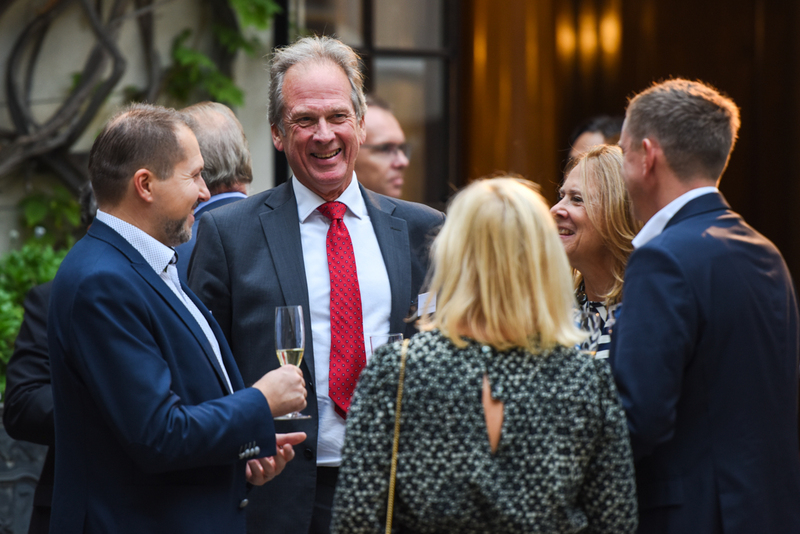 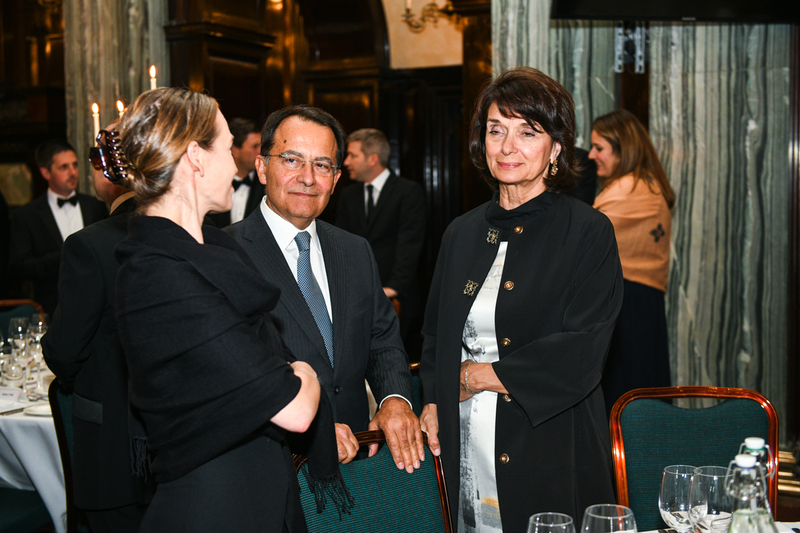 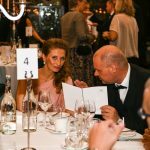 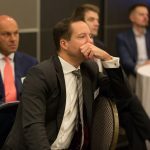 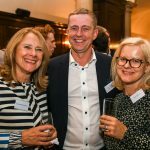 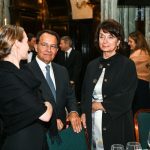 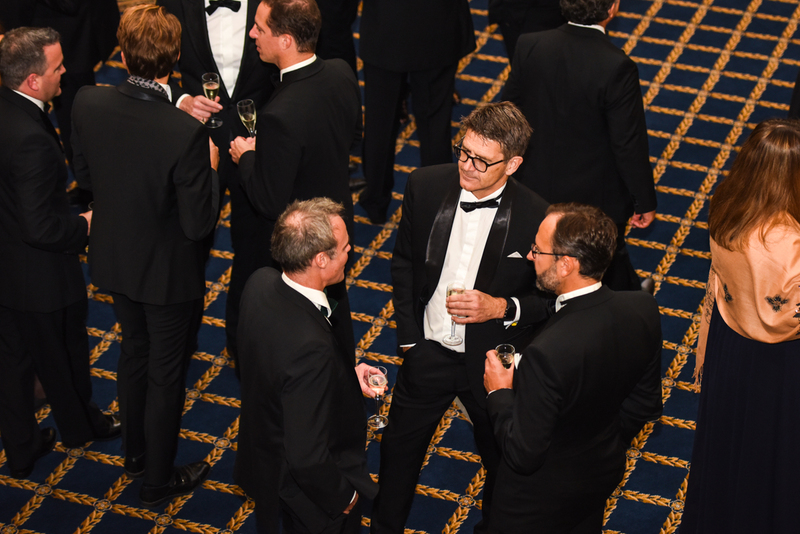 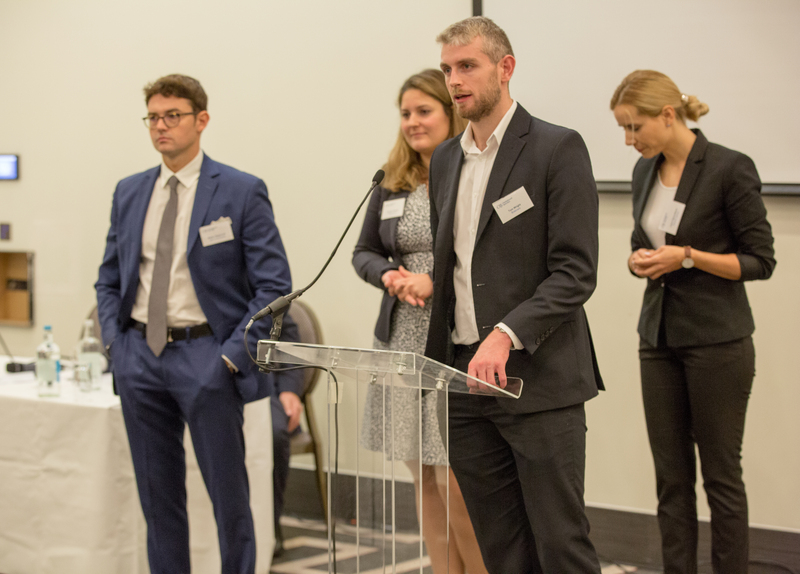 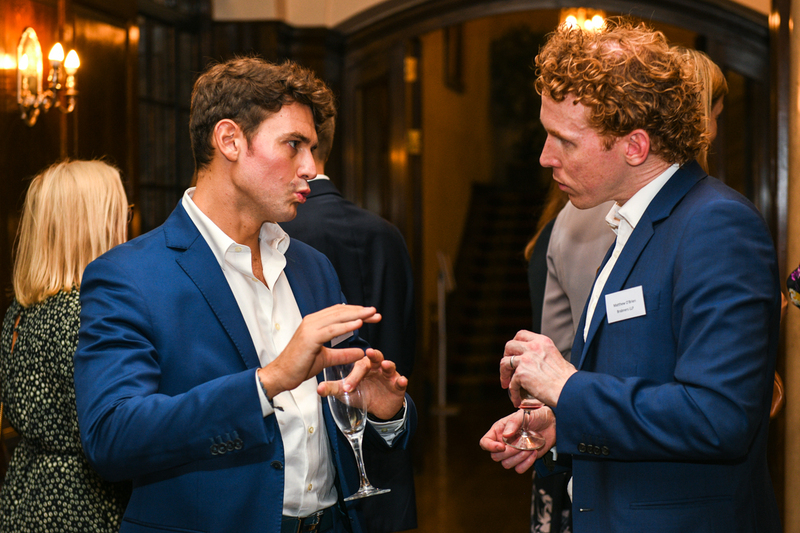 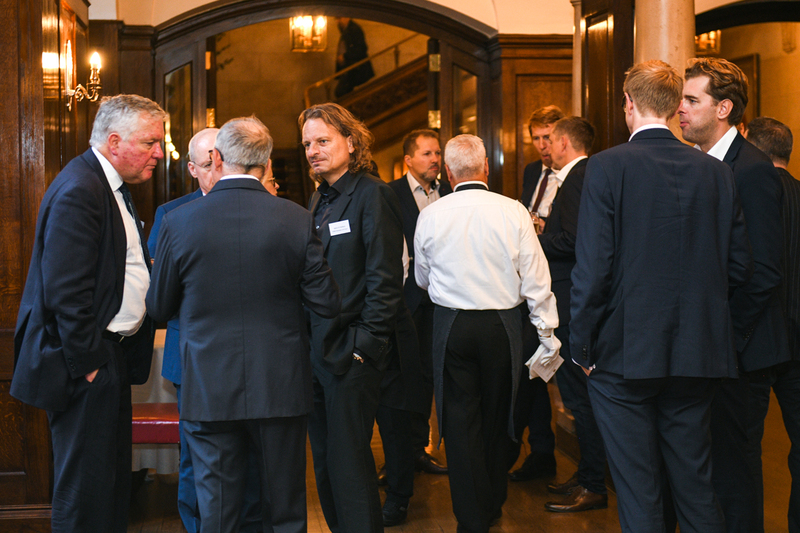 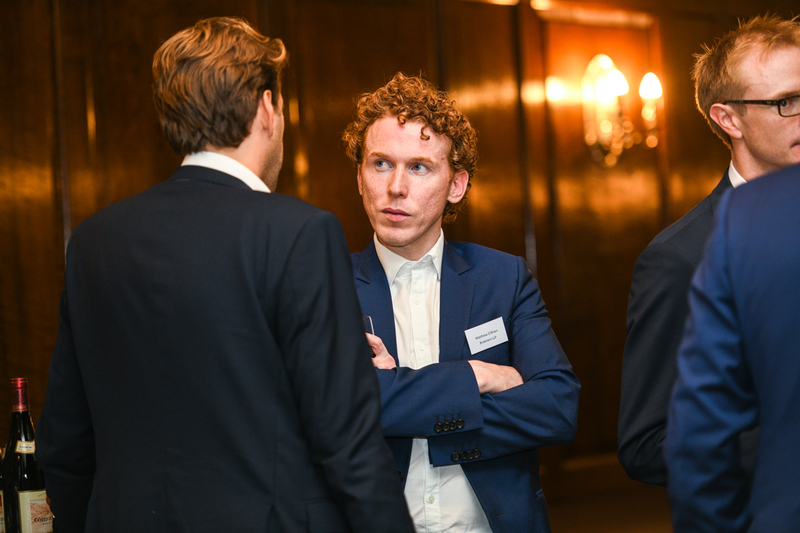 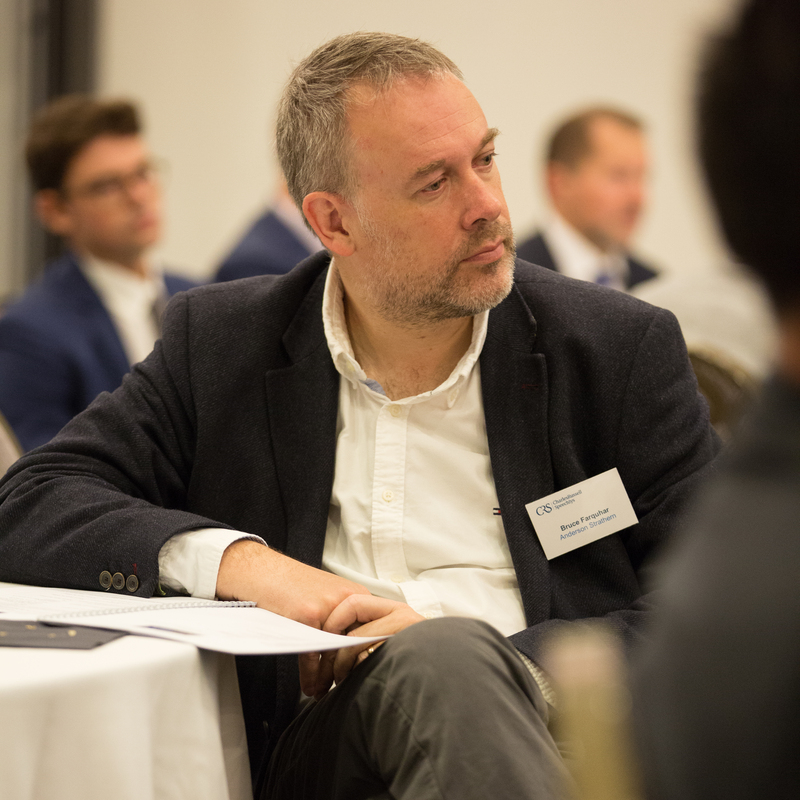 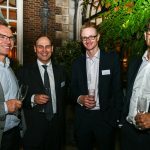 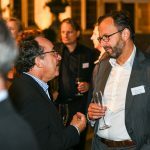 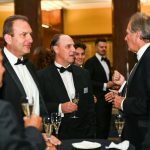 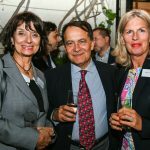 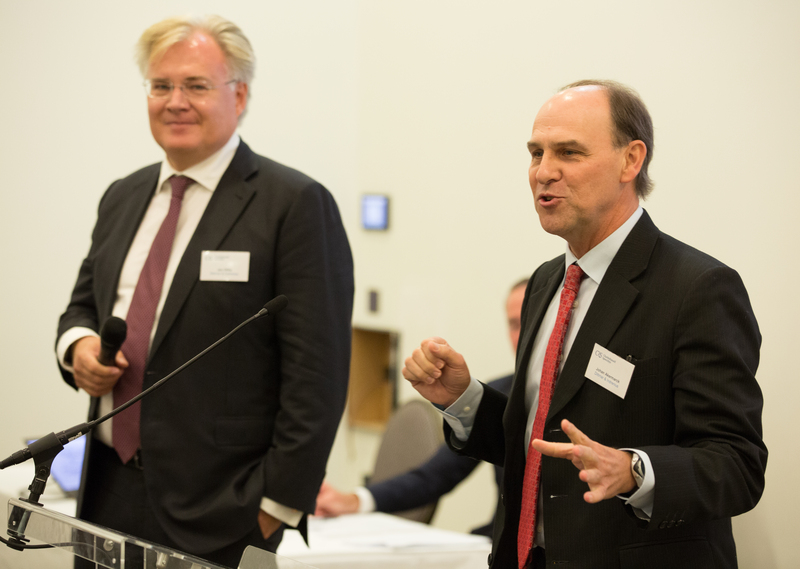 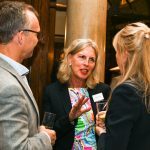 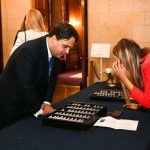 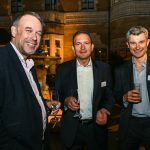 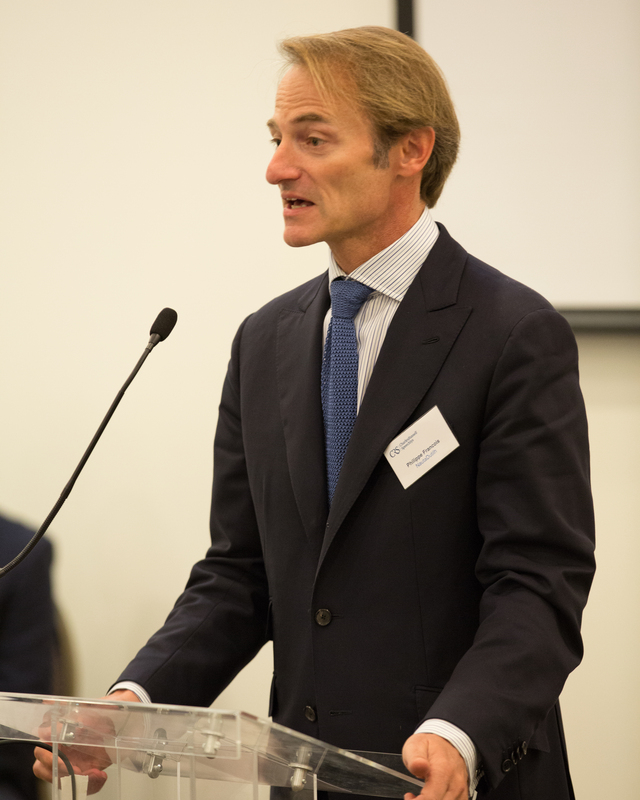 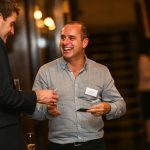 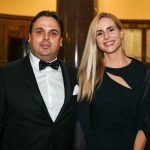 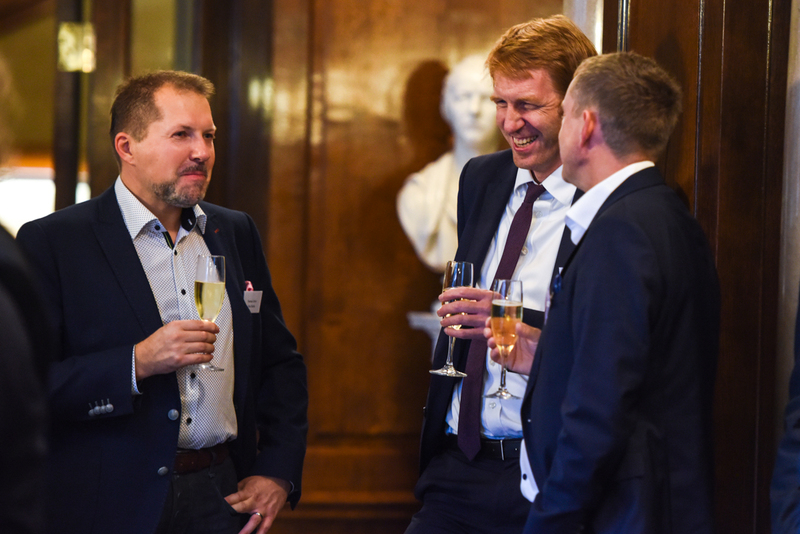 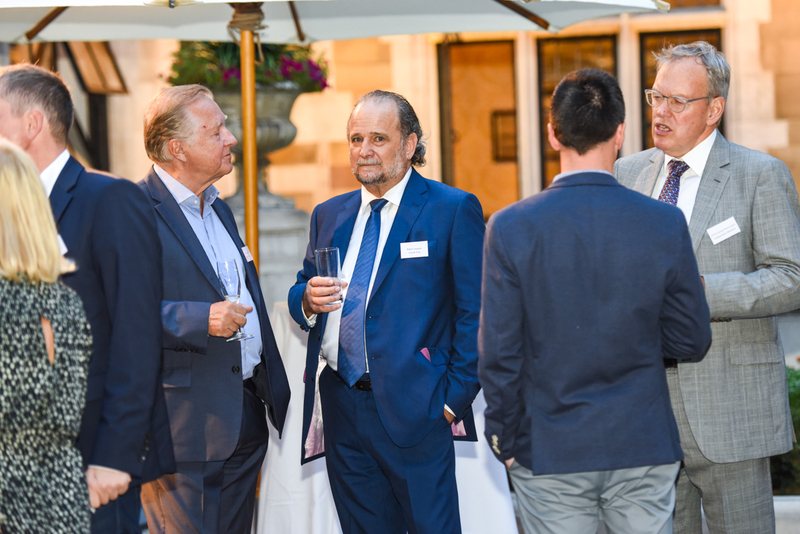 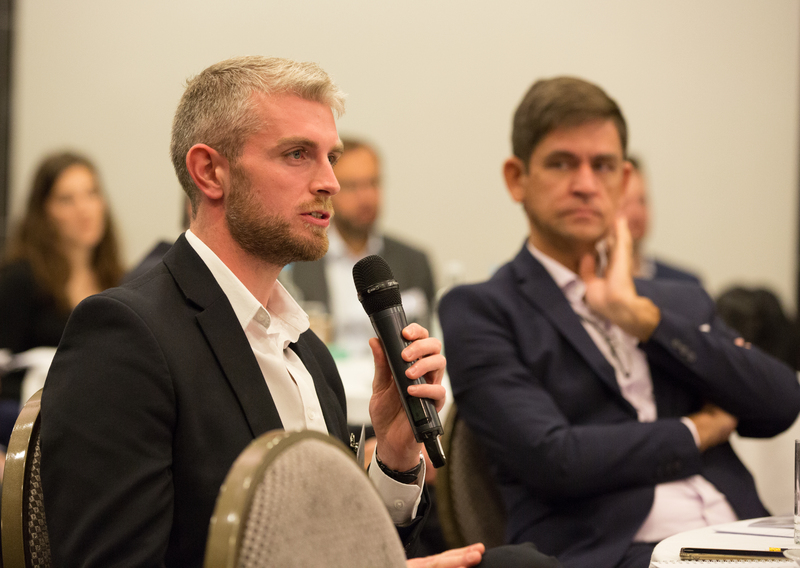 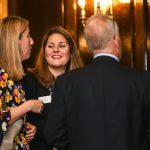 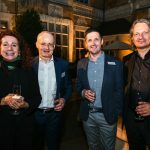 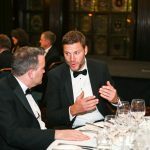 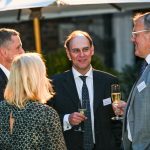 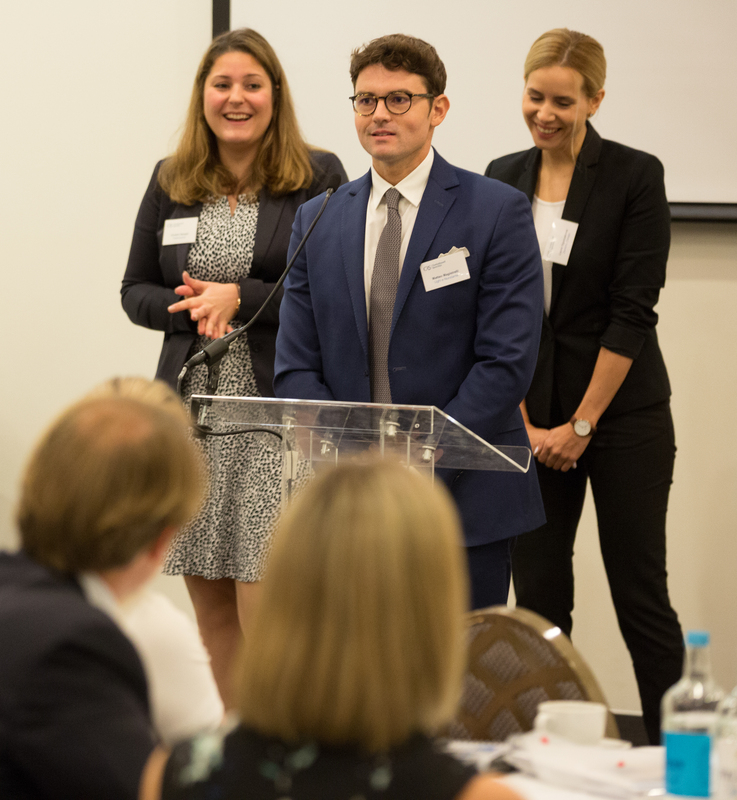 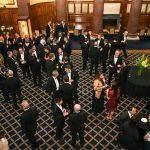 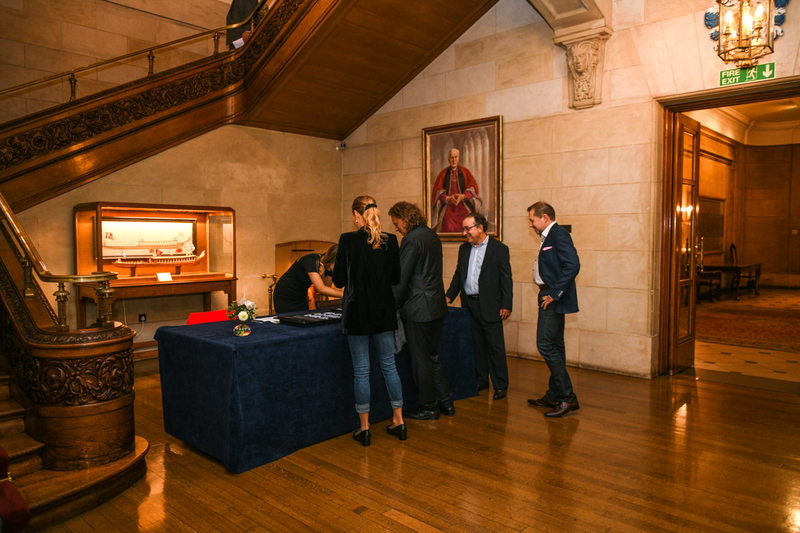 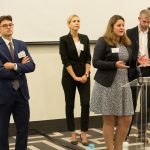 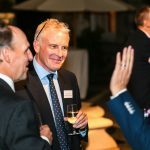 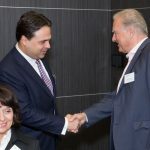 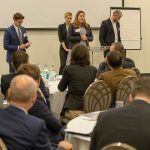 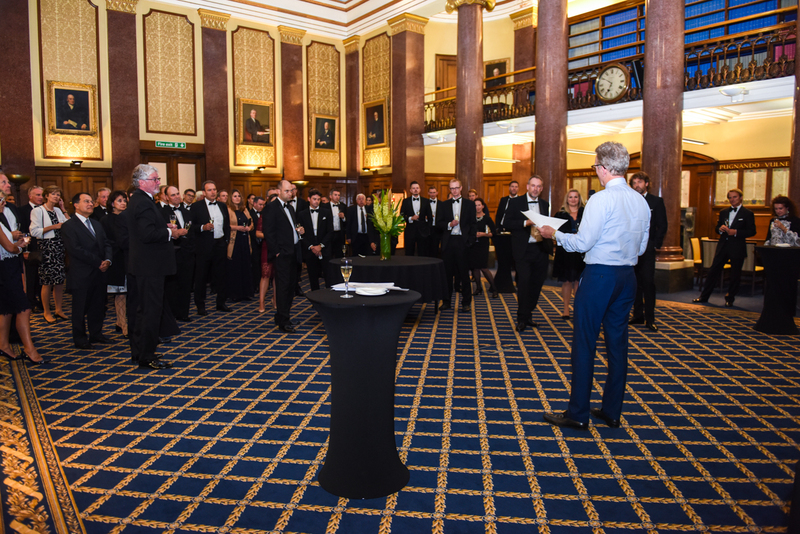 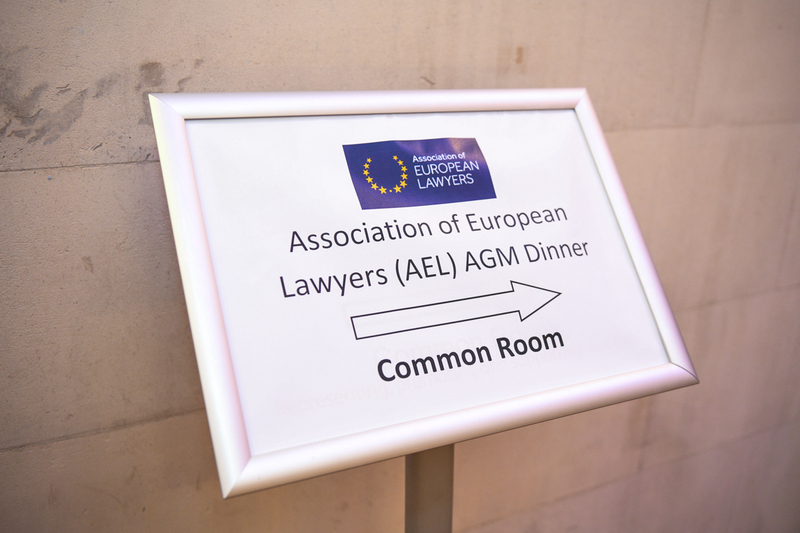 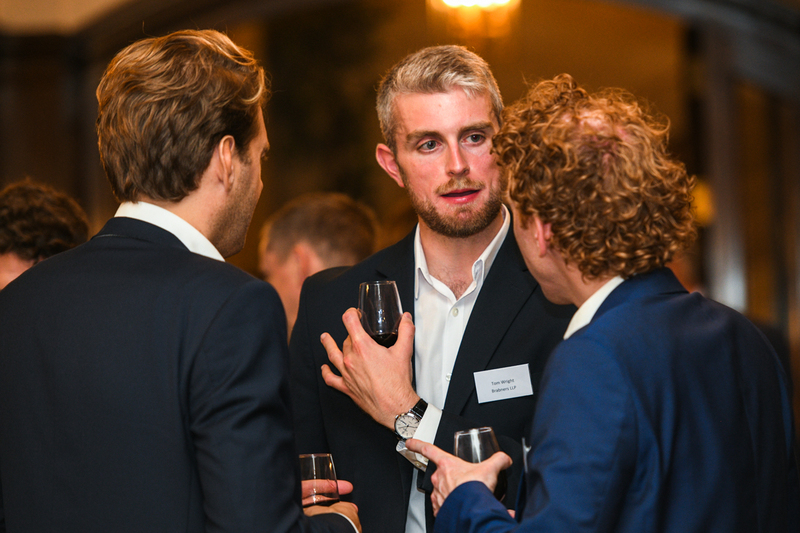 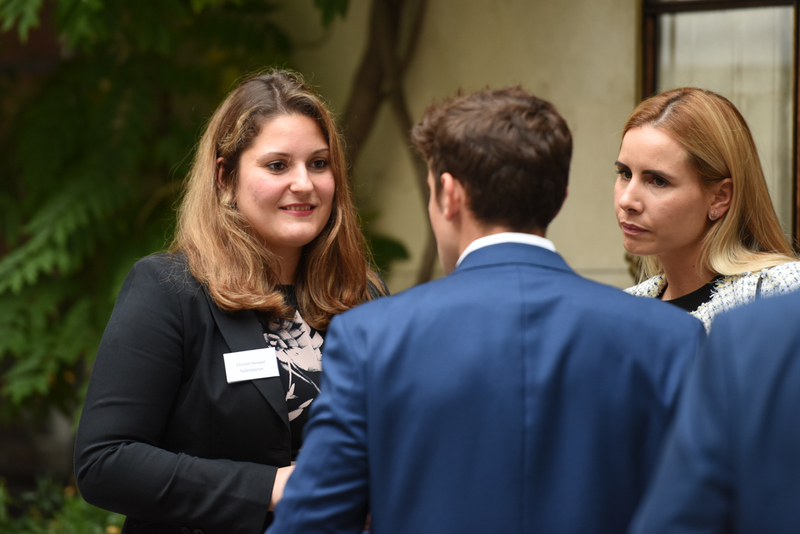 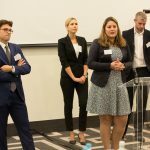 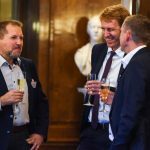 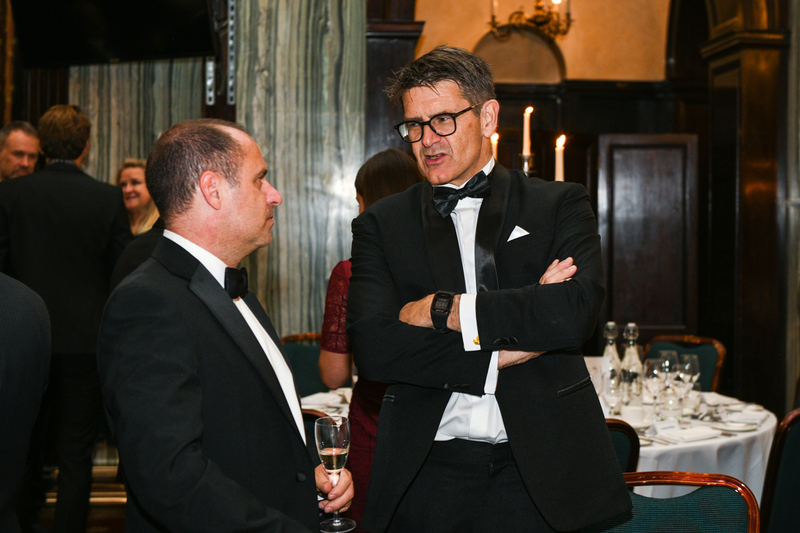 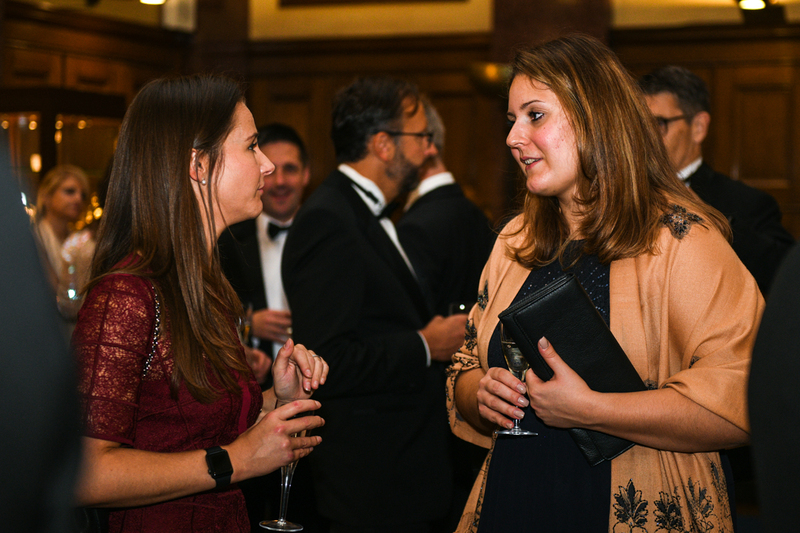 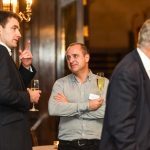 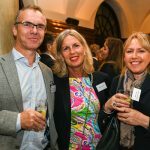 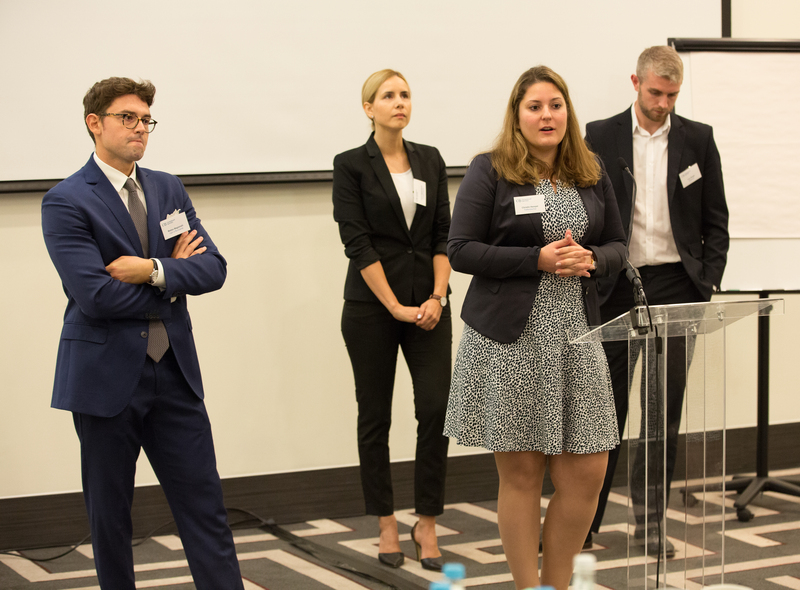 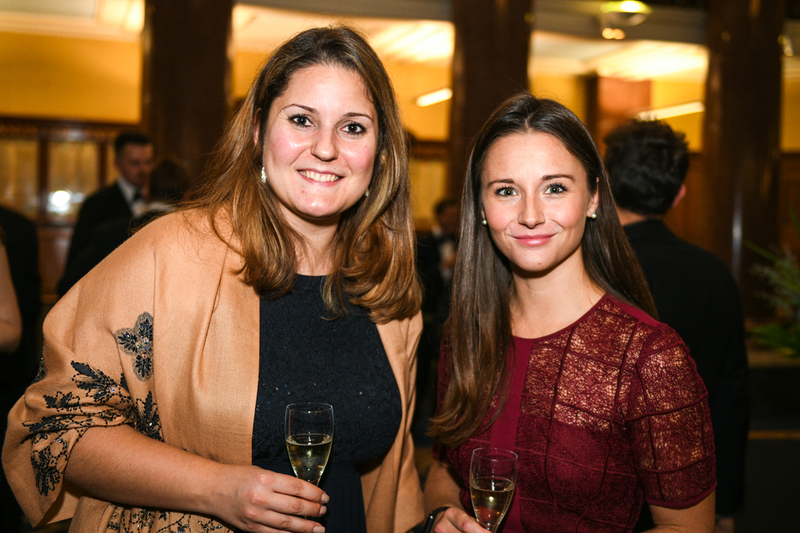 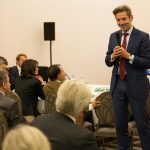 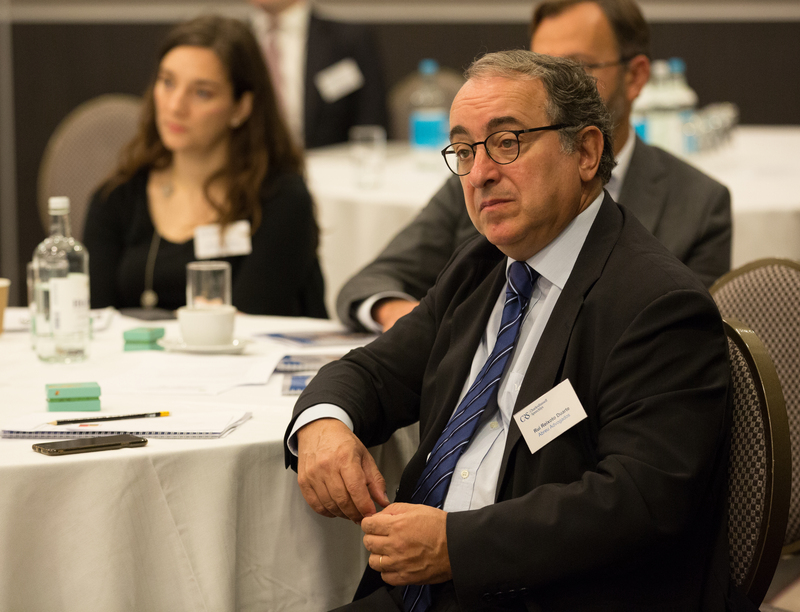 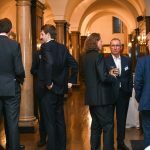 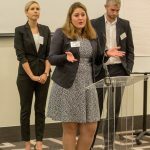 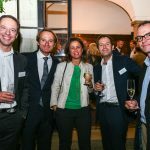 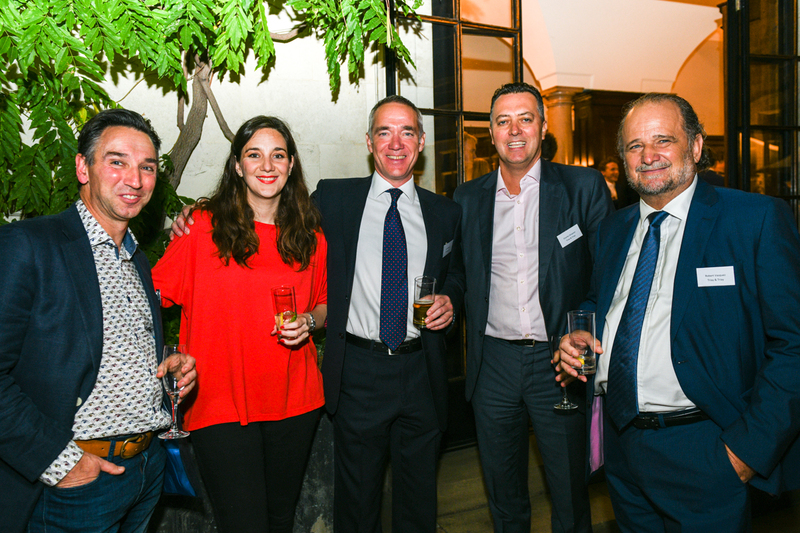 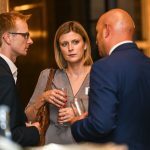 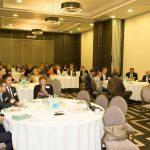 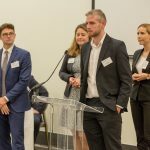 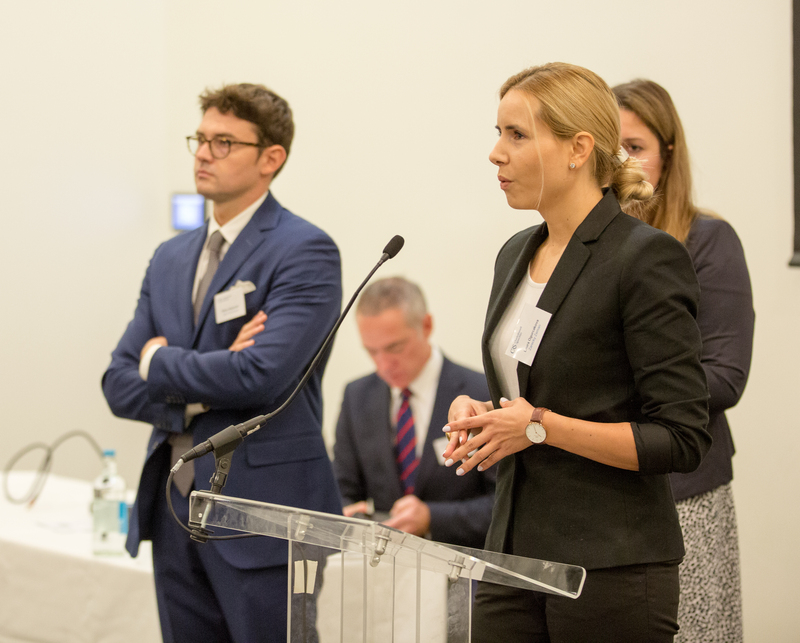 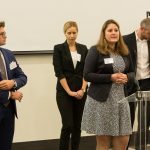 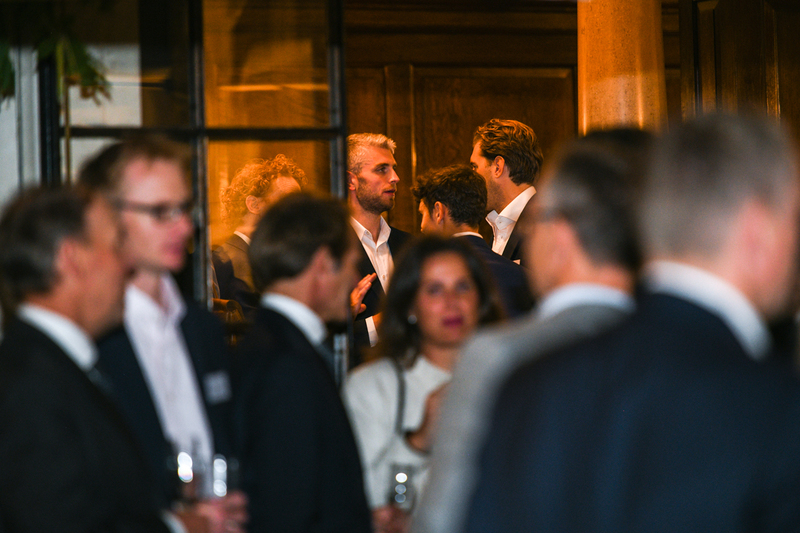 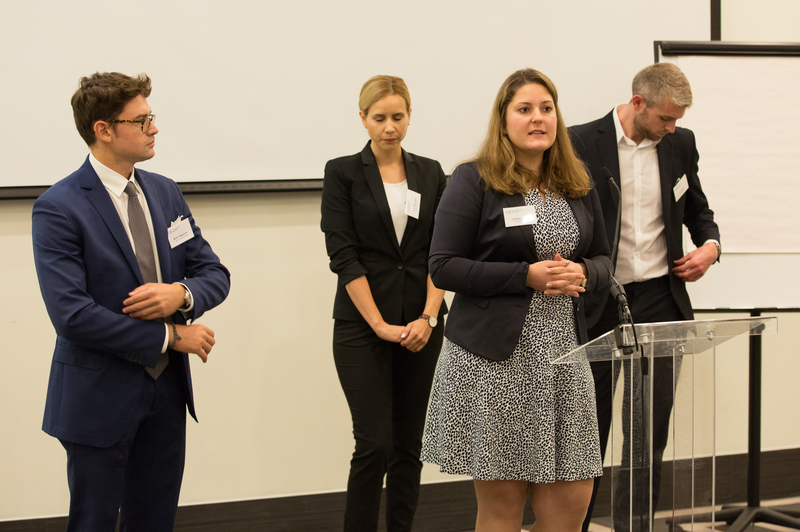 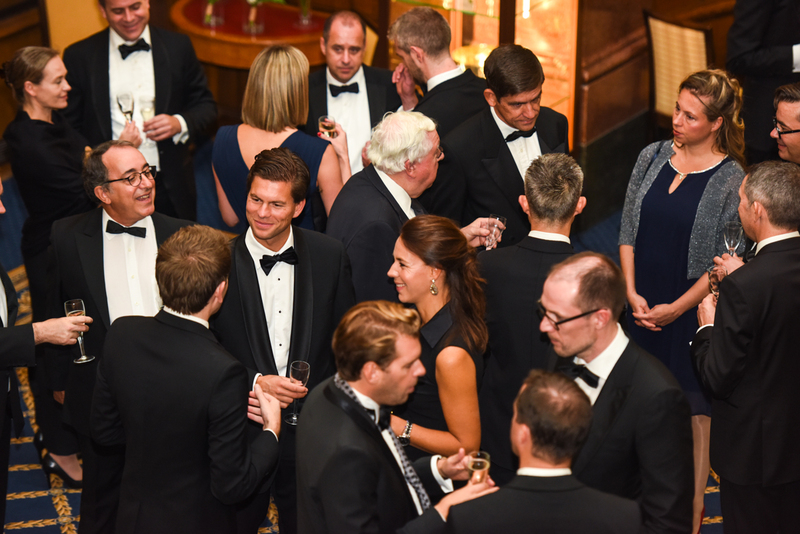 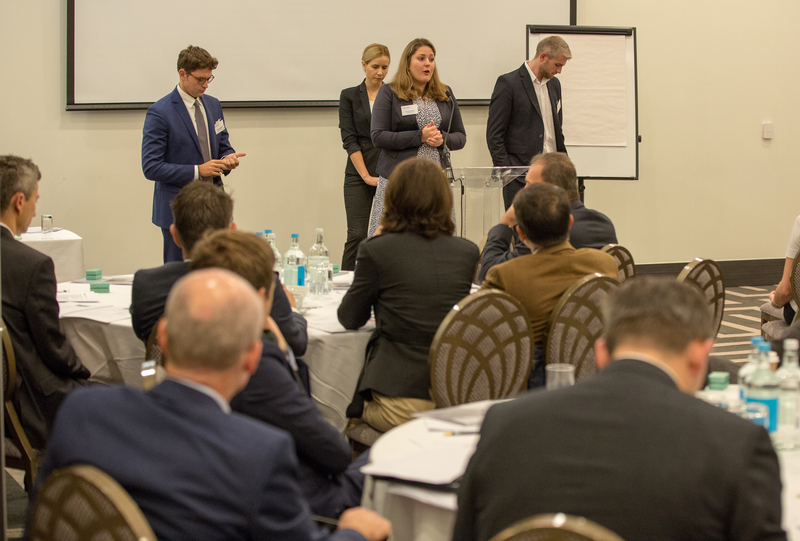 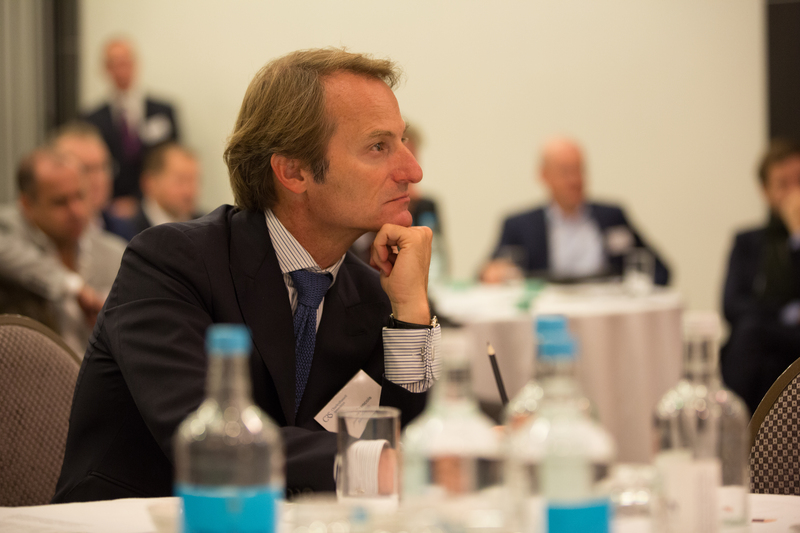 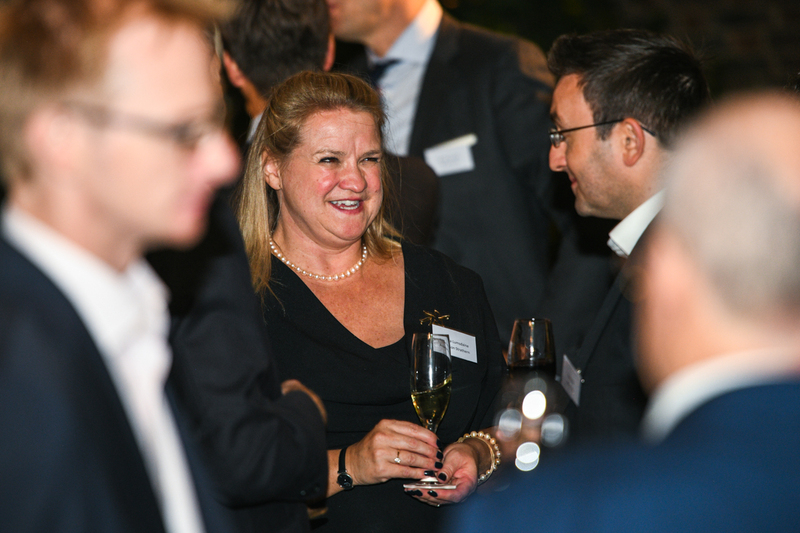 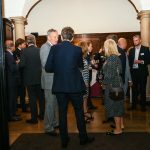 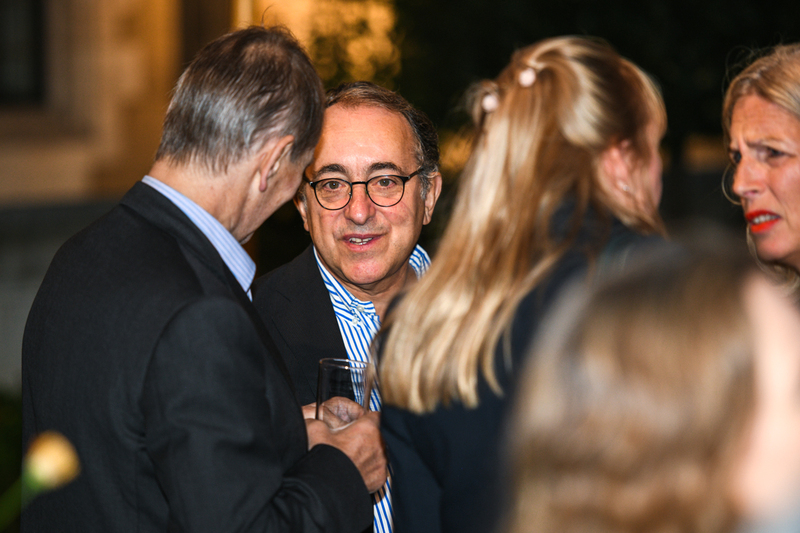 As a deviation on usual events, this year from 20-22 September, we were hosted by a number of our member firms in London due to the special nature of the occasion being AEL’s 30th birthday. 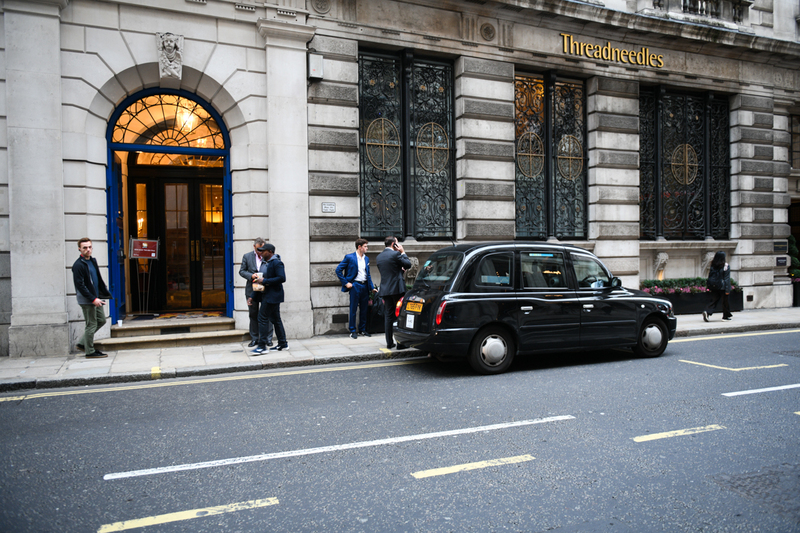 Delegates stayed in The Courthouse Hotel, Shoreditch located within the midst of London’s artistic and creative epicenter. 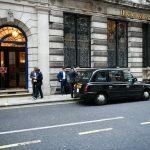 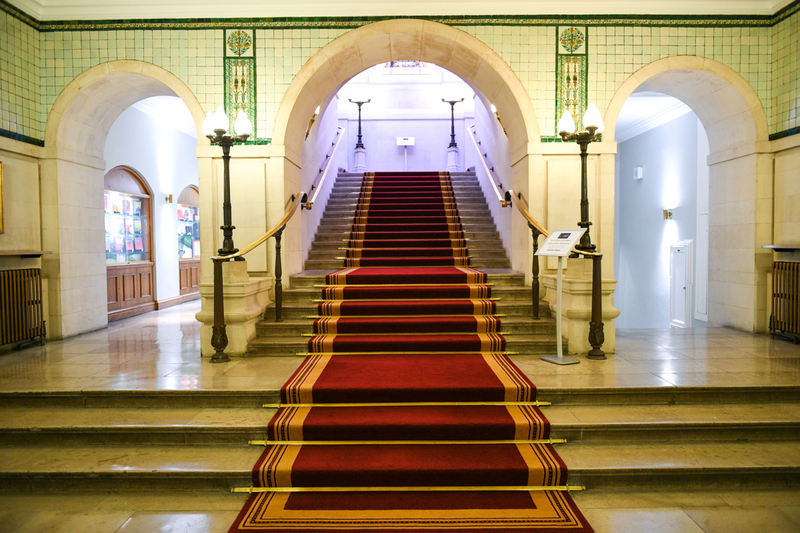 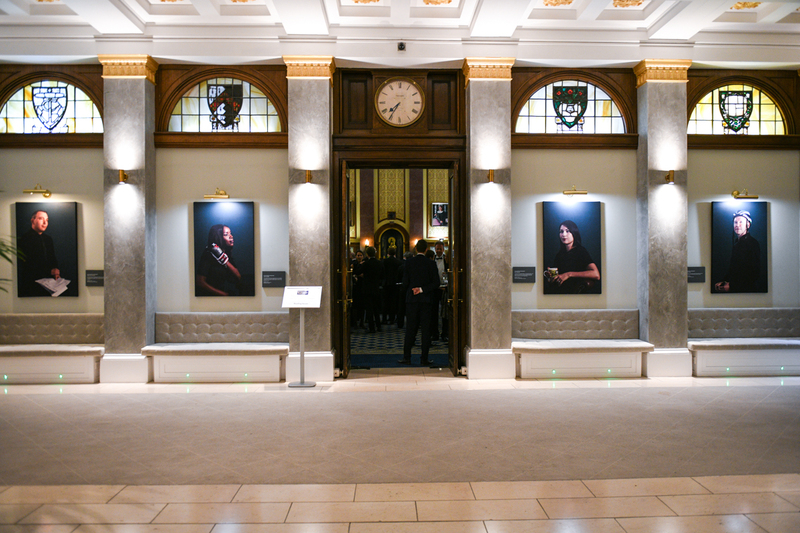 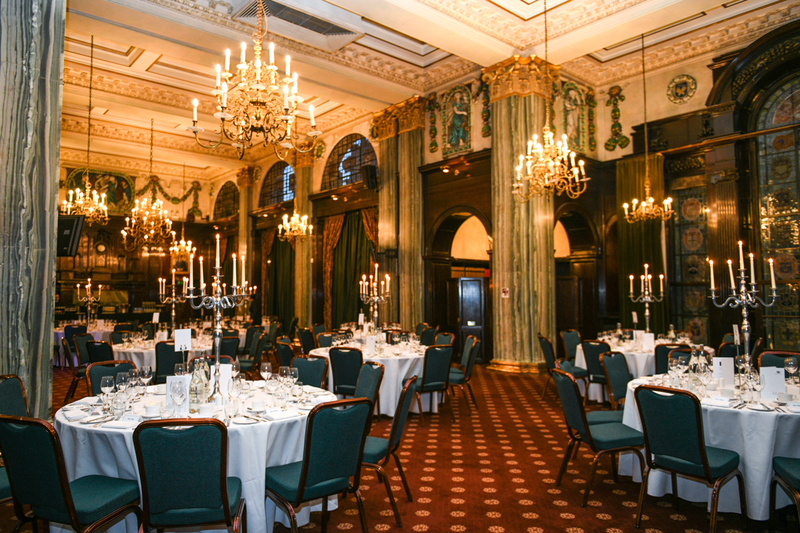 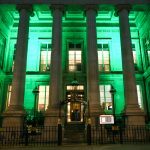 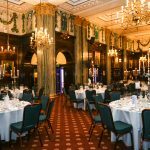 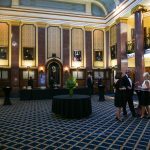 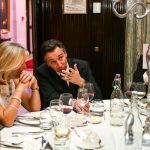 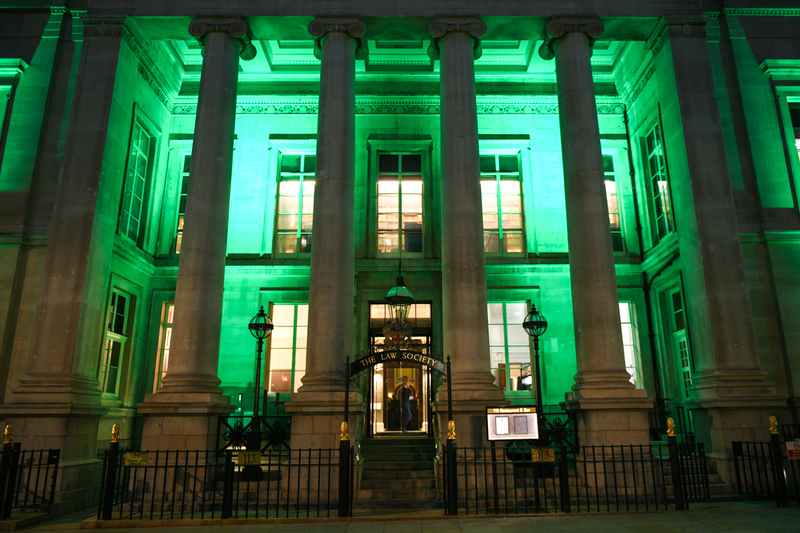 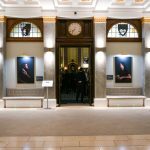 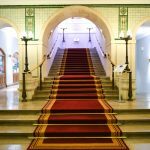 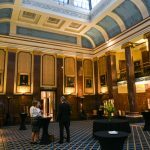 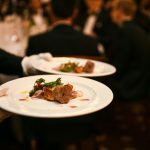 Set within a Grade II Baroque building which was once the Old Street Magistrates Court and Police Station, the listed building hosted some high-profile cases such as London’s notorious Kray Twins. 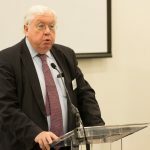 As well as holding and sentencing well known criminals, the police station also held Eric Arthur Blair, author of “1984” and Animal Farm better known as George Orwell. 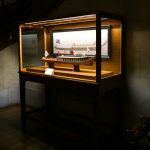 The author’s arrest for being “drunk and incapable” in the East End of London while posing as a fish porter named Edward Burton. 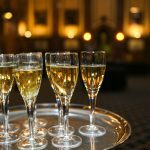 Orwell’s unpublished 1932 essay Clink describes a colourful 48 hours in custody in December 1931 after drinking “four or five pints” and most of a bottle of whisky. 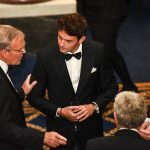 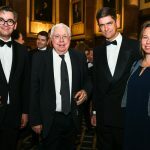 His intention was to be arrested, “in order to get a taste of prison and to bring himself closer to the tramps and small-time villains with whom he mingled”. 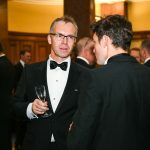 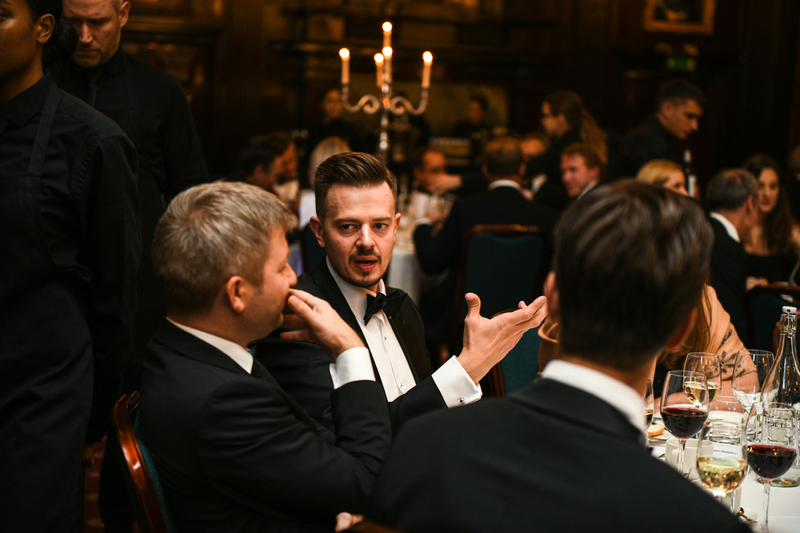 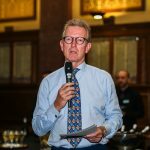 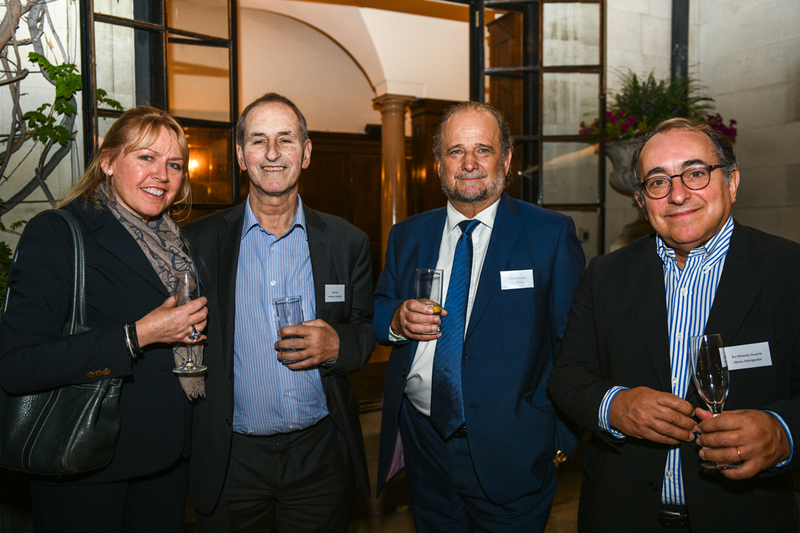 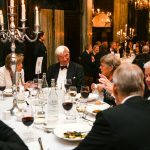 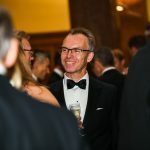 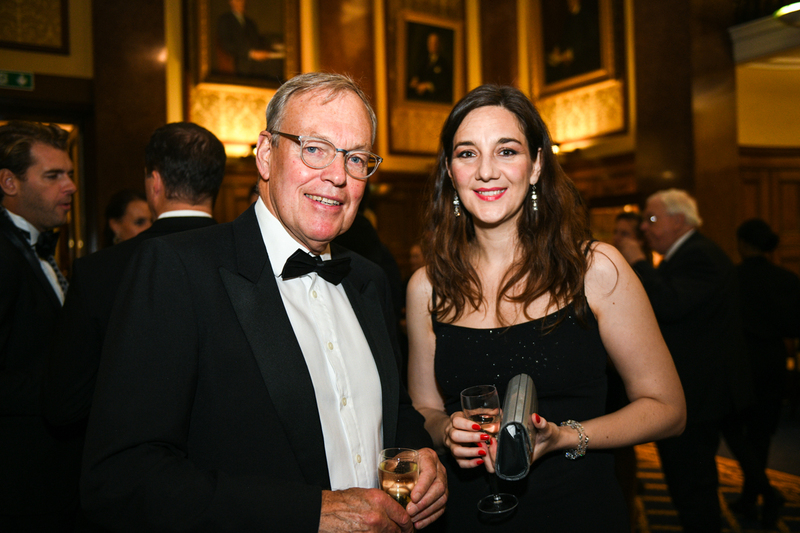 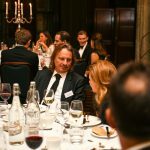 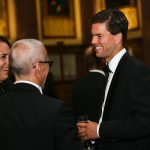 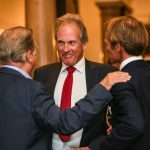 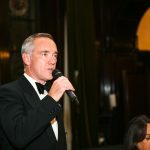 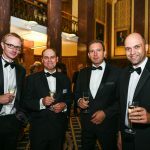 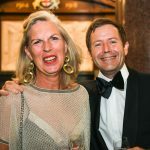 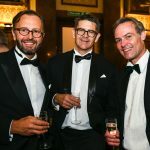 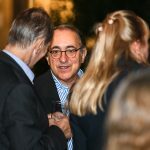 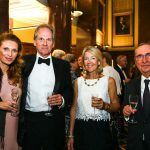 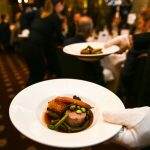 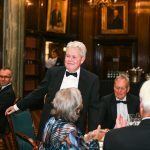 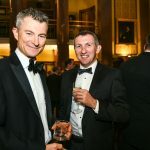 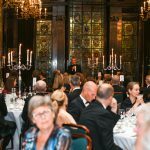 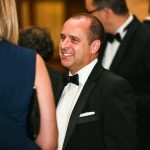 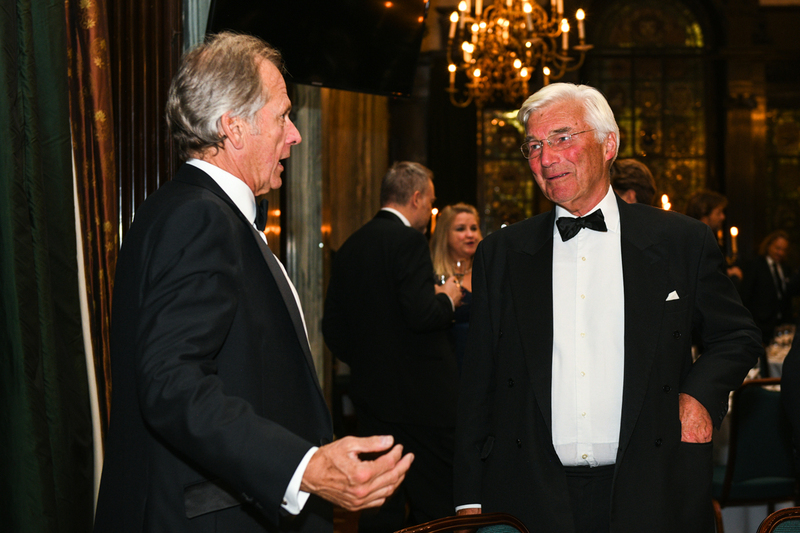 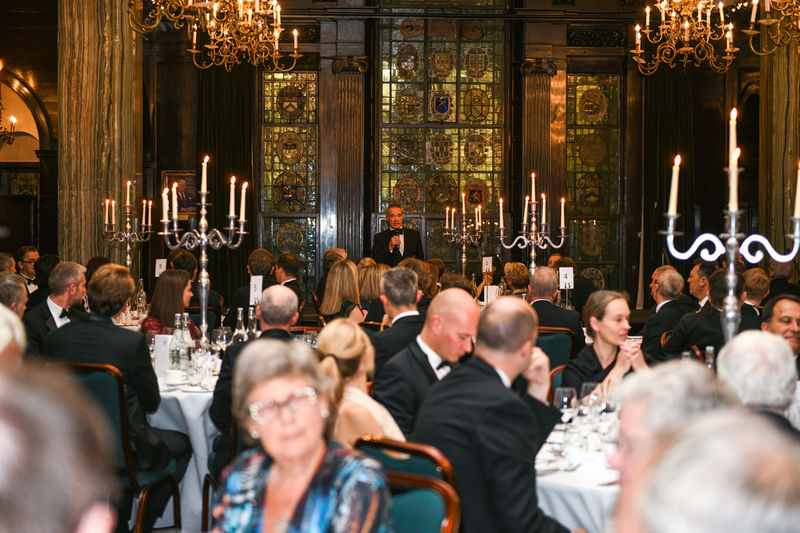 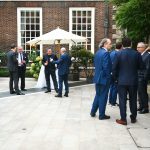 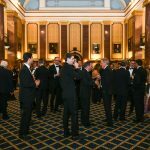 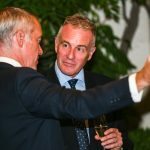 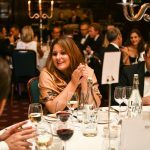 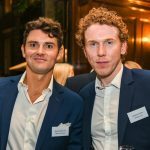 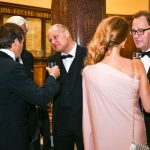 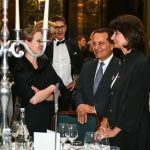 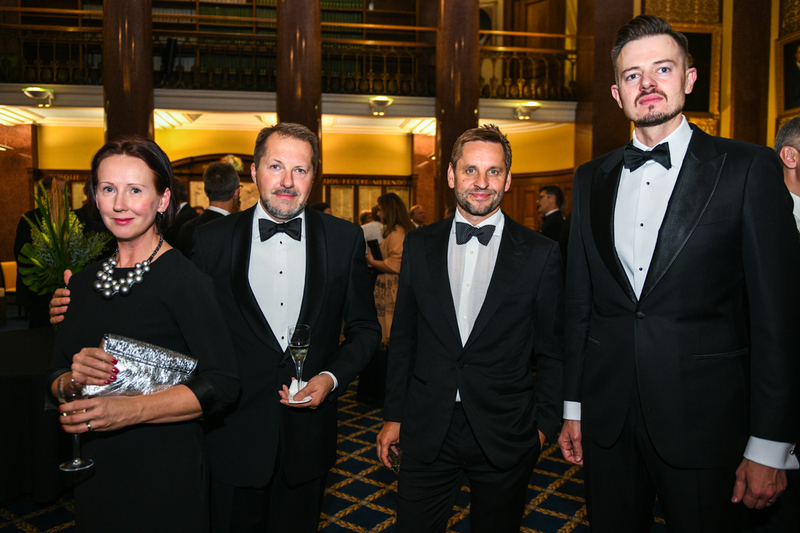 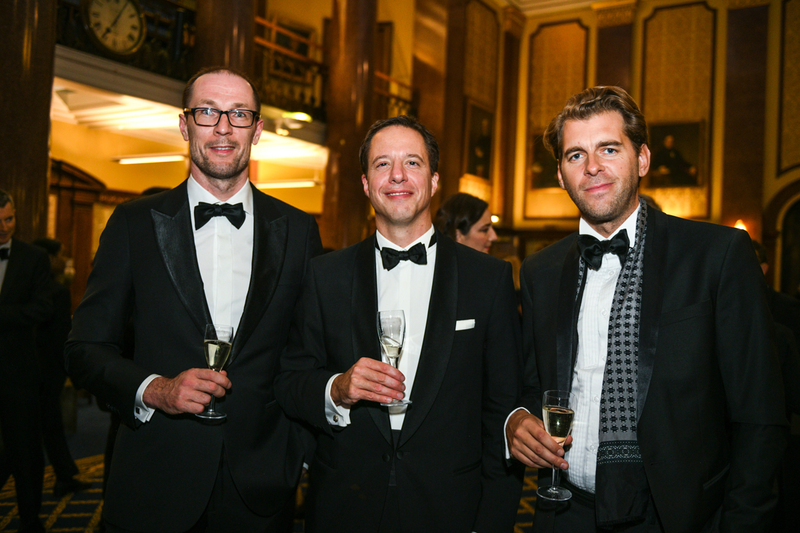 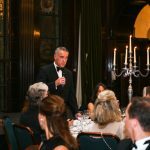 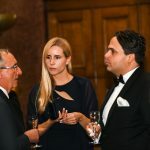 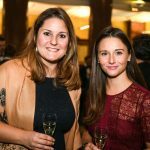 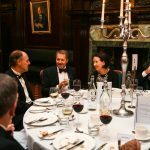 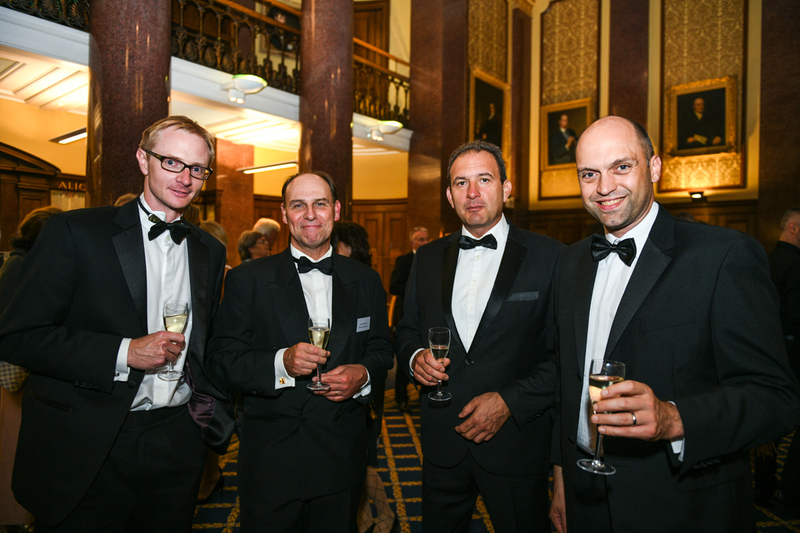 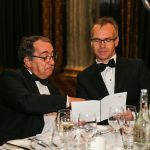 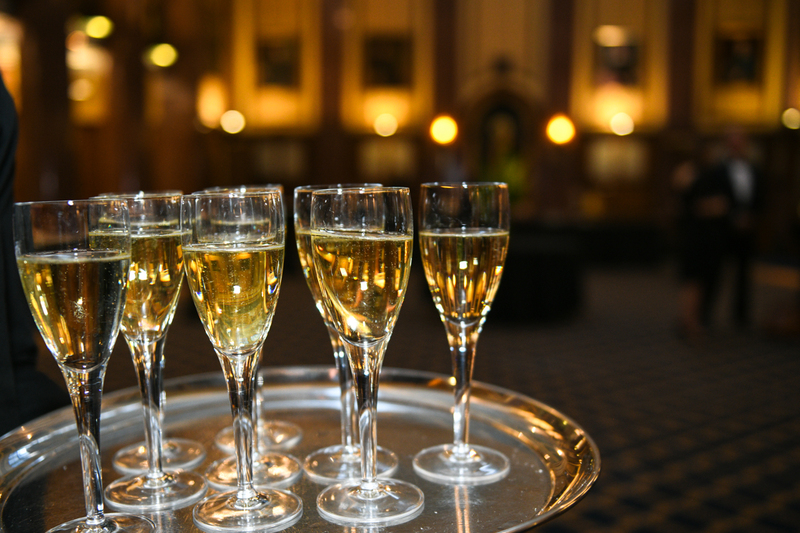 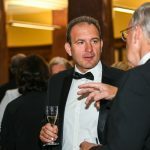 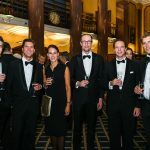 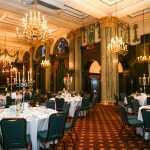 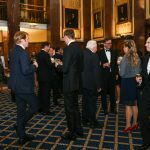 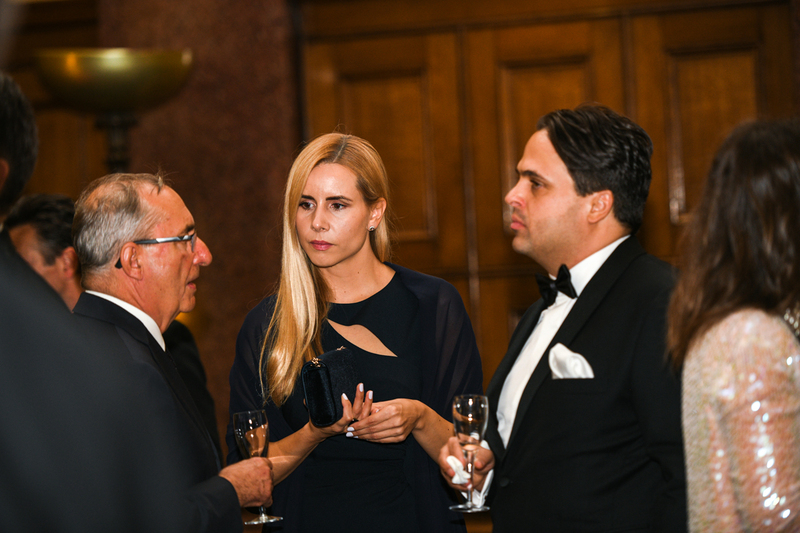 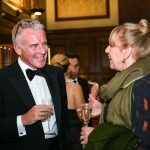 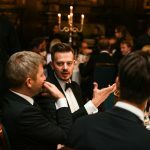 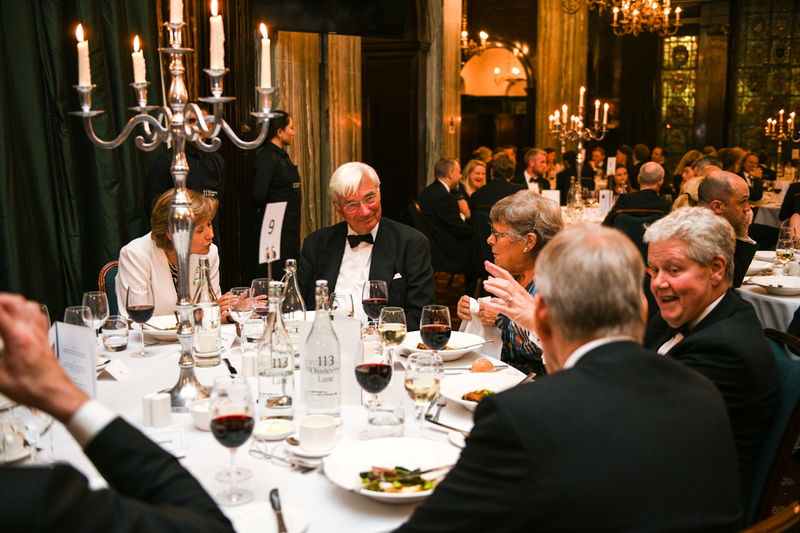 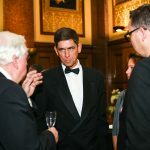 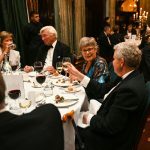 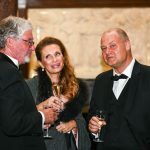 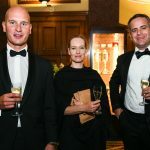 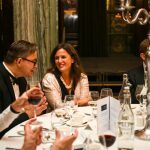 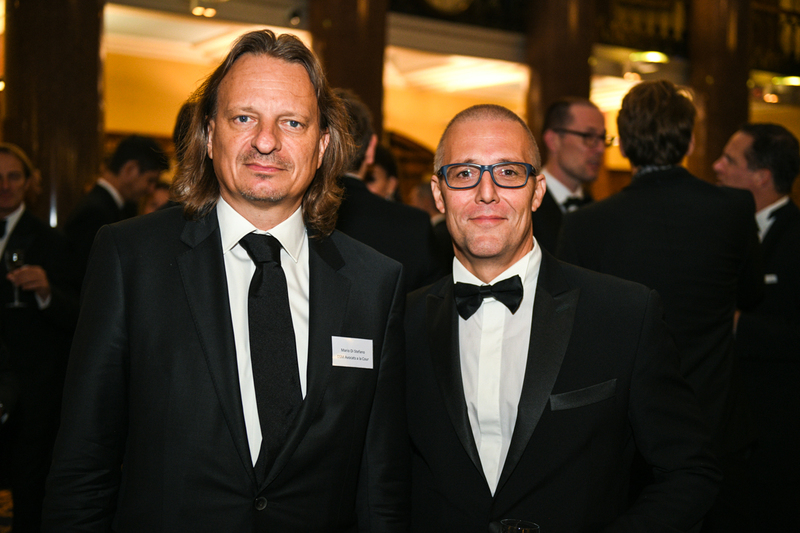 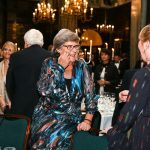 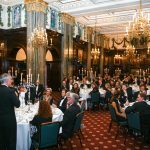 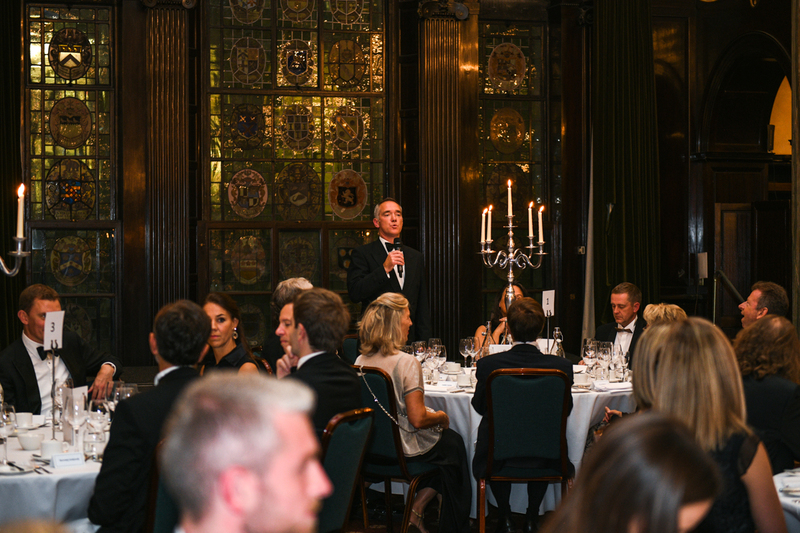 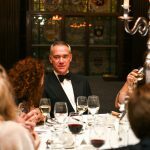 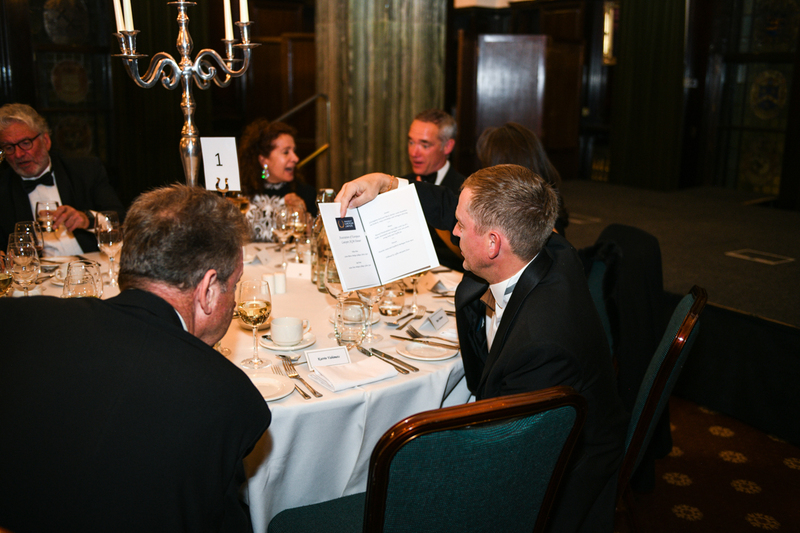 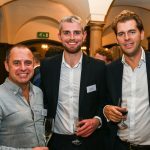 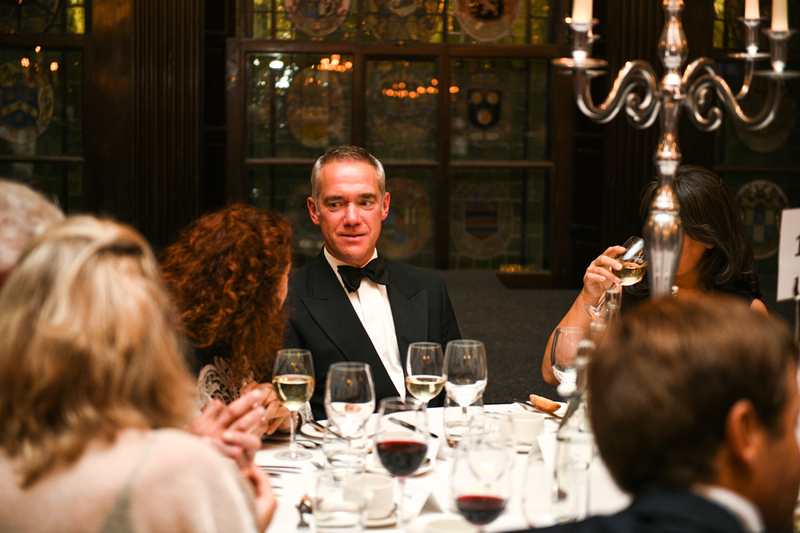 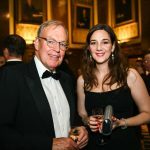 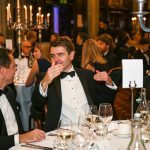 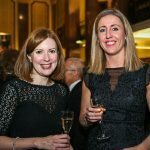 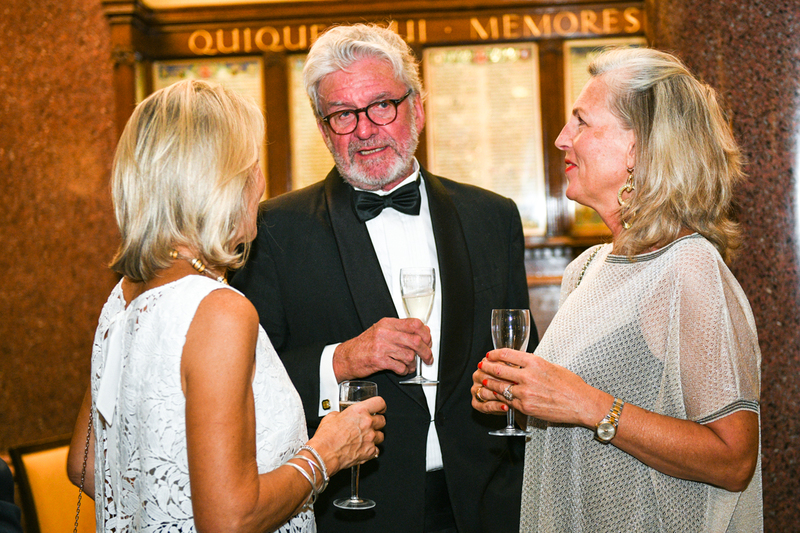 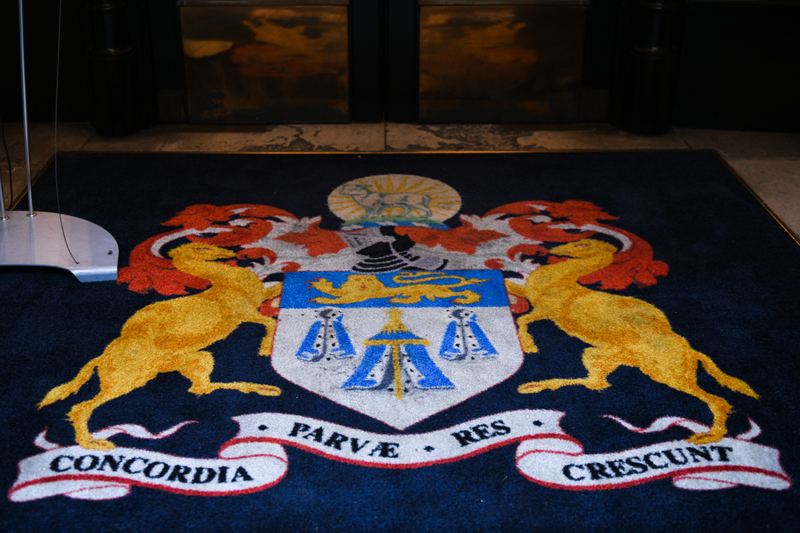 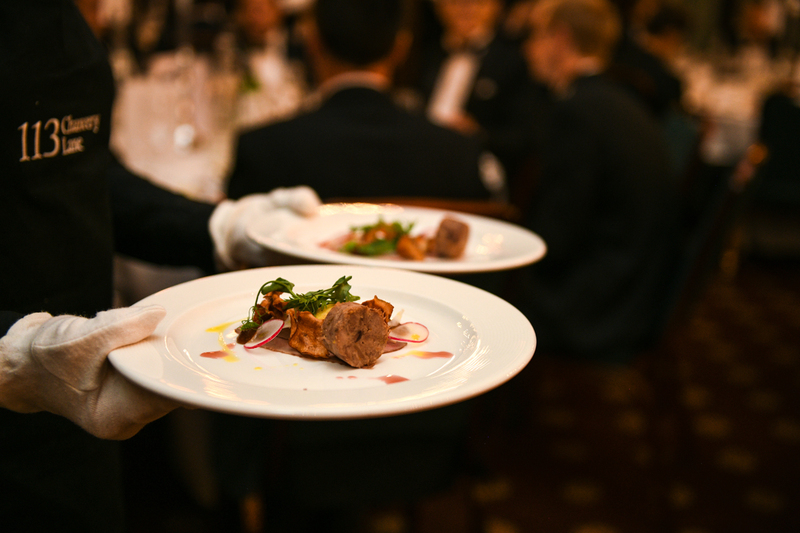 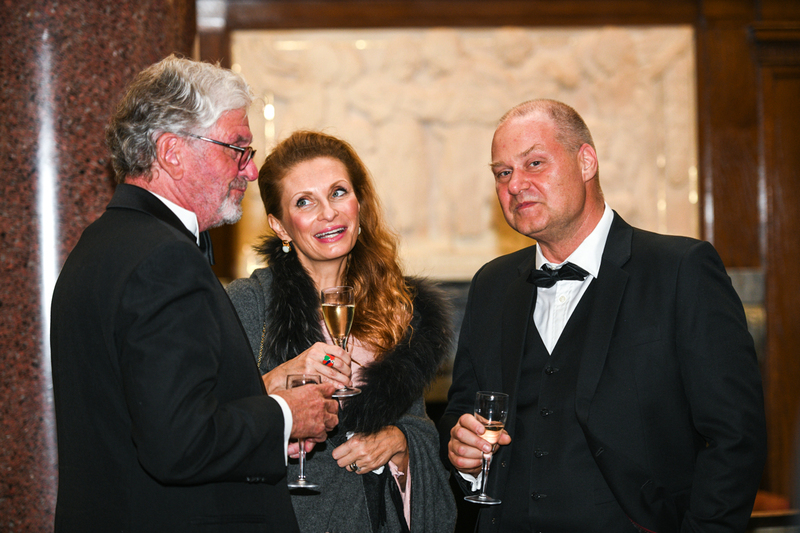 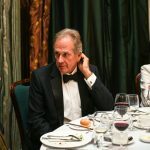 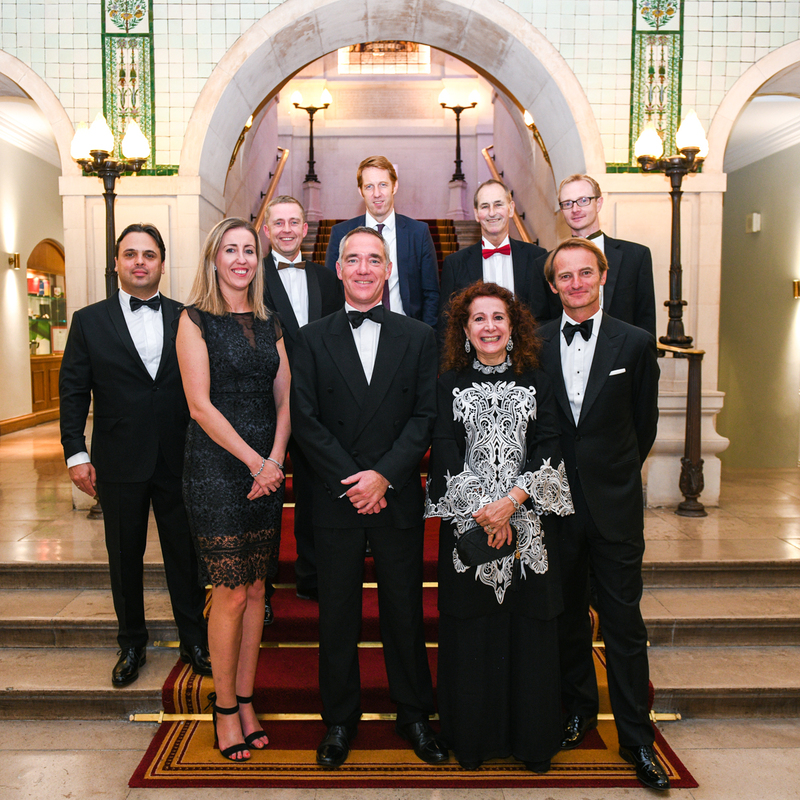 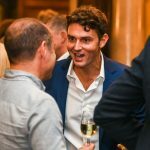 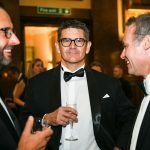 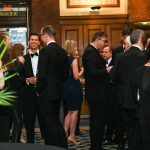 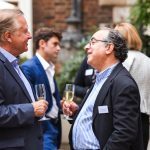 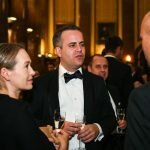 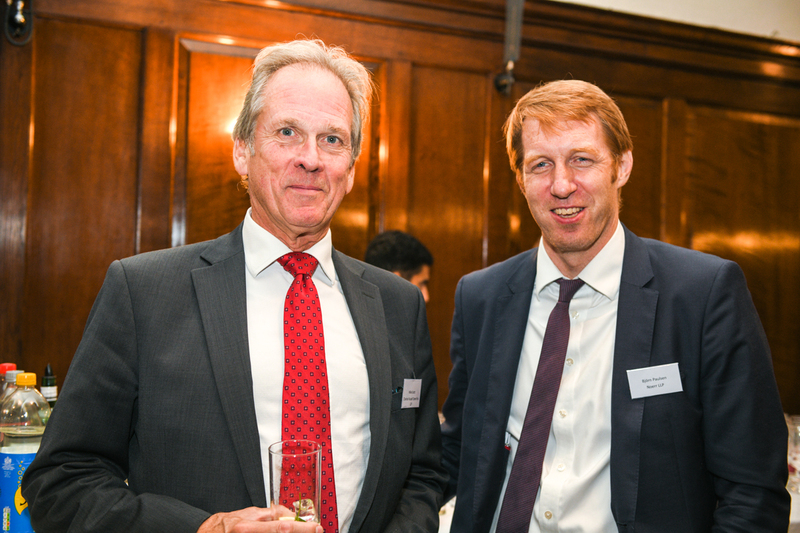 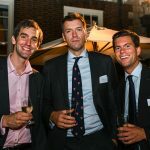 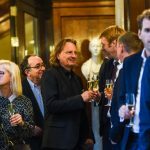 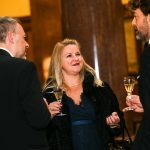 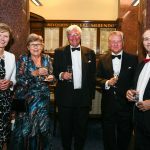 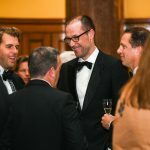 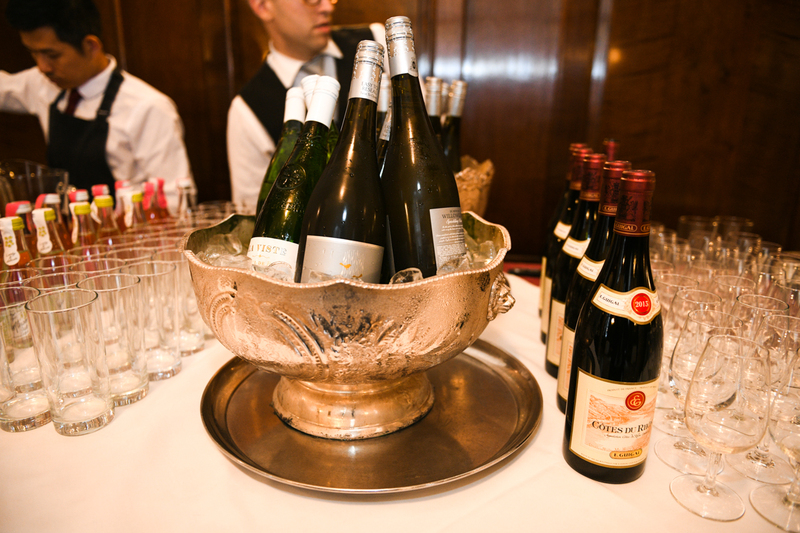 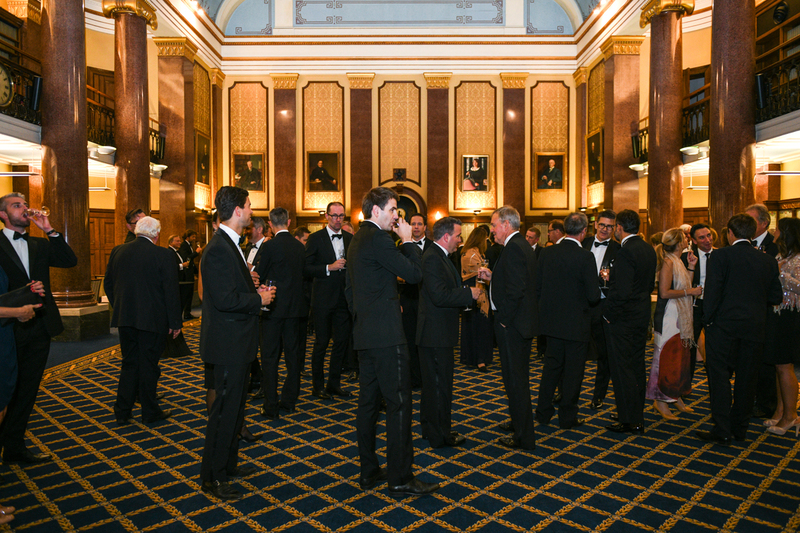 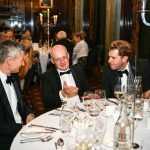 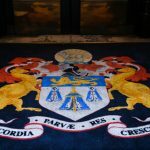 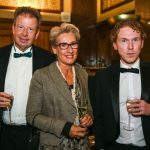 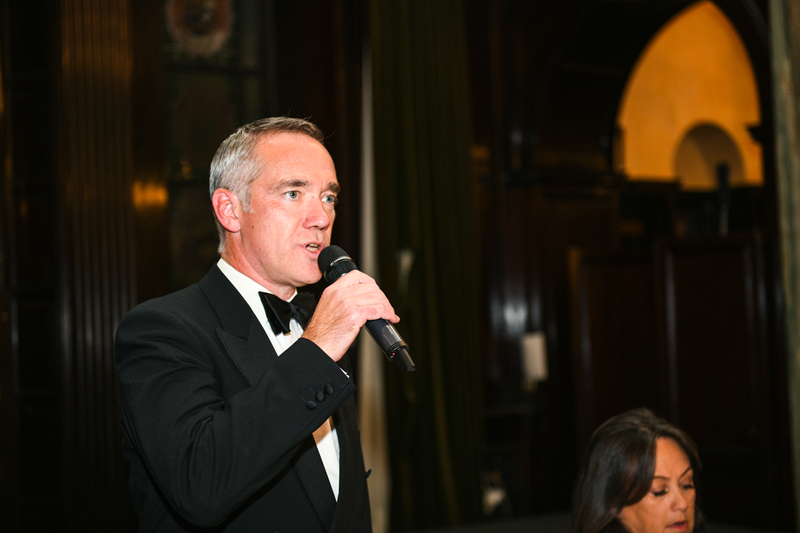 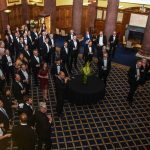 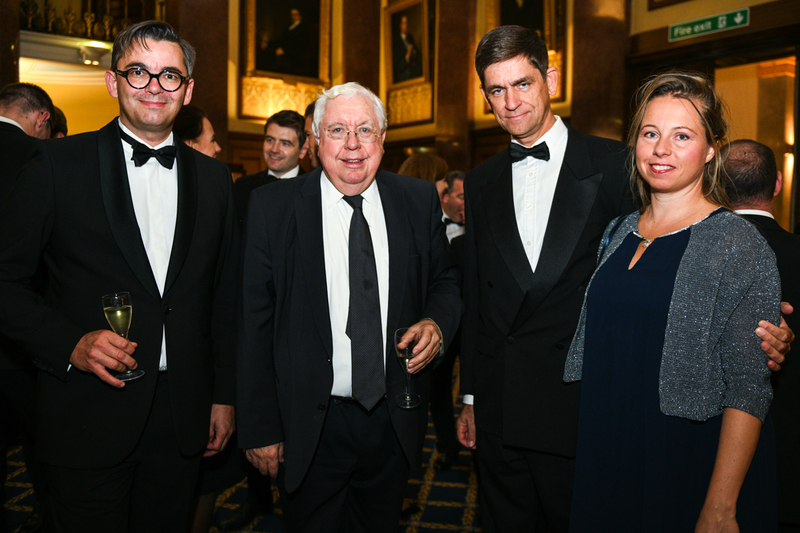 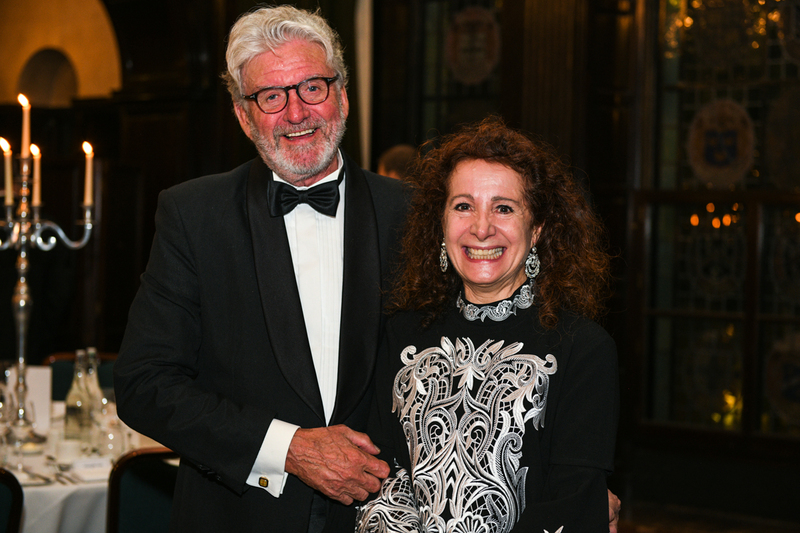 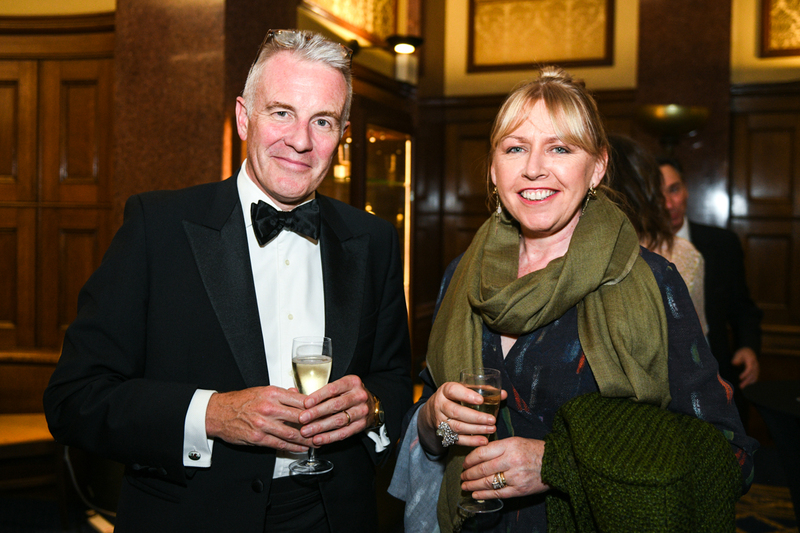 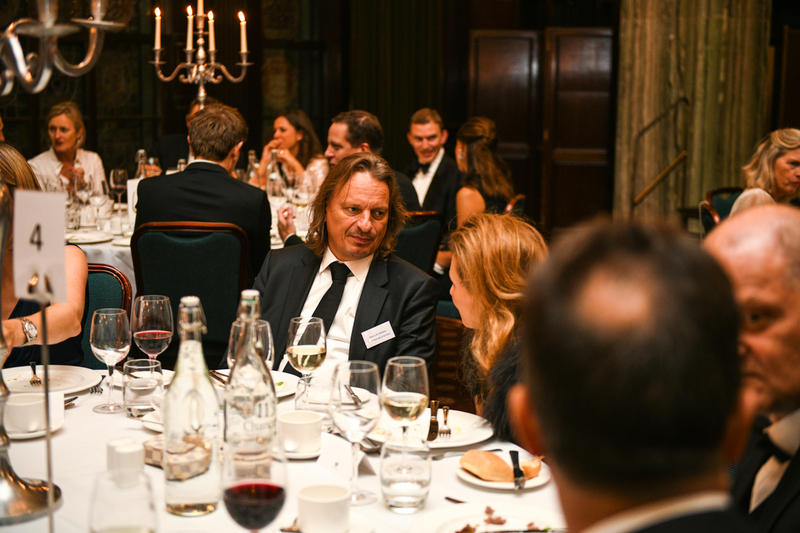 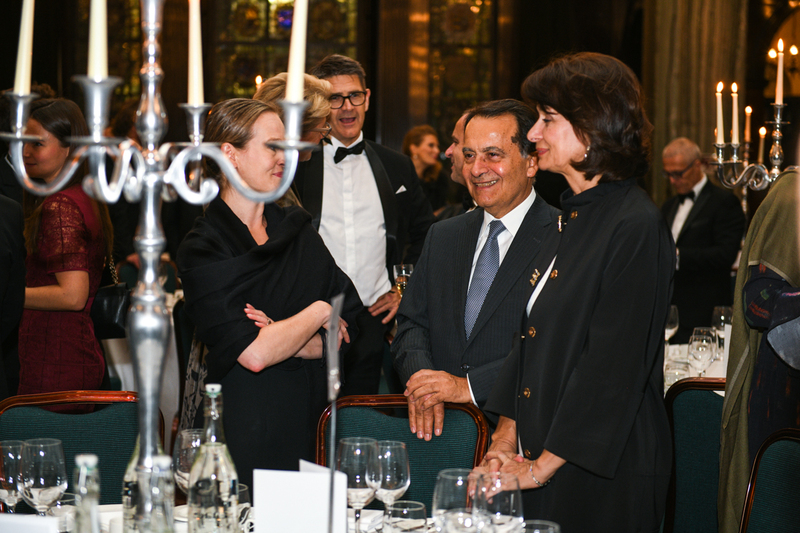 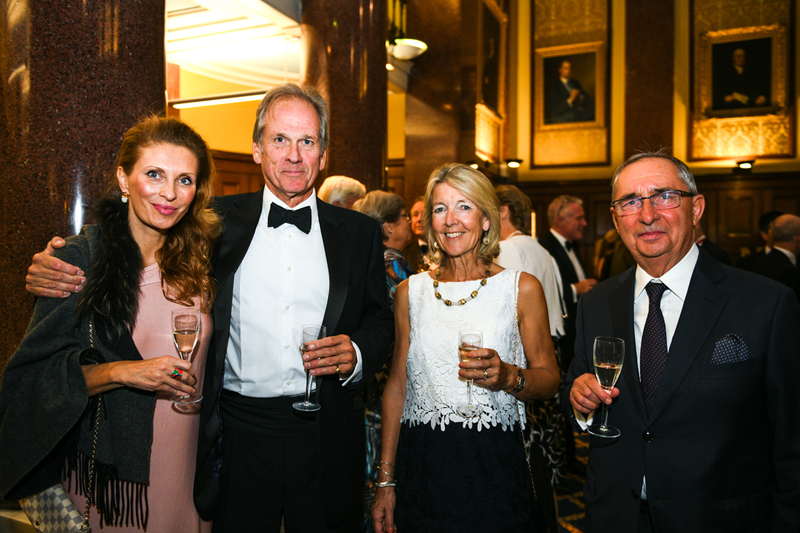 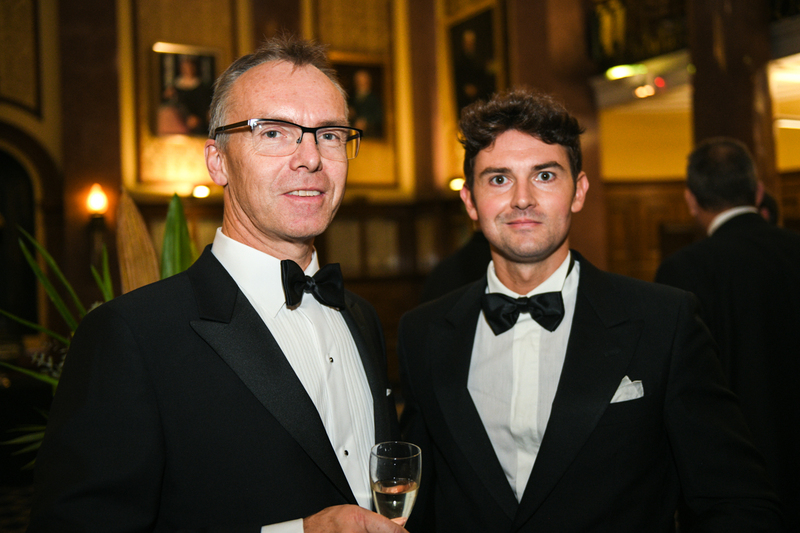 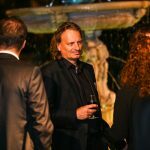 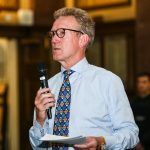 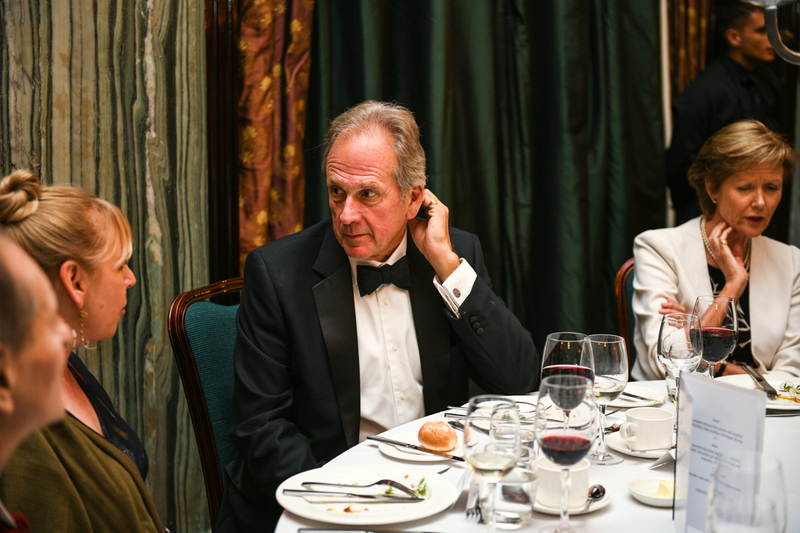 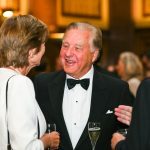 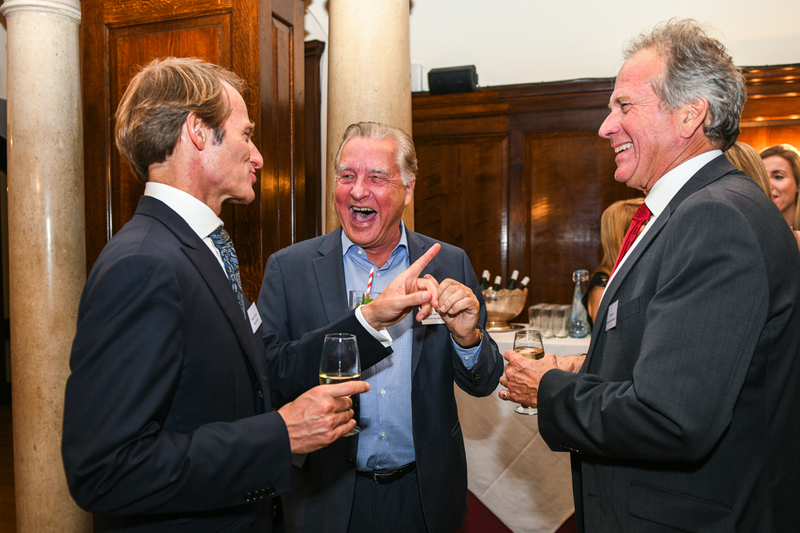 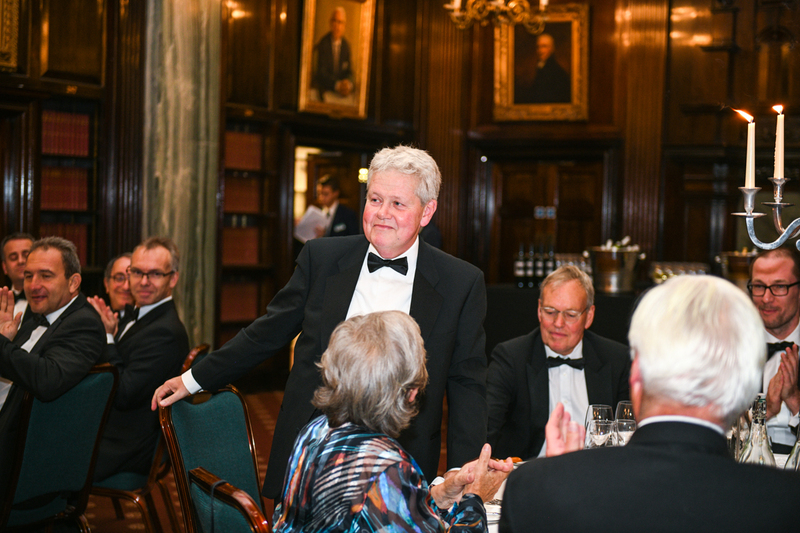 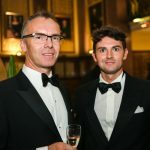 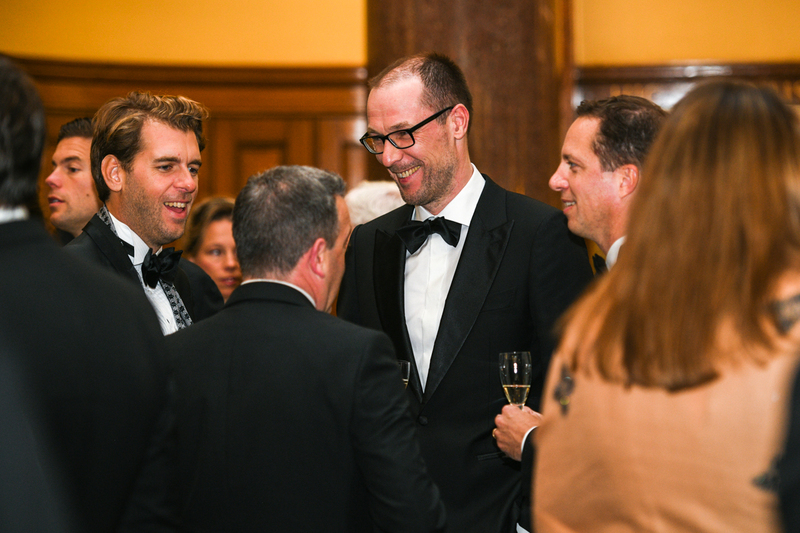 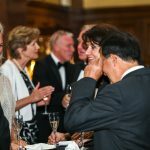 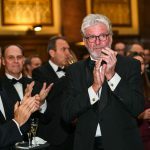 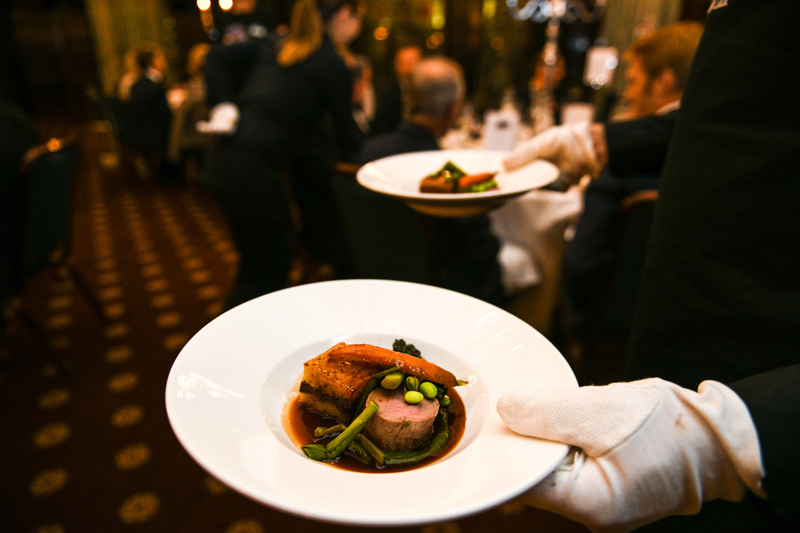 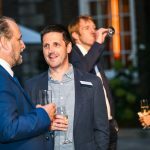 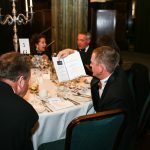 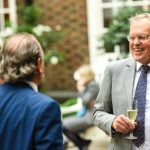 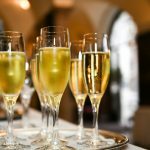 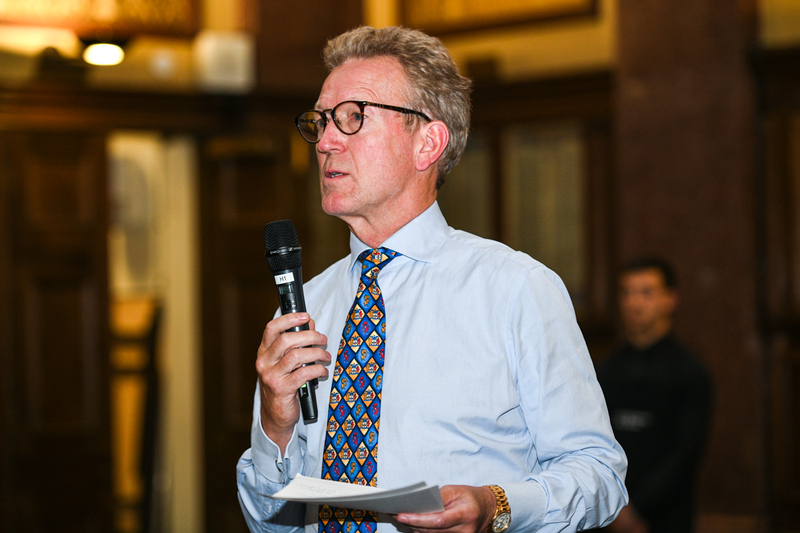 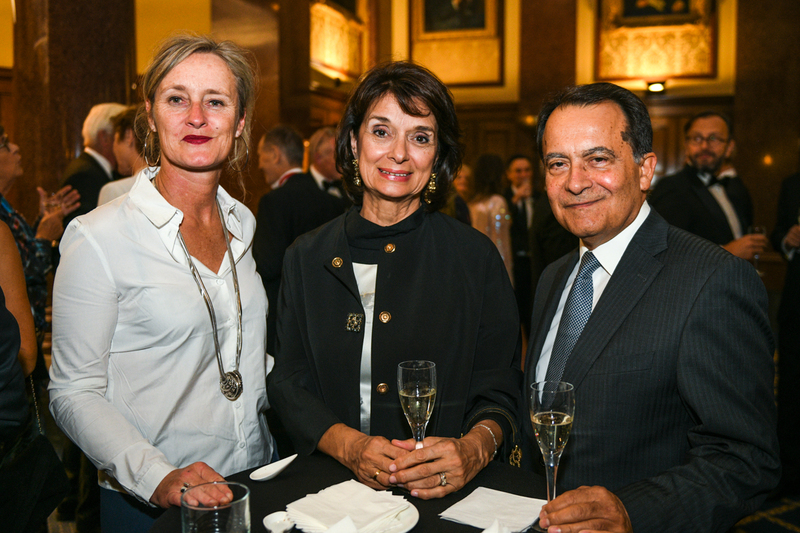 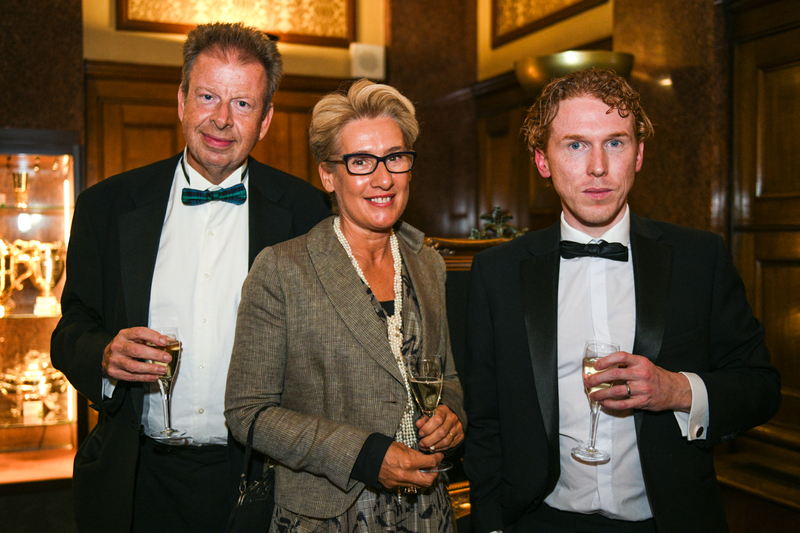 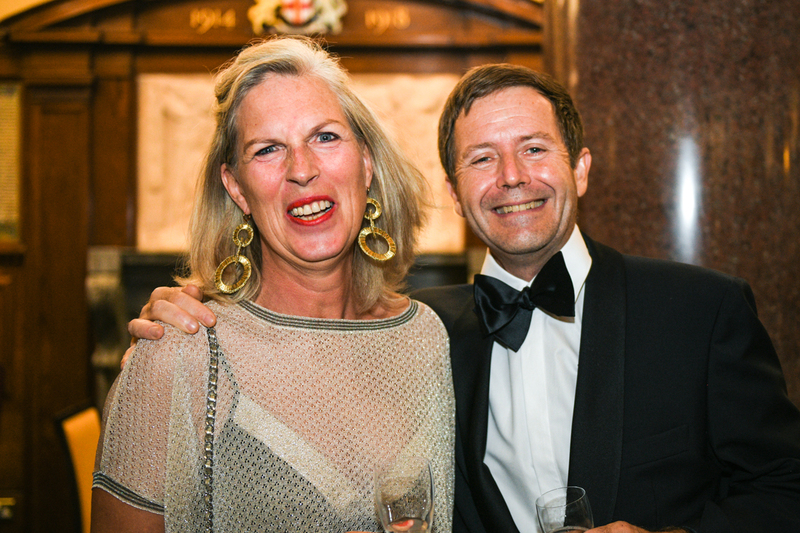 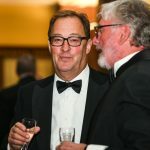 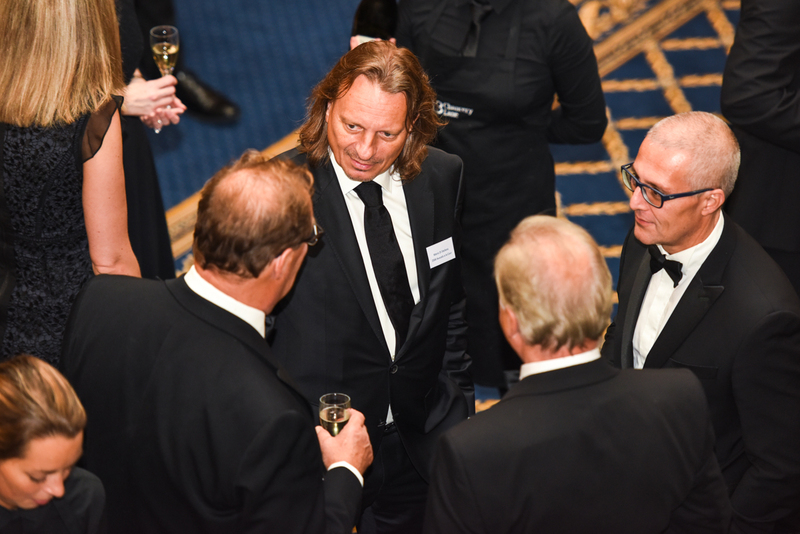 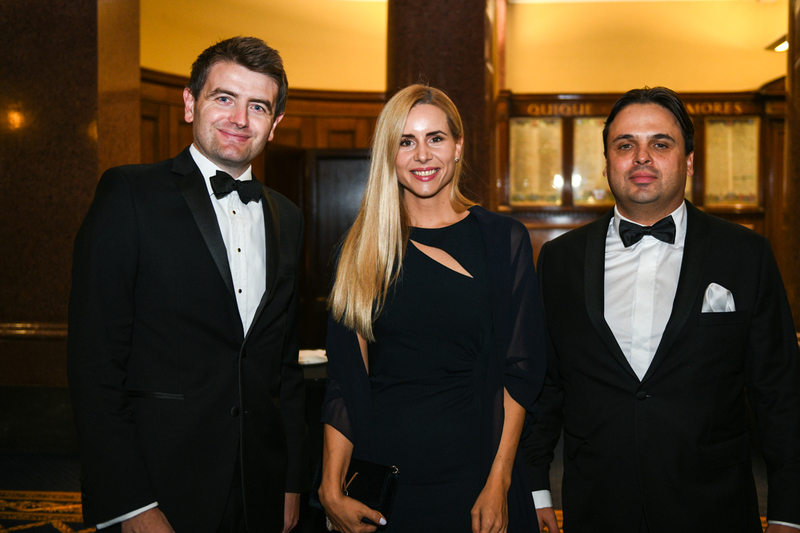 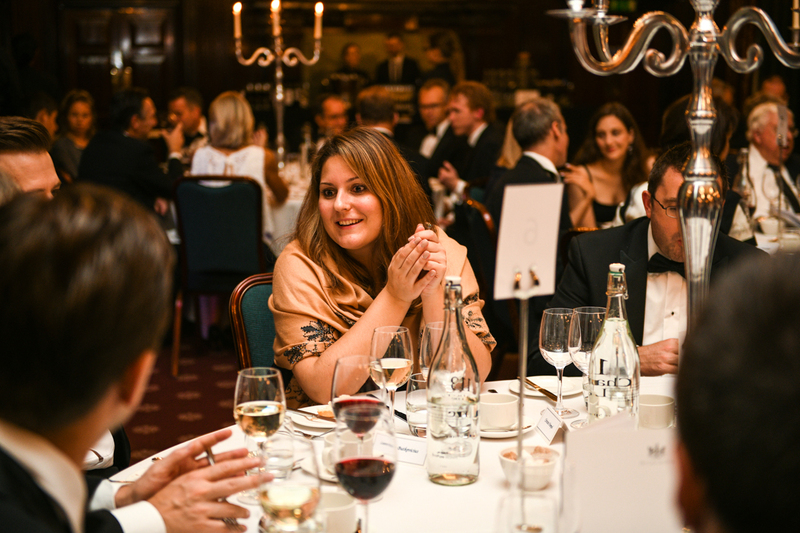 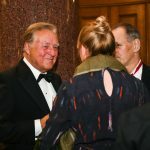 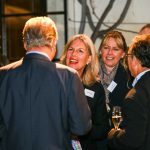 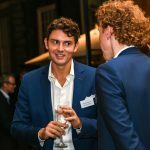 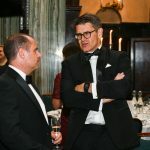 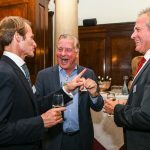 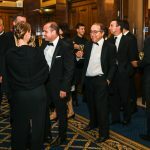 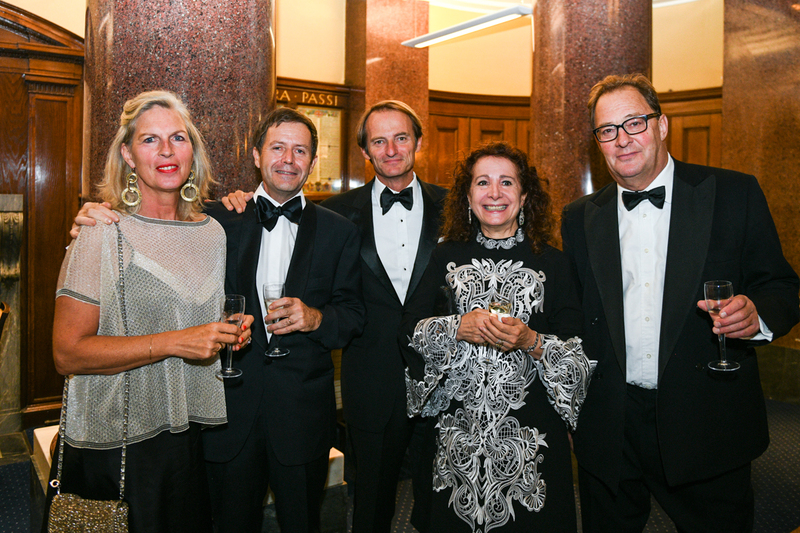 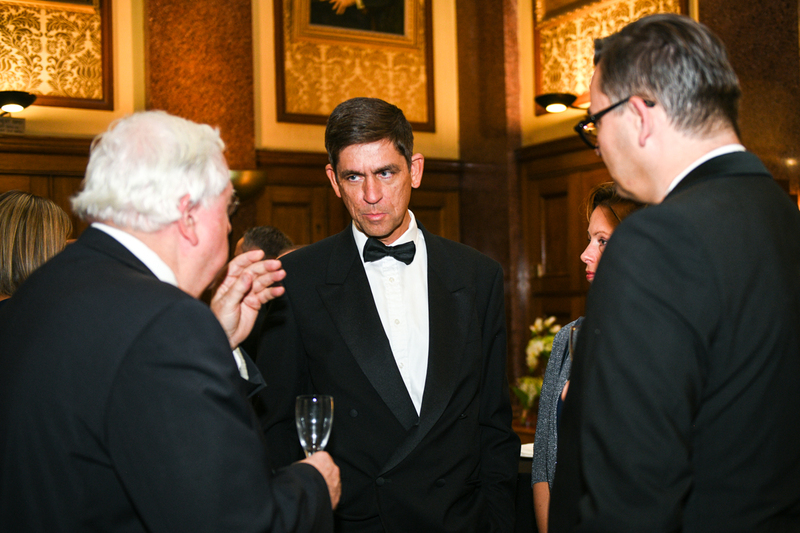 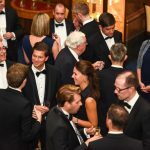 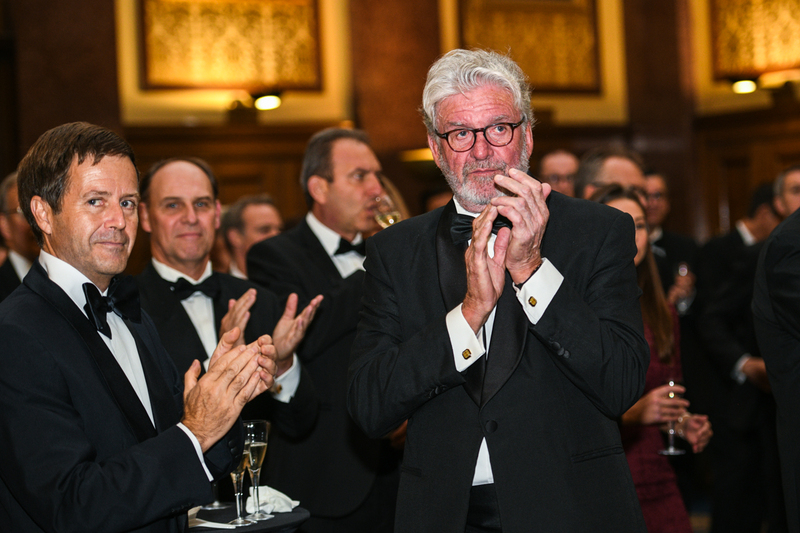 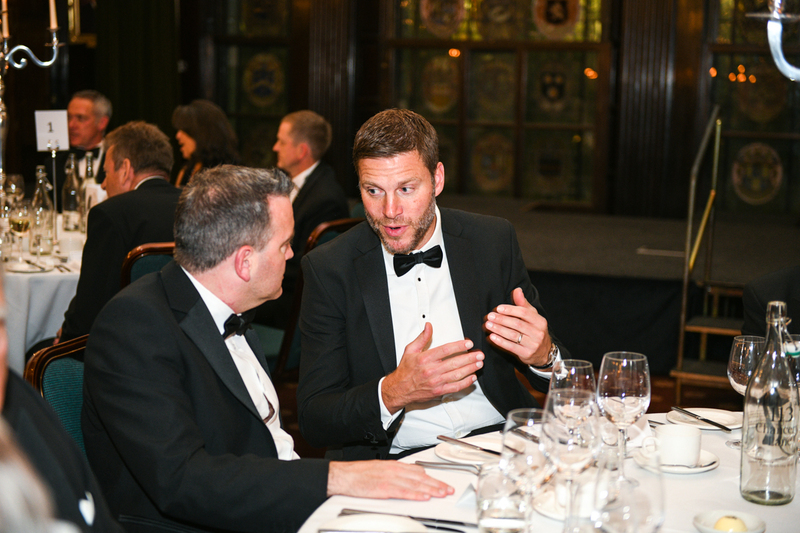 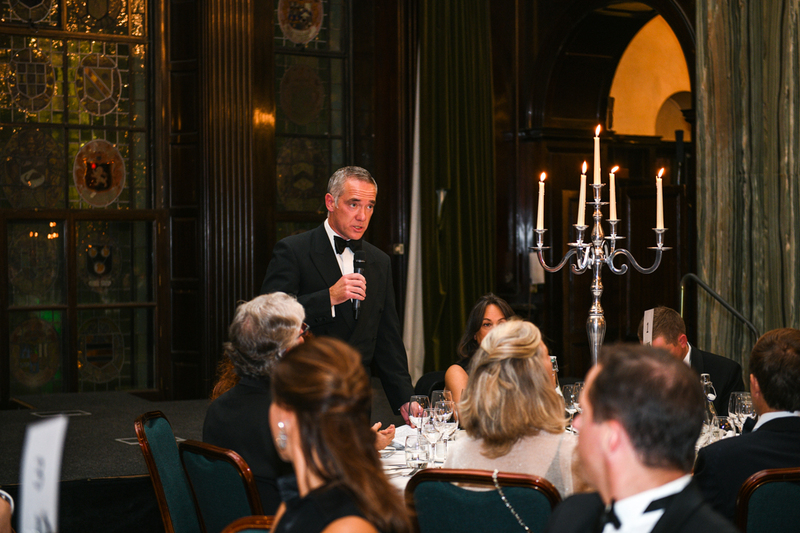 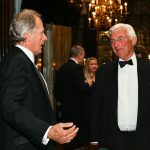 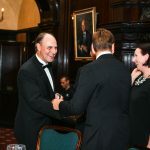 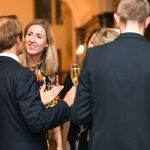 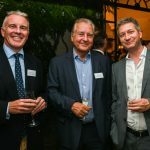 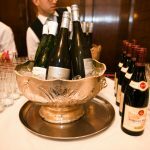 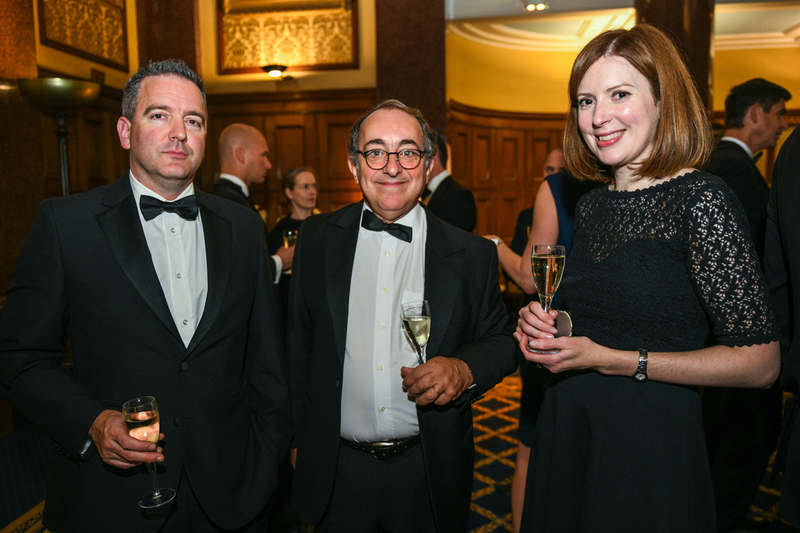 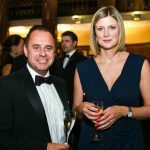 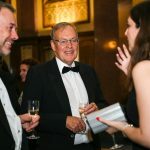 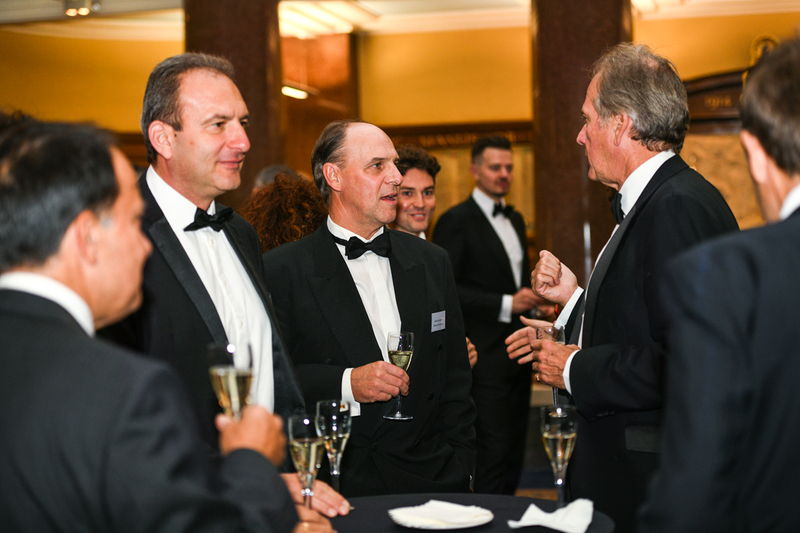 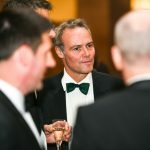 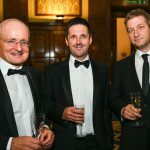 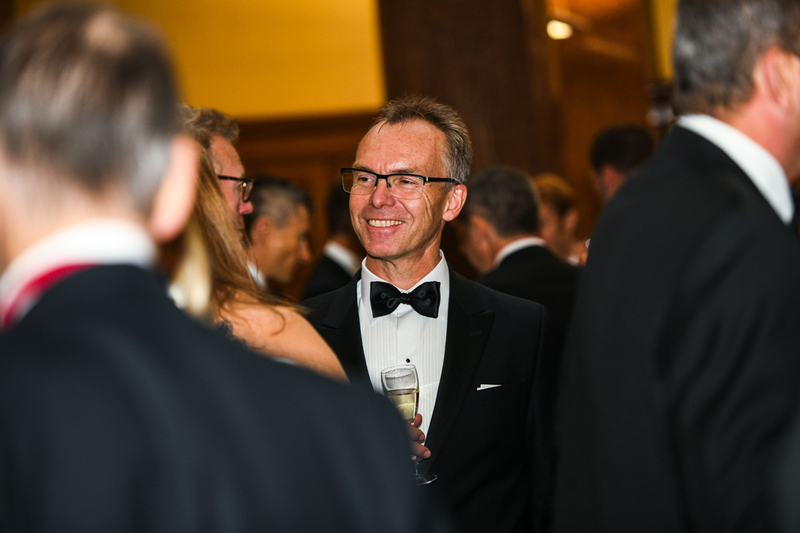 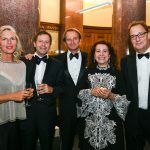 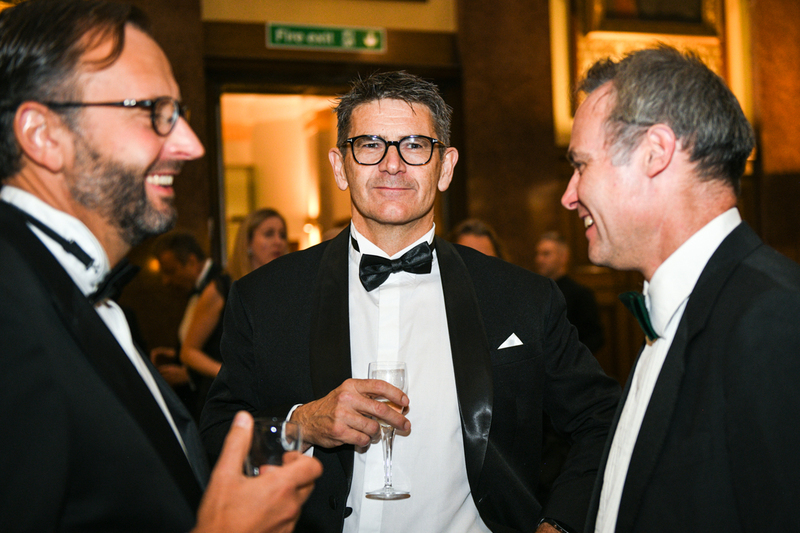 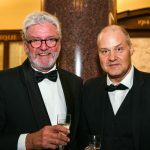 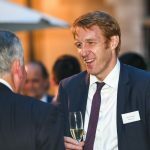 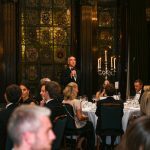 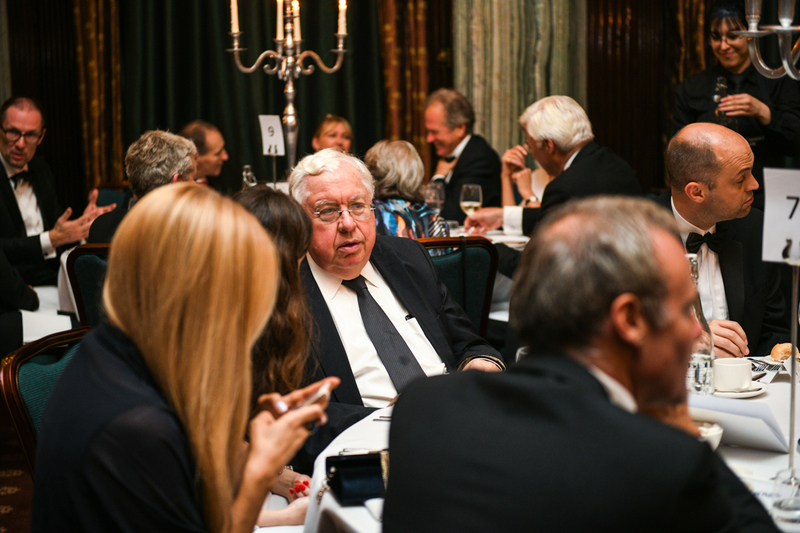 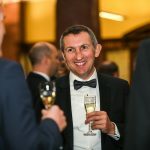 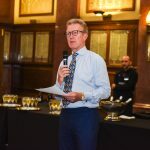 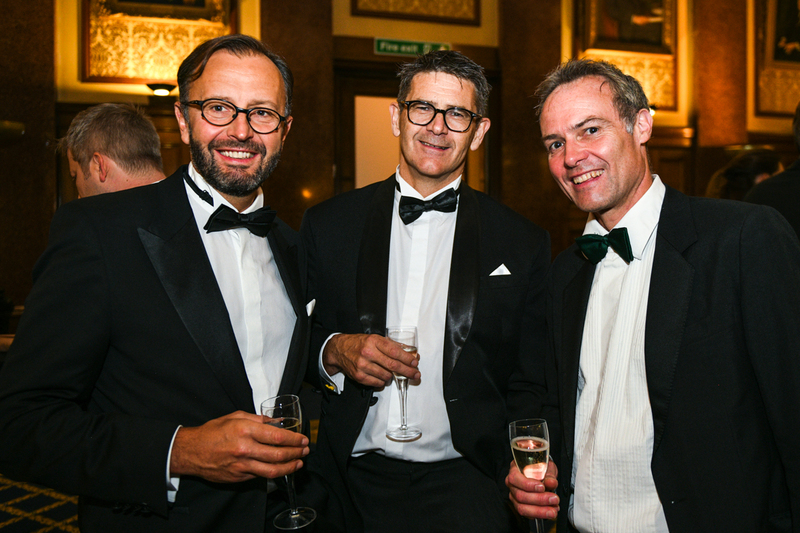 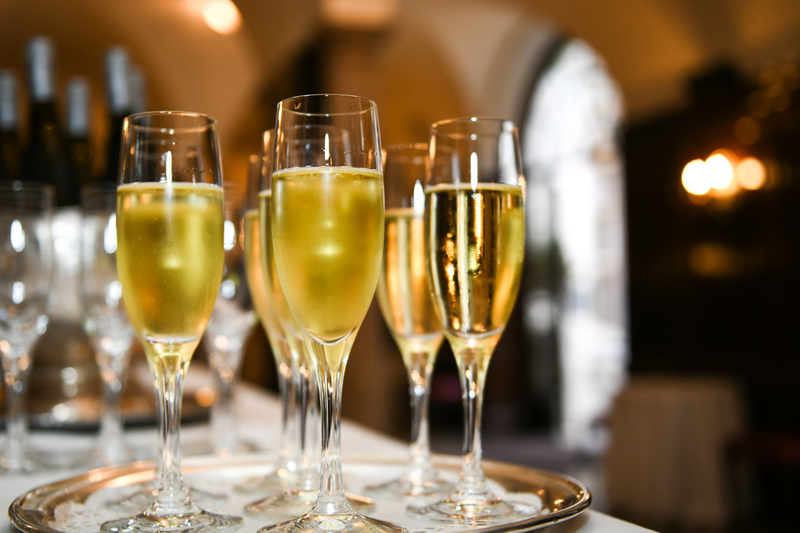 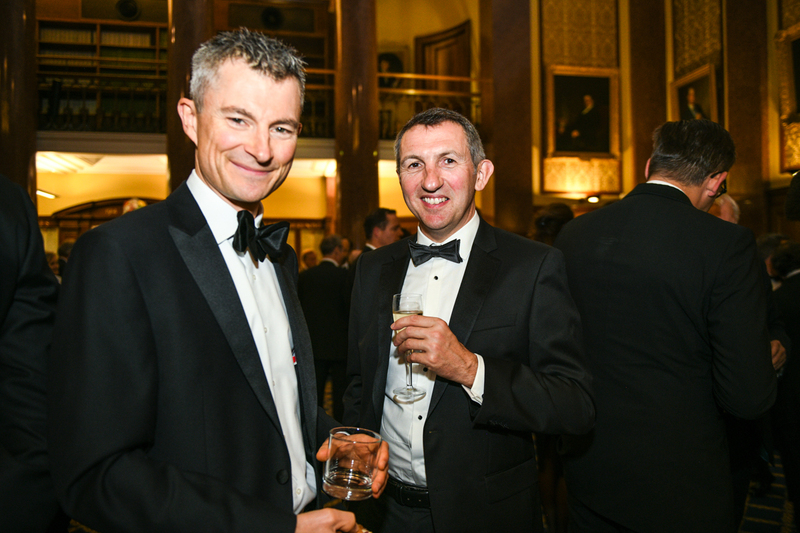 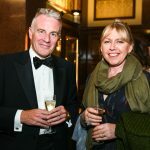 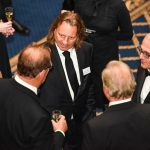 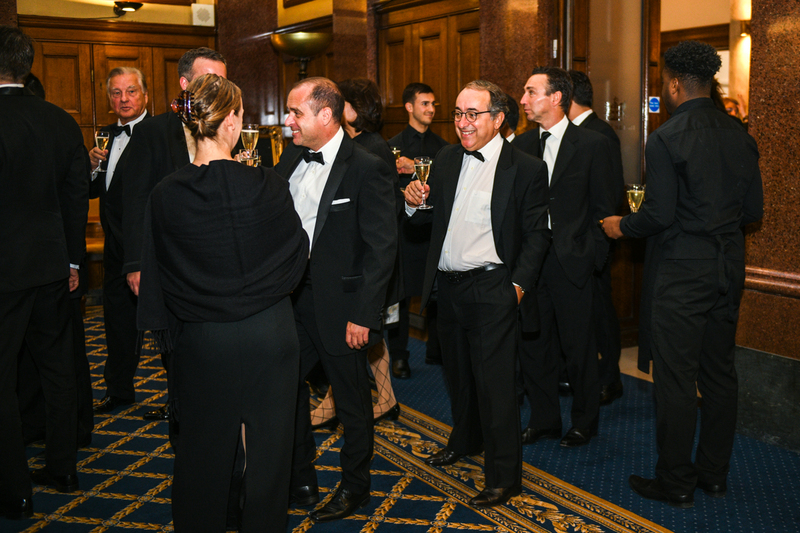 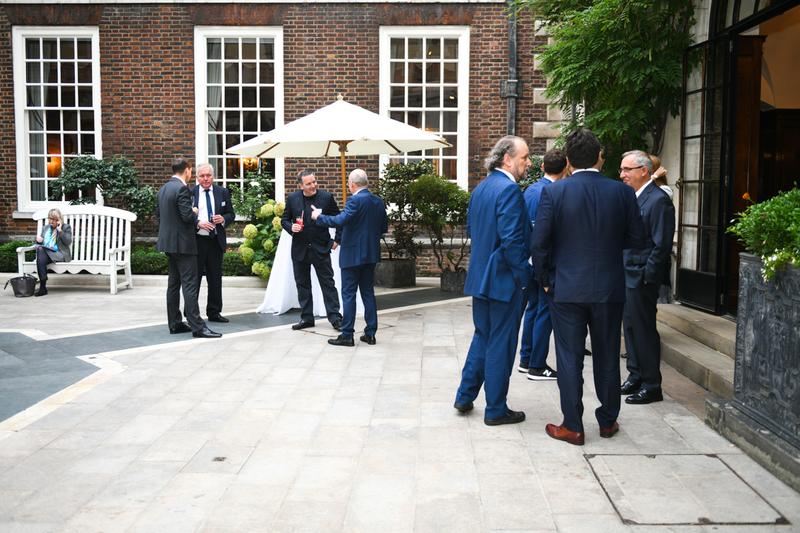 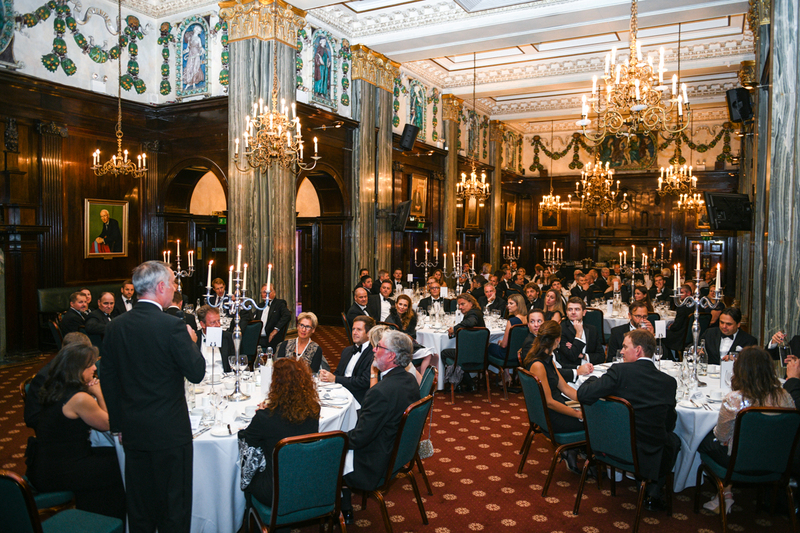 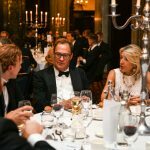 On Thursday 20th September we were welcomed by Paul Robinson of Arthur Cox and Maurice Seche of Noerr for welcome drinks/walking dinner at Merchant Taylors Hall. 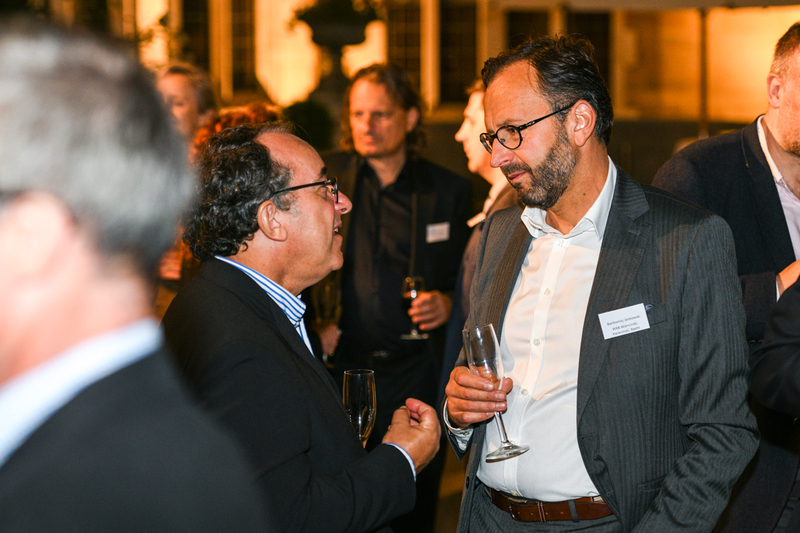 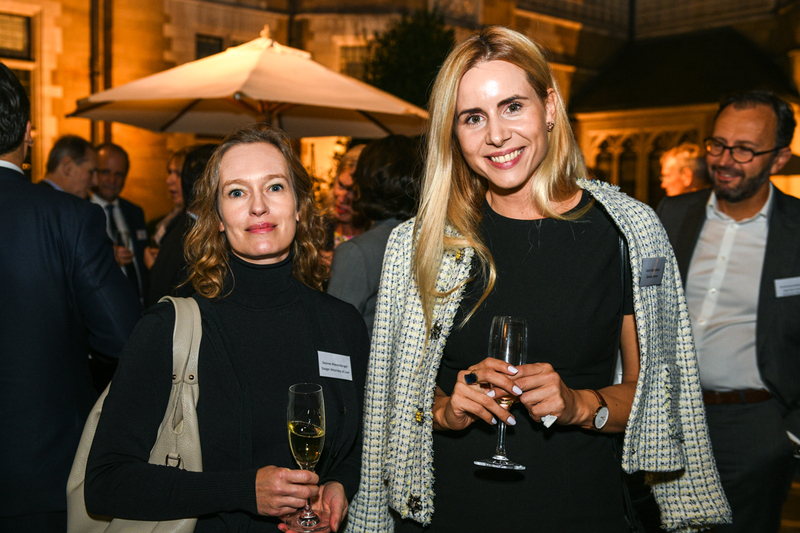 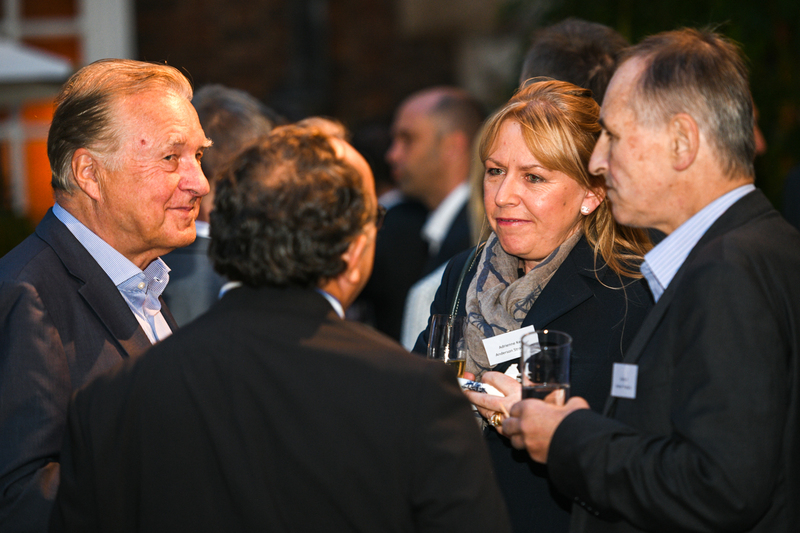 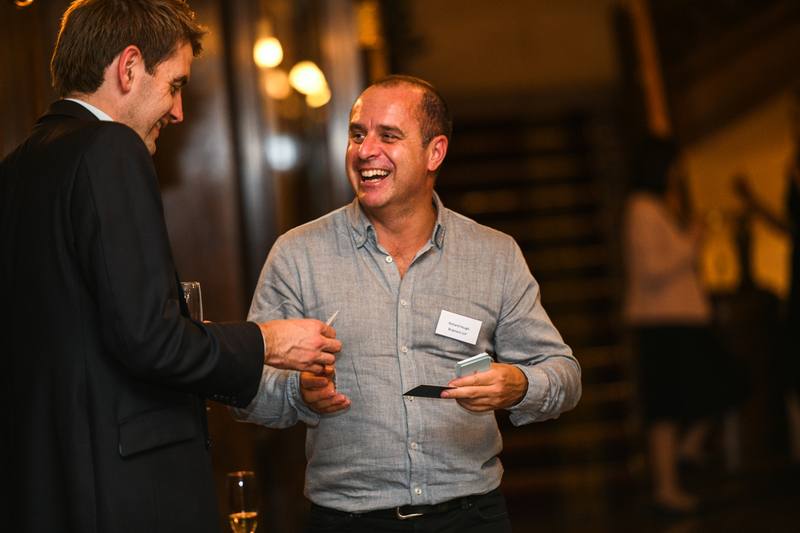 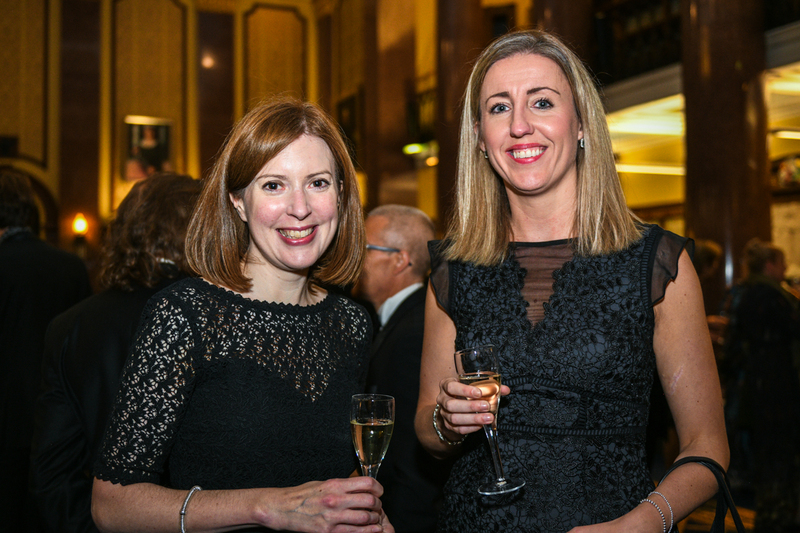 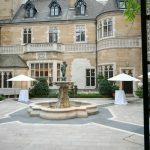 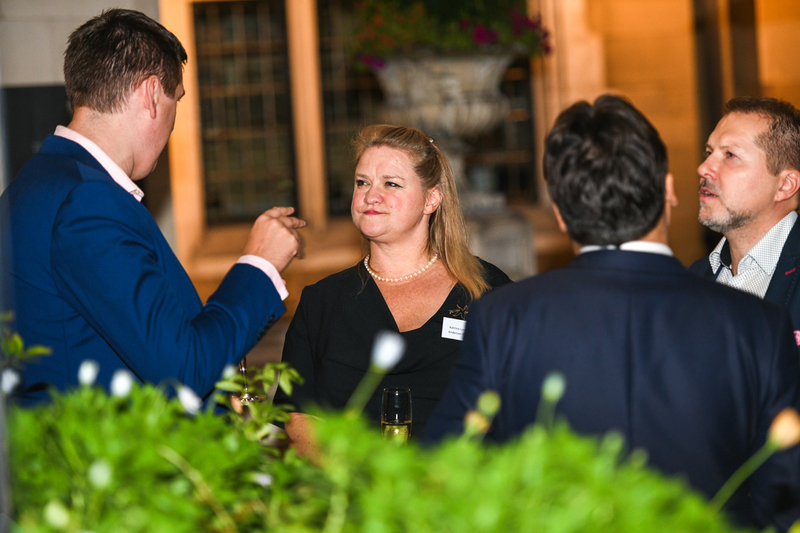 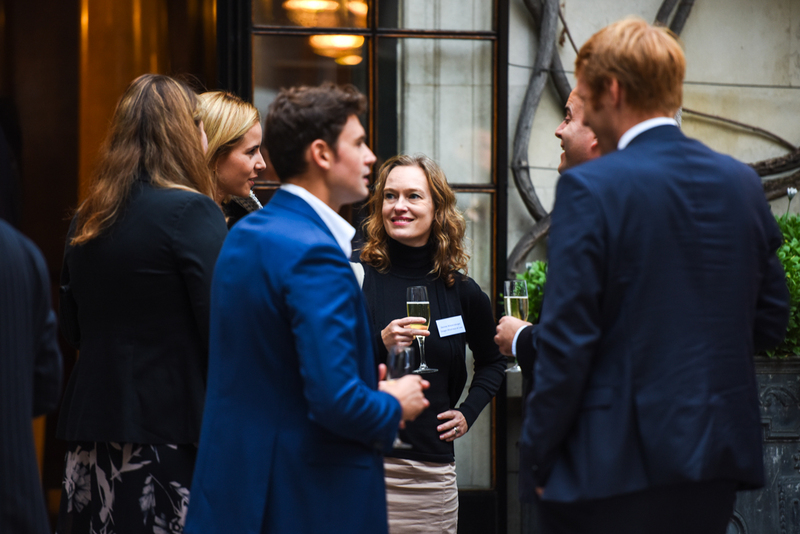 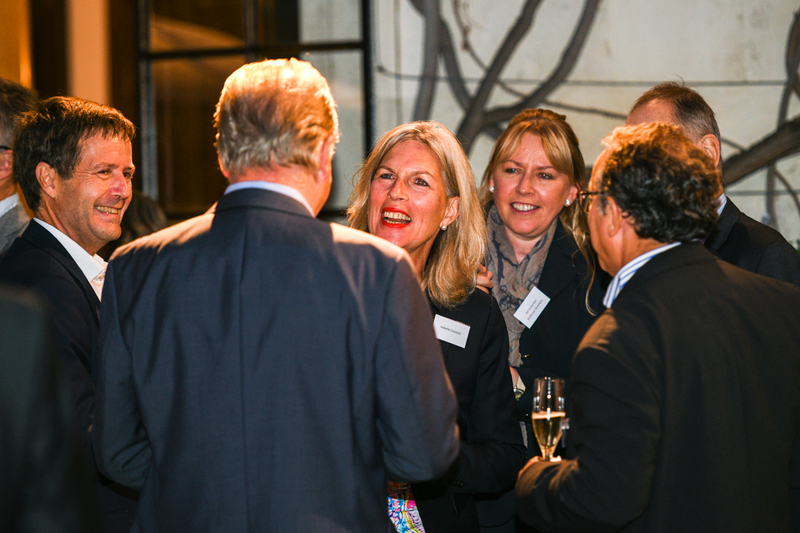 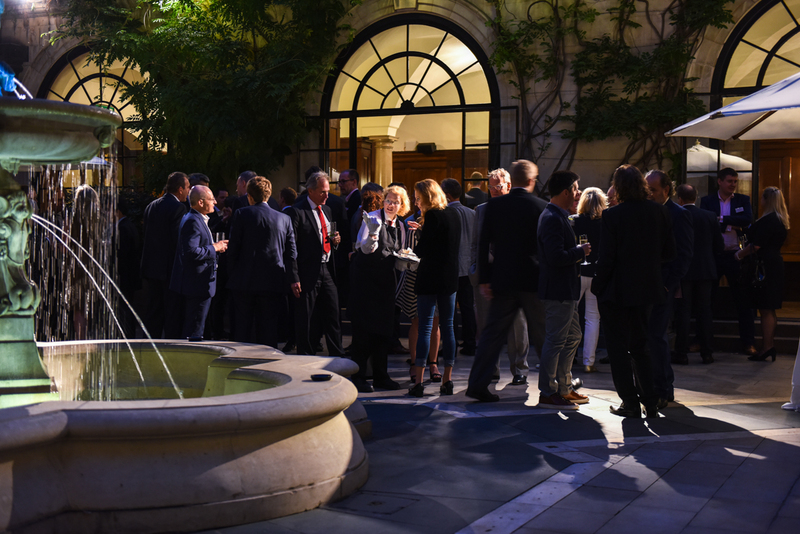 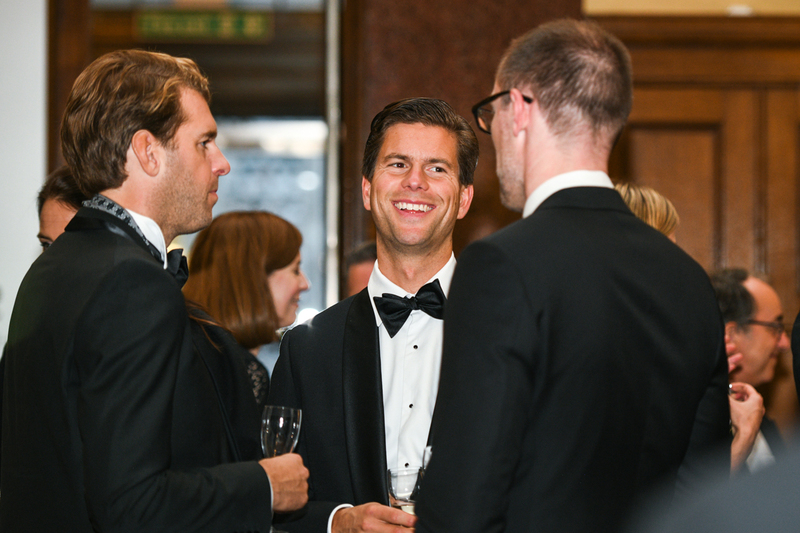 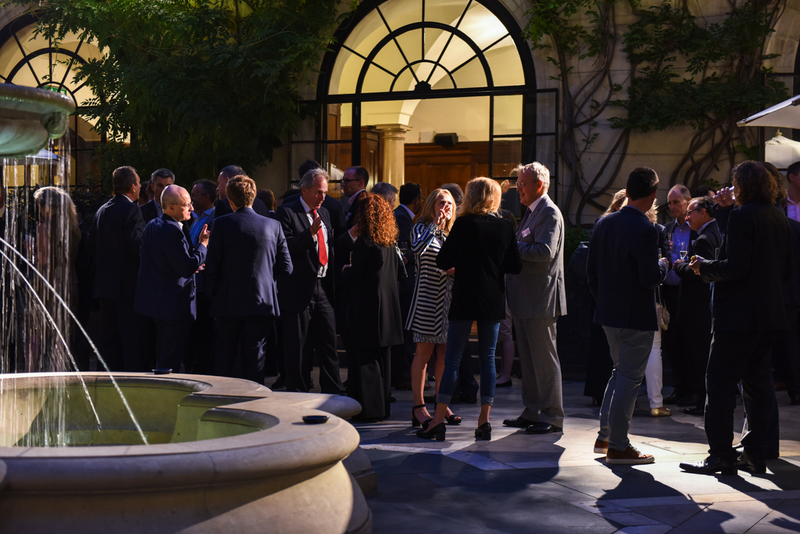 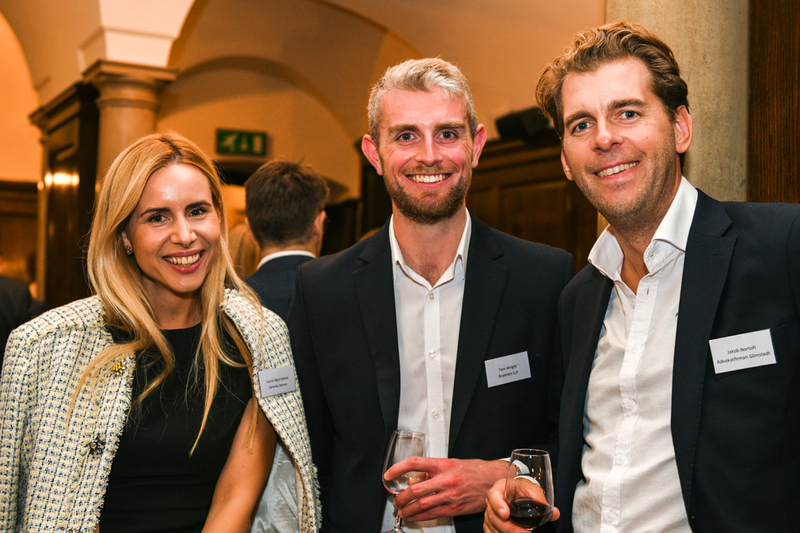 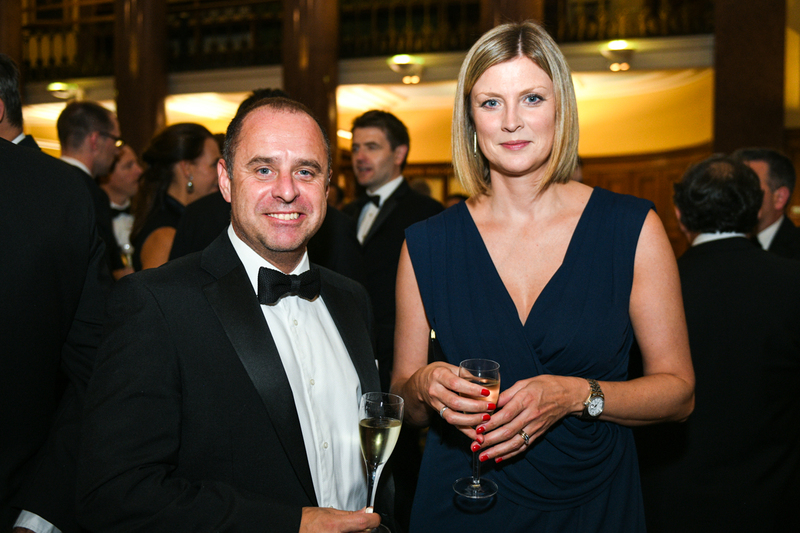 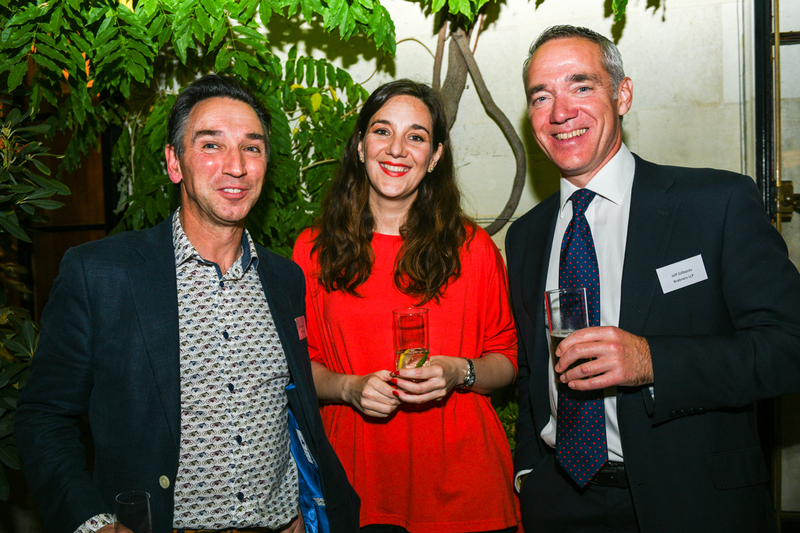 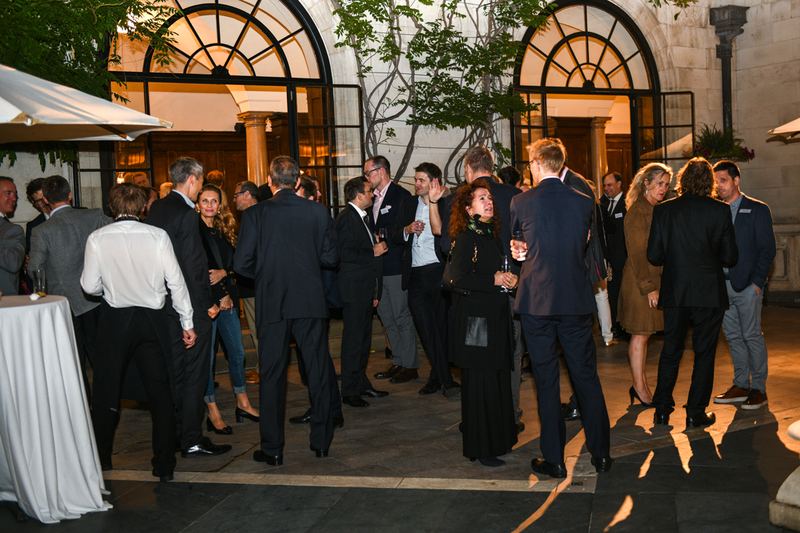 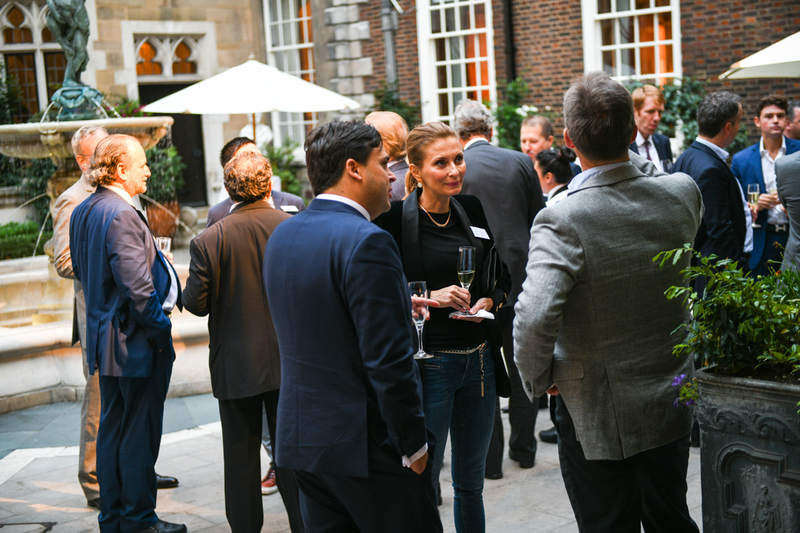 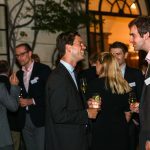 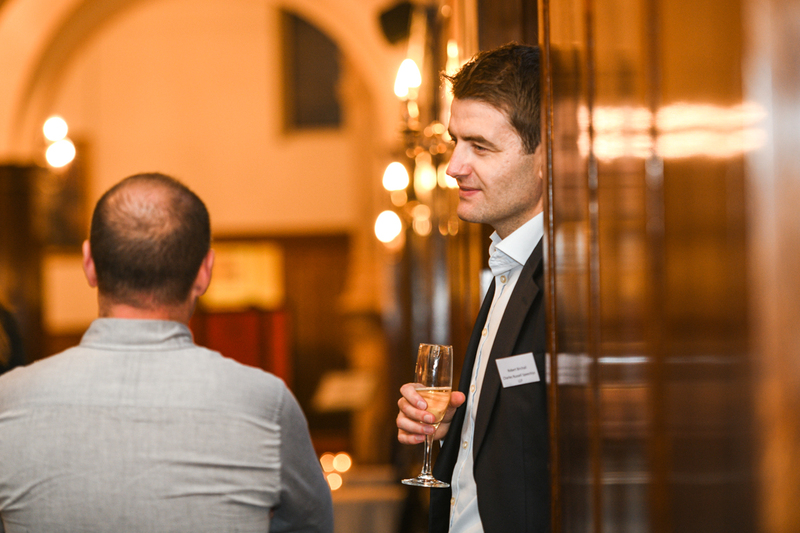 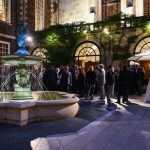 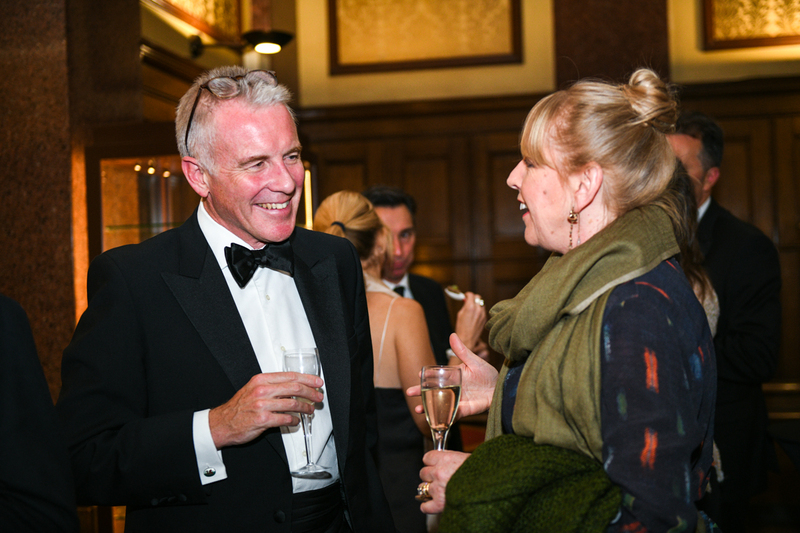 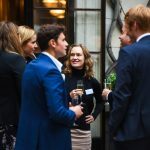 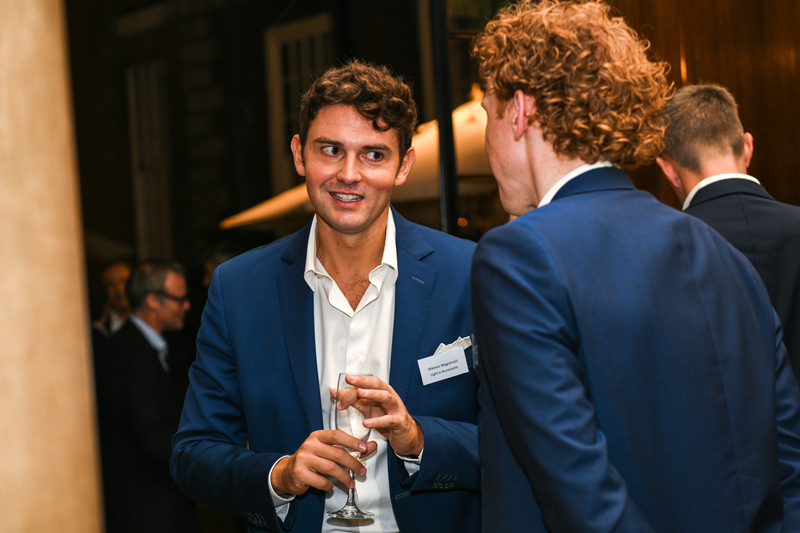 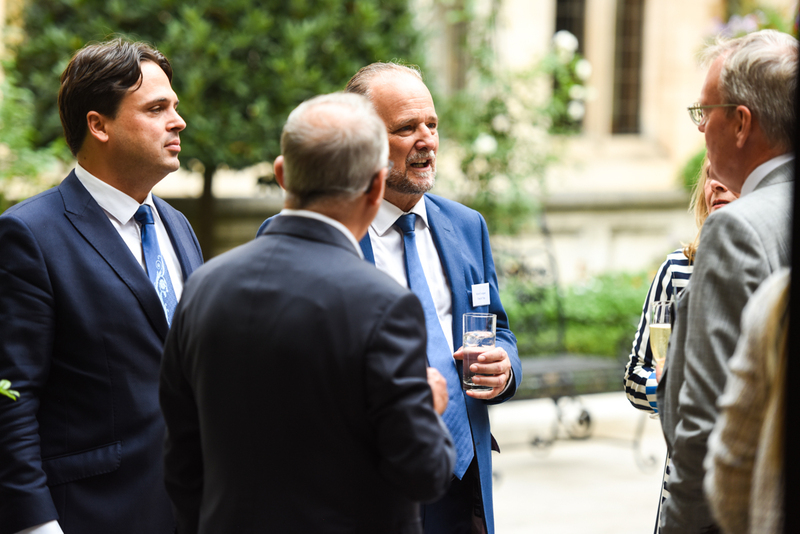 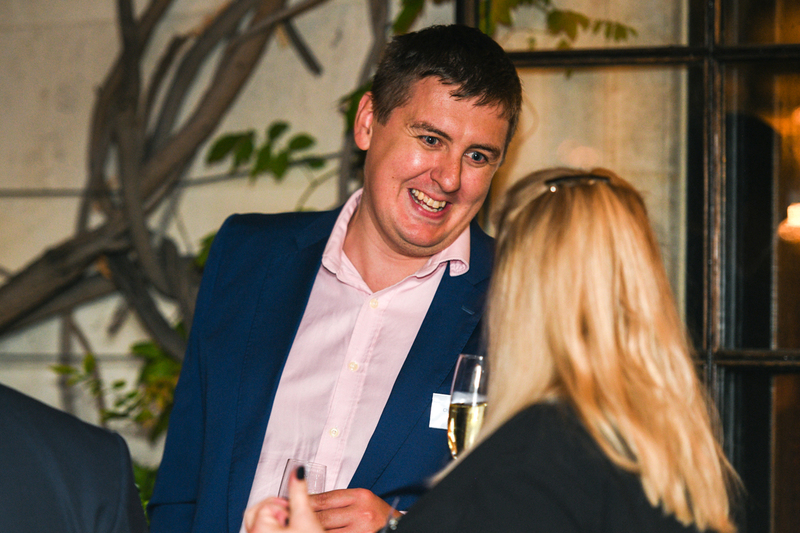 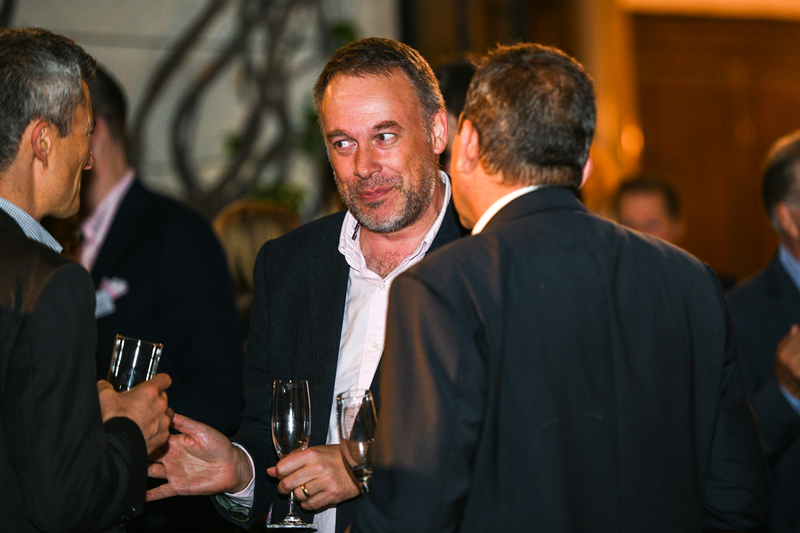 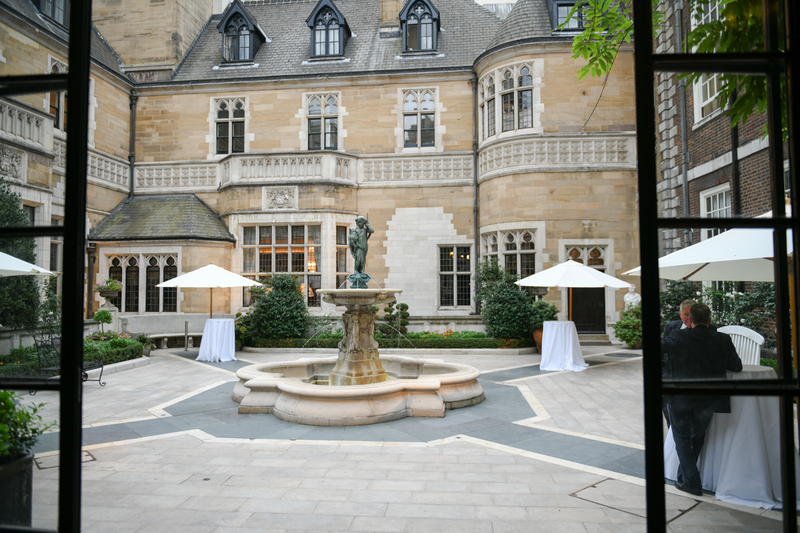 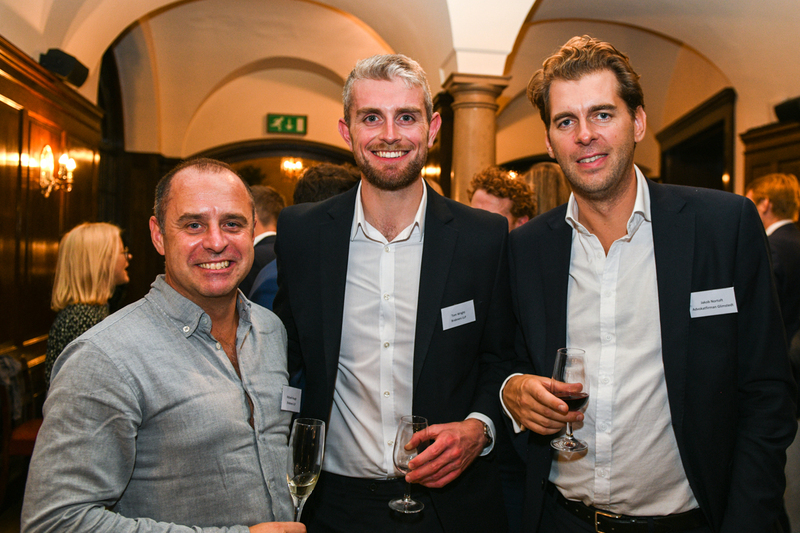 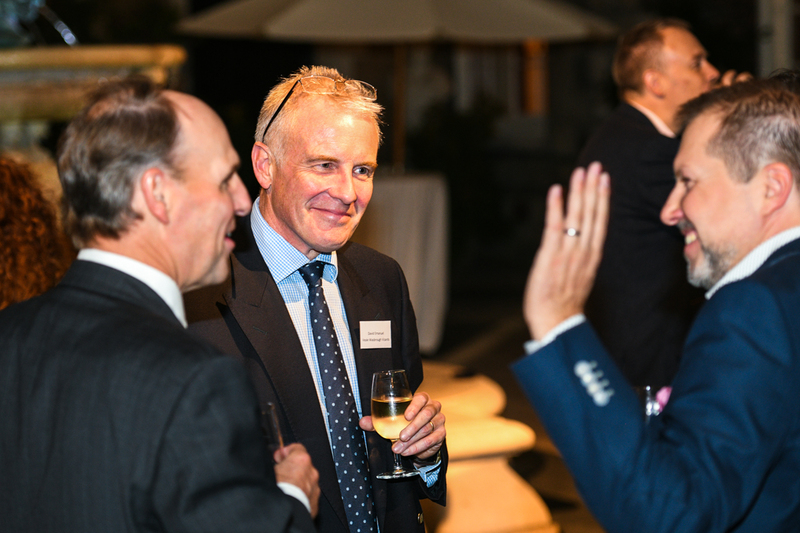 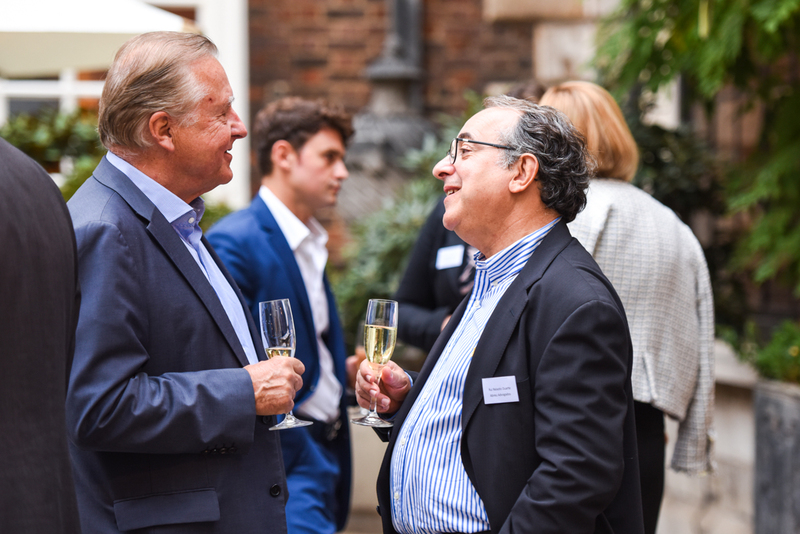 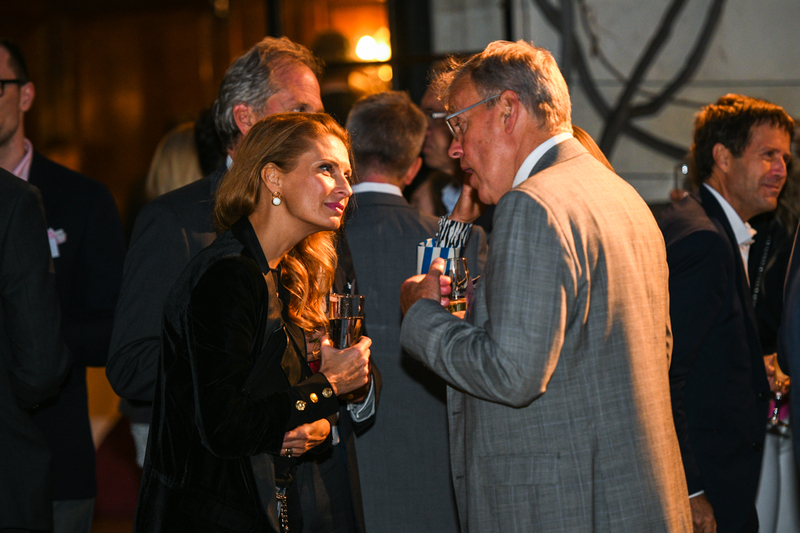 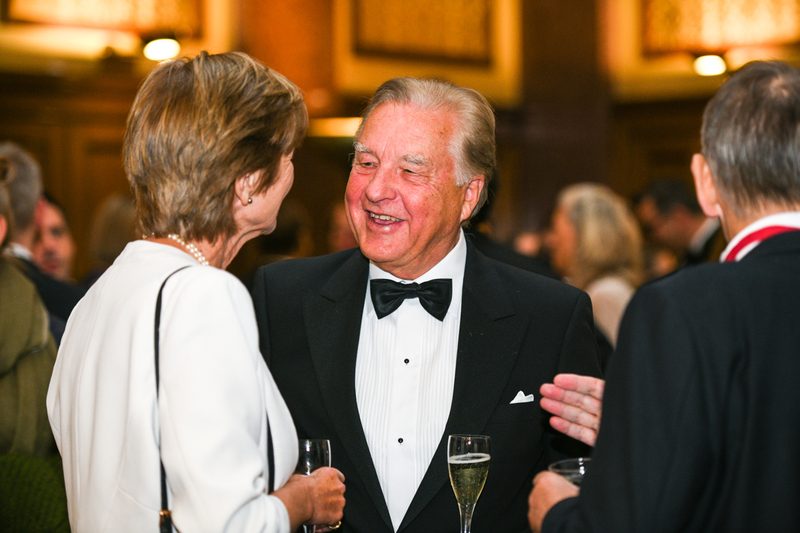 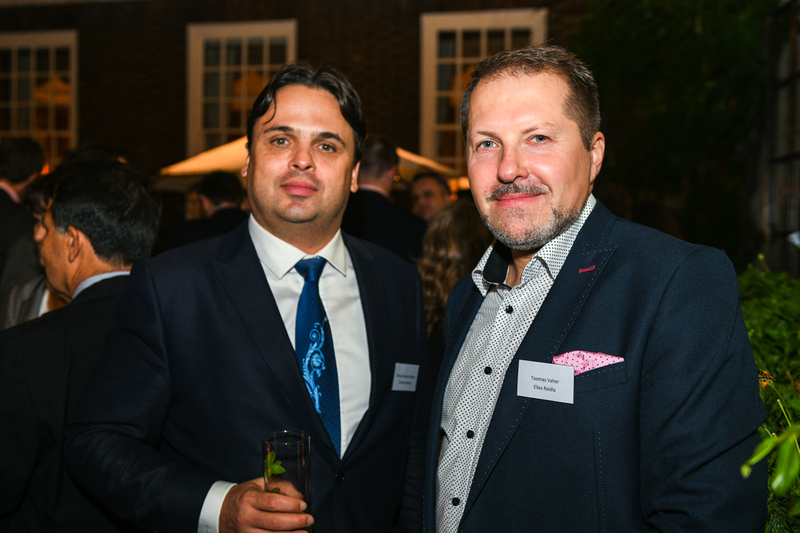 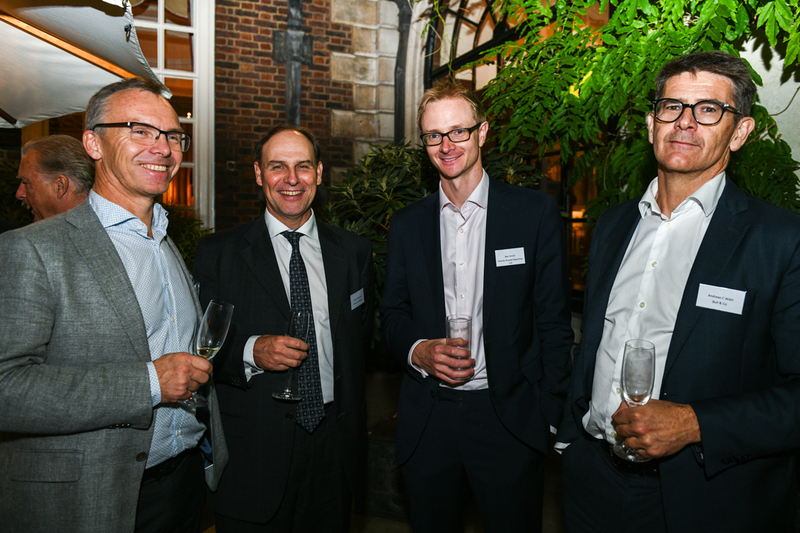 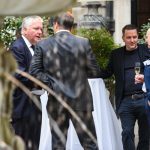 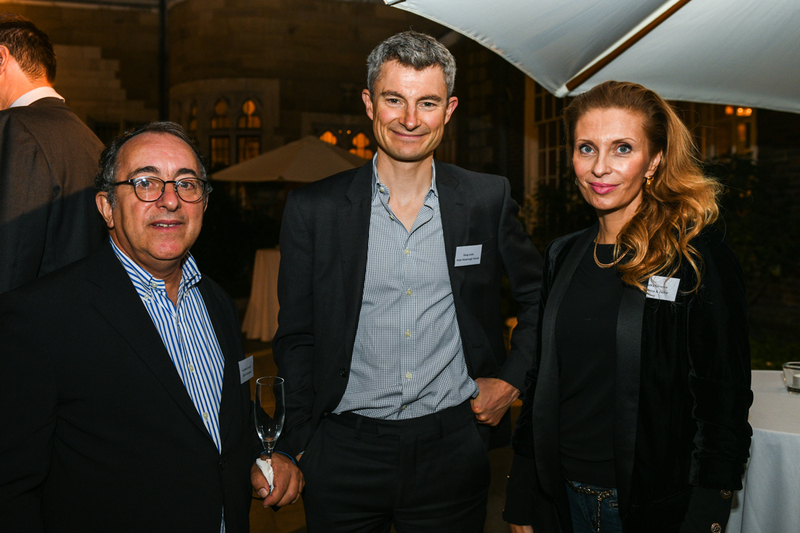 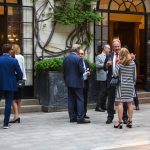 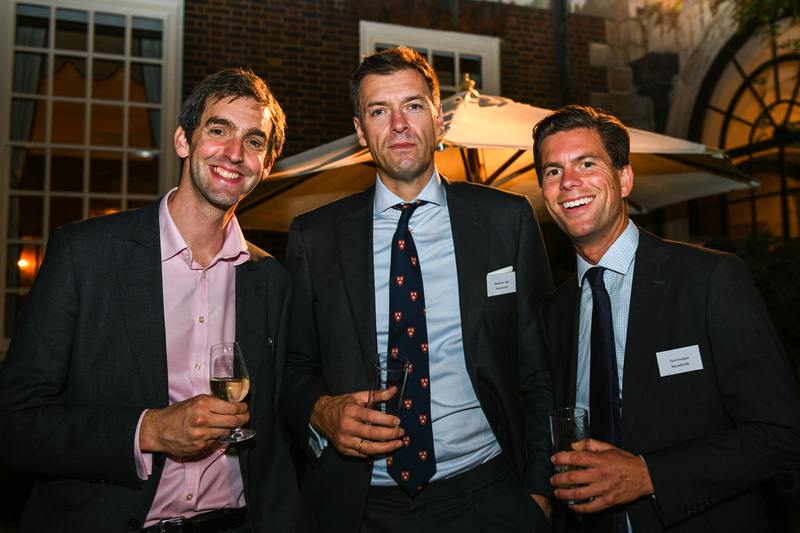 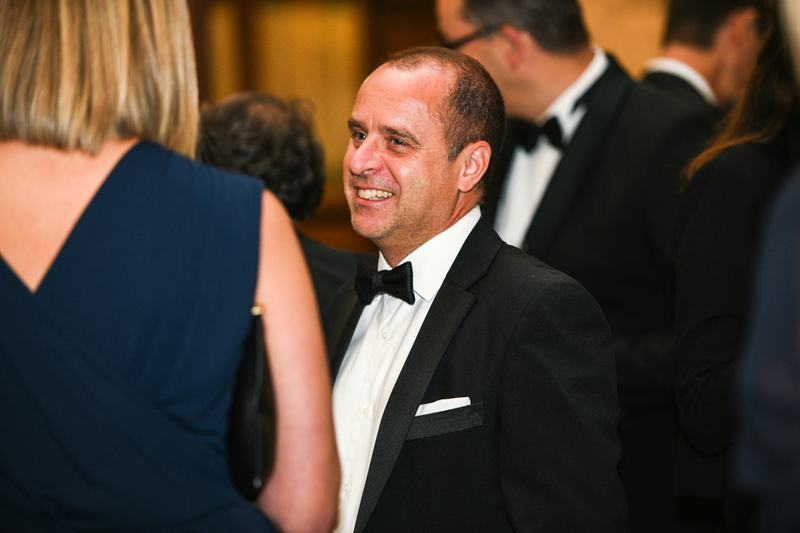 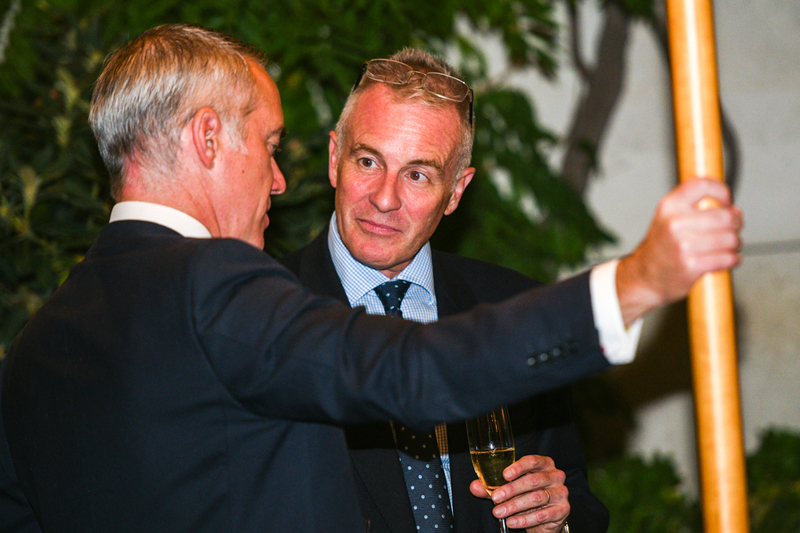 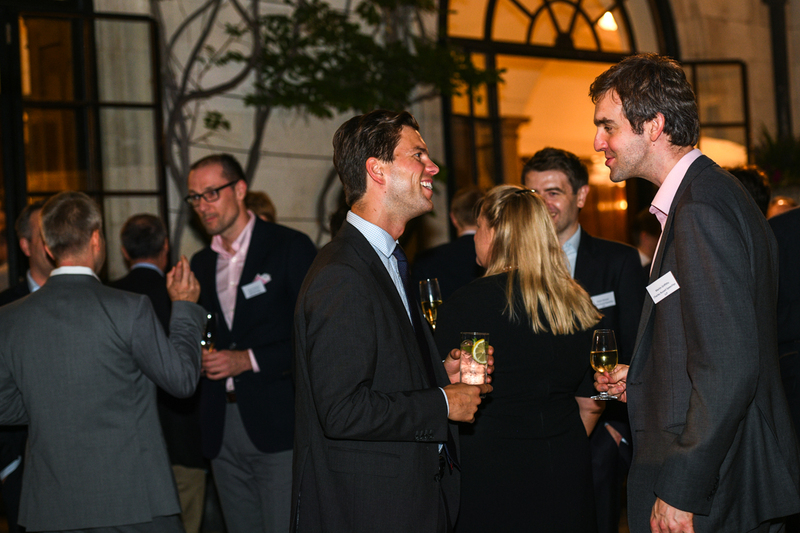 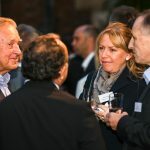 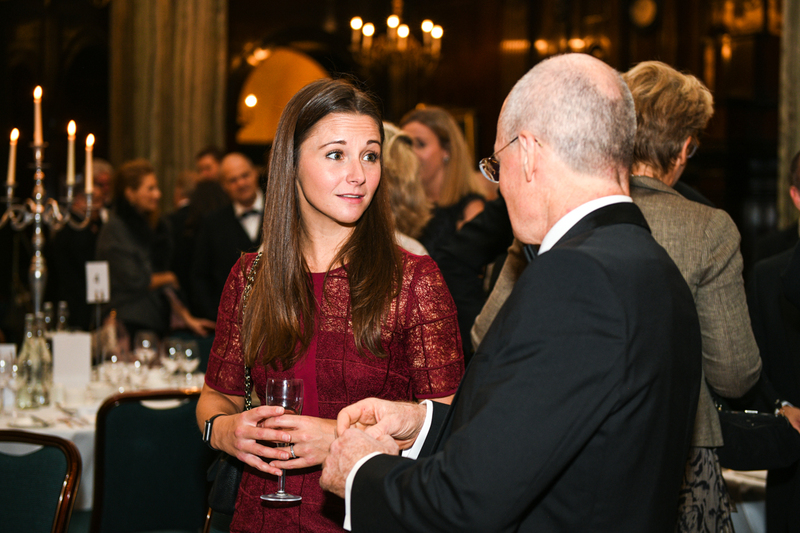 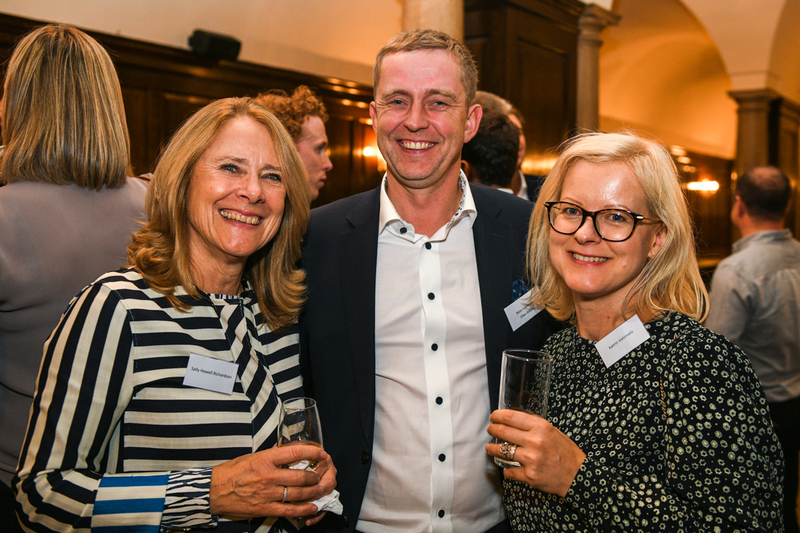 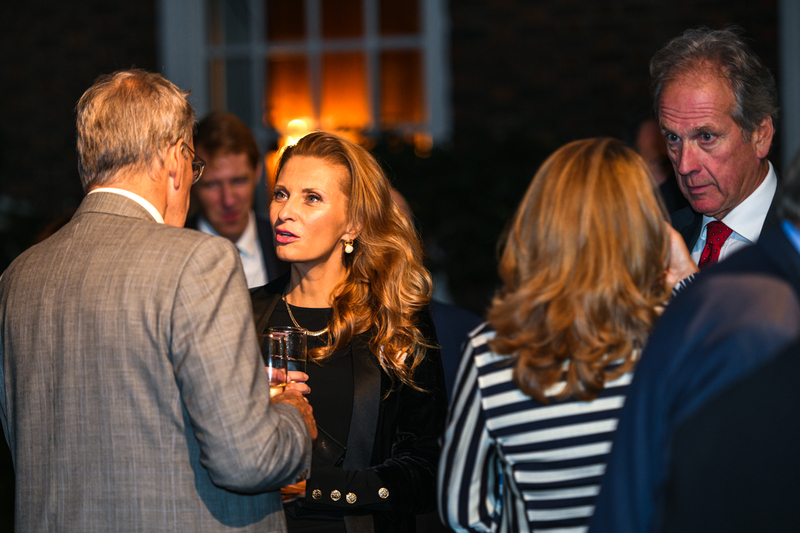 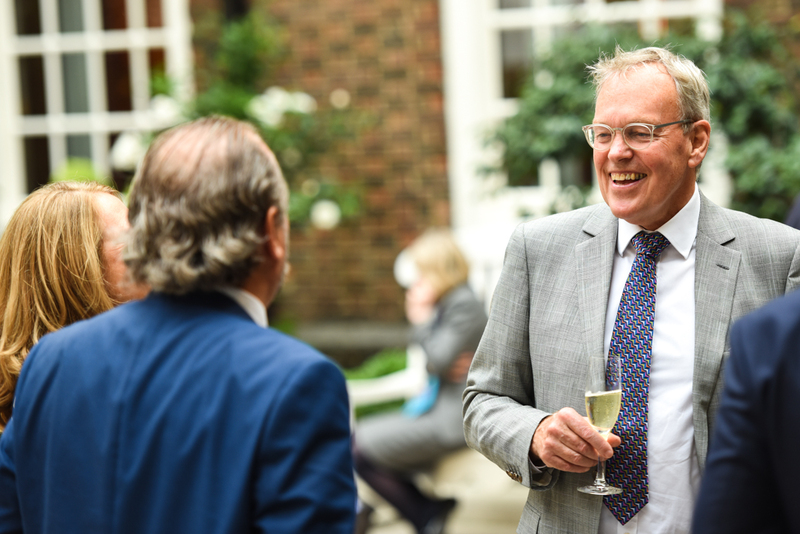 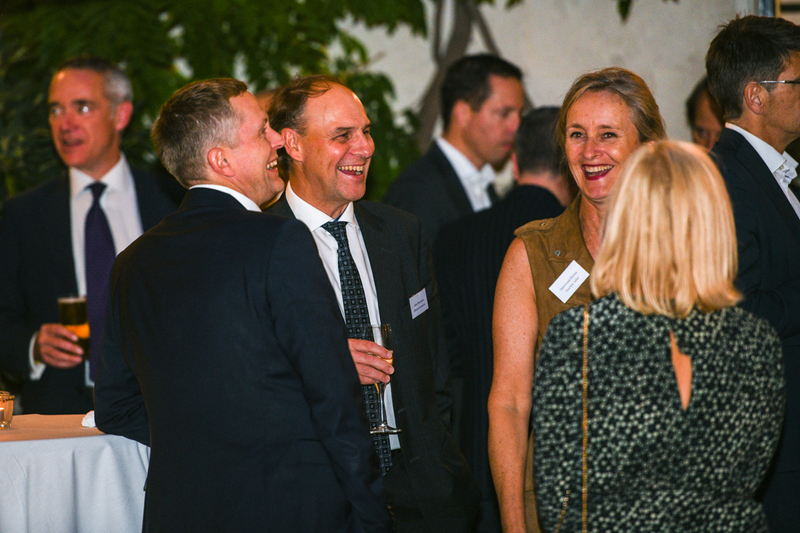 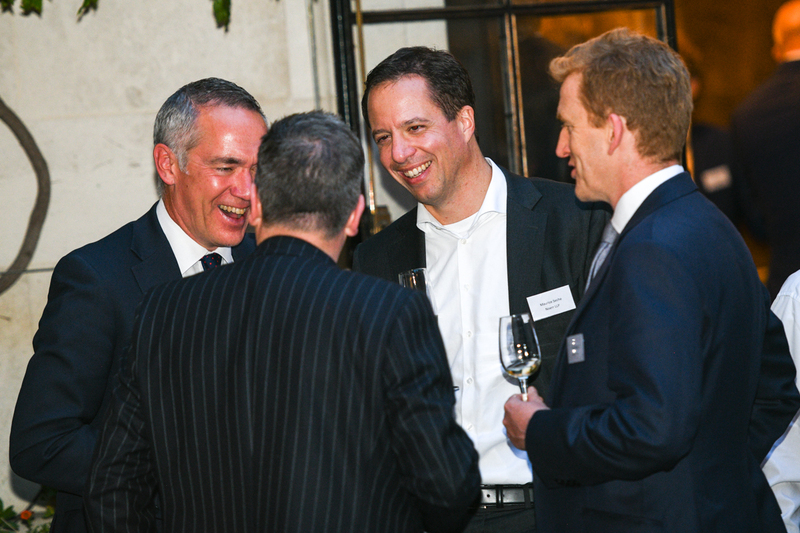 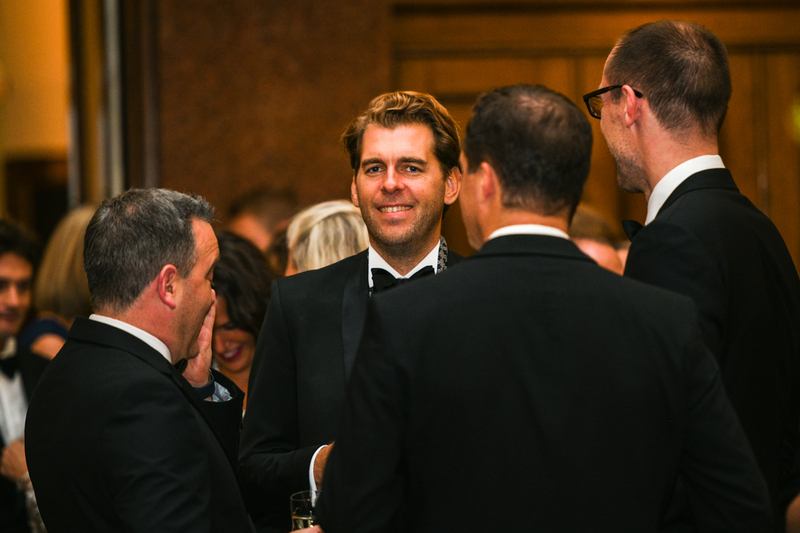 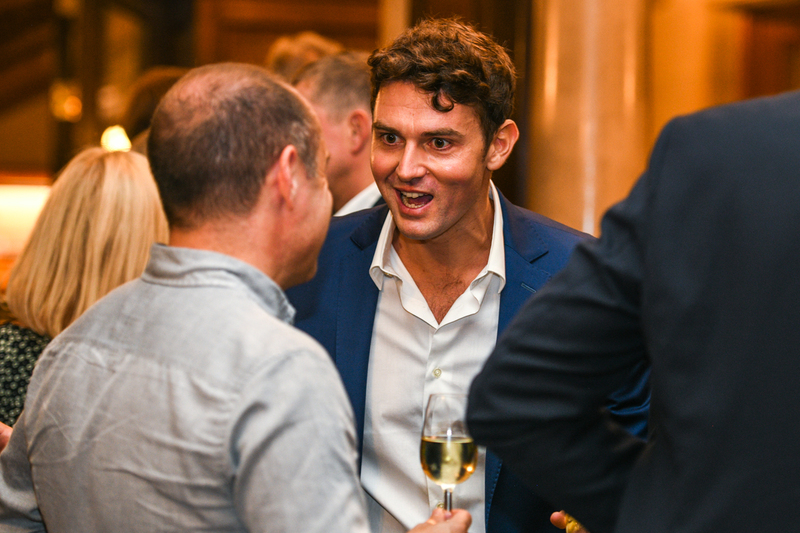 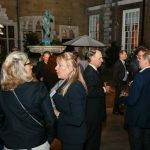 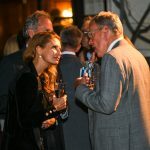 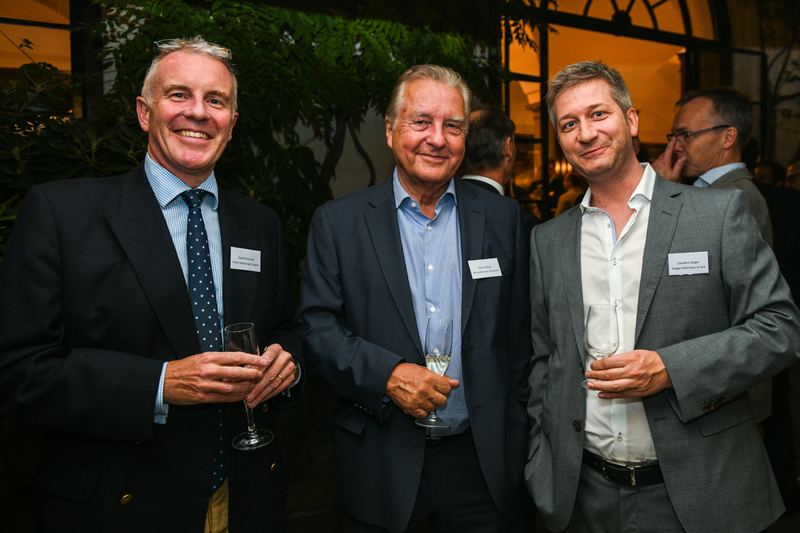 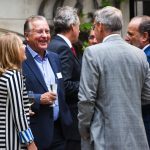 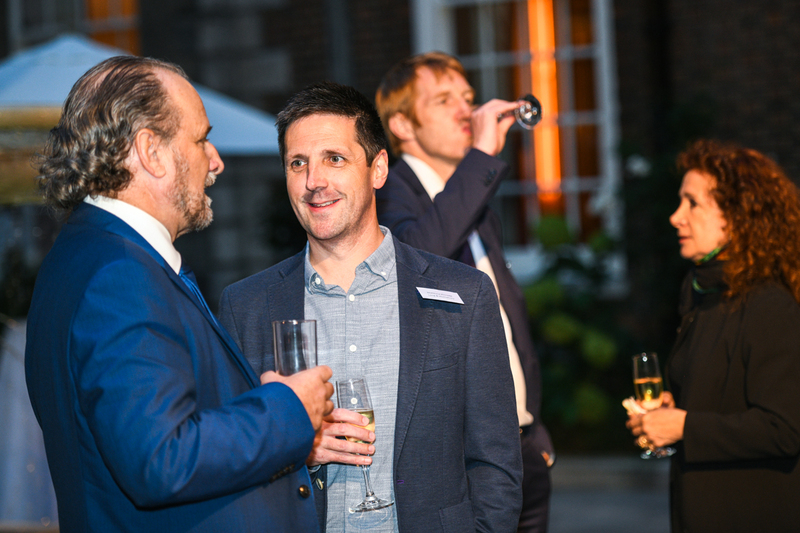 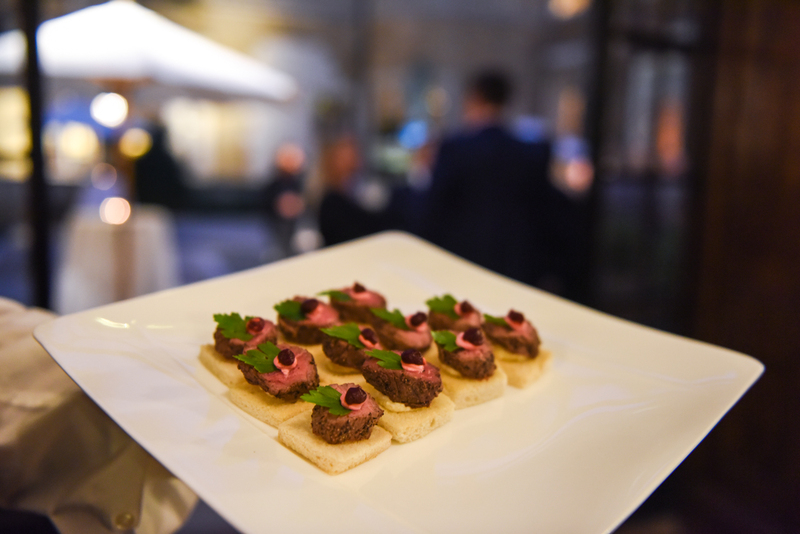 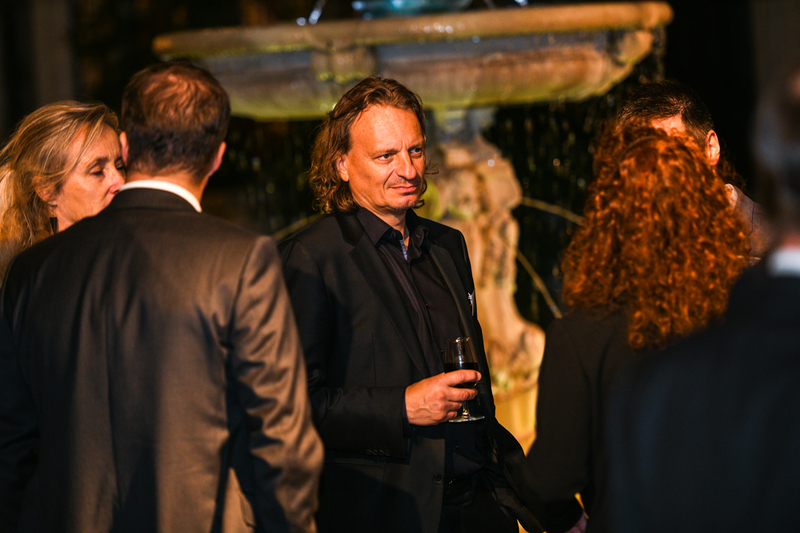 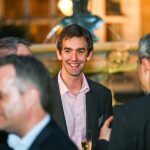 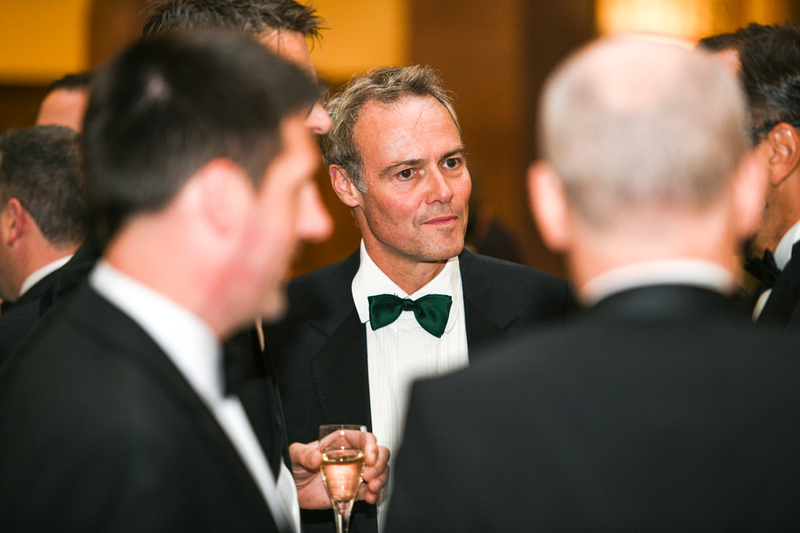 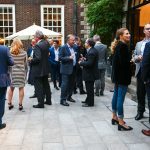 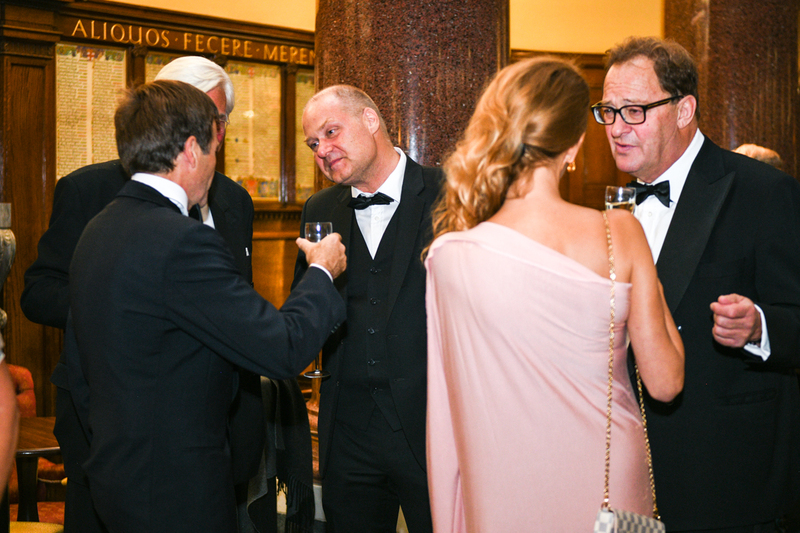 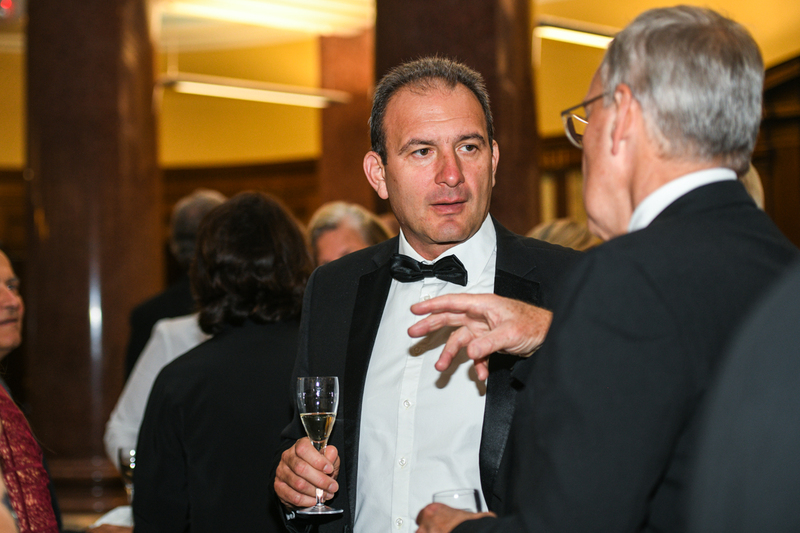 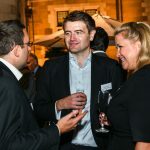 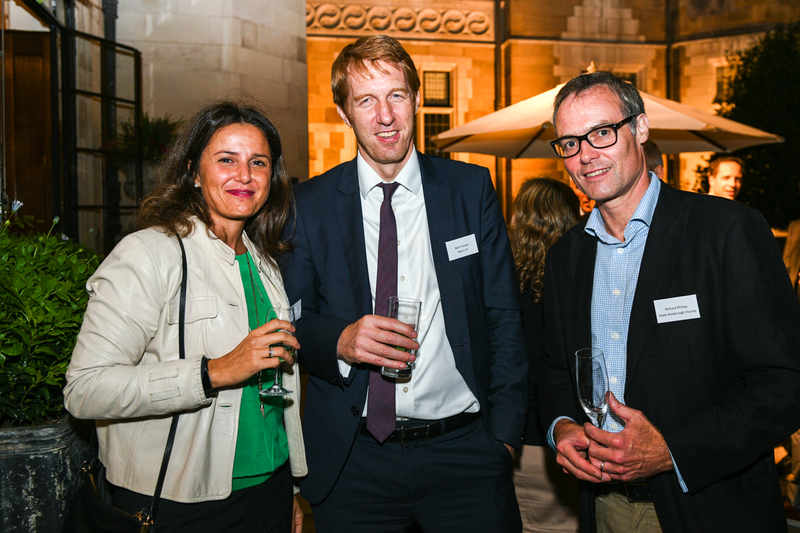 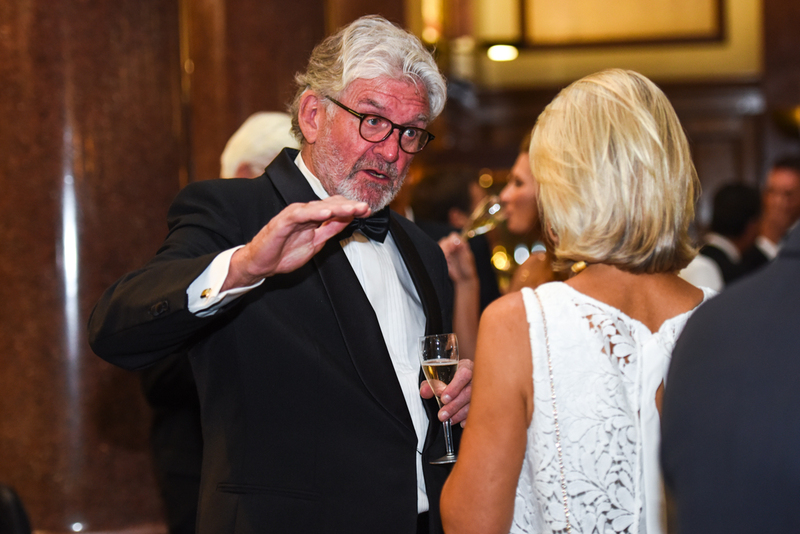 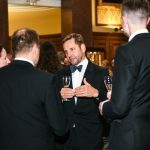 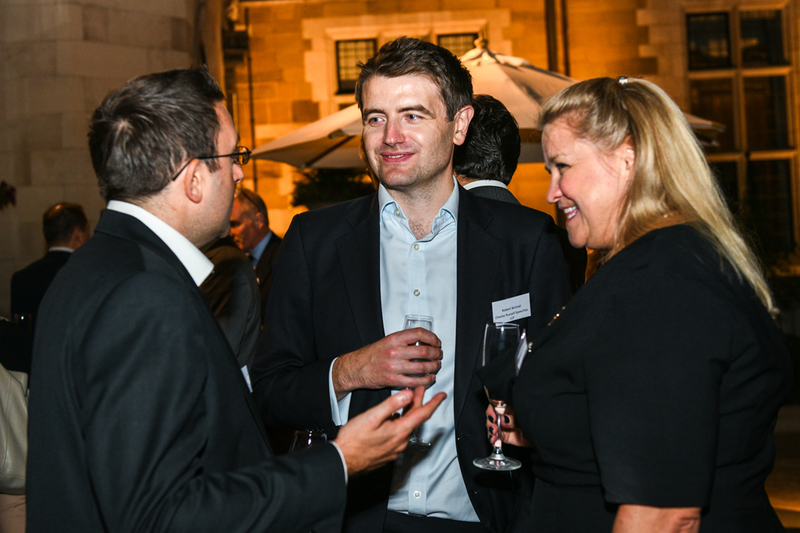 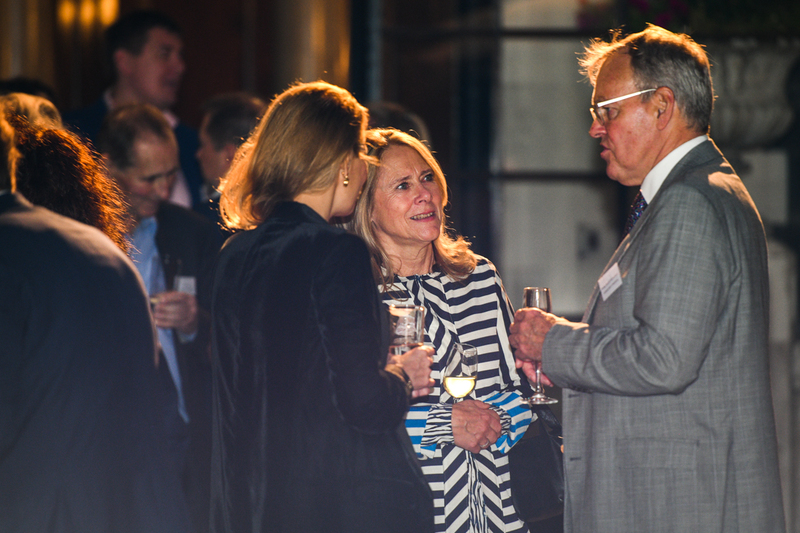 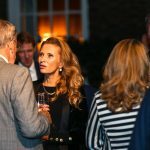 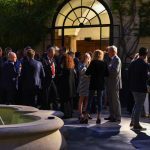 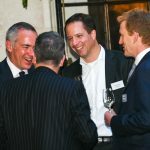 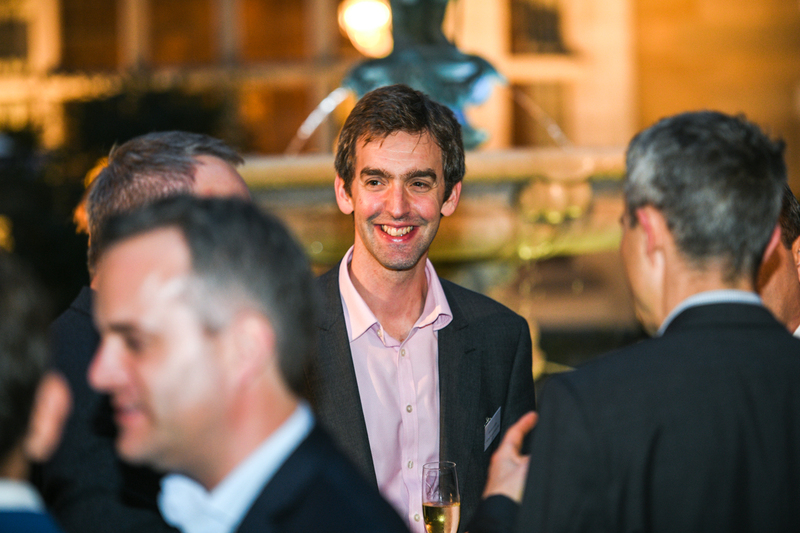 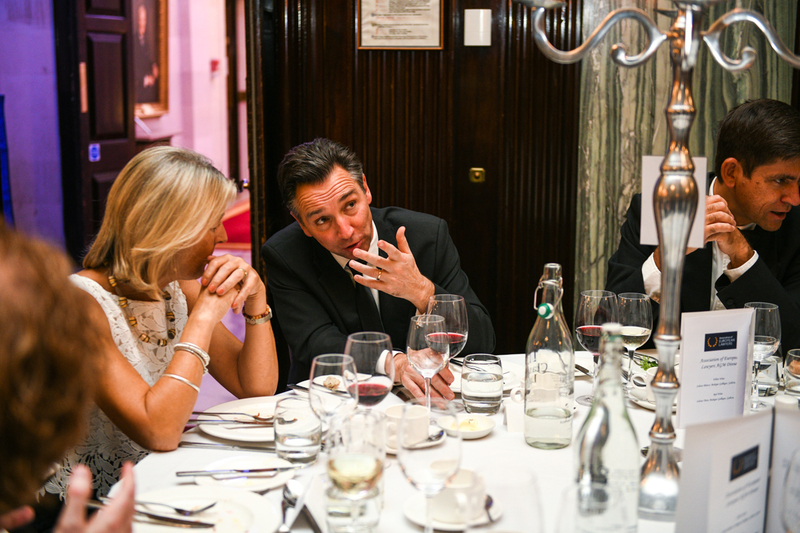 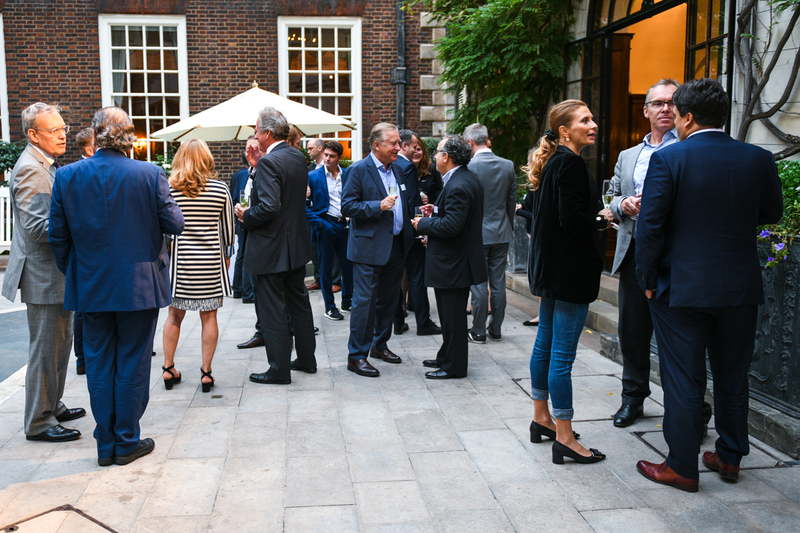 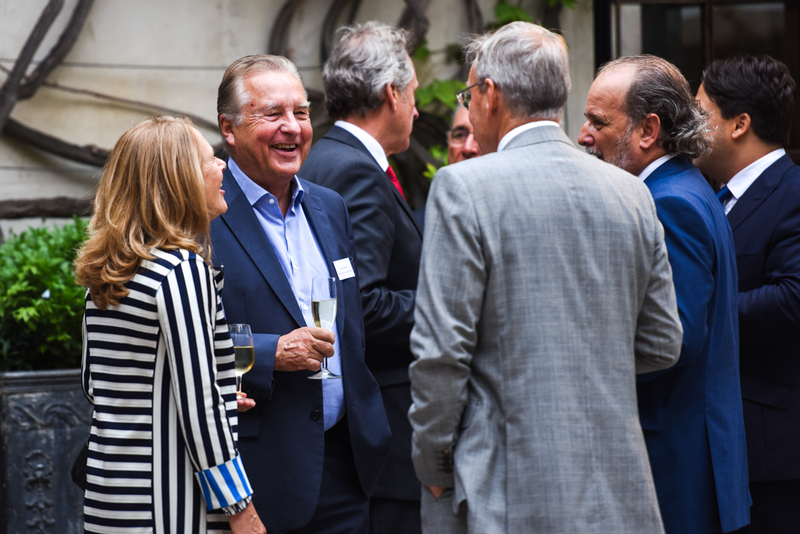 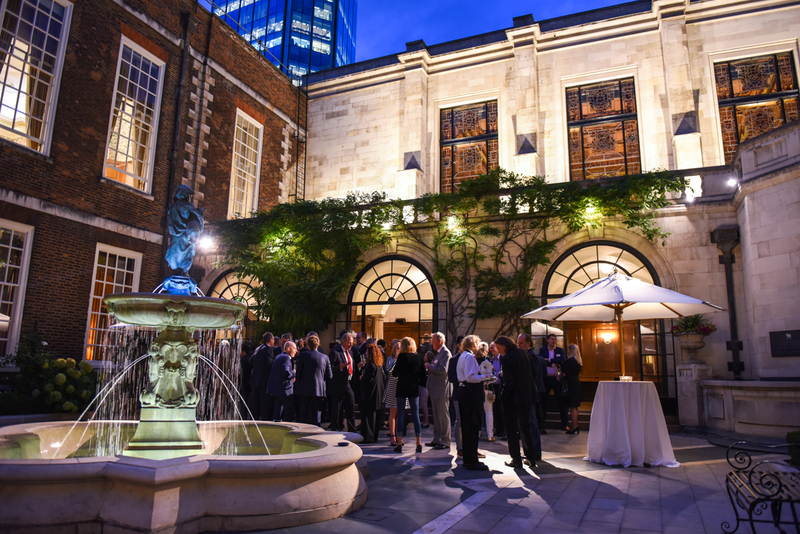 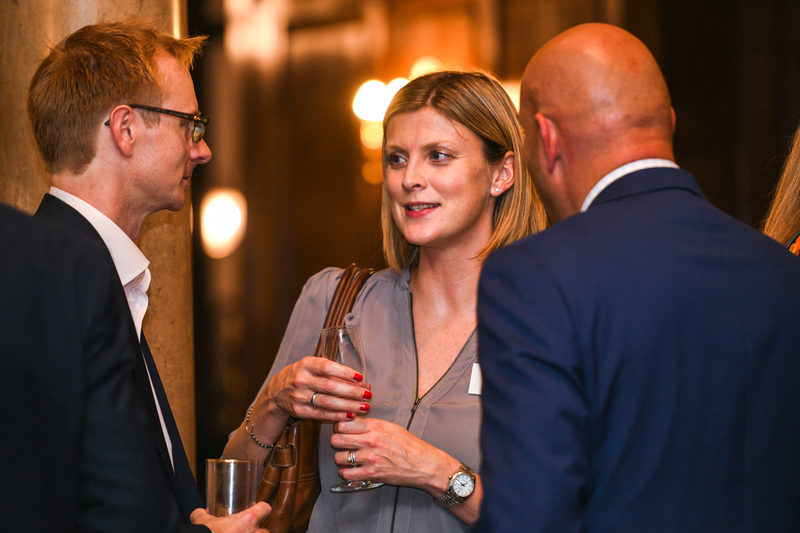 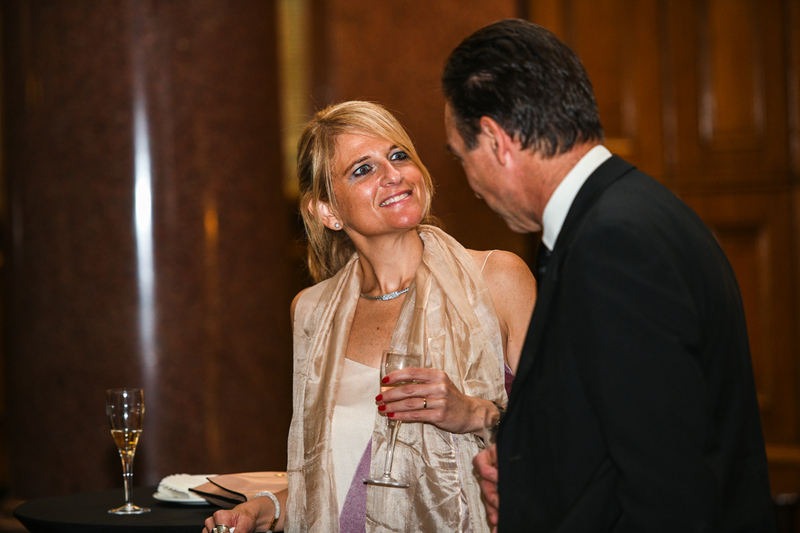 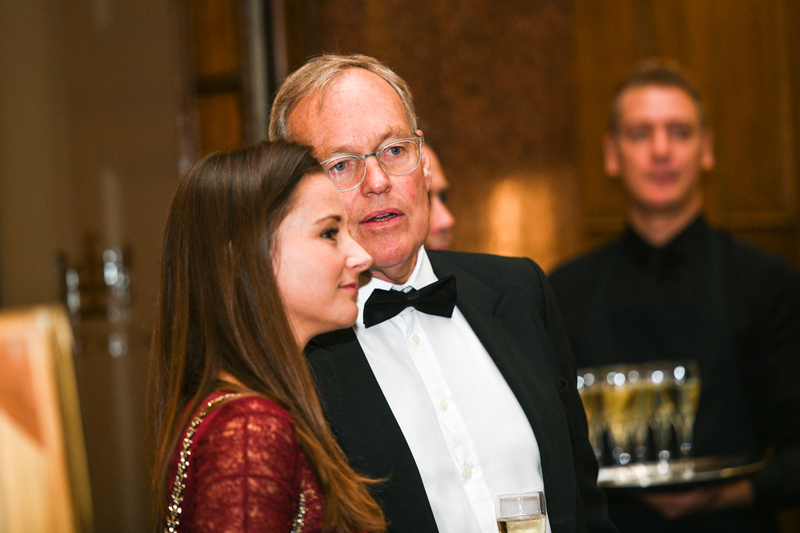 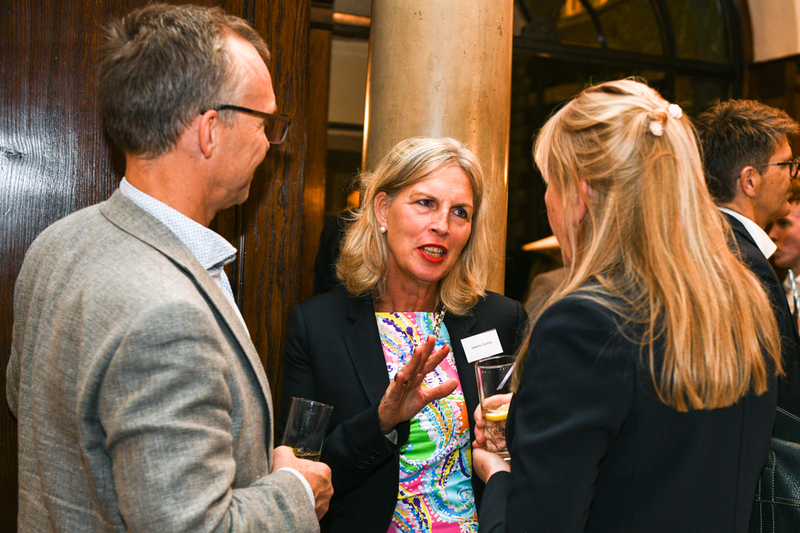 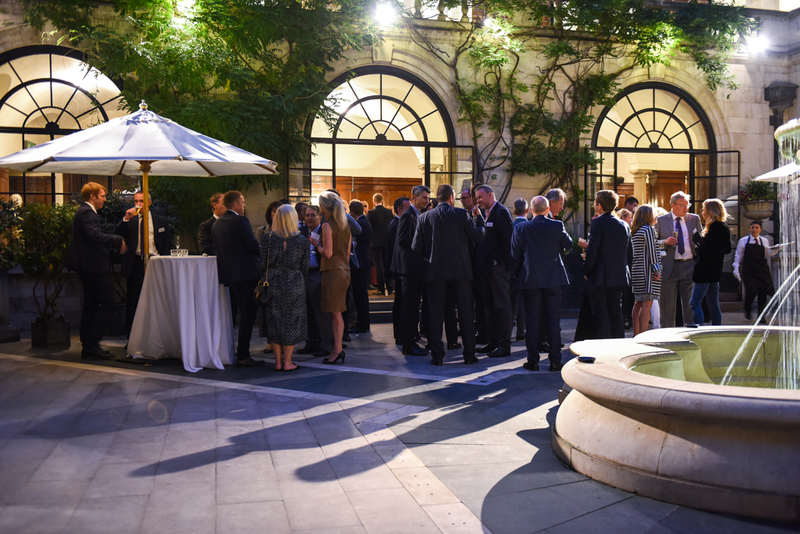 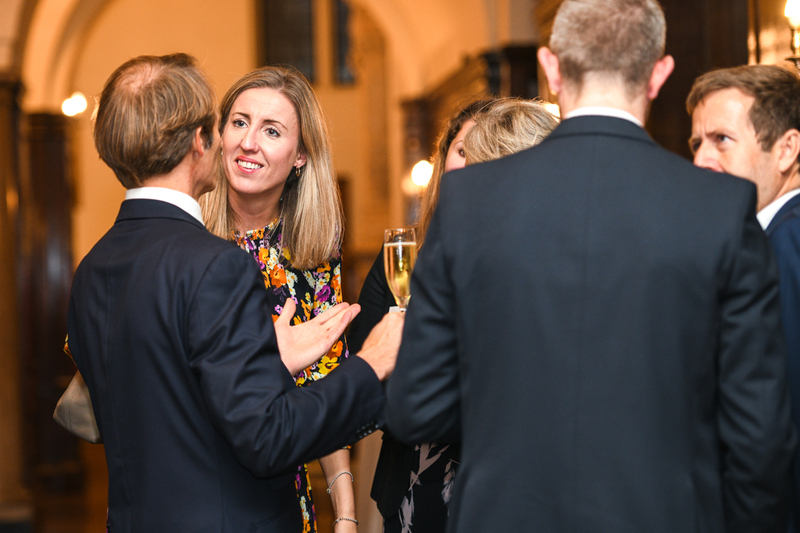 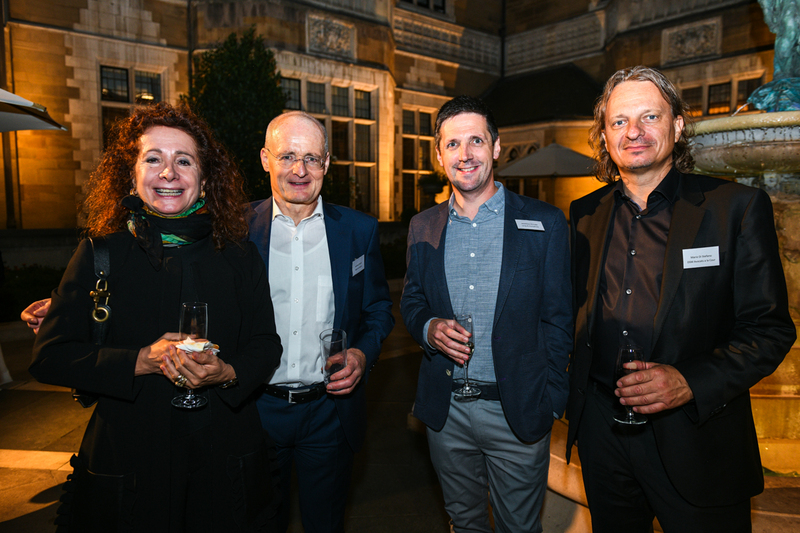 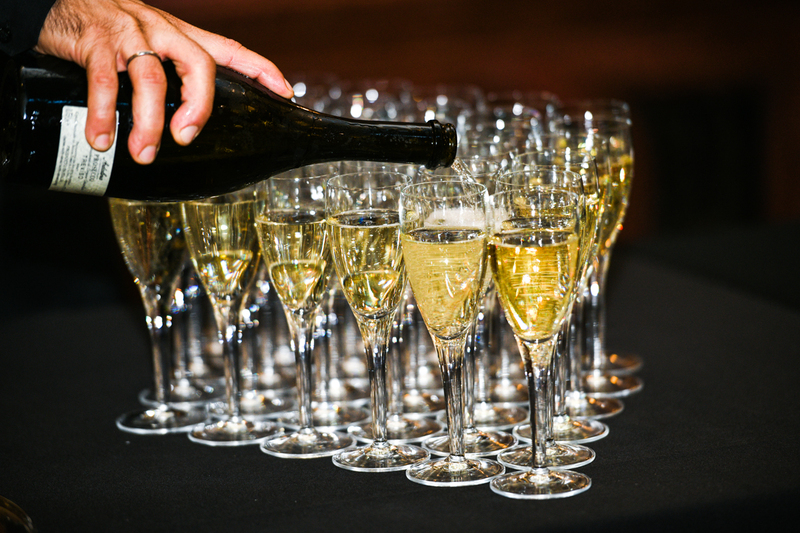 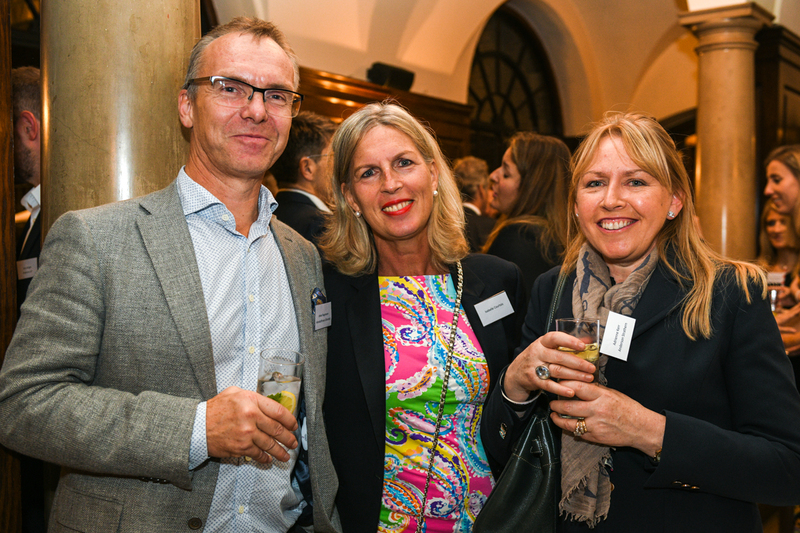 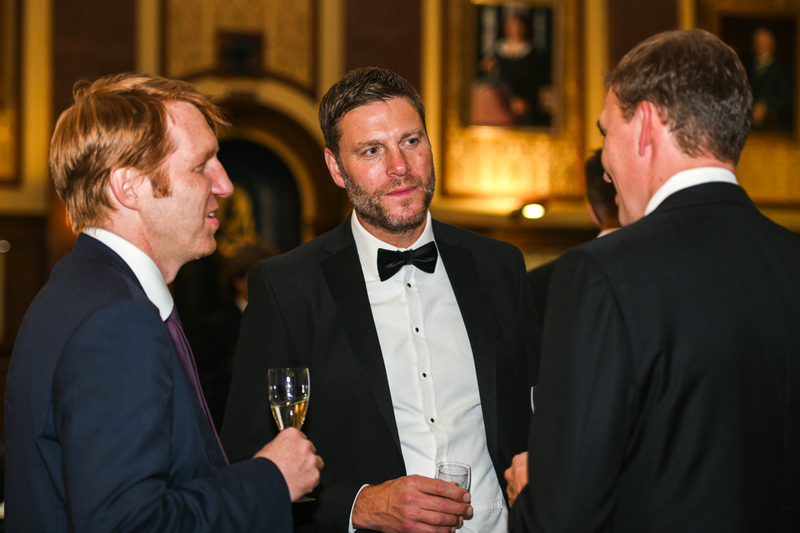 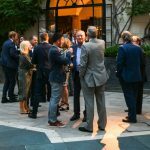 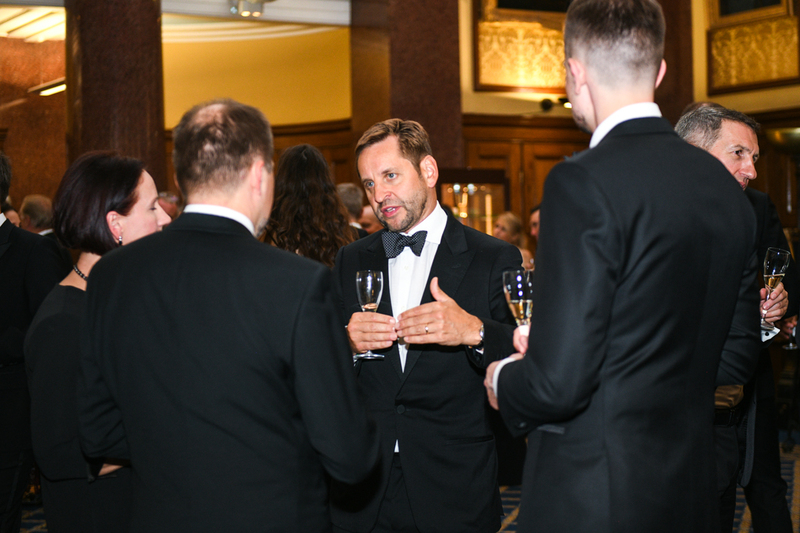 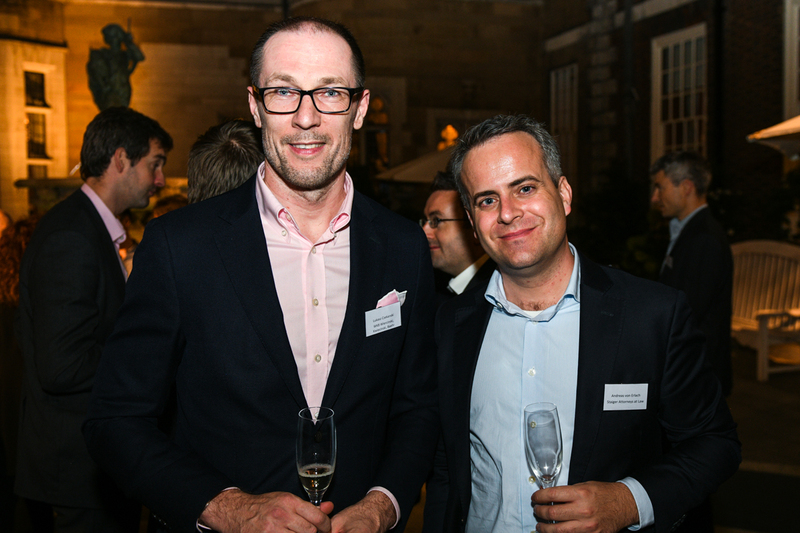 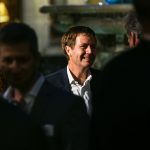 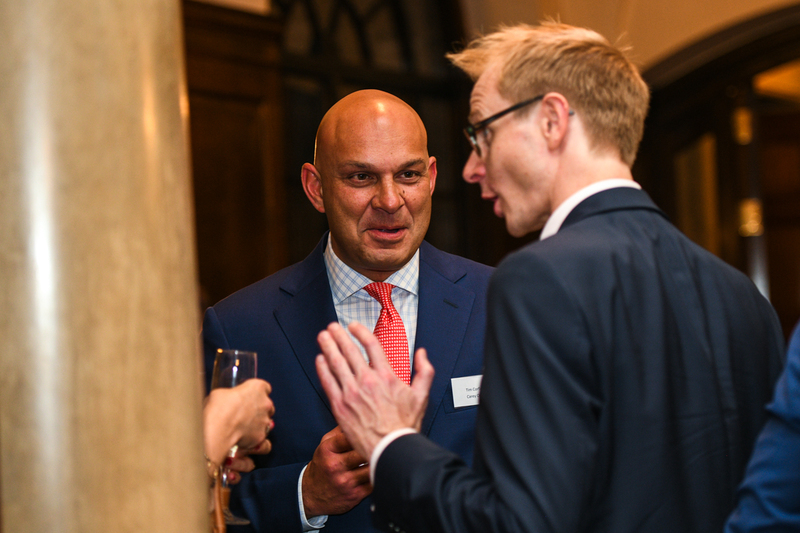 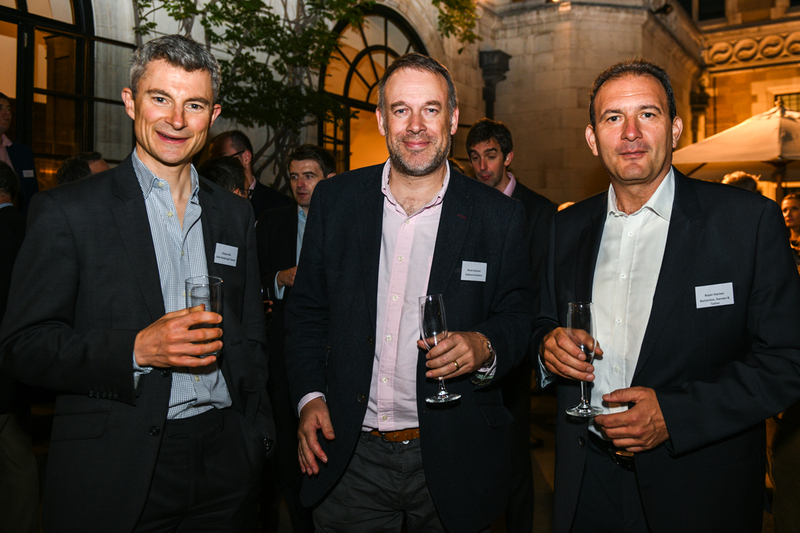 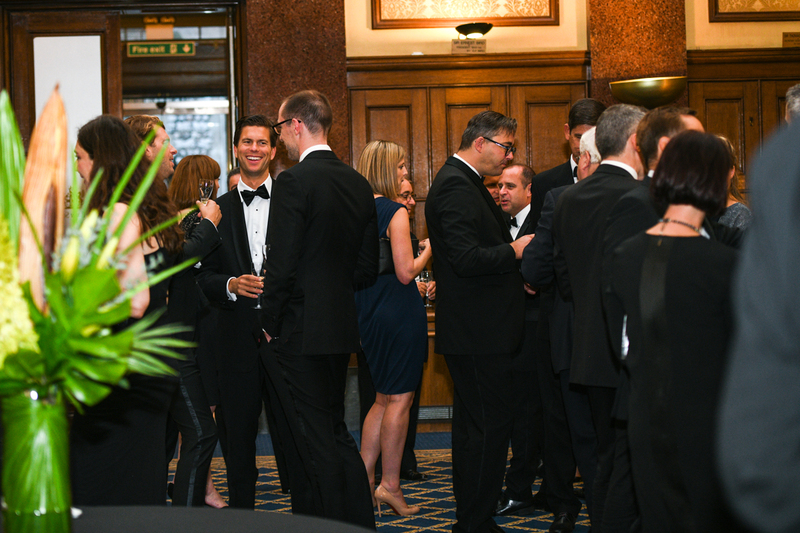 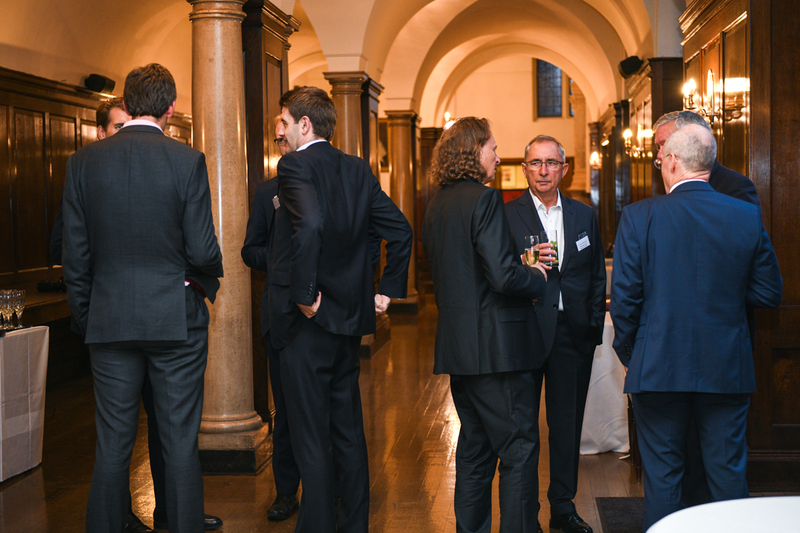 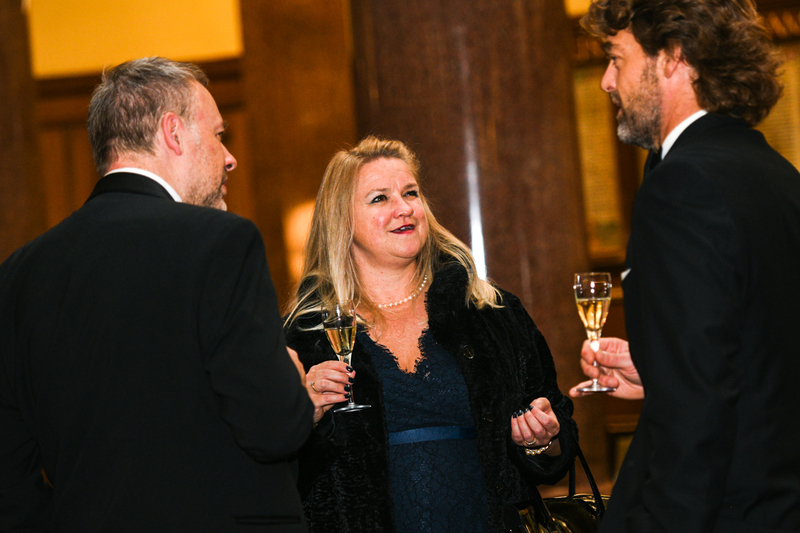 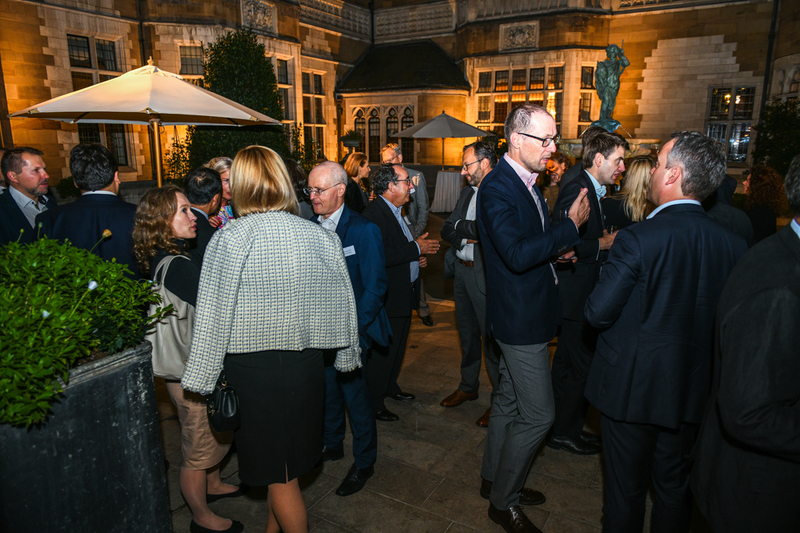 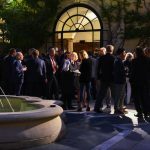 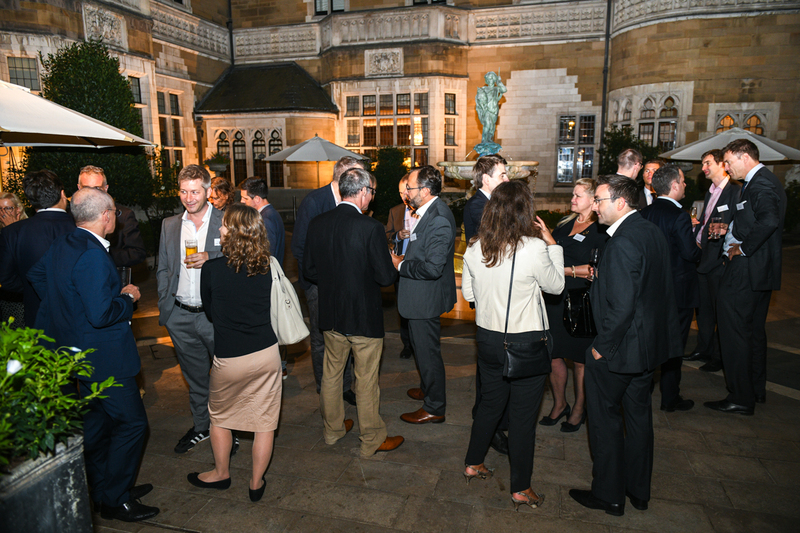 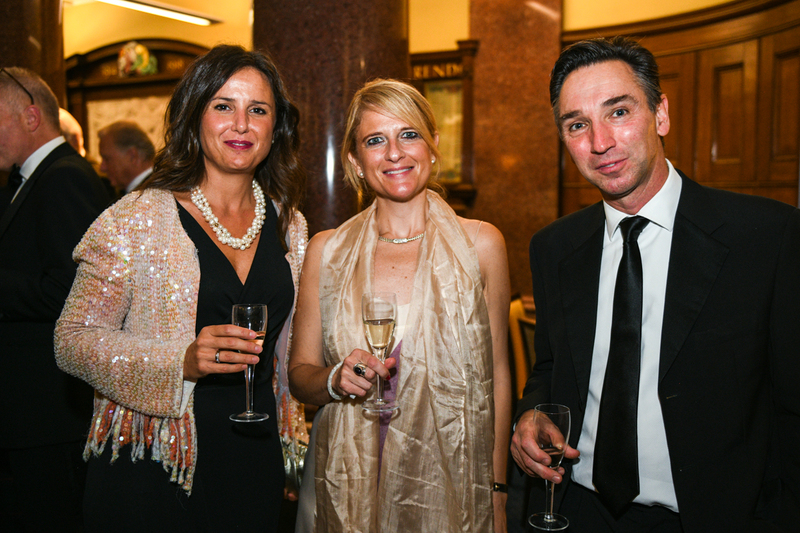 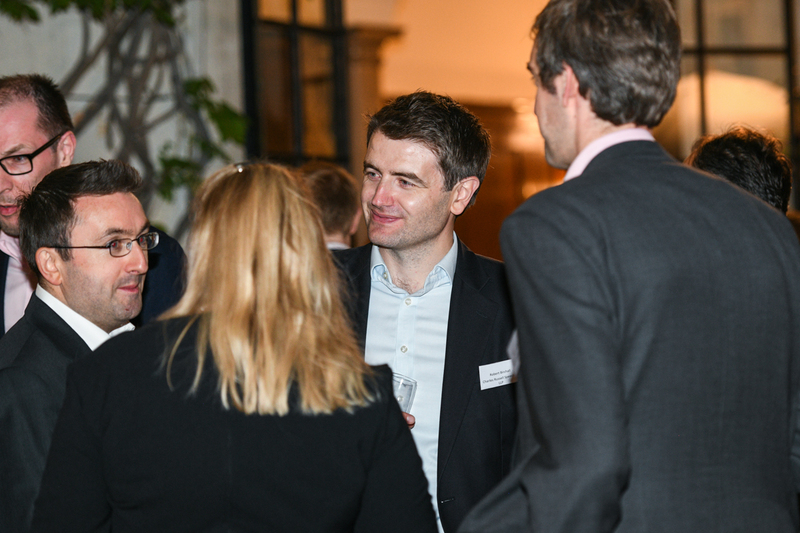 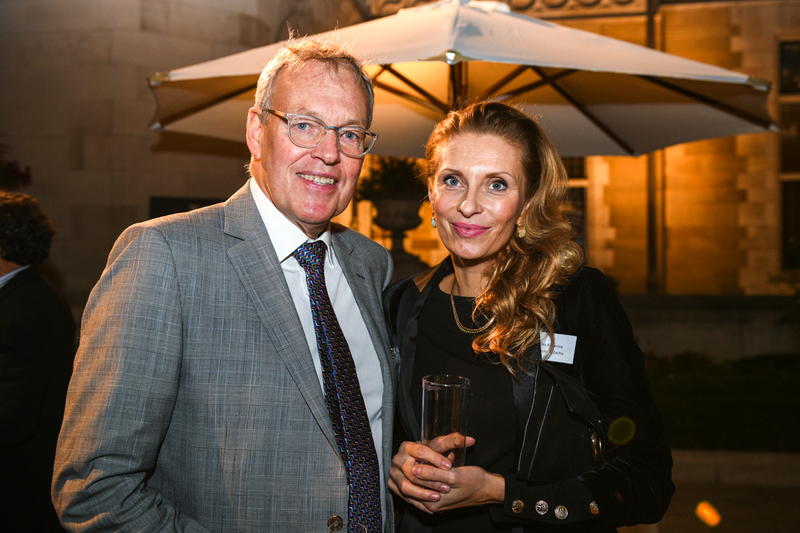 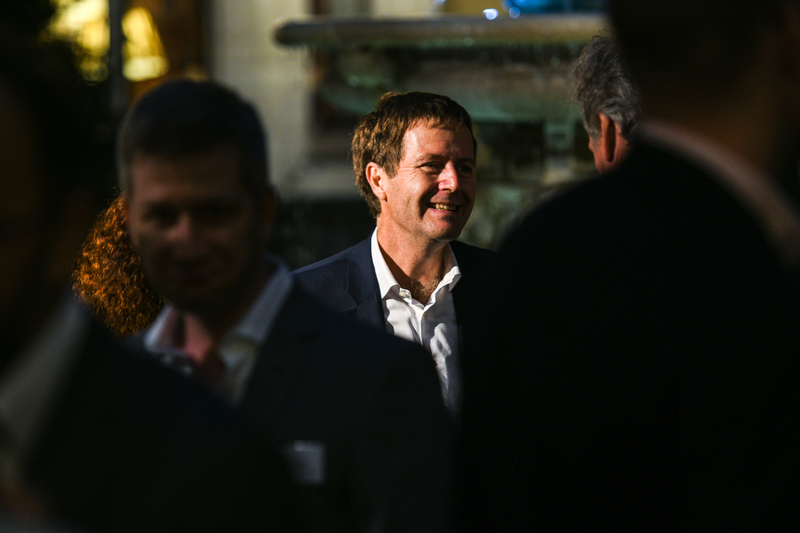 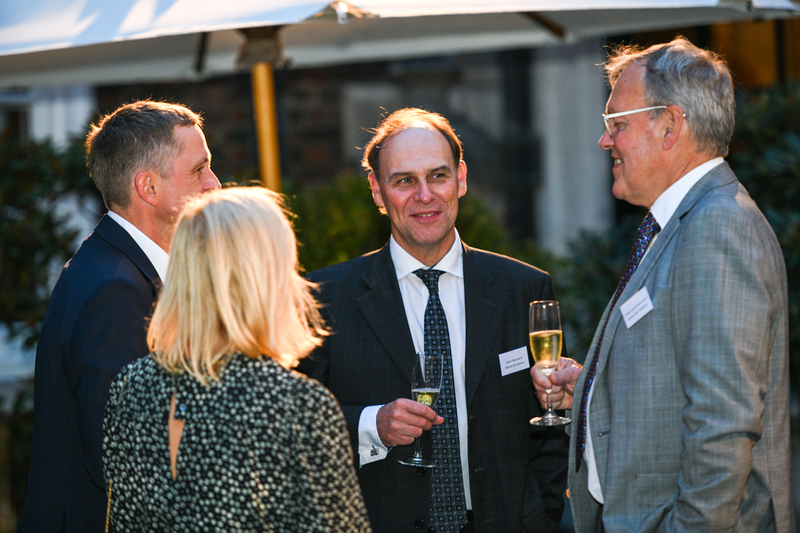 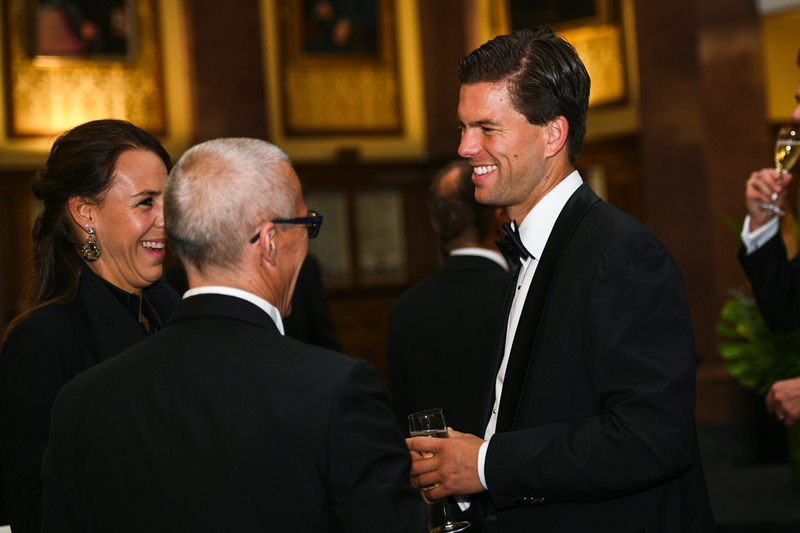 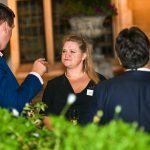 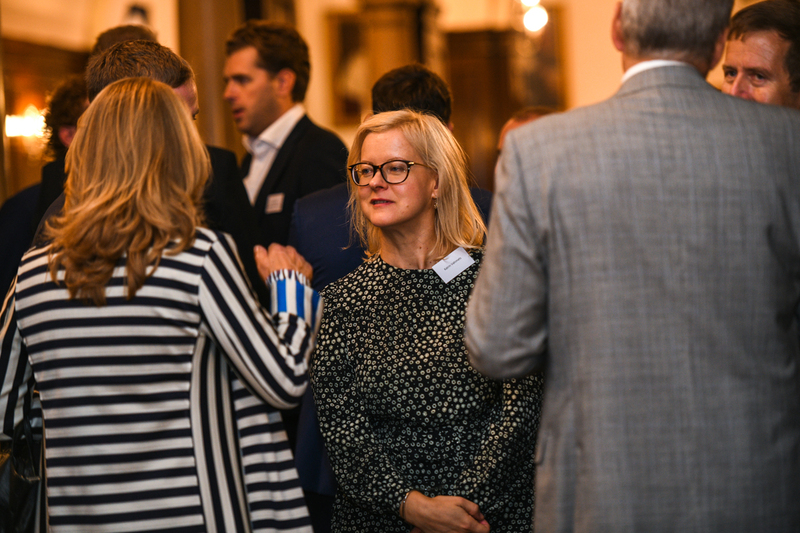 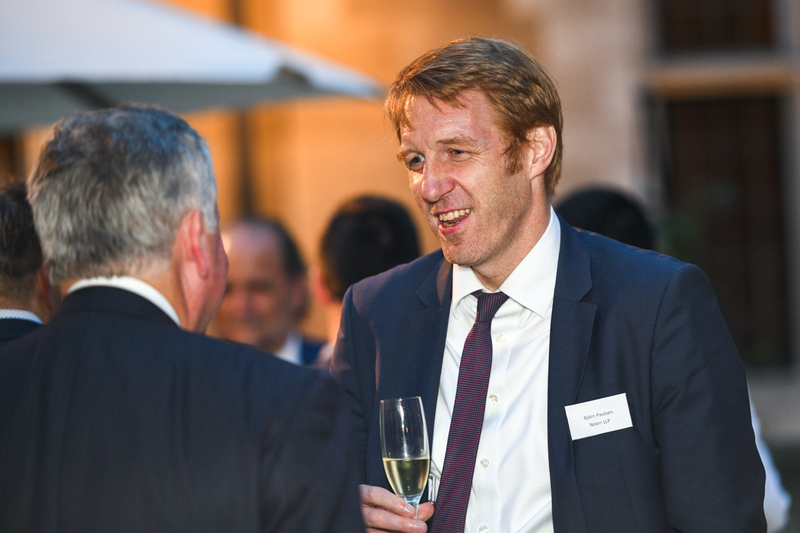 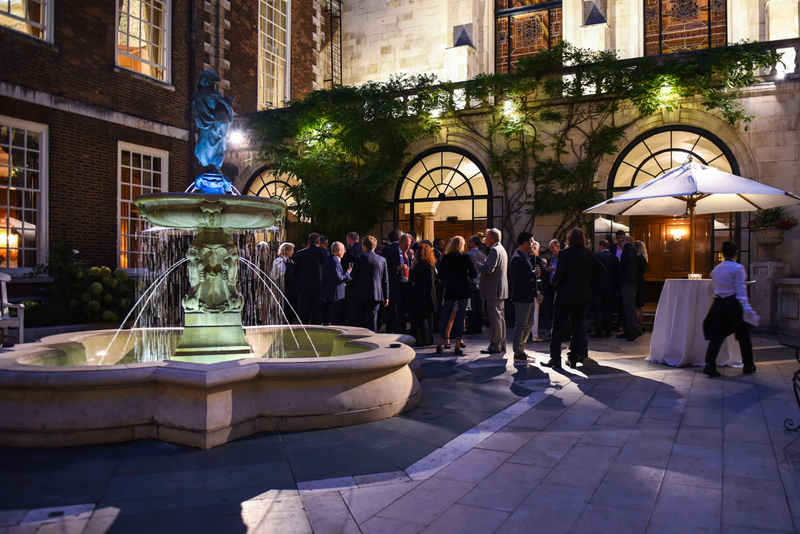 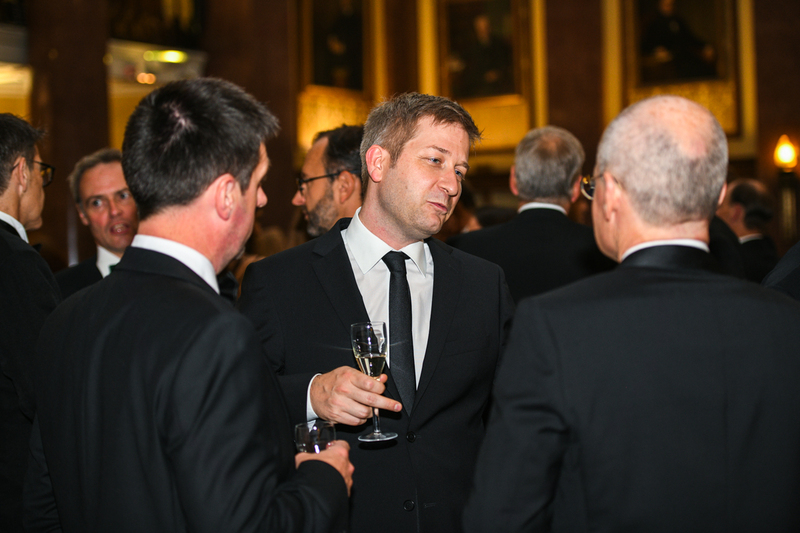 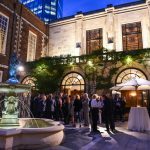 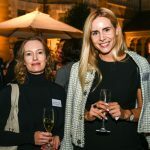 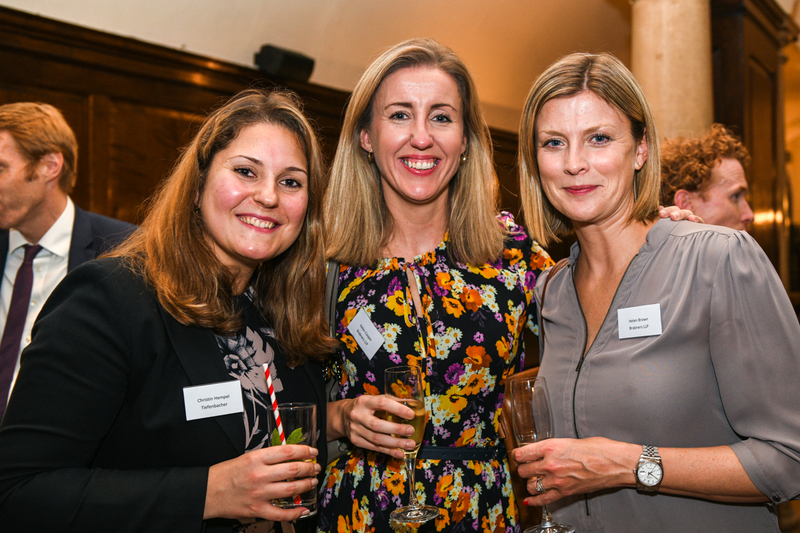 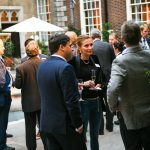 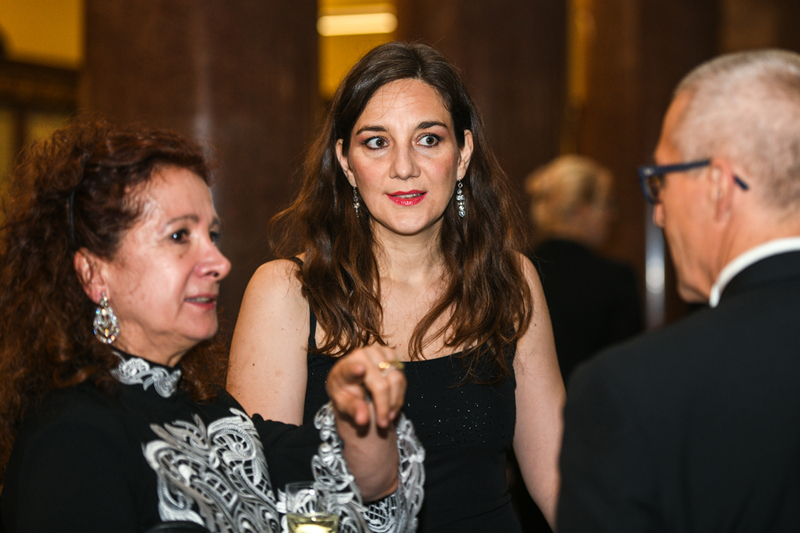 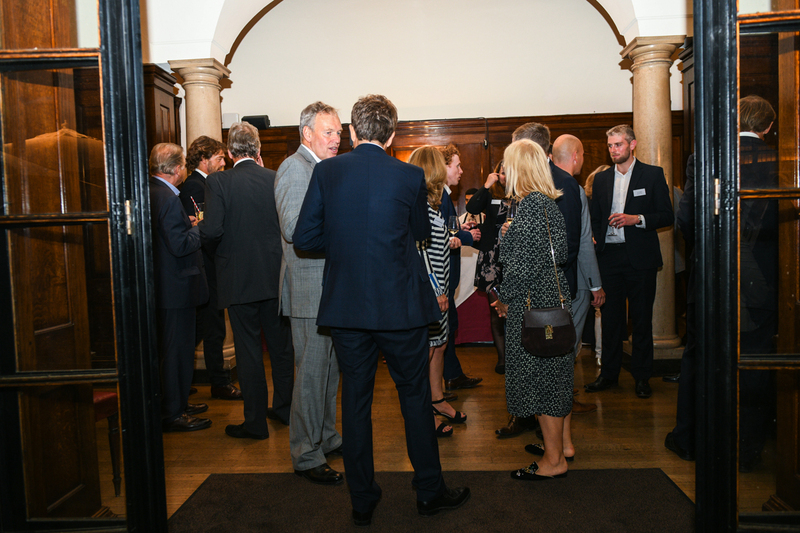 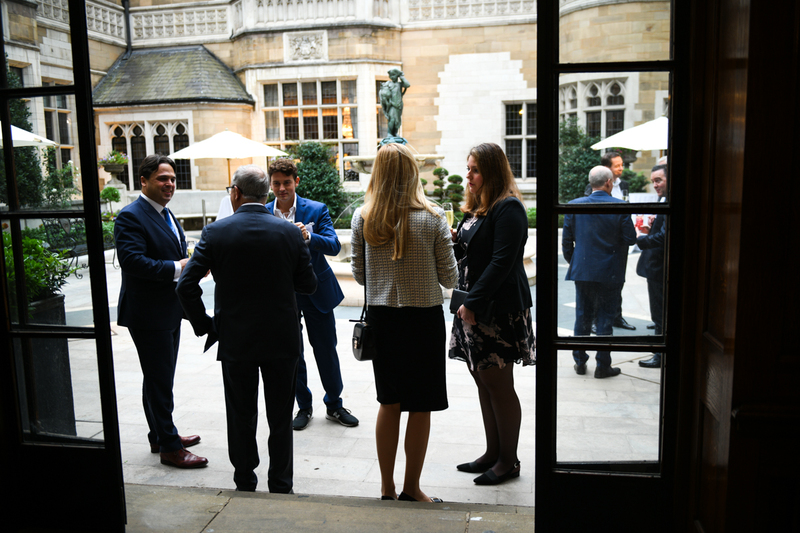 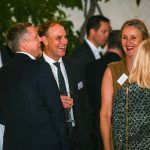 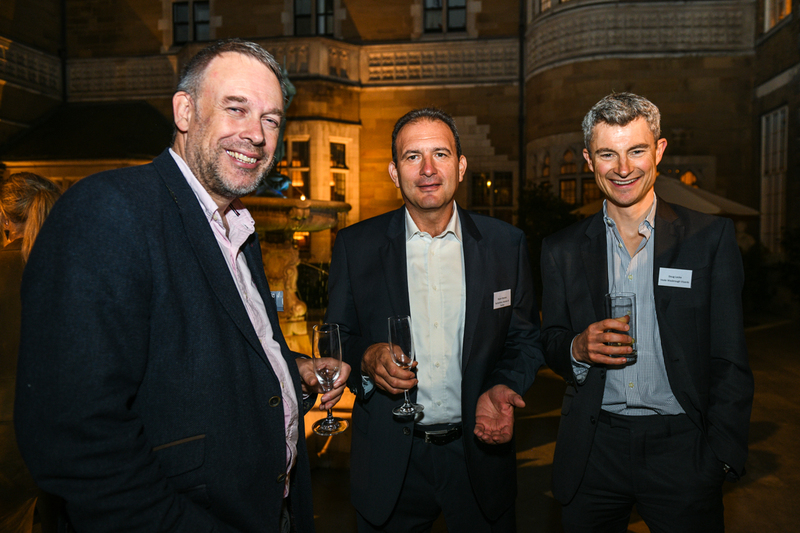 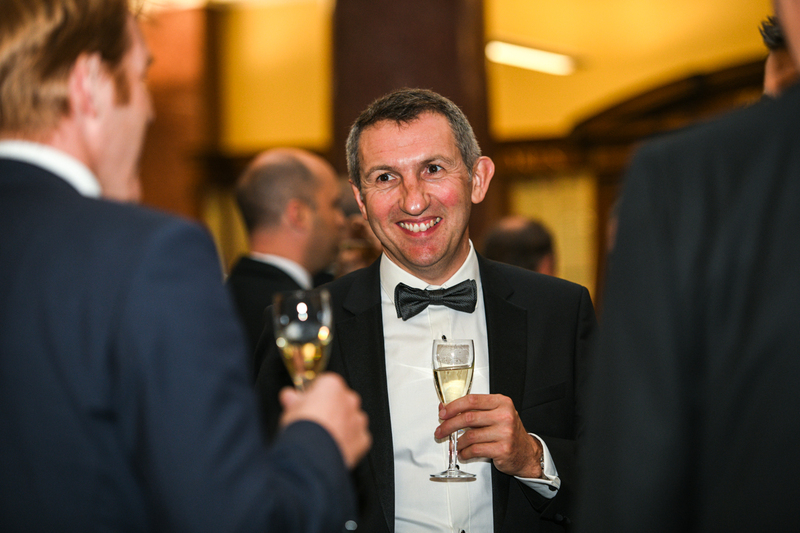 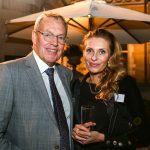 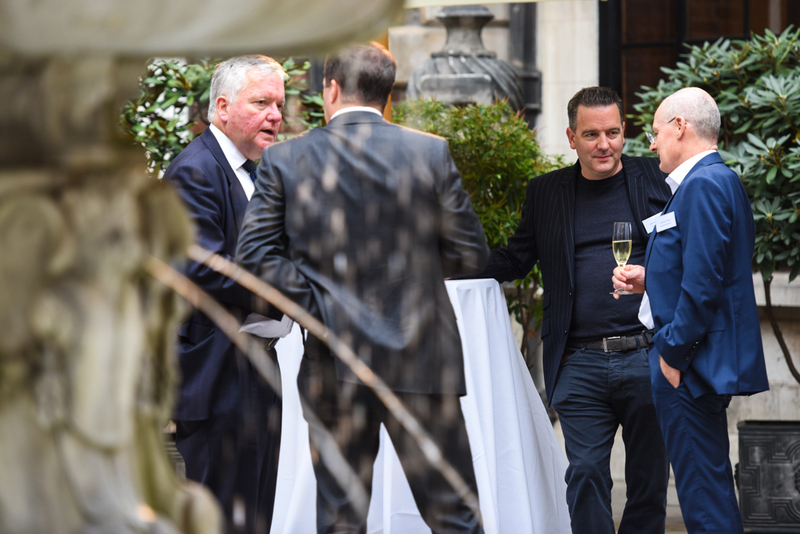 In the stunning surroundings of The Courtyard, we were able to catch up with old friends and meet new. 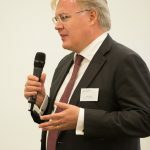 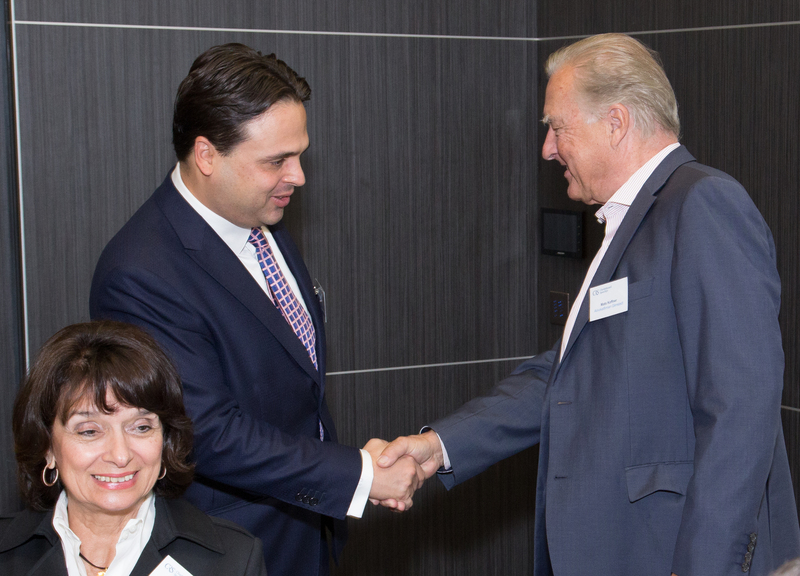 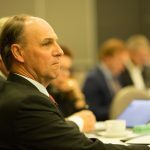 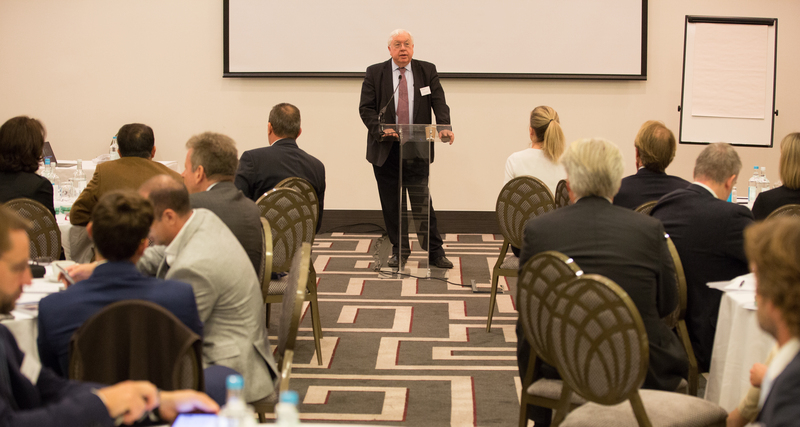 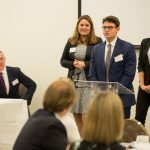 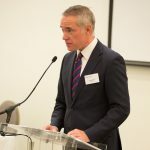 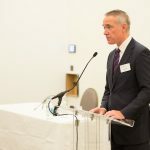 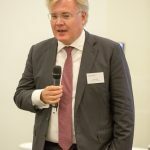 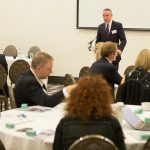 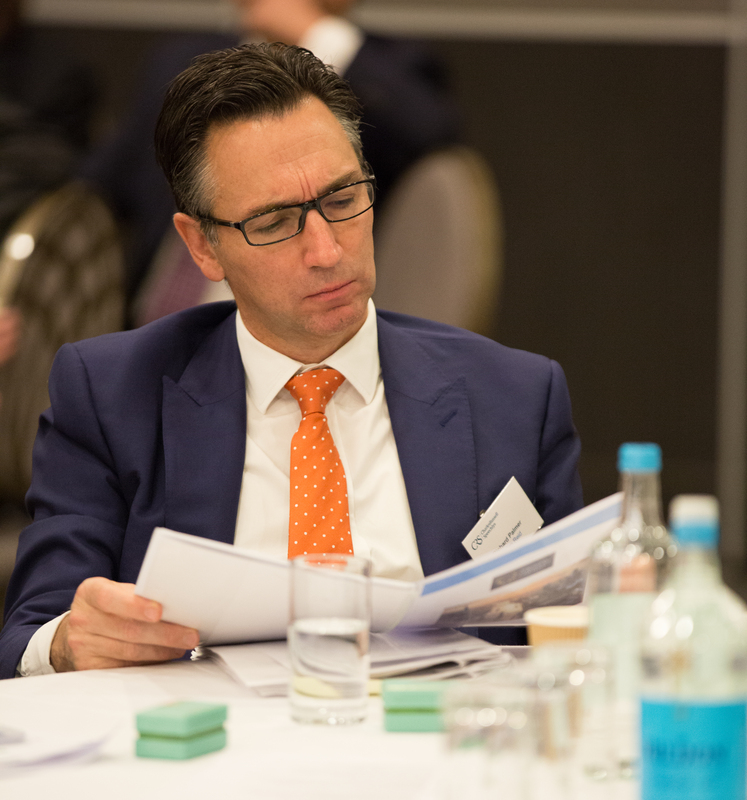 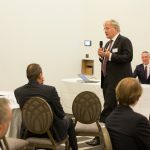 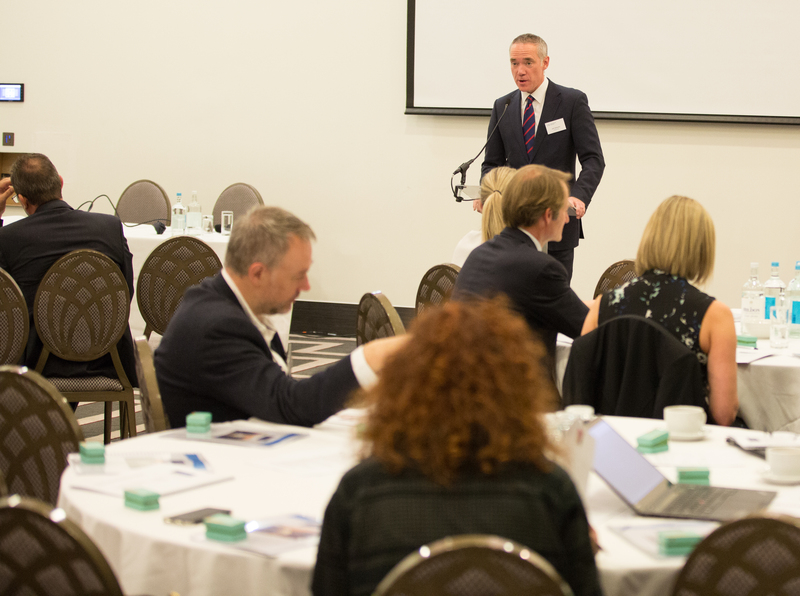 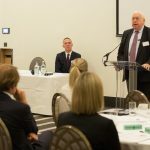 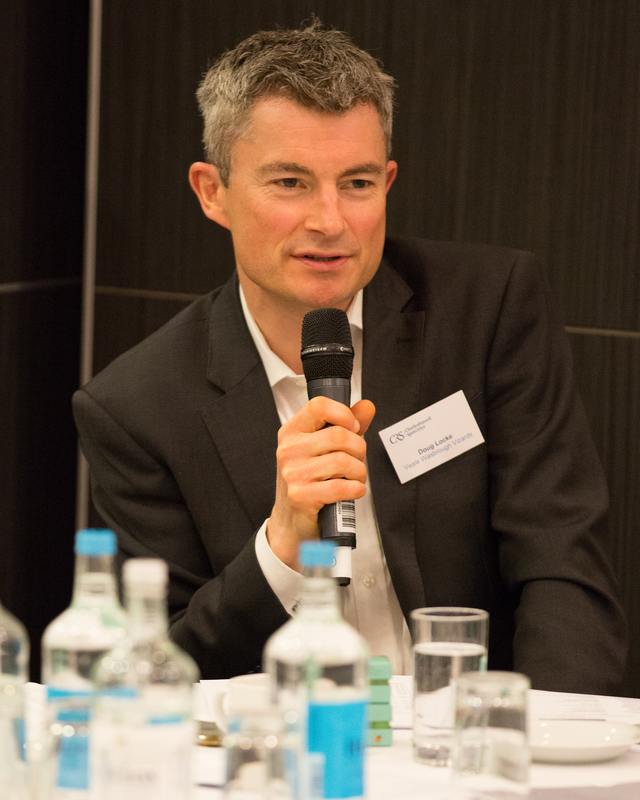 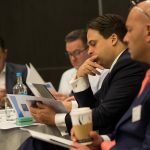 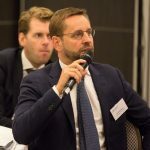 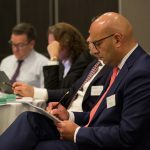 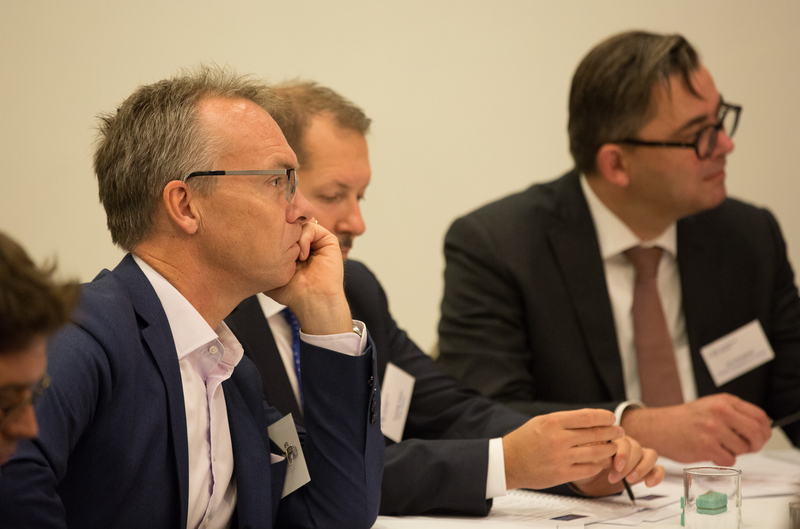 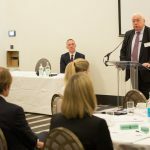 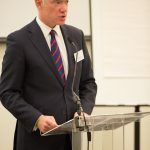 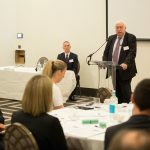 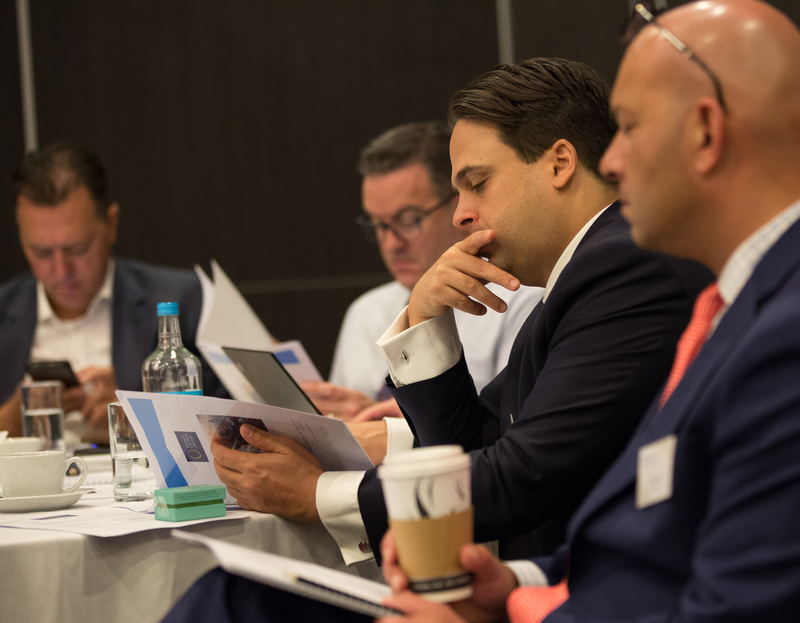 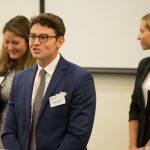 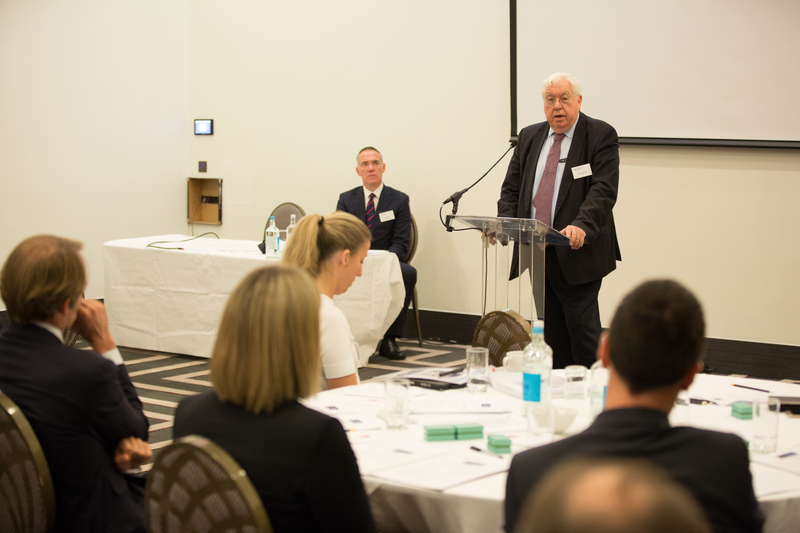 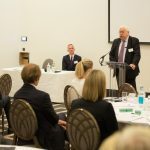 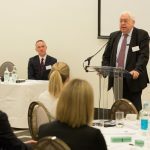 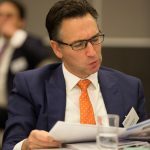 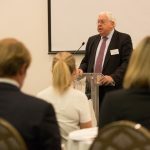 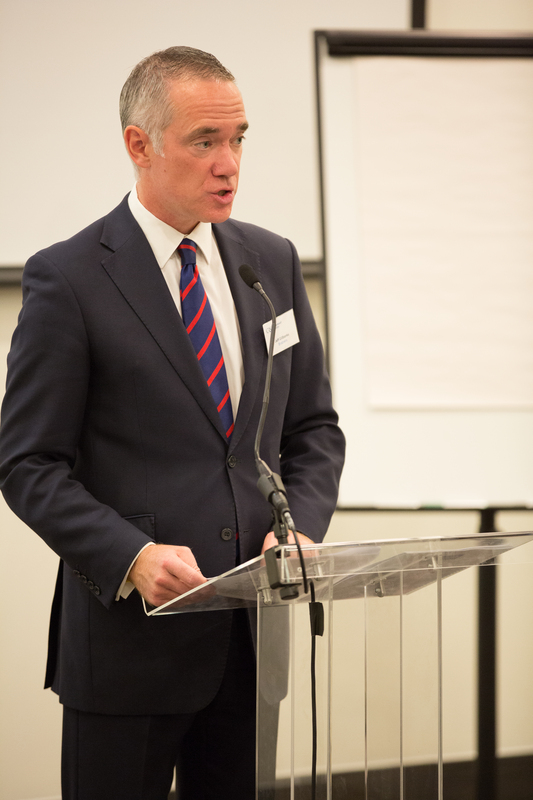 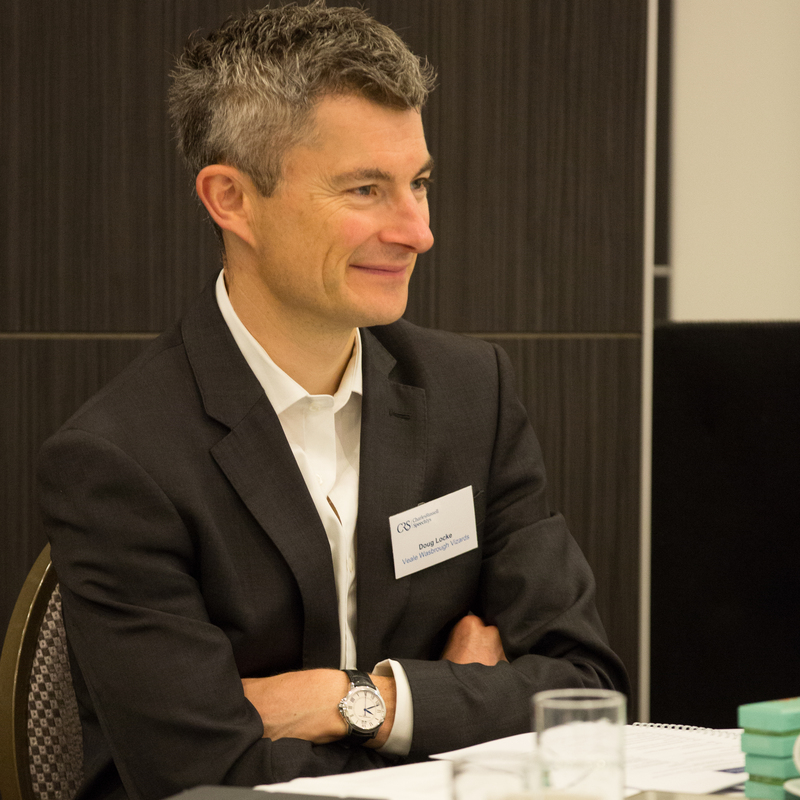 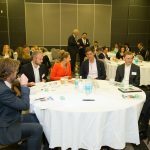 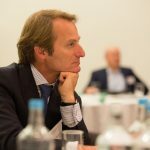 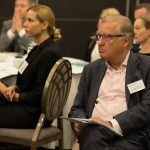 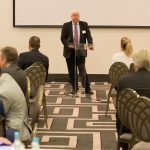 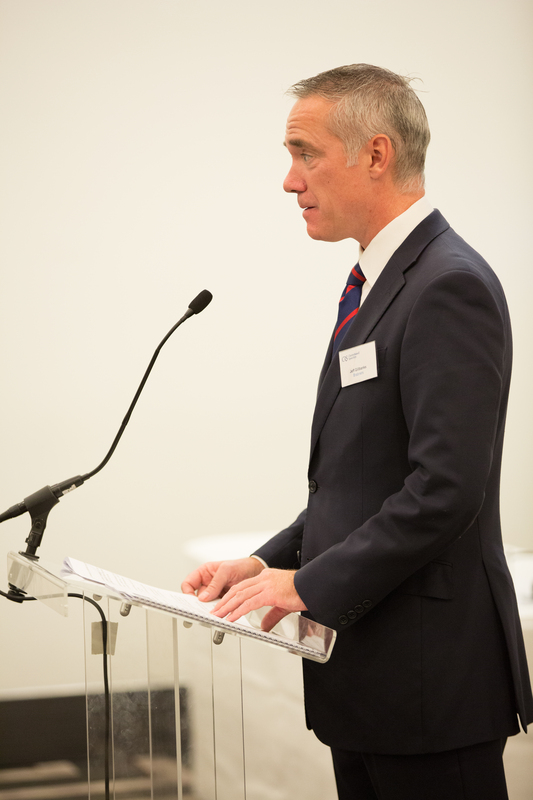 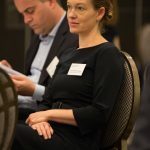 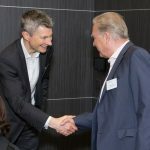 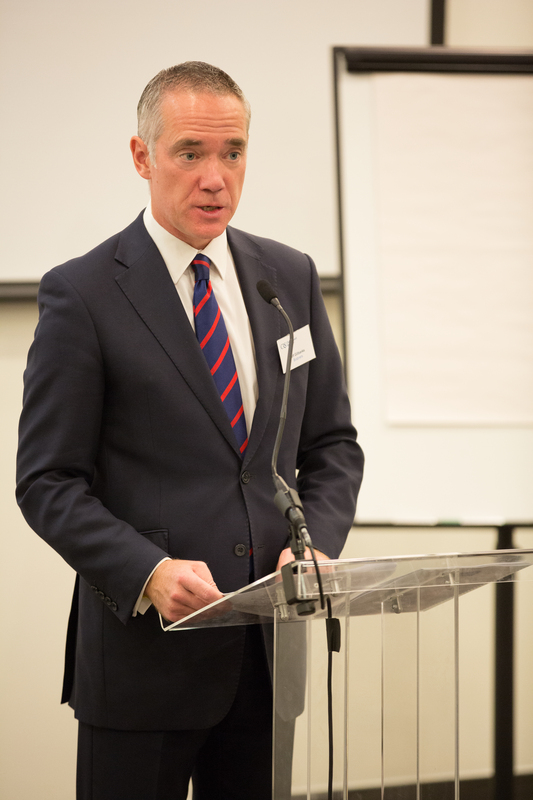 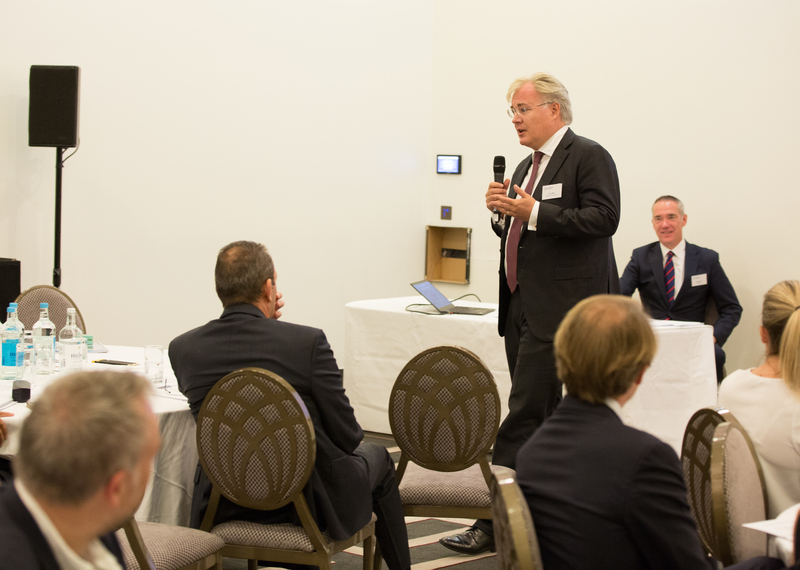 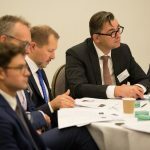 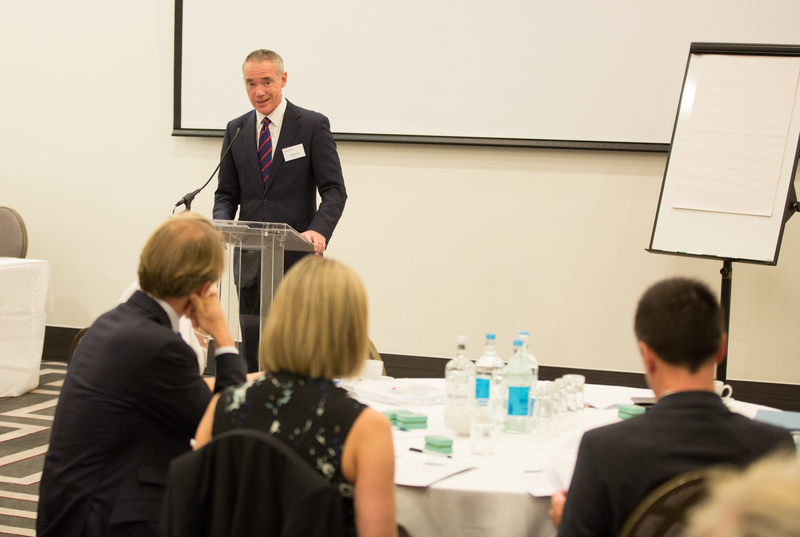 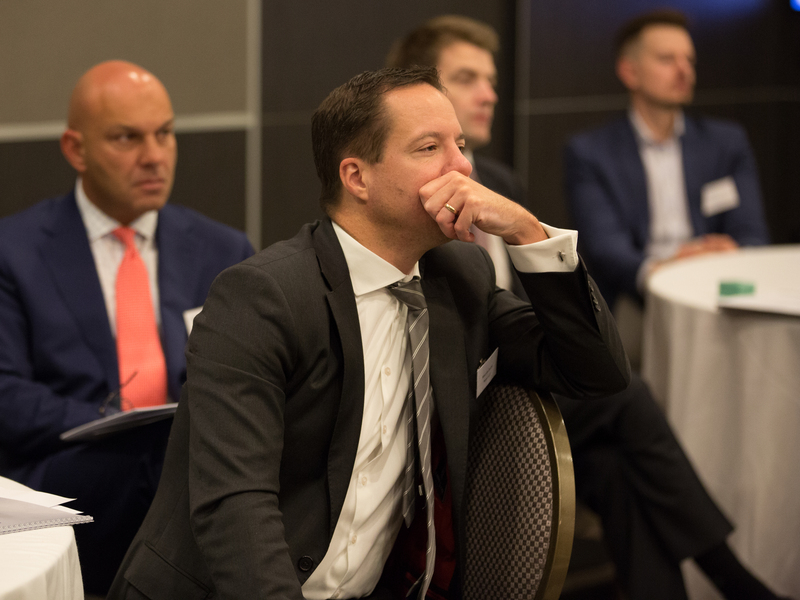 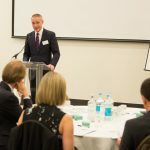 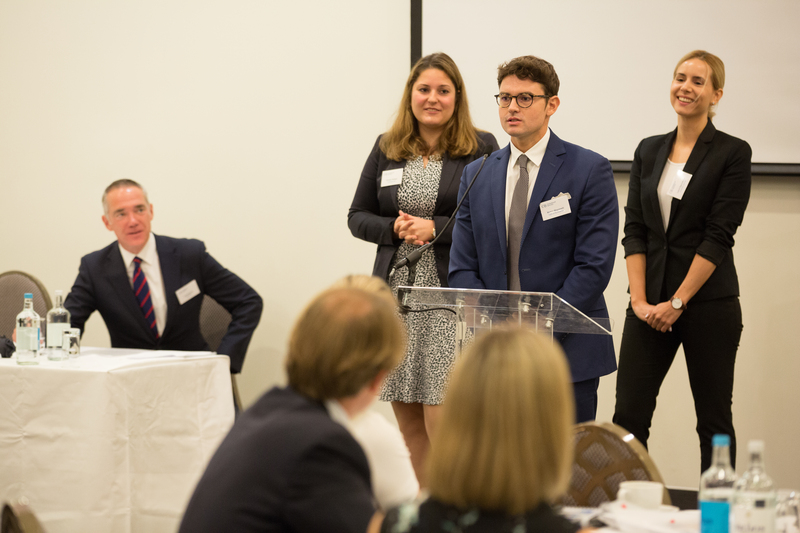 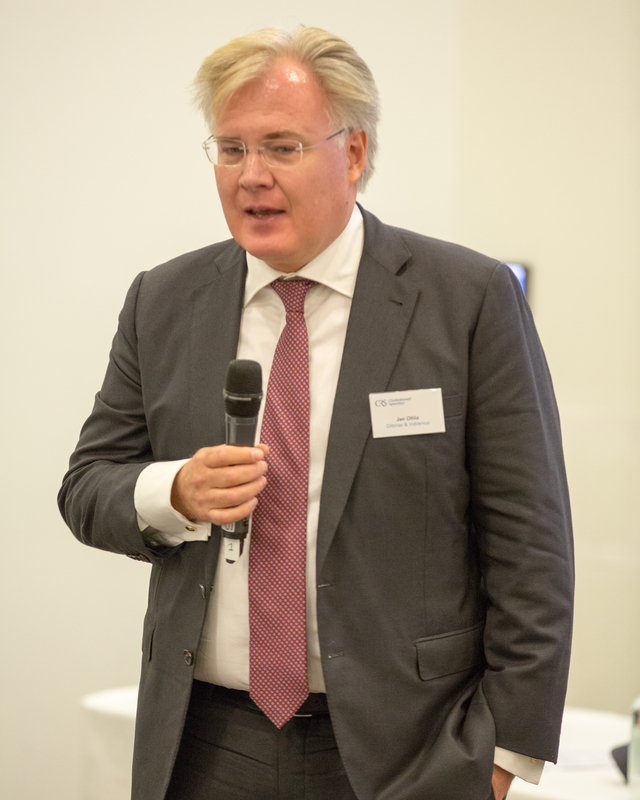 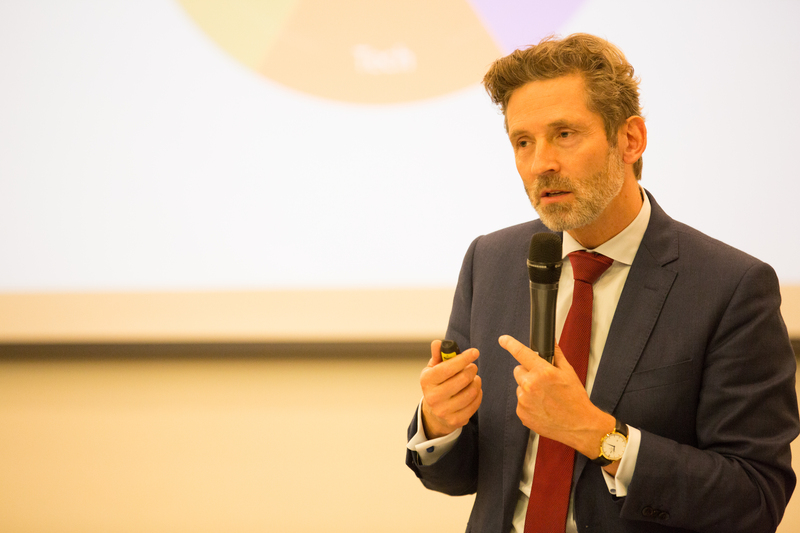 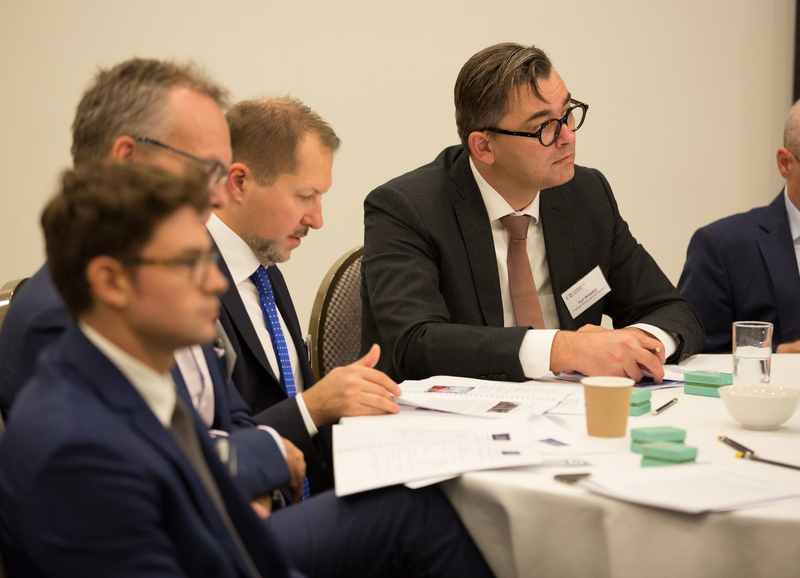 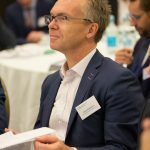 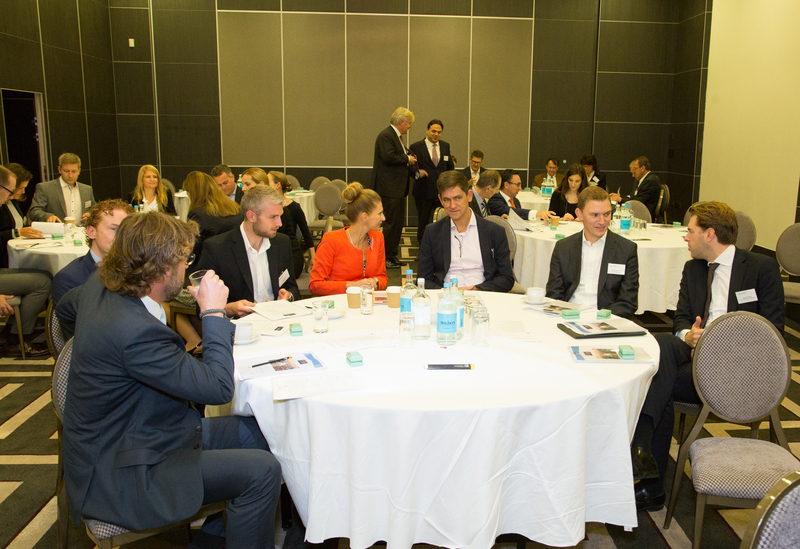 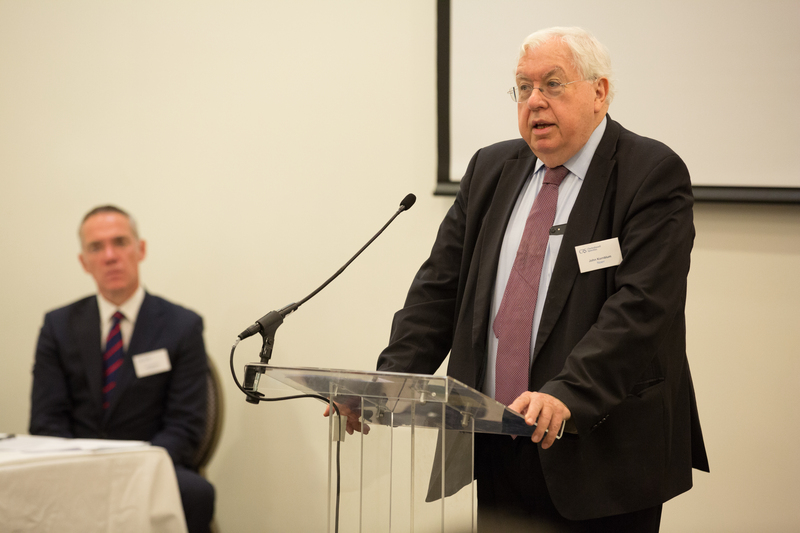 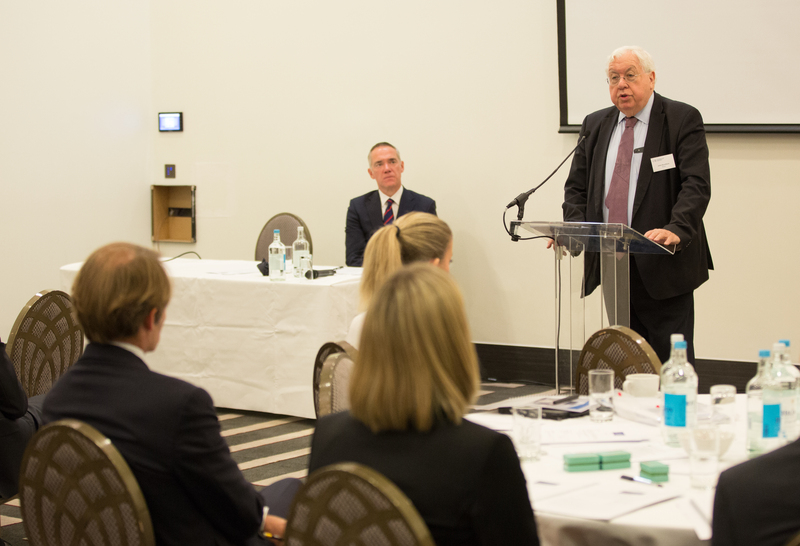 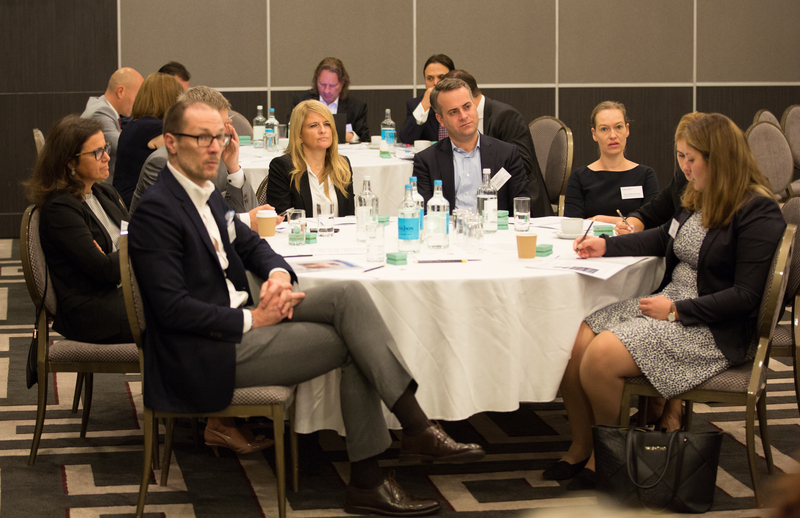 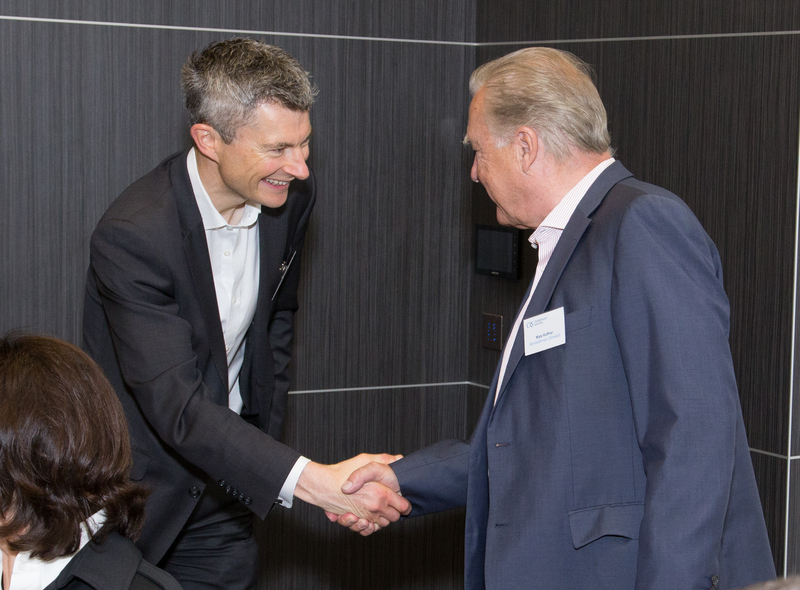 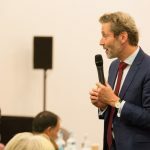 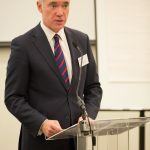 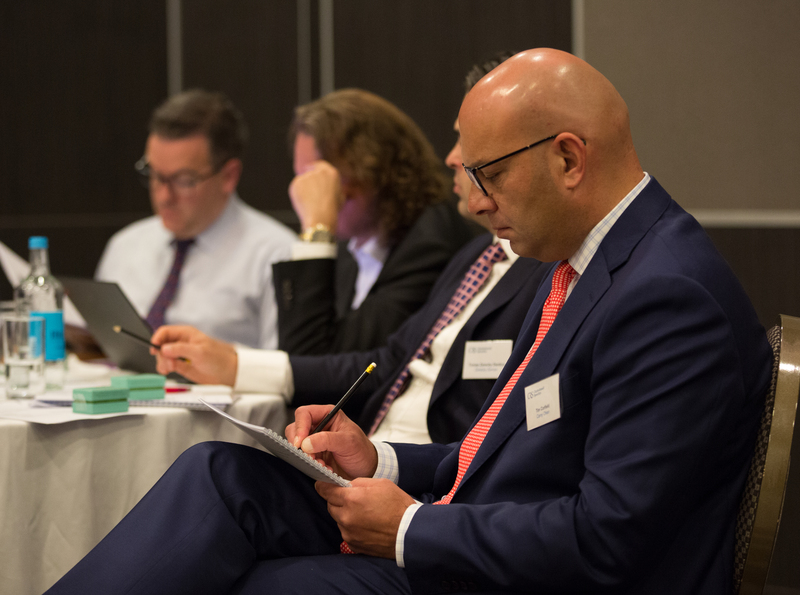 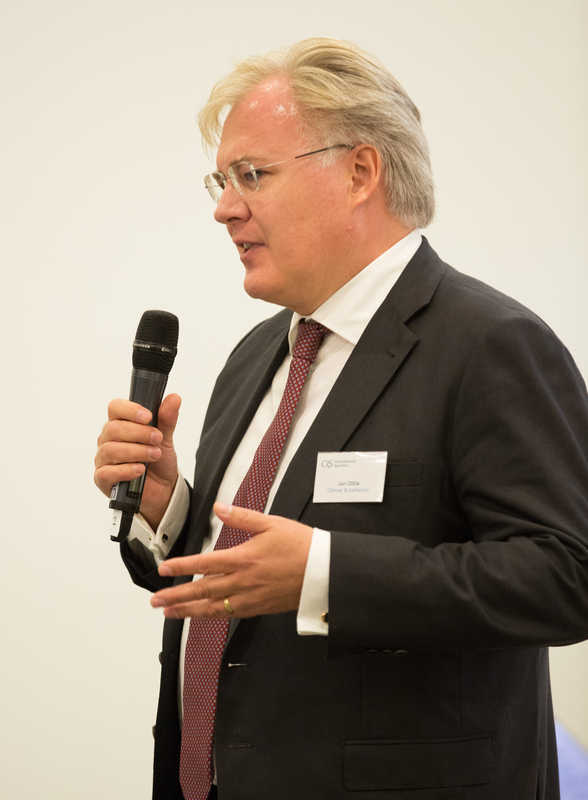 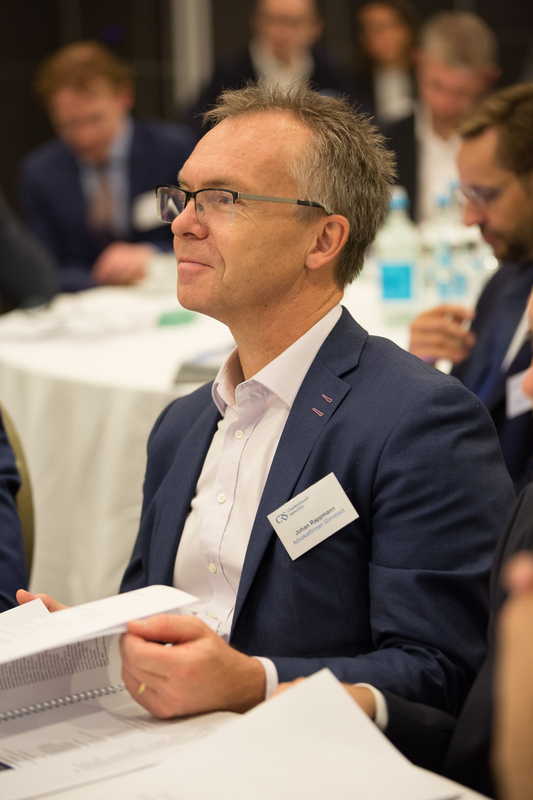 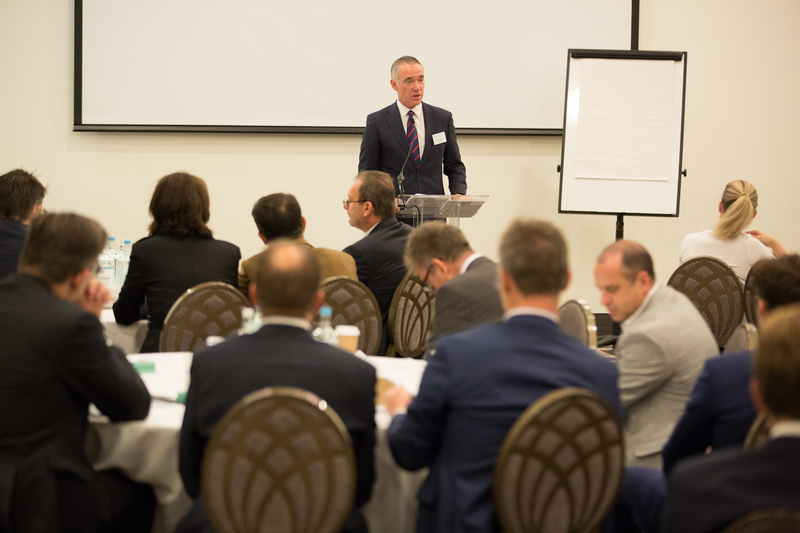 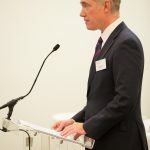 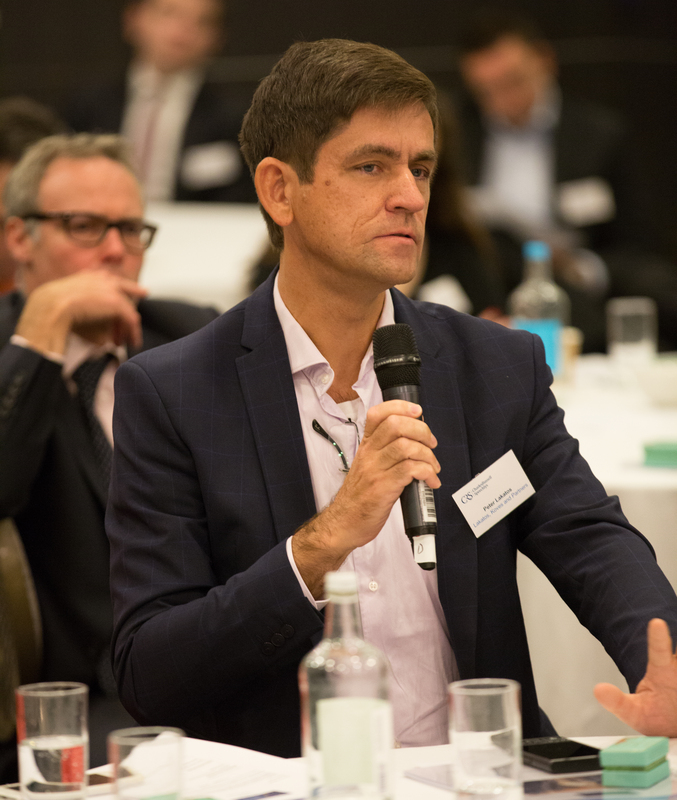 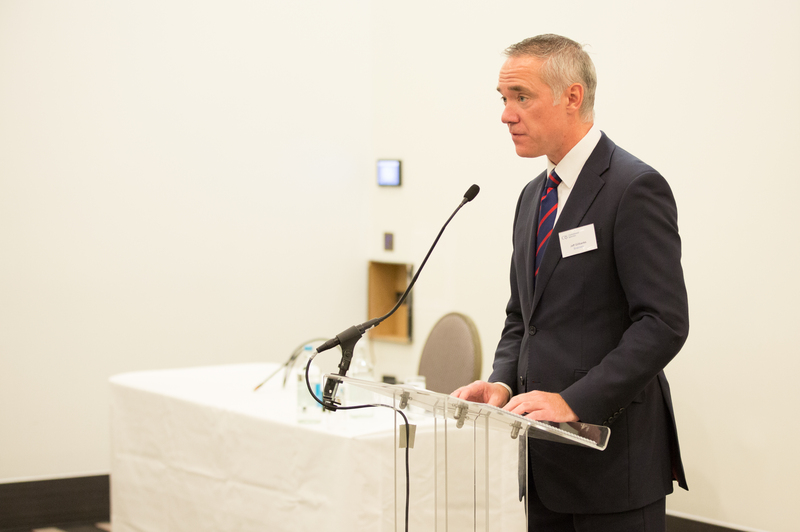 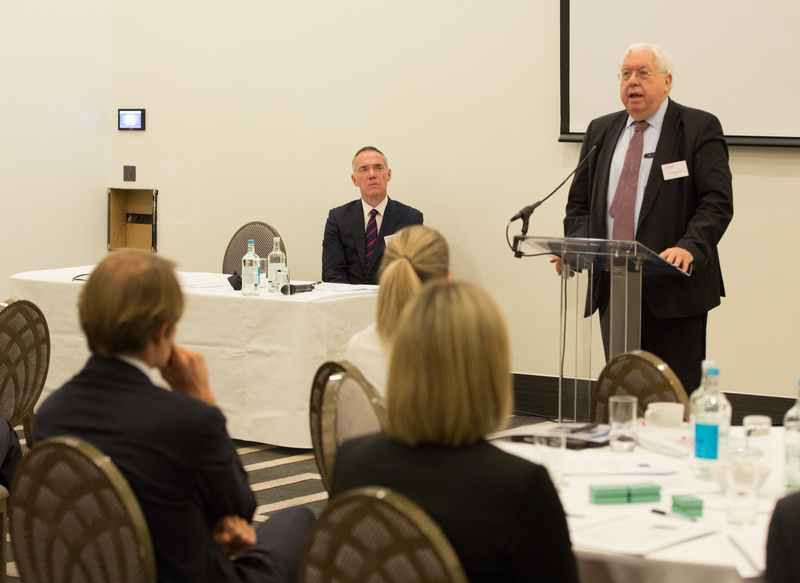 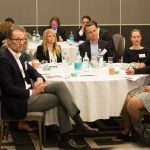 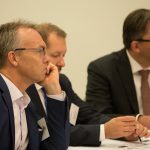 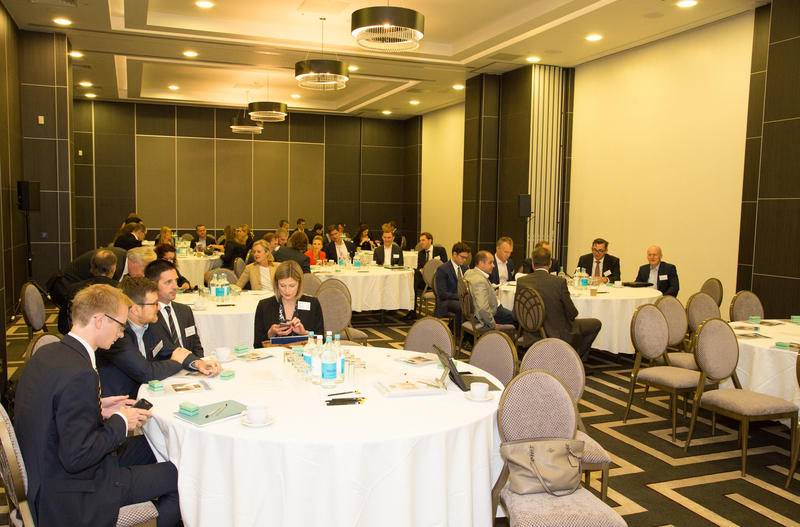 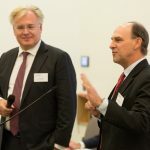 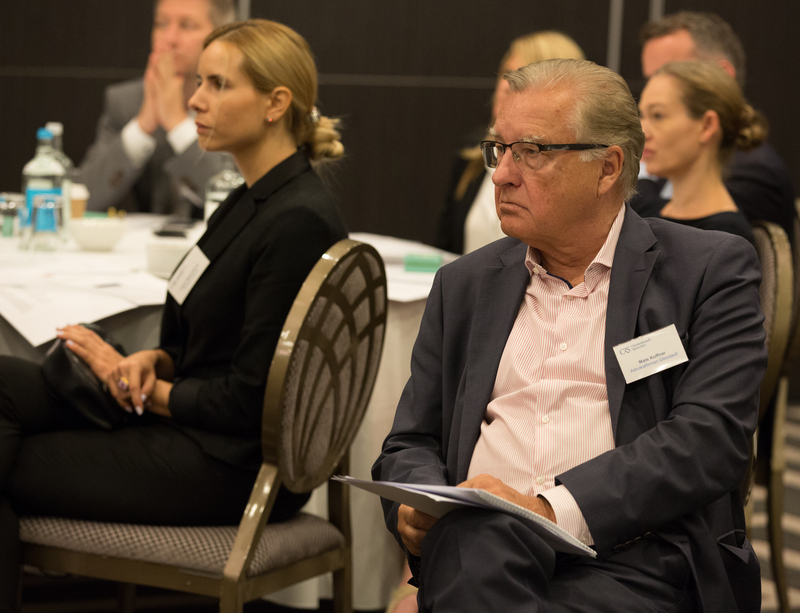 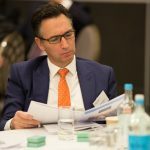 We had a two pronged topic of “How to develop the added value of your partnership/alliance” and “What does strategy mean for law firms/networks” and commenced at 9:00am on Friday 21st September with a welcome from Jeff Gillbanks, the Association’s Secretary General. 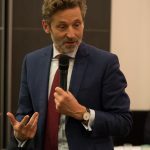 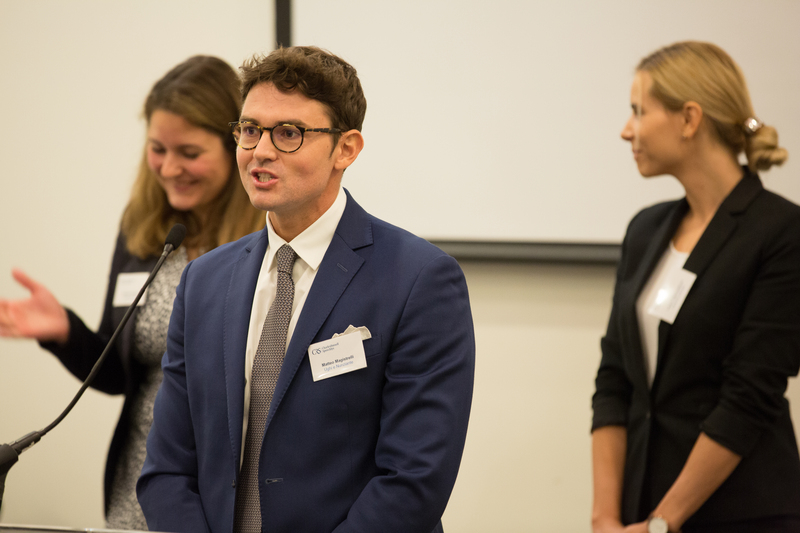 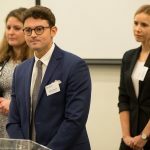 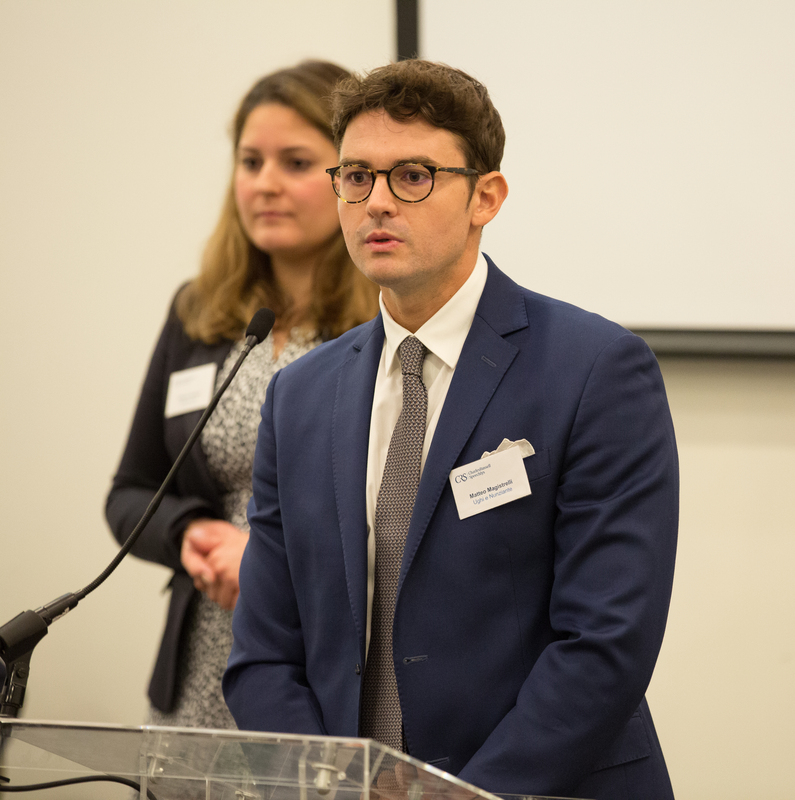 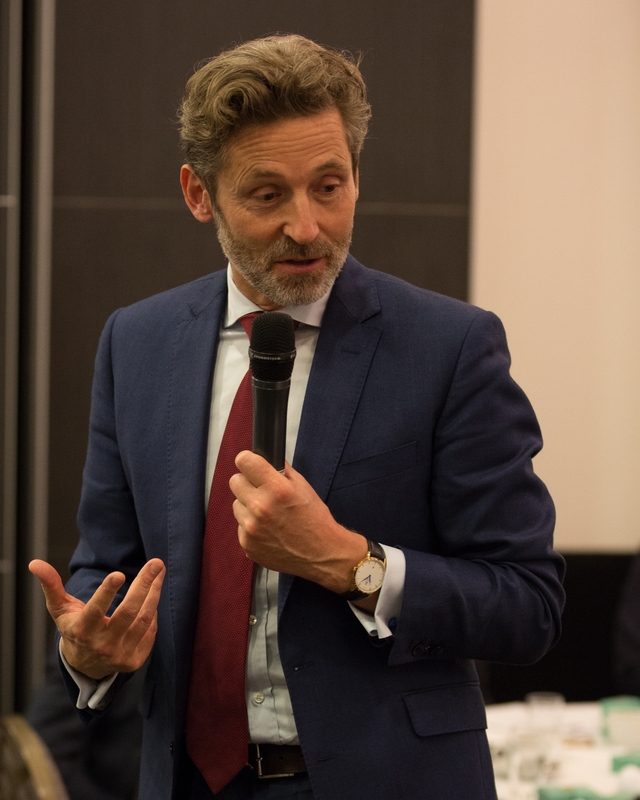 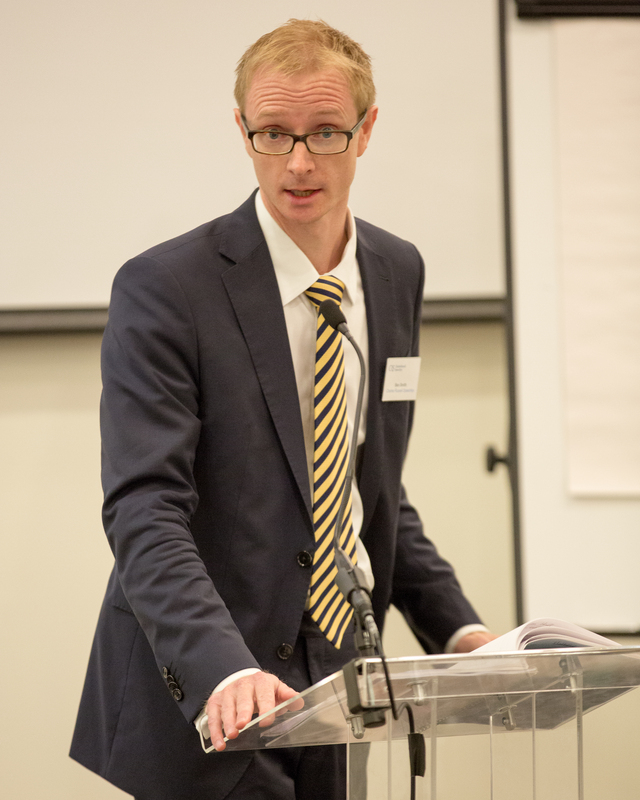 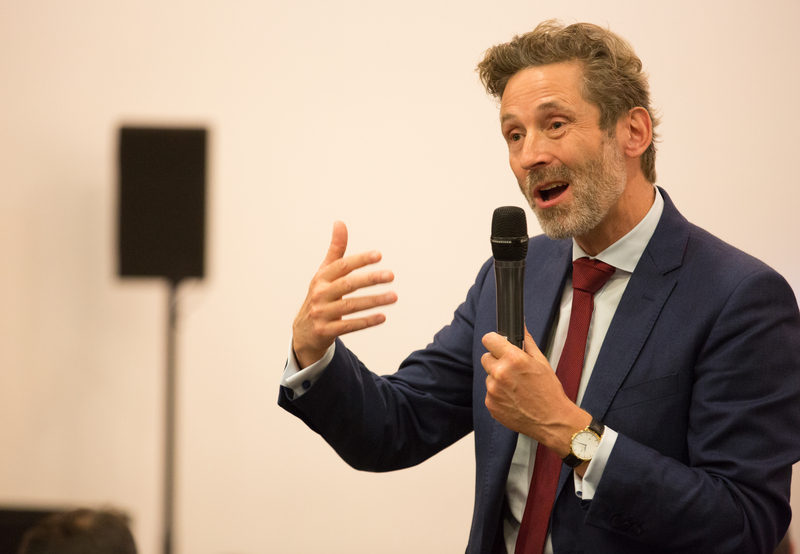 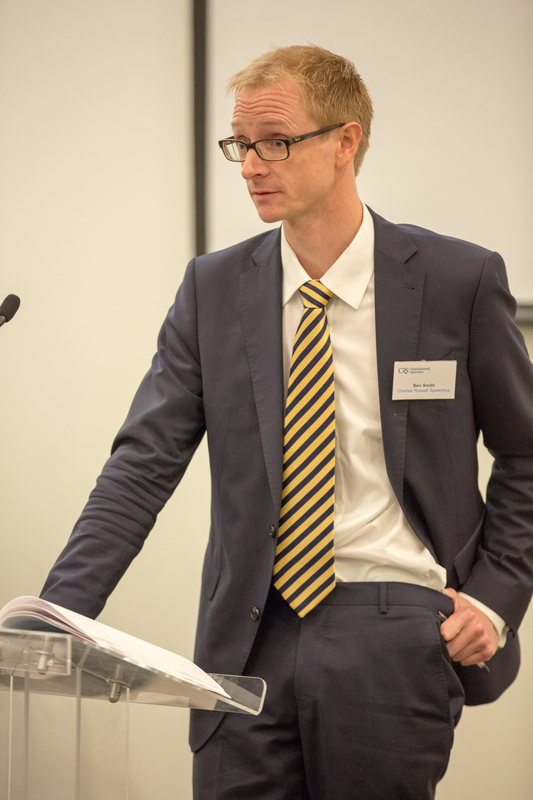 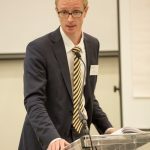 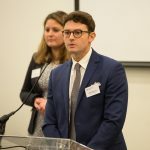 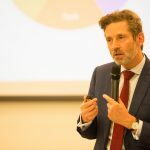 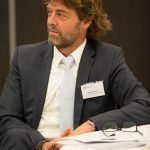 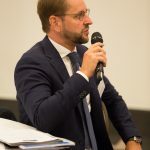 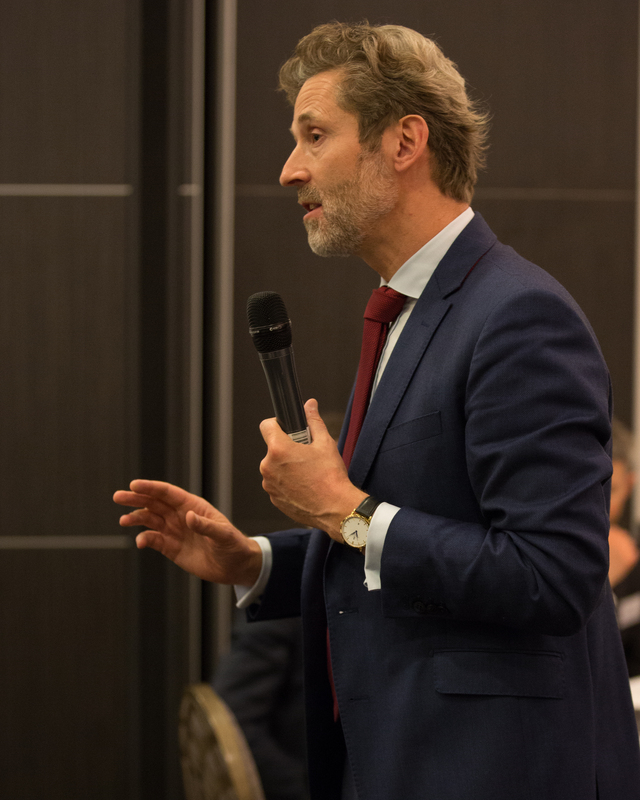 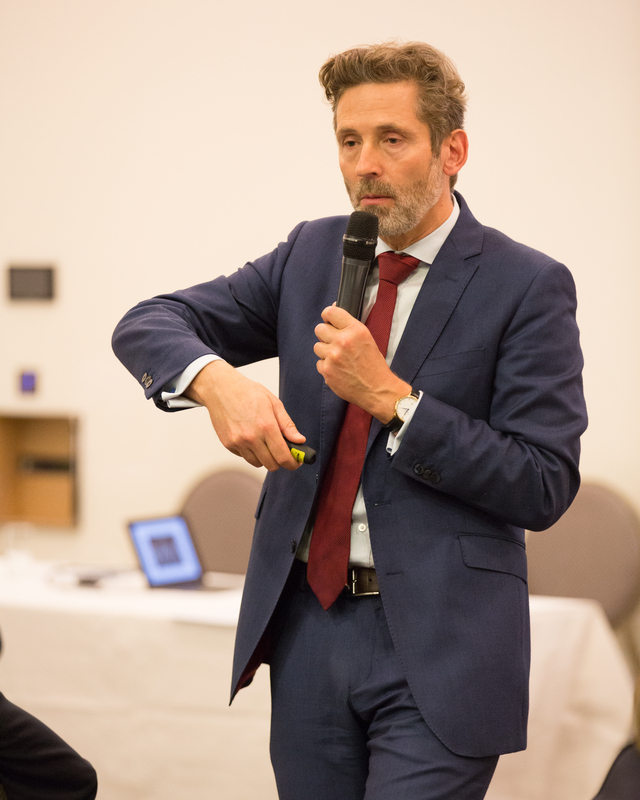 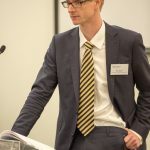 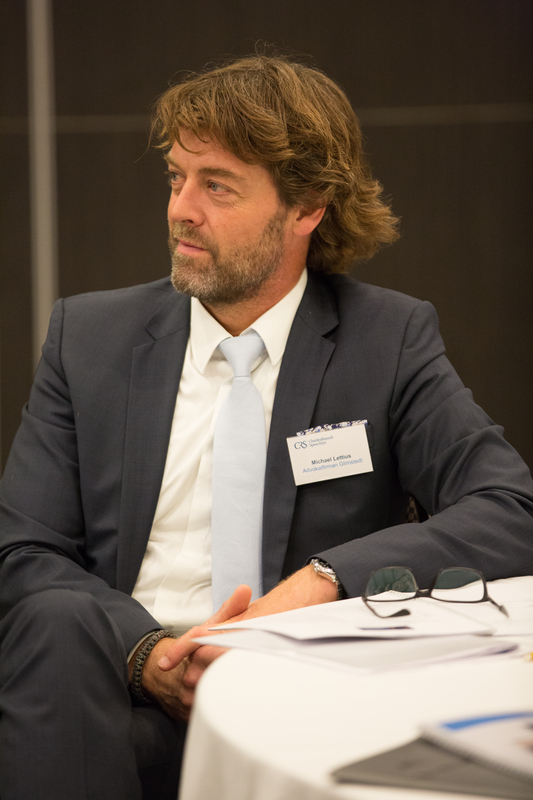 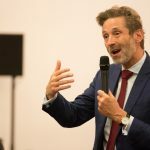 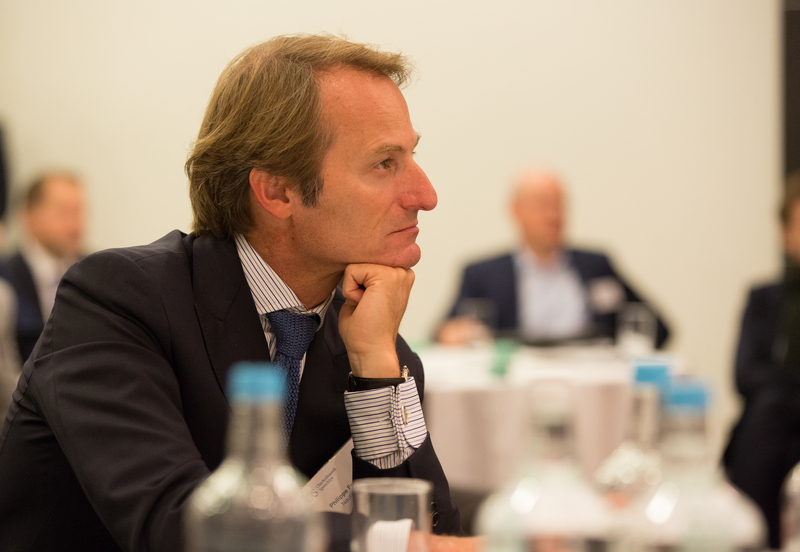 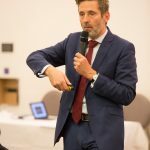 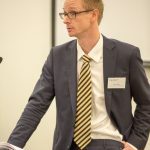 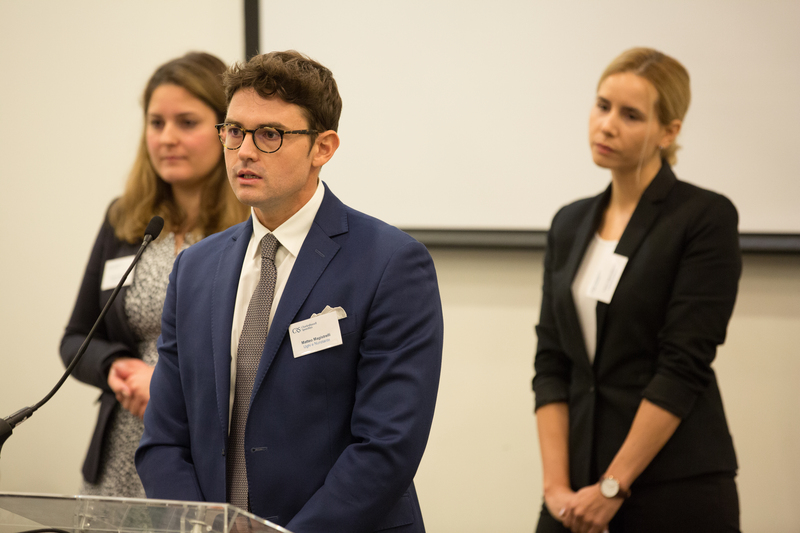 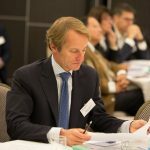 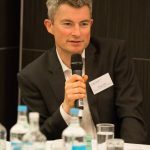 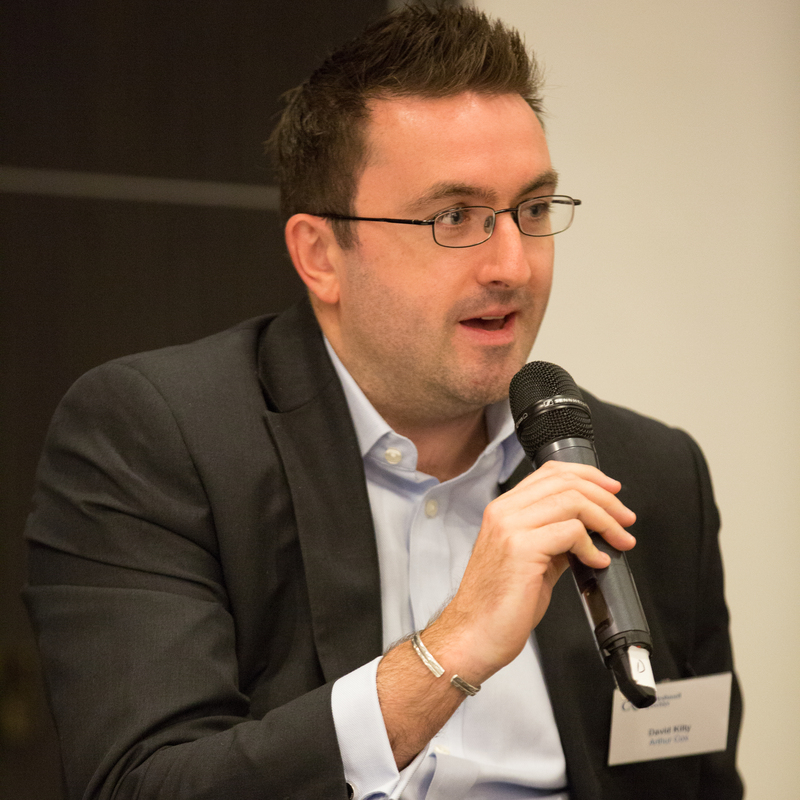 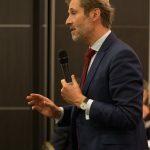 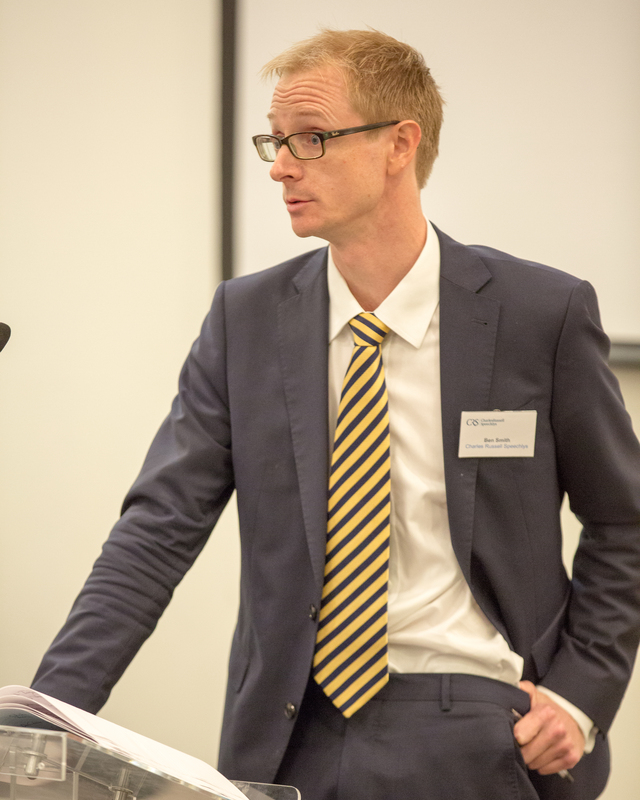 Antoine Henry de Frahan, an external speaker who had also presented at this year’s Training Seminar, facilitated the day. 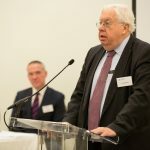 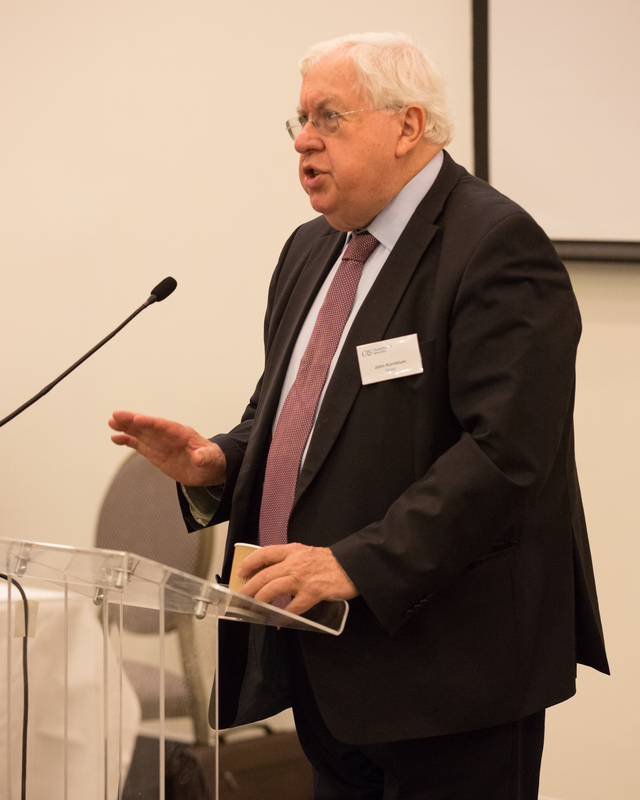 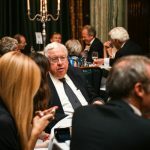 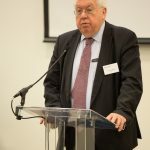 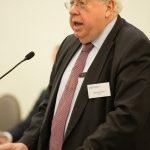 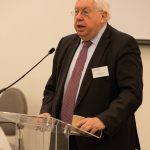 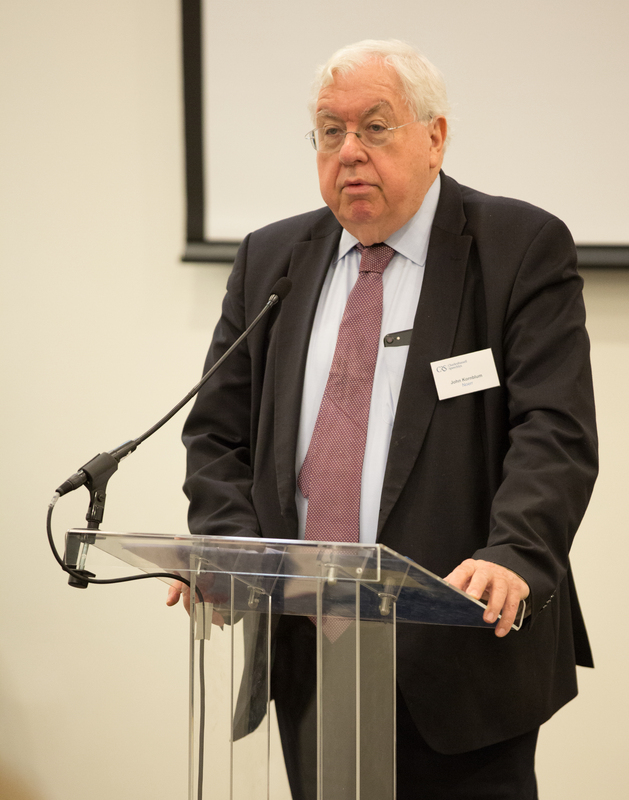 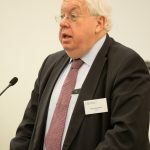 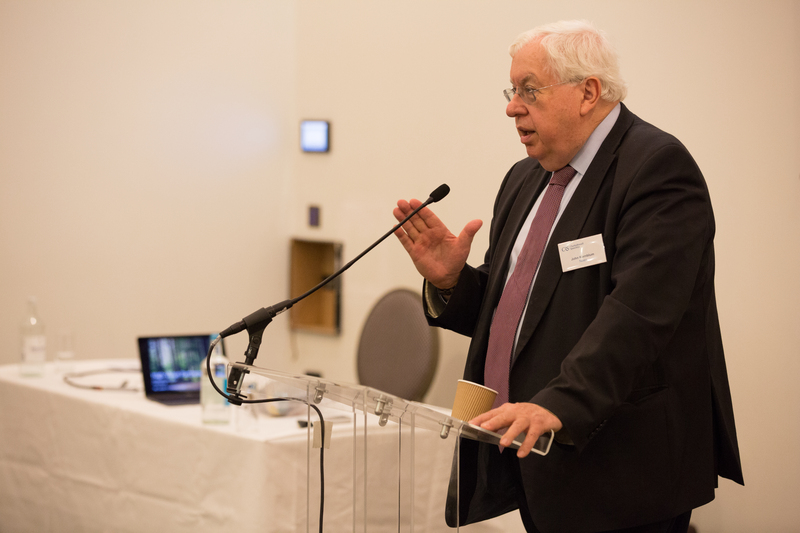 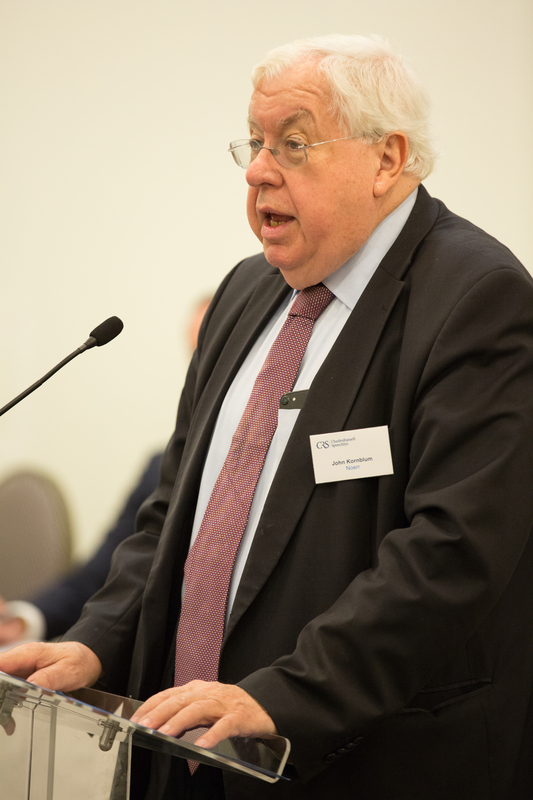 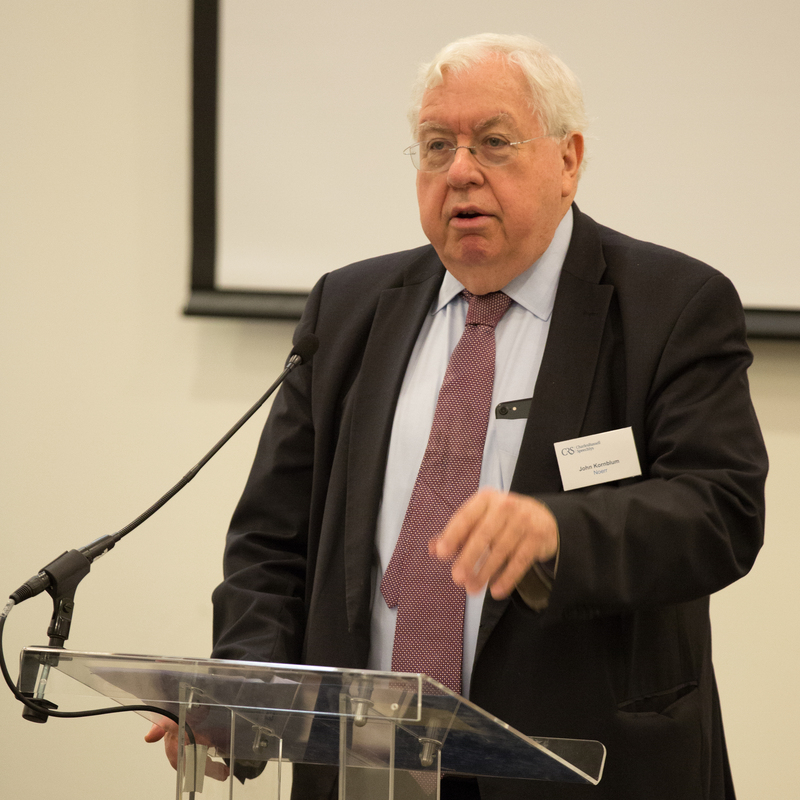 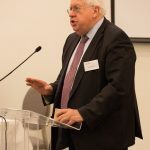 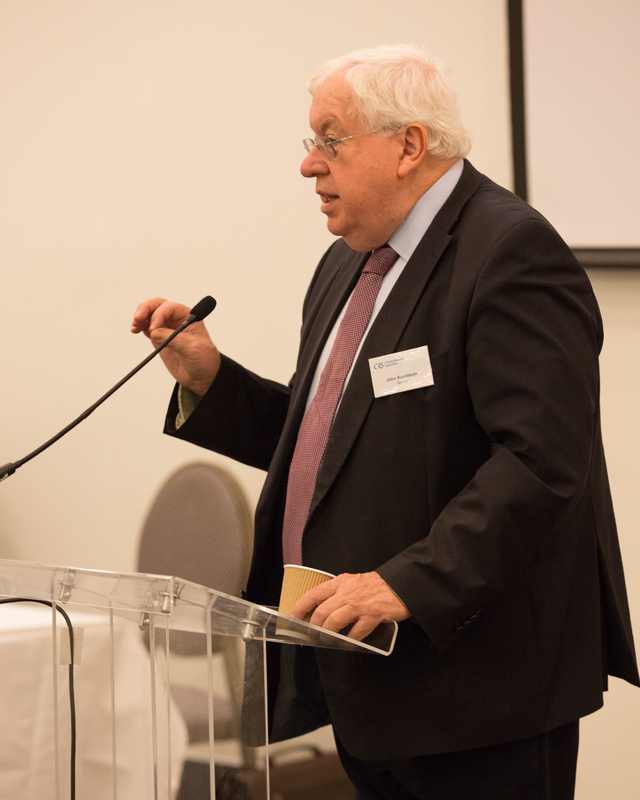 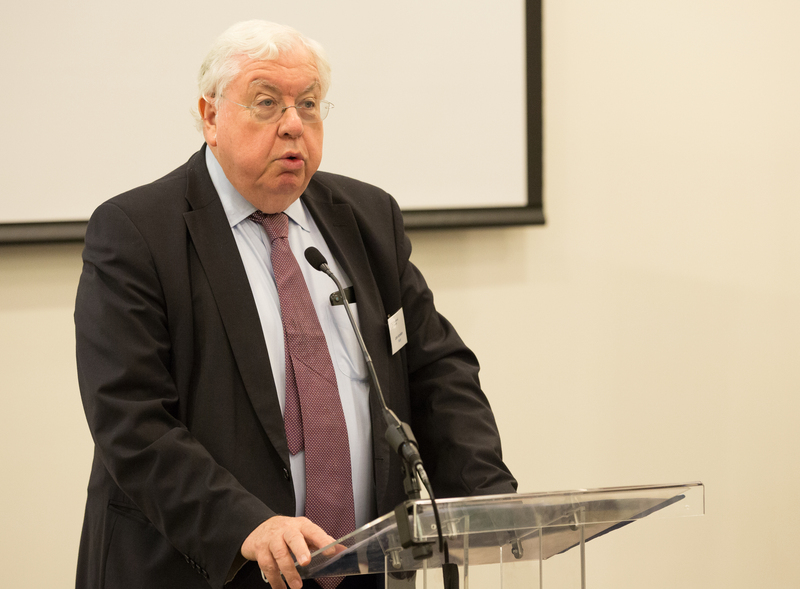 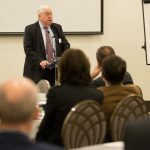 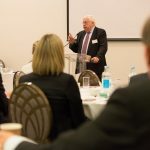 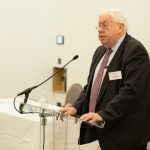 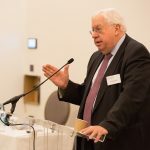 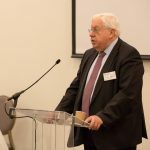 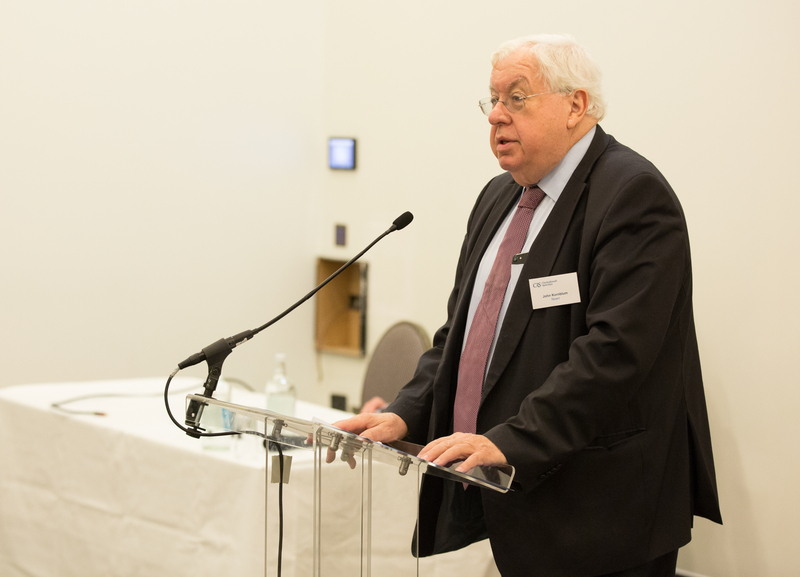 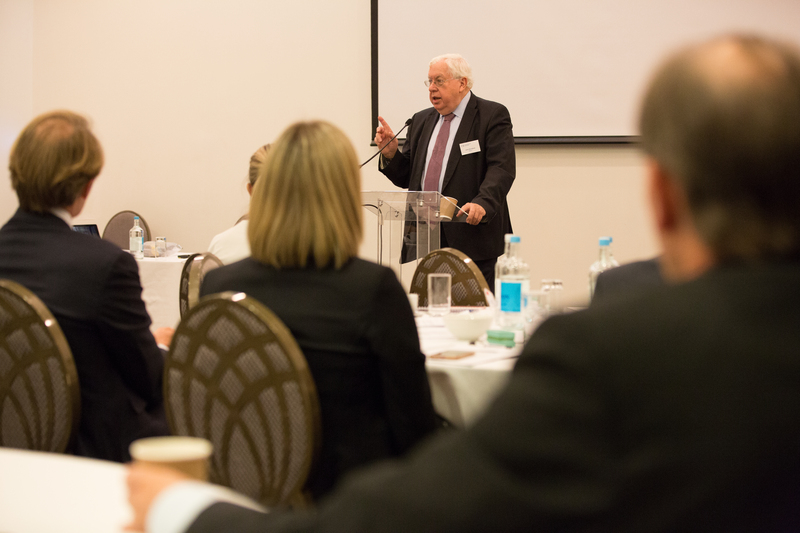 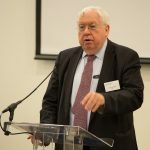 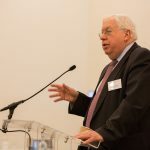 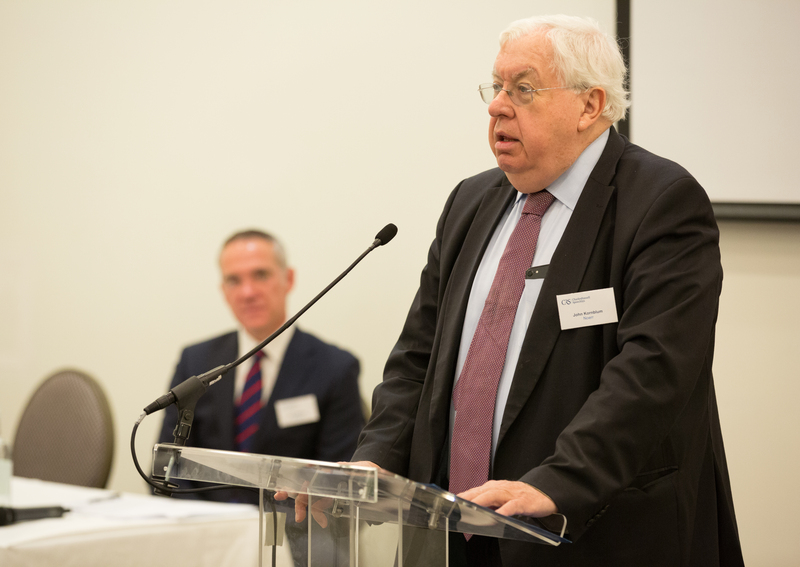 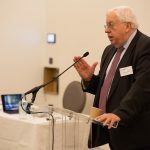 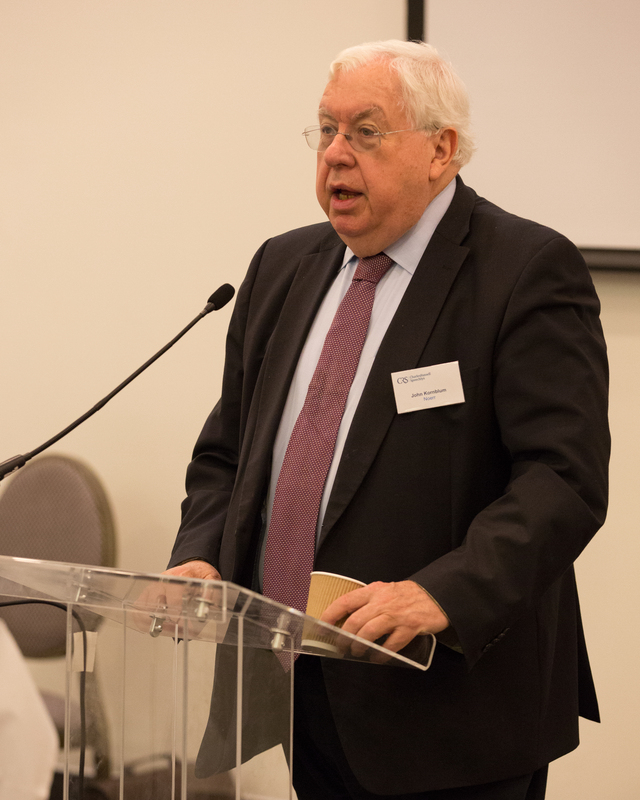 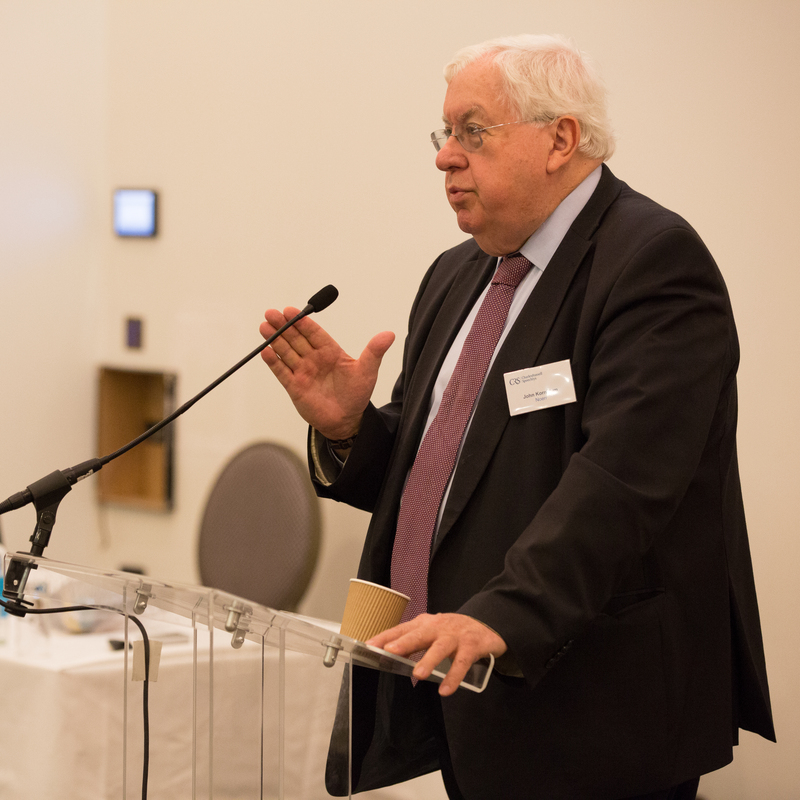 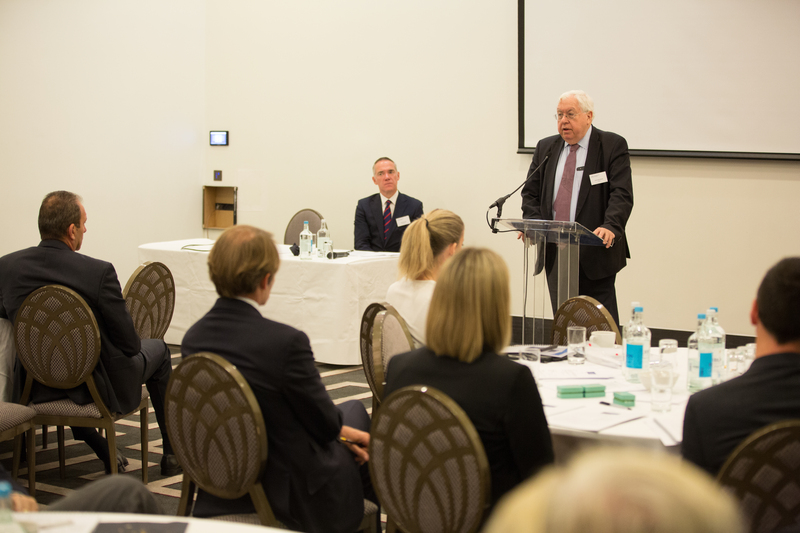 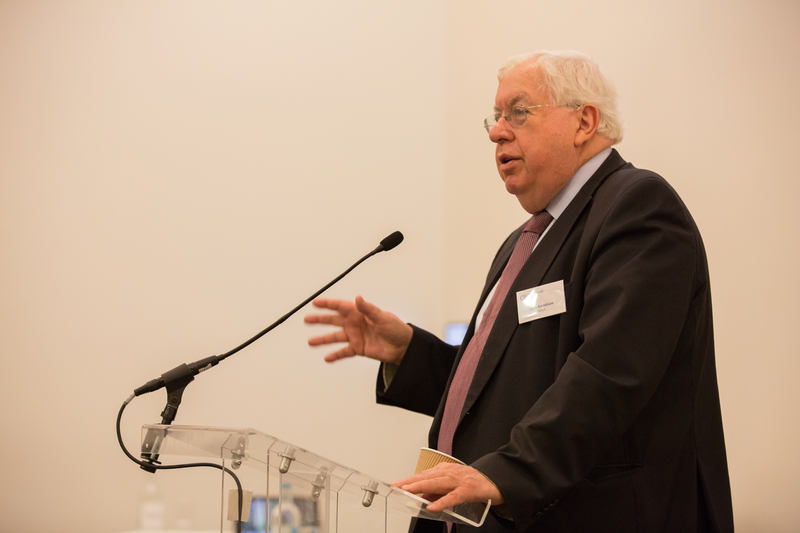 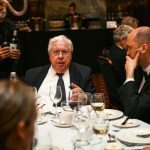 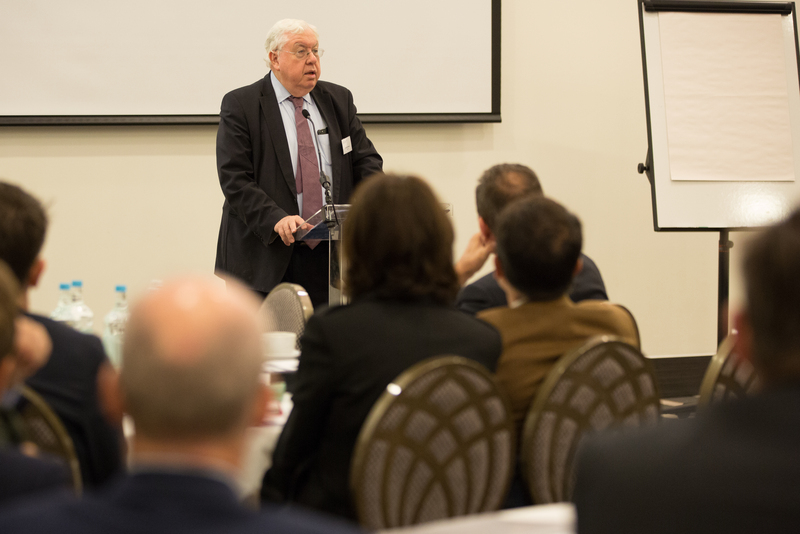 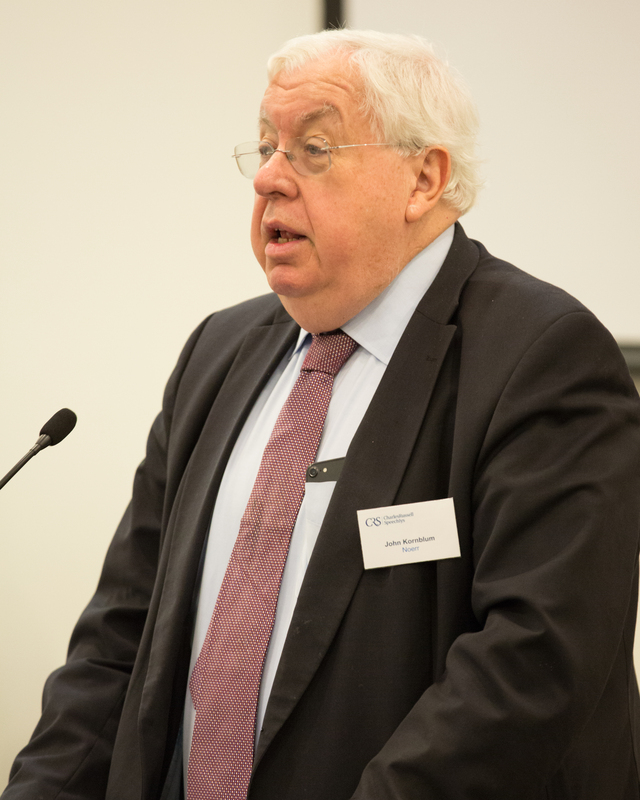 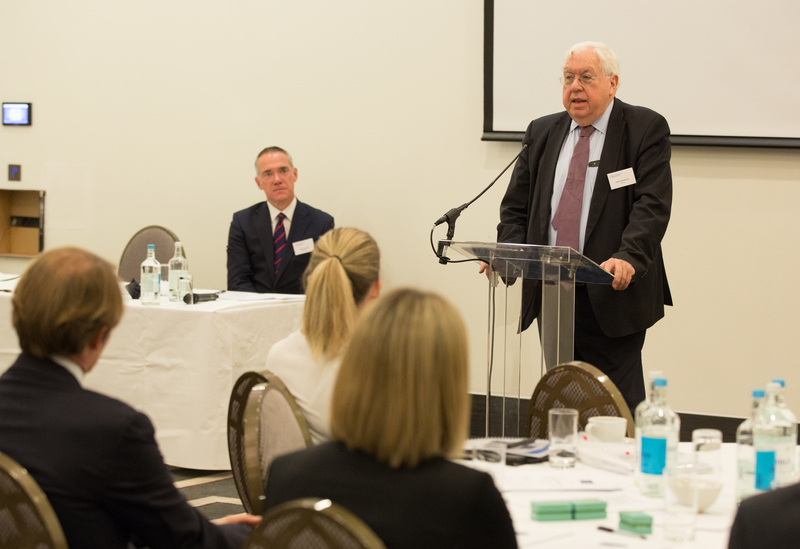 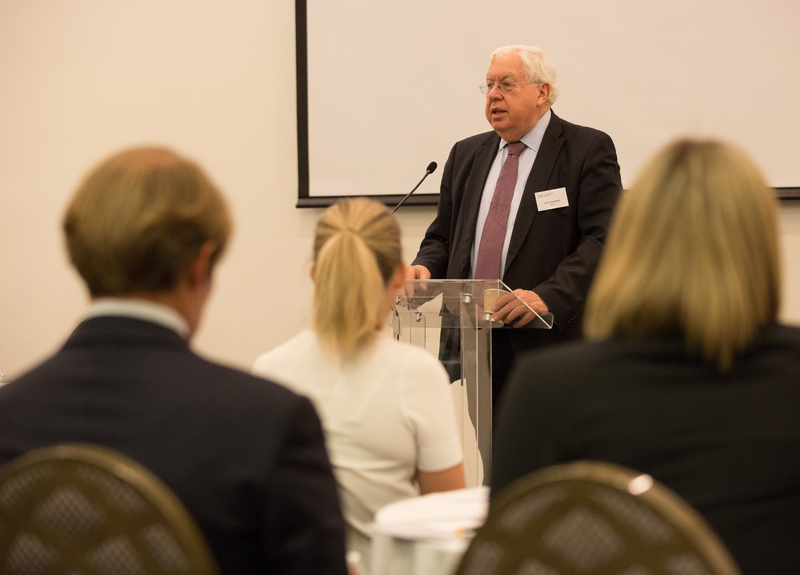 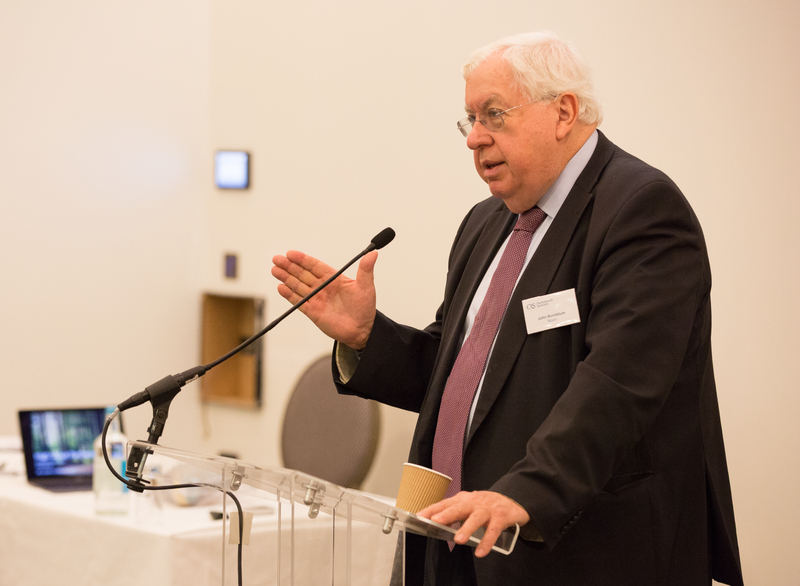 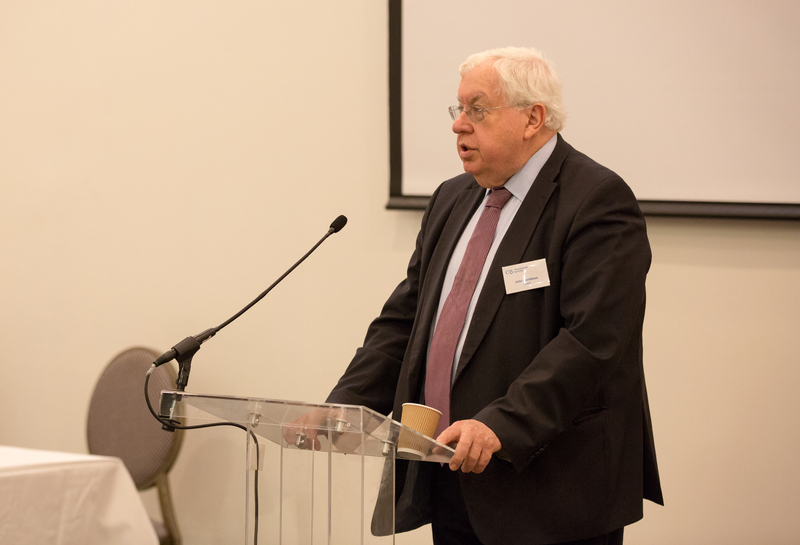 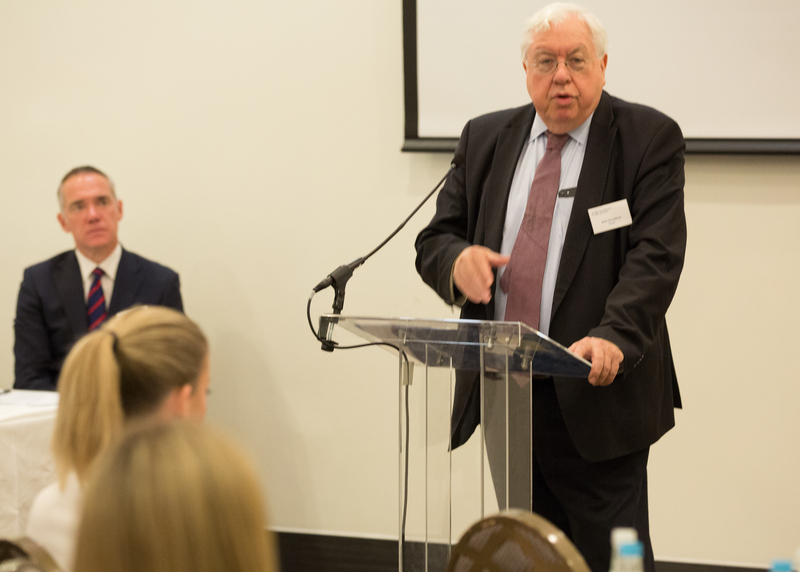 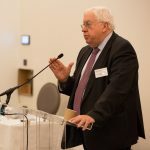 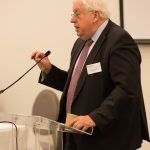 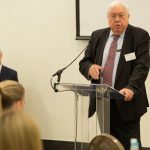 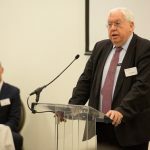 We also had an excellent presentation followed by a Q&A with John Kornblum, Counsel at Noerr and former US Ambassador. 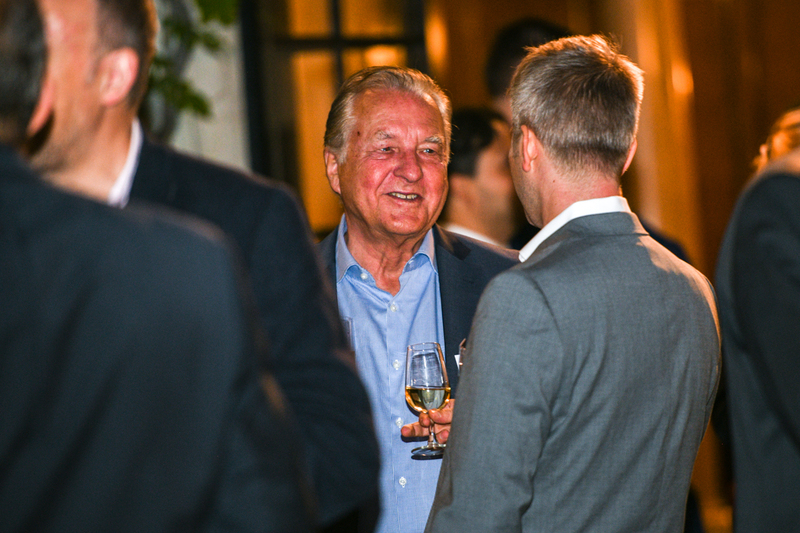 We thank both Antoine and John for spending their time with us. 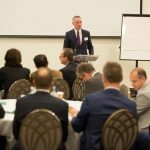 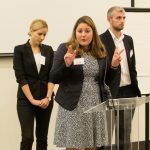 We hope those in attendance found both presentations both interesting and useful. 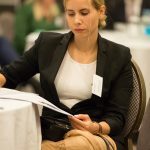 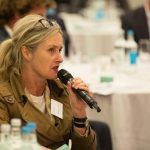 Please do send any ideas for future topics of our AGMs to Helen Cooper. 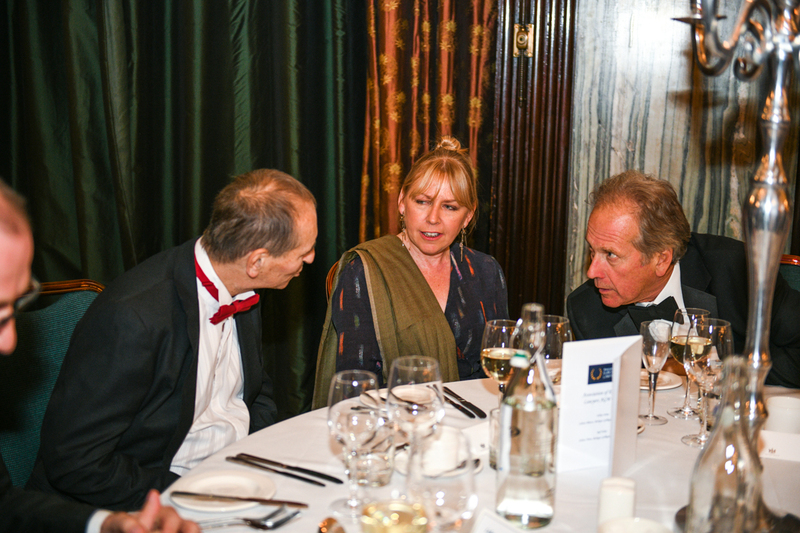 That evening, a coach picked up delegates from the hotel and we travelled to The Law Society together. 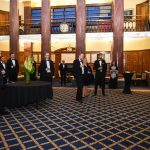 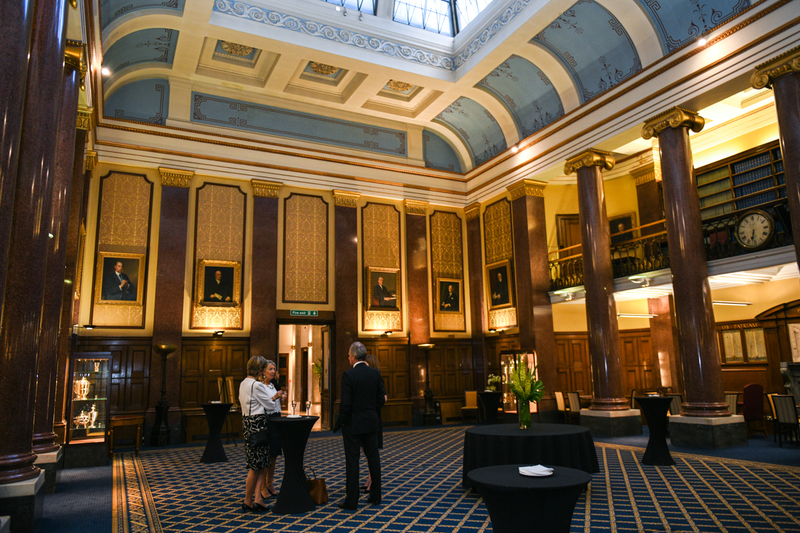 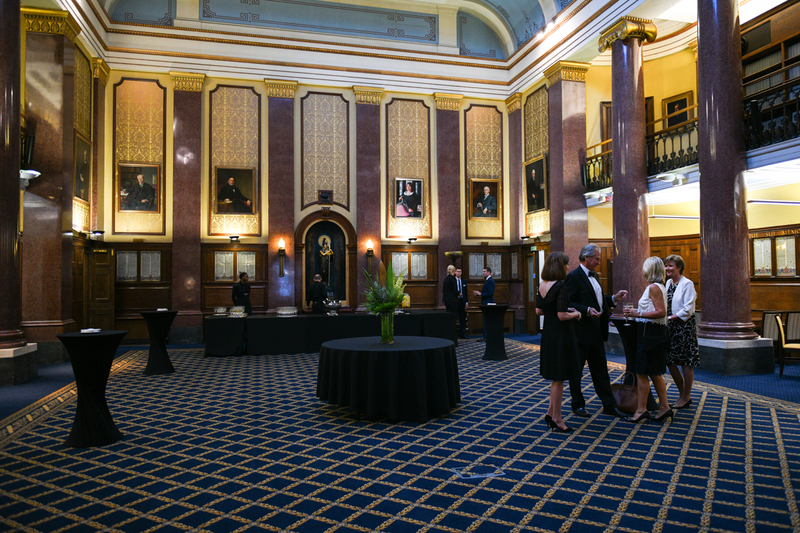 A truly wonderful venue we first had a welcome from the Law Society’s Vice President, in The Reading Room with drinks/canapes as sponsored by Charles Russell Speechlys which was followed by dinner in The Common Room. 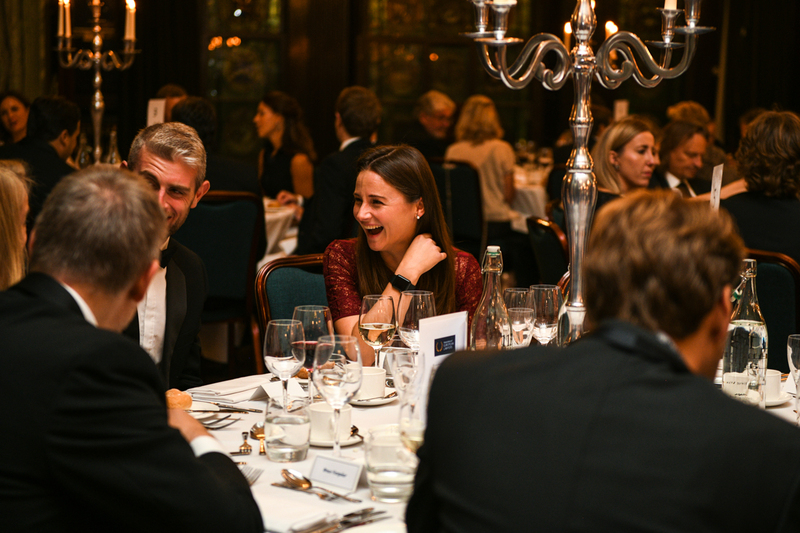 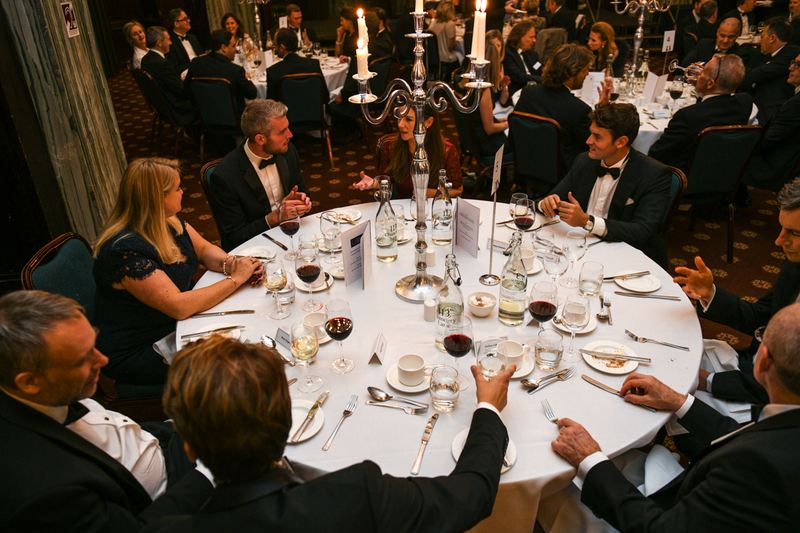 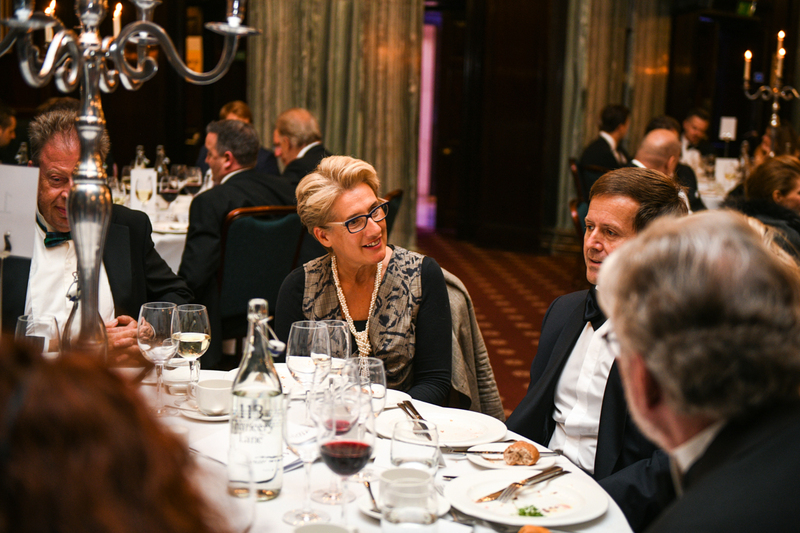 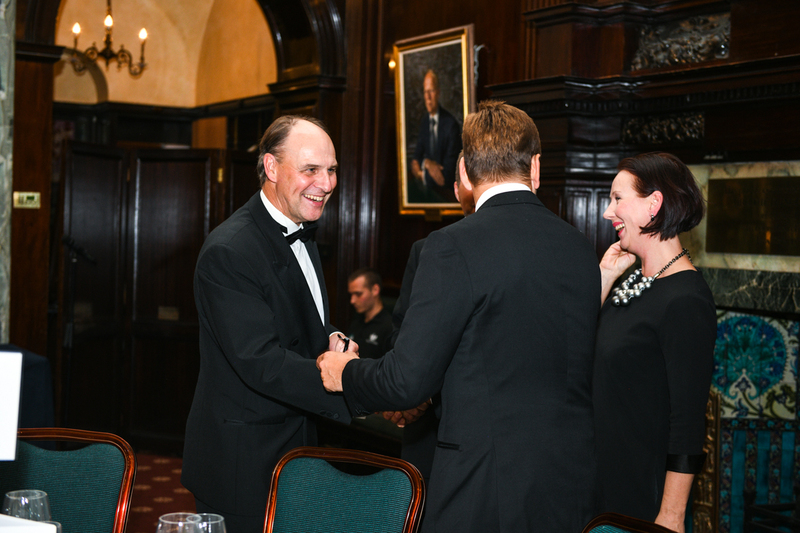 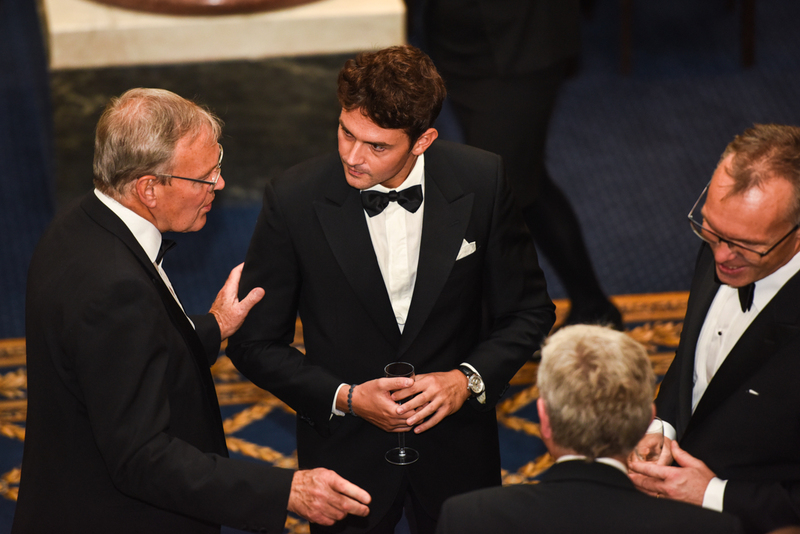 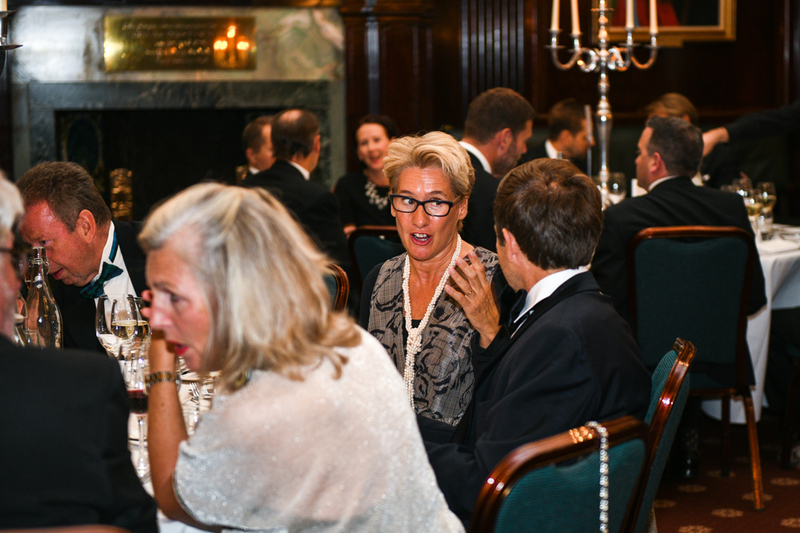 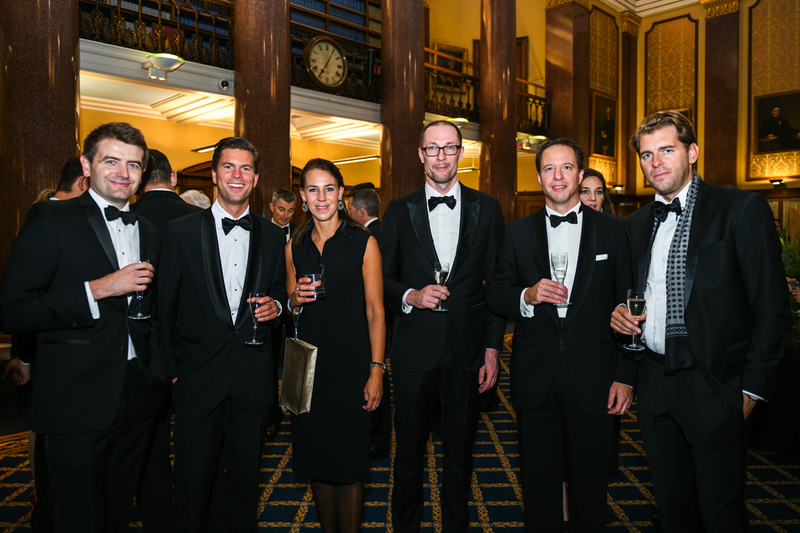 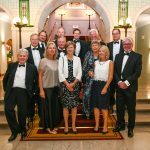 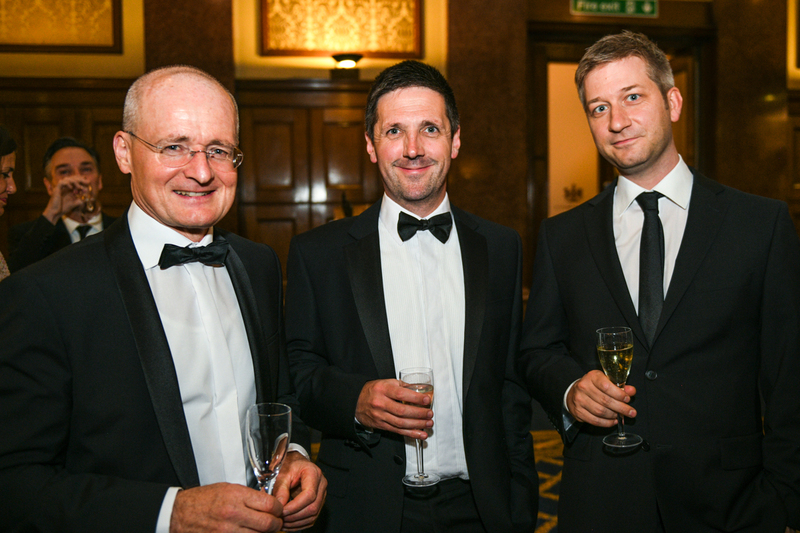 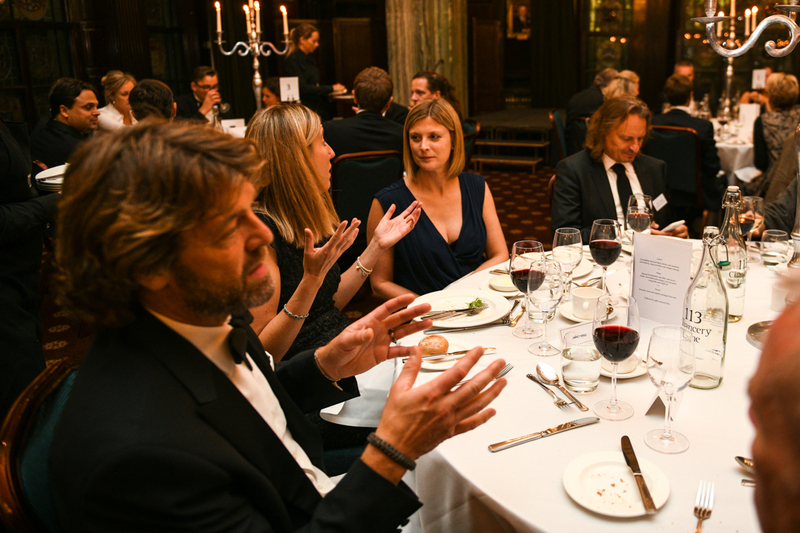 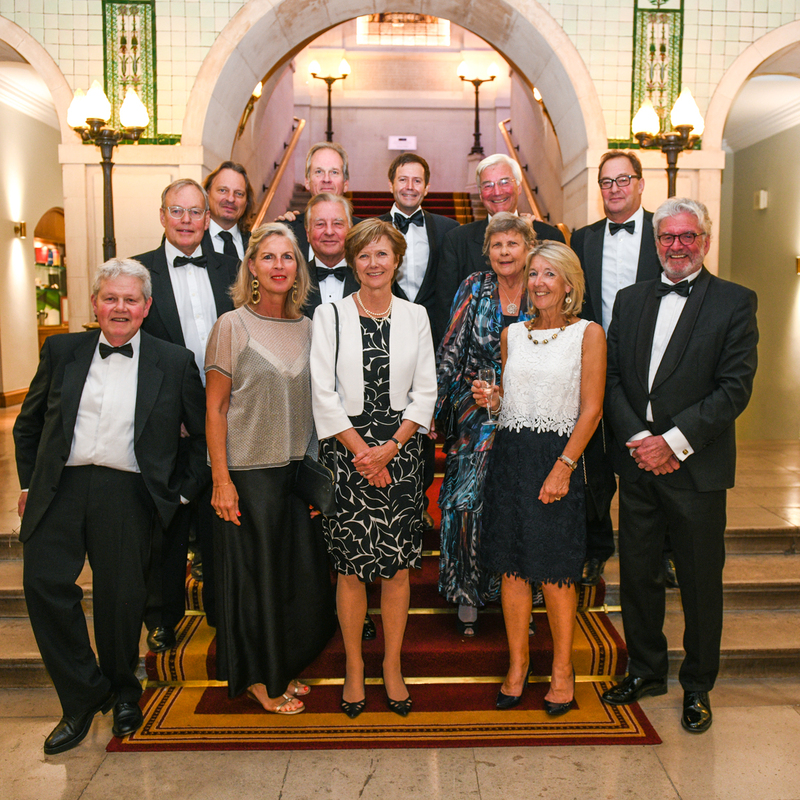 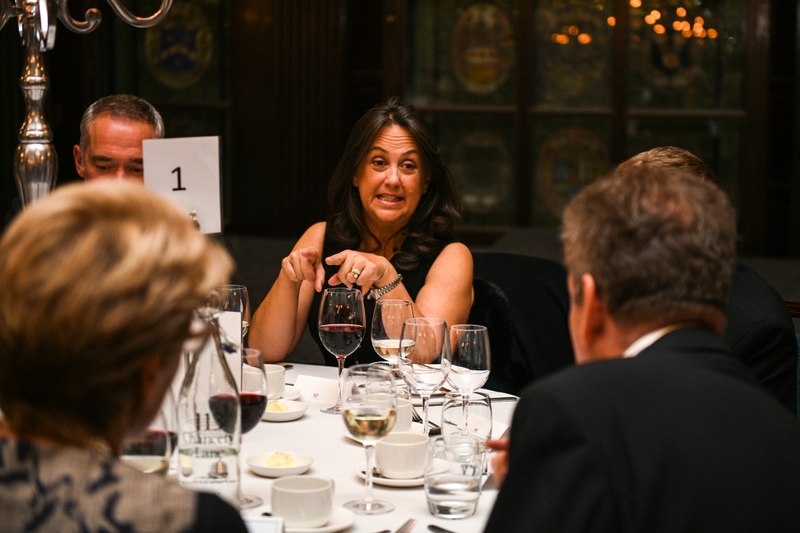 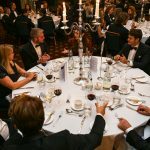 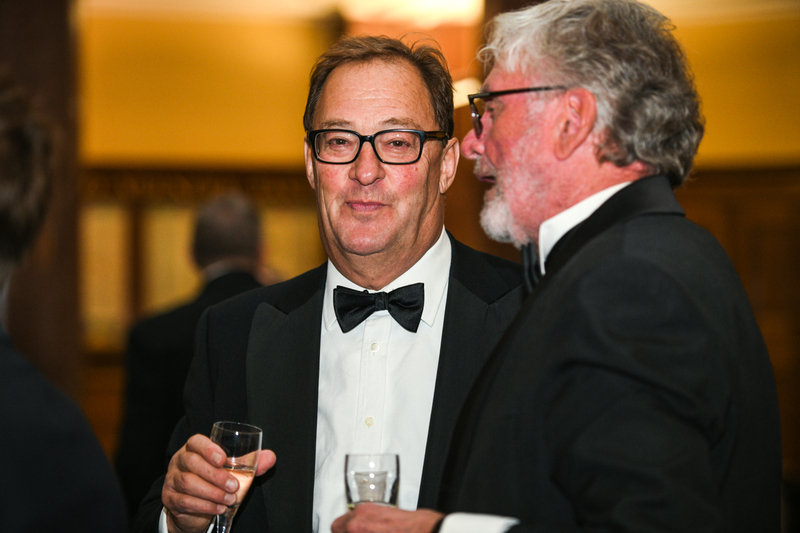 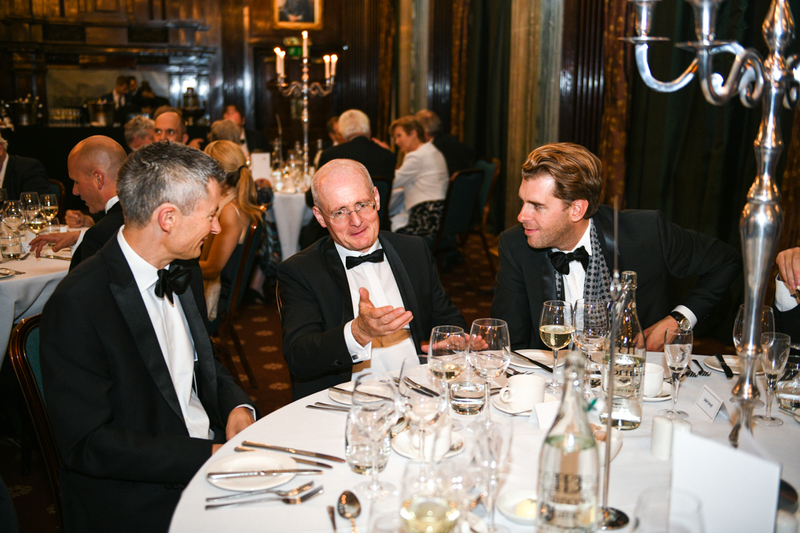 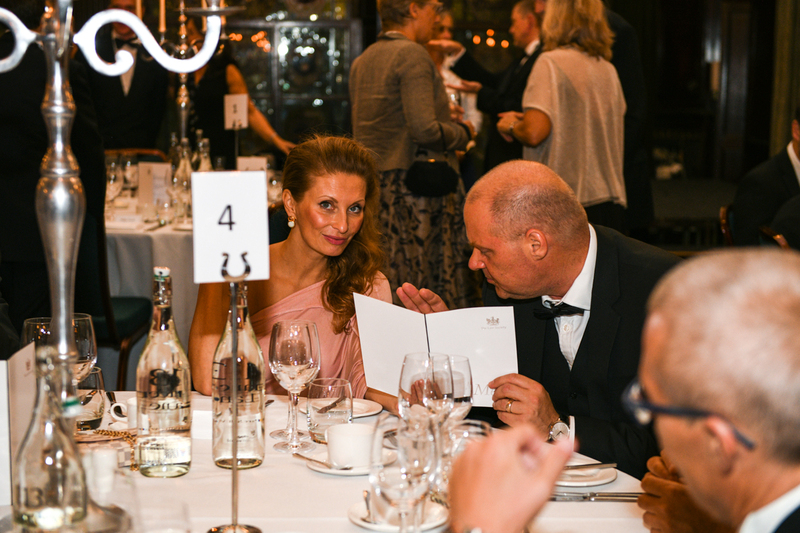 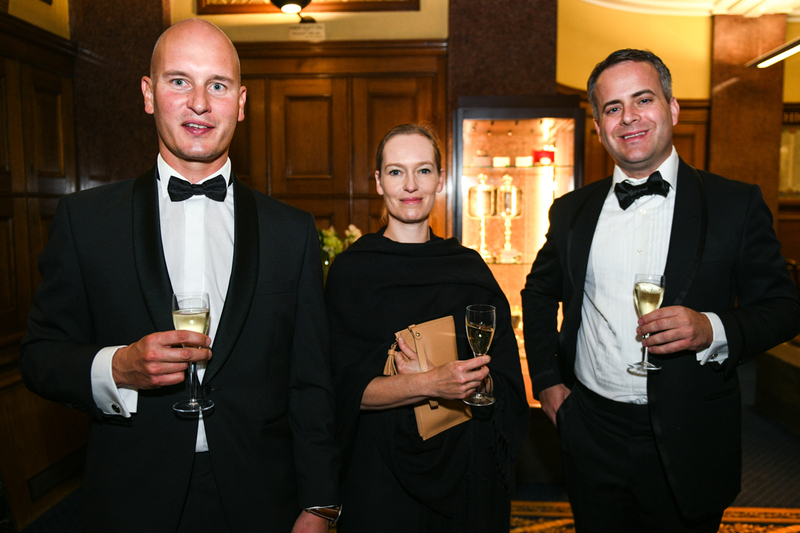 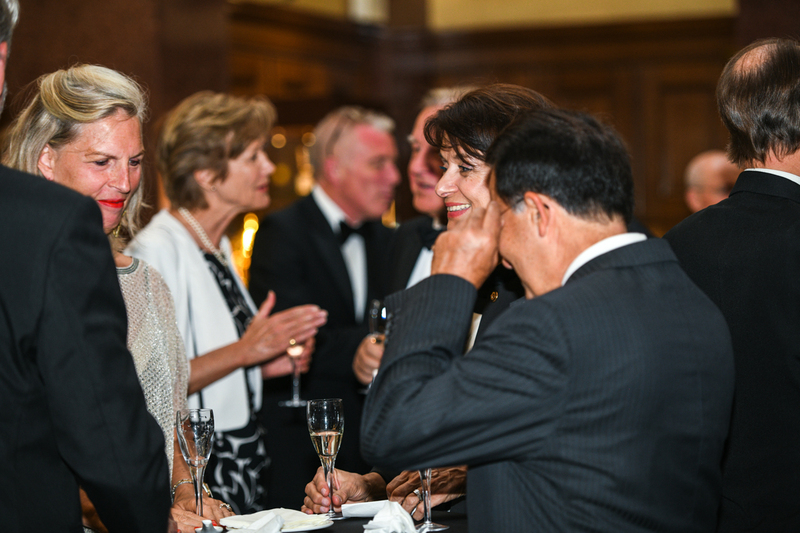 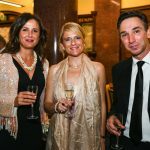 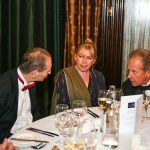 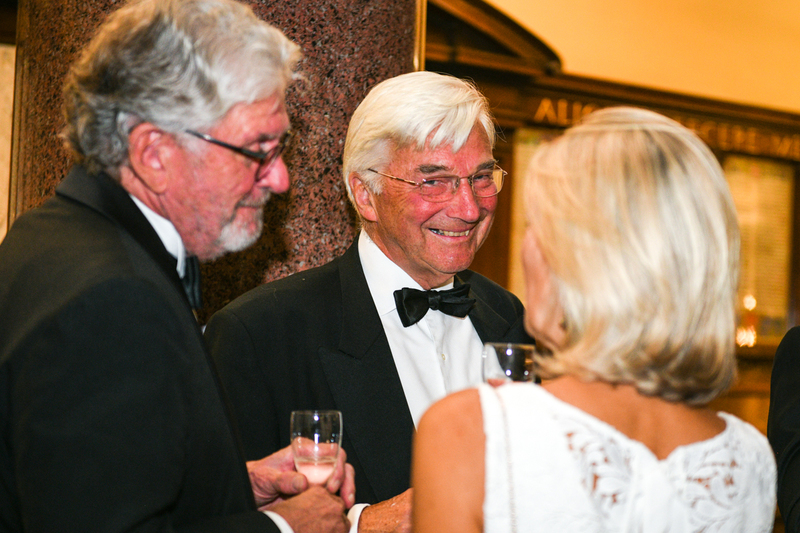 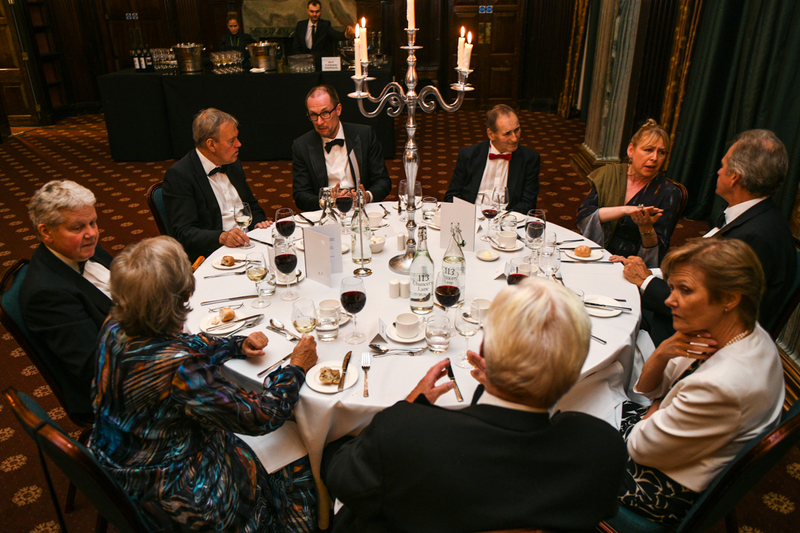 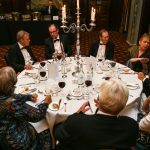 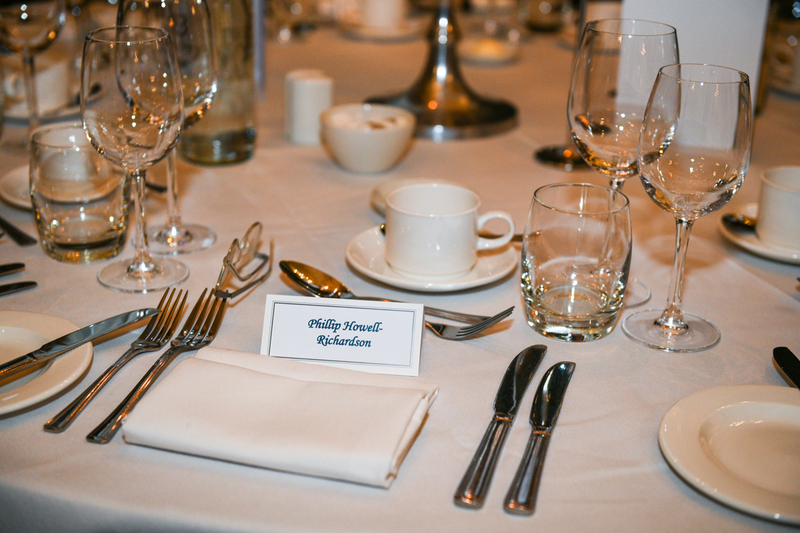 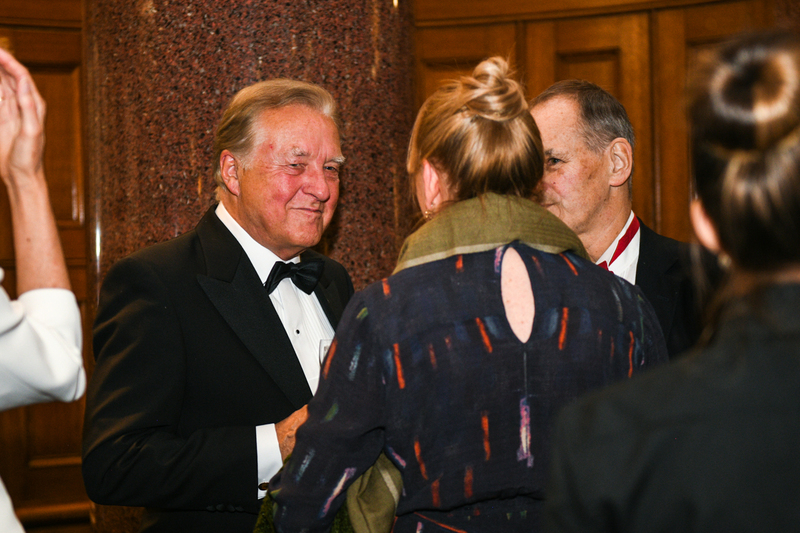 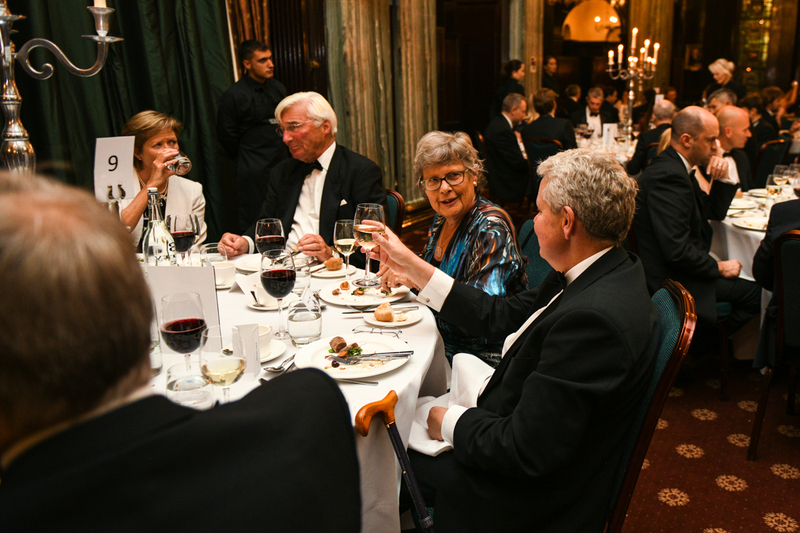 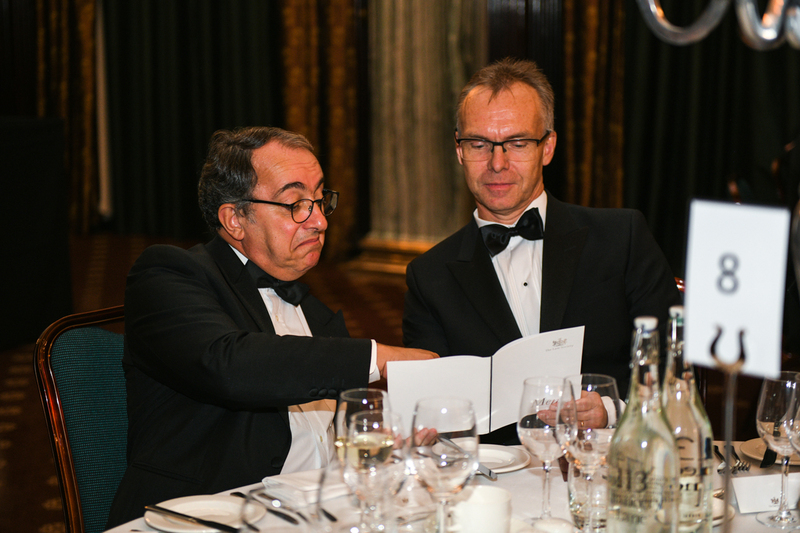 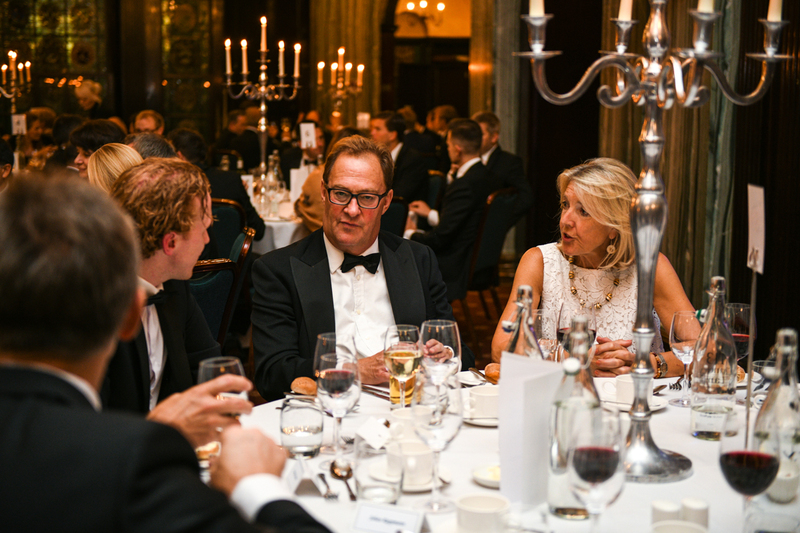 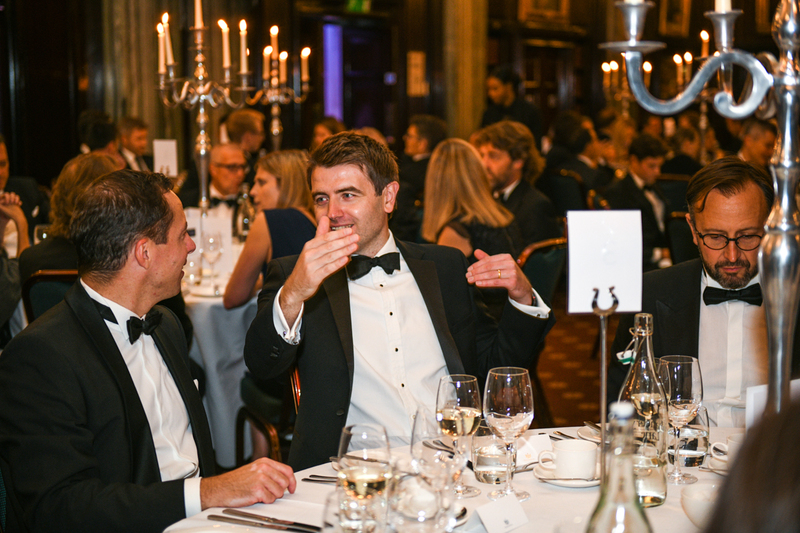 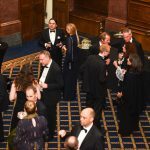 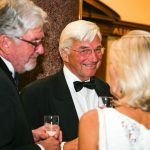 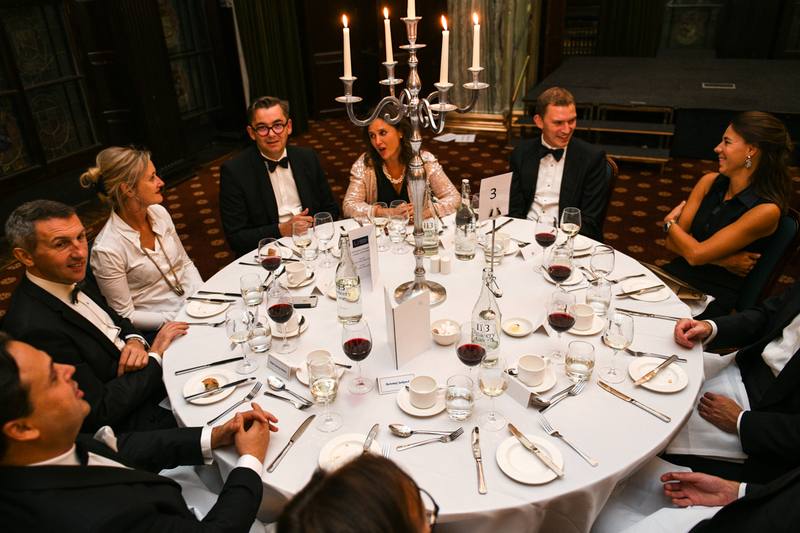 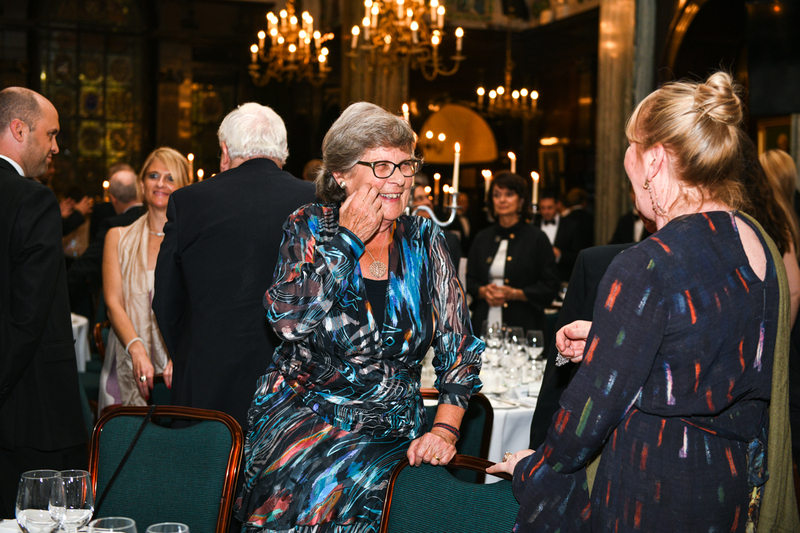 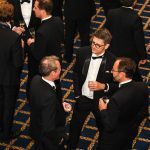 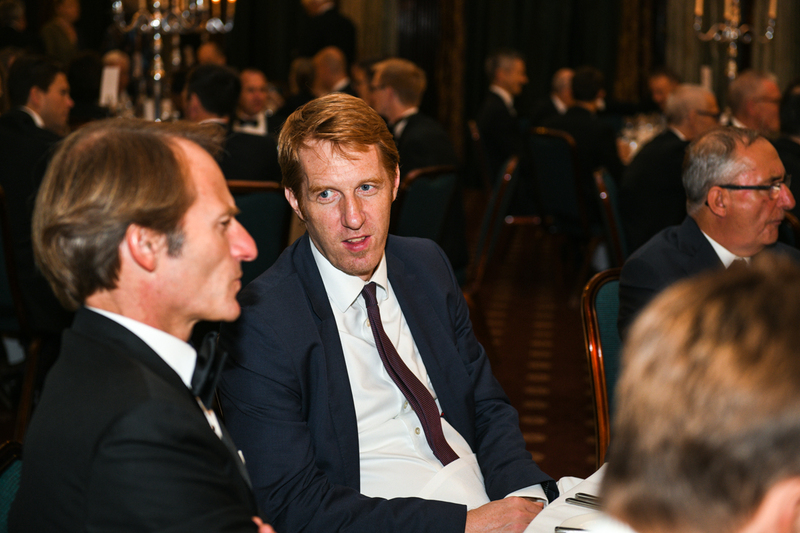 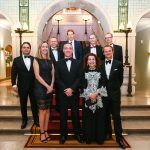 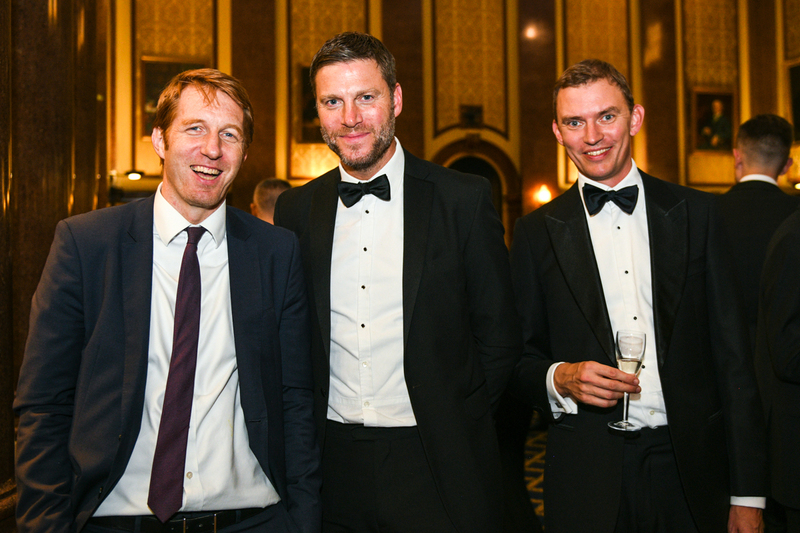 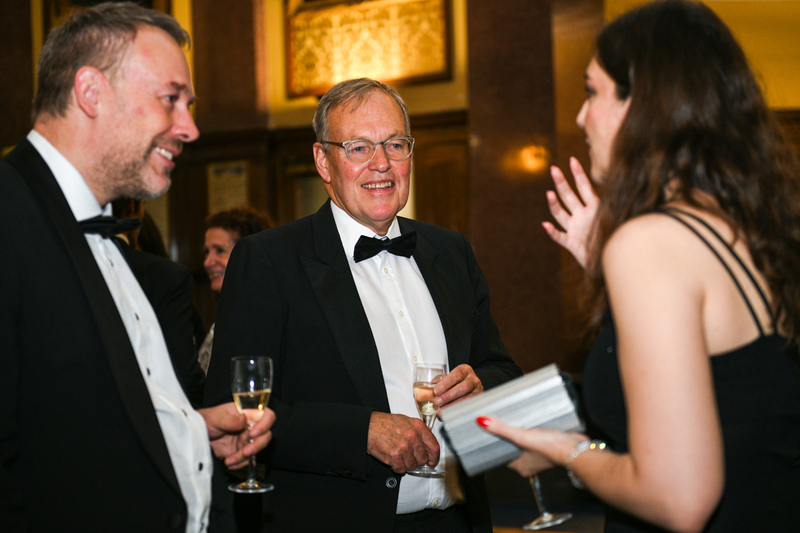 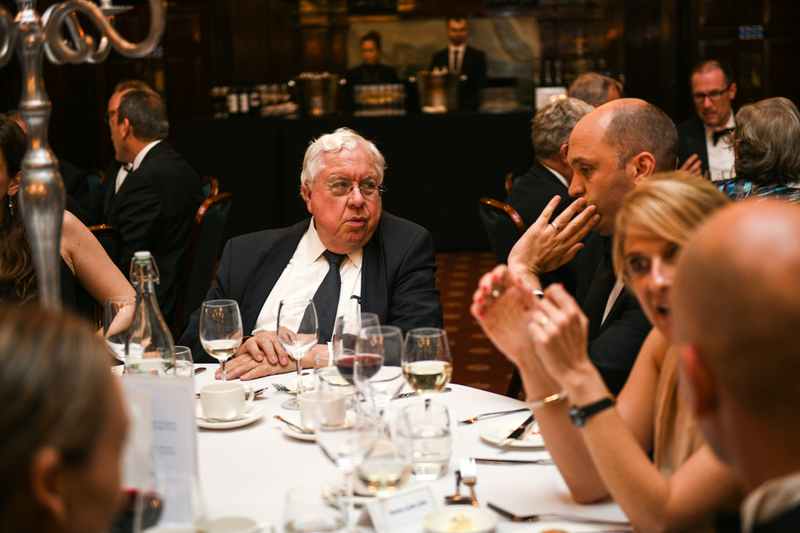 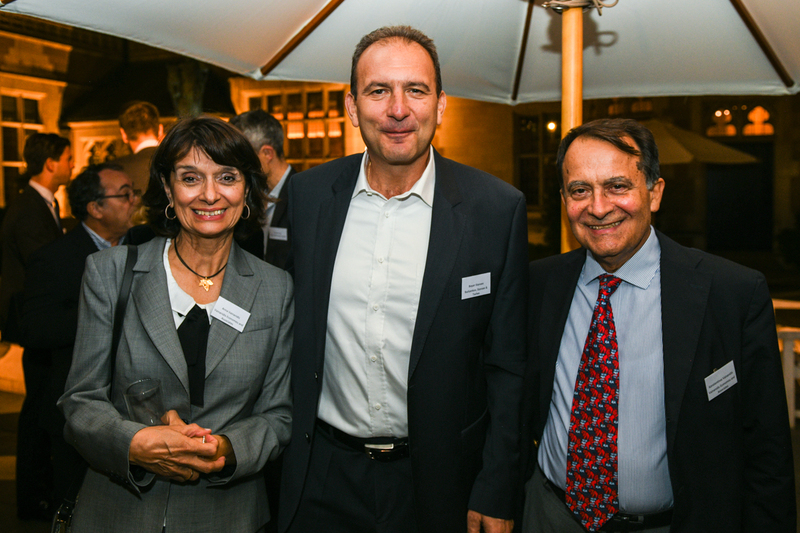 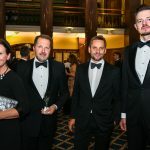 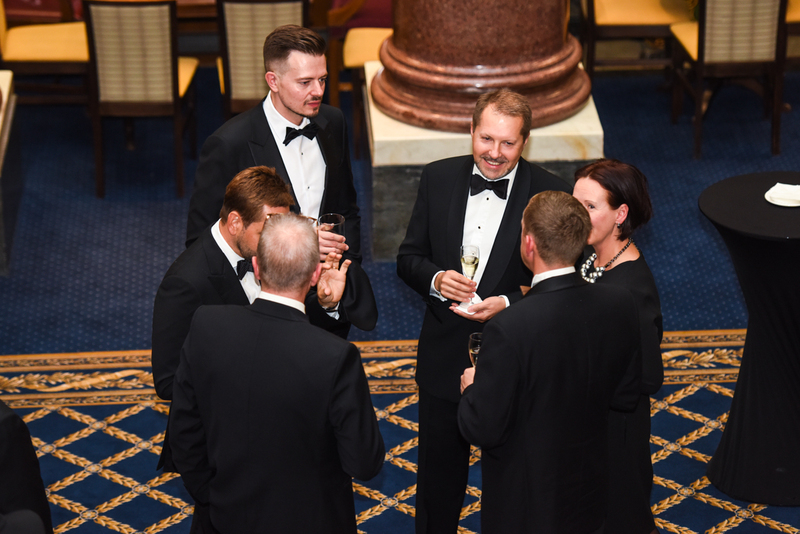 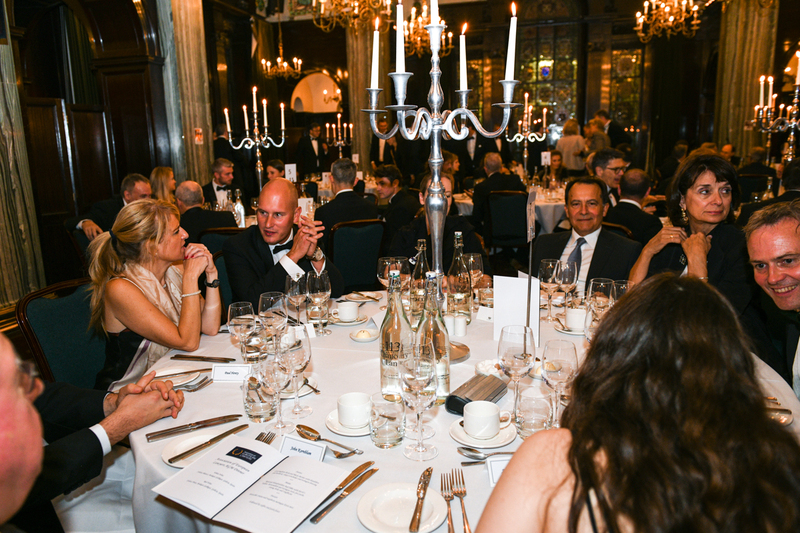 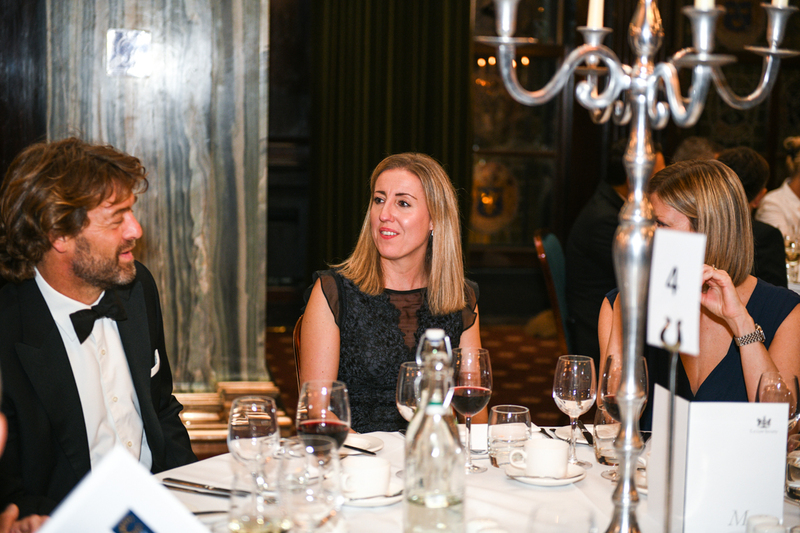 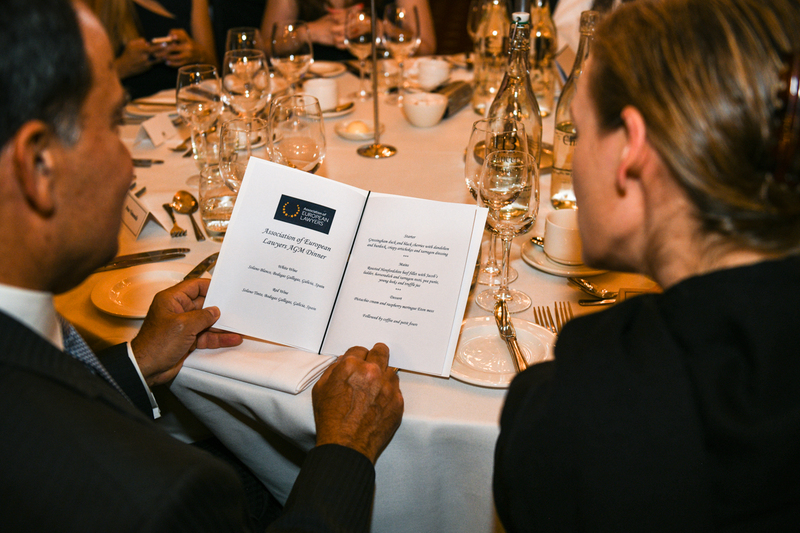 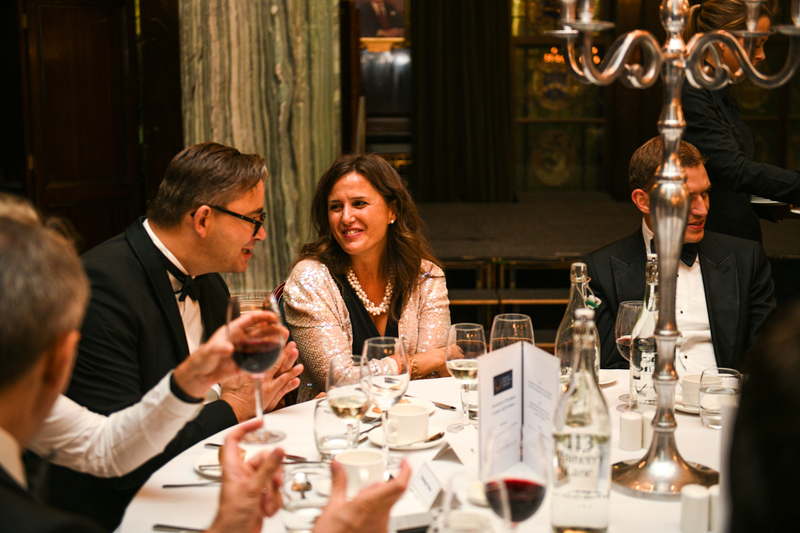 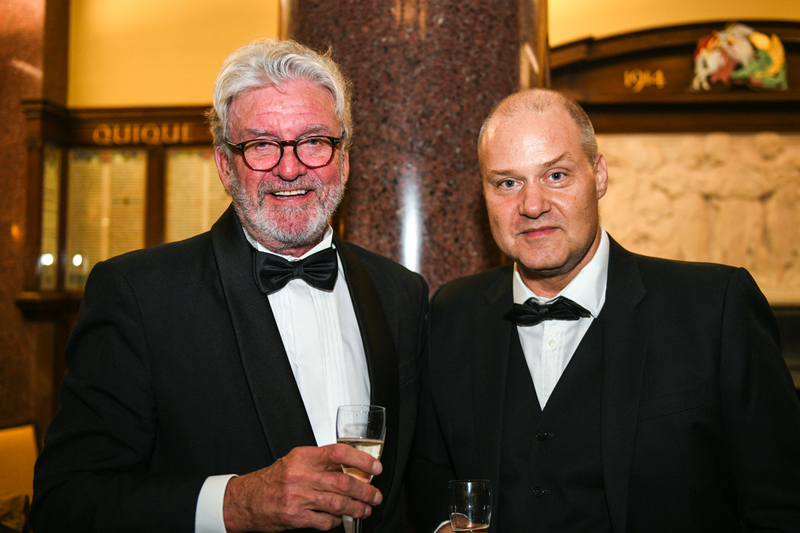 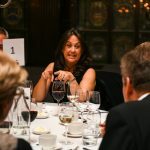 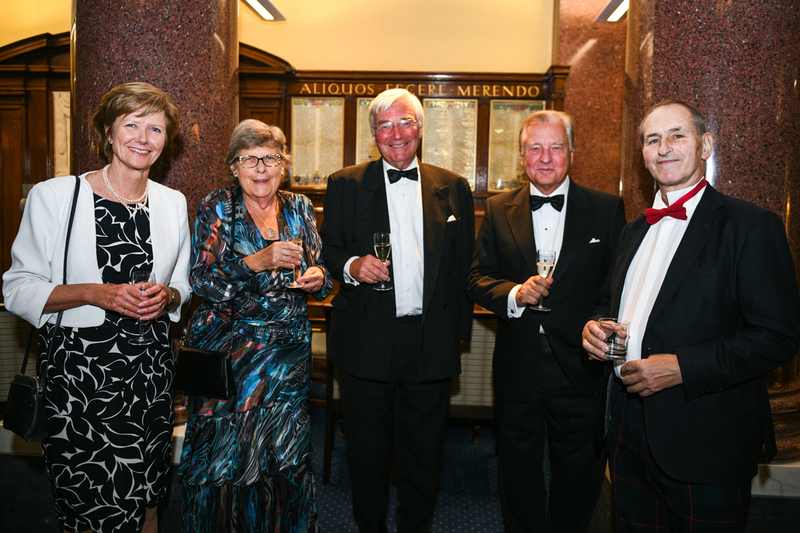 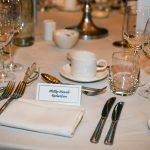 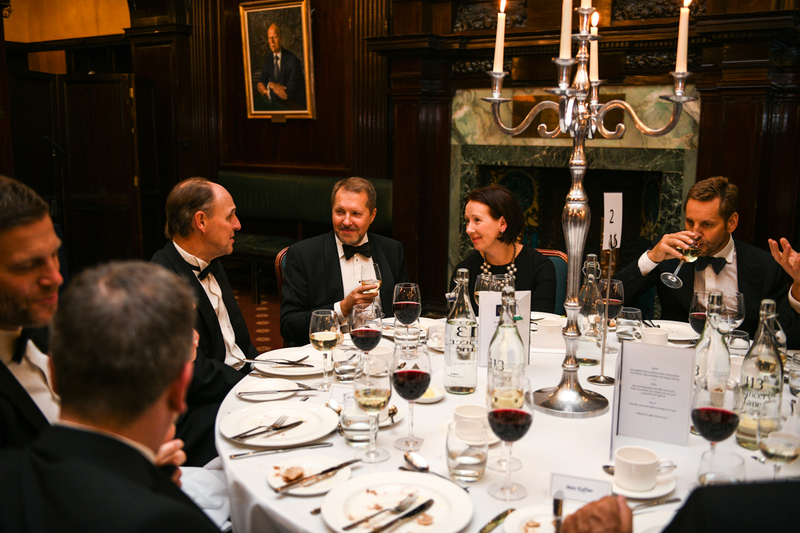 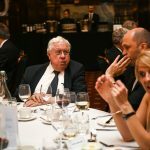 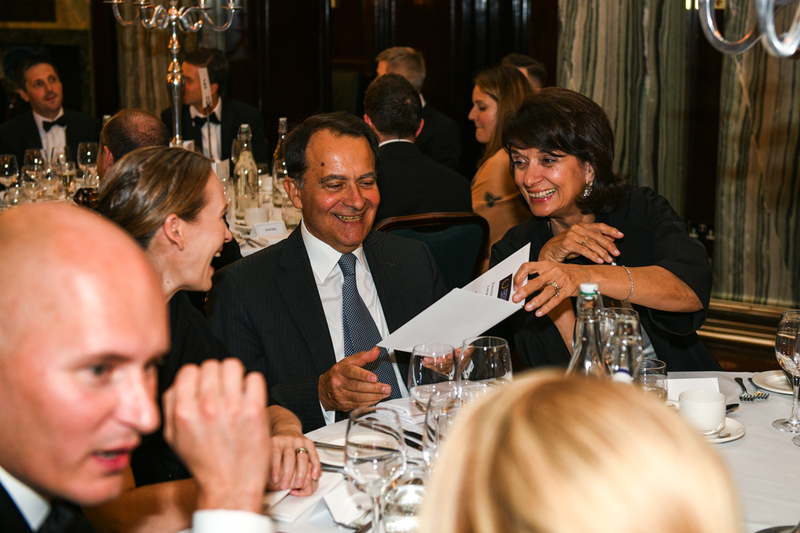 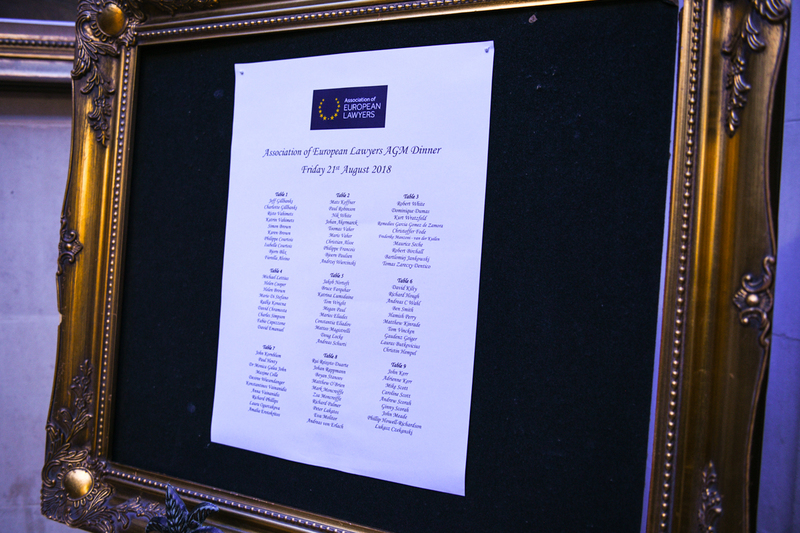 This was an exceptional gala dinner where we also welcomed back some of the past Executive Committee Members. 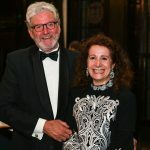 The programme on Saturday 22nd September was organised by Veale Wasbrough Vizards and included a return boat trip to Greenwich where delegates were treated to a Tudor and Stuarts’ clothing demonstration, a guided tour of The Cutty Sark with afternoon tea and a tour of the Old Royal Naval College’s Painted Hall. 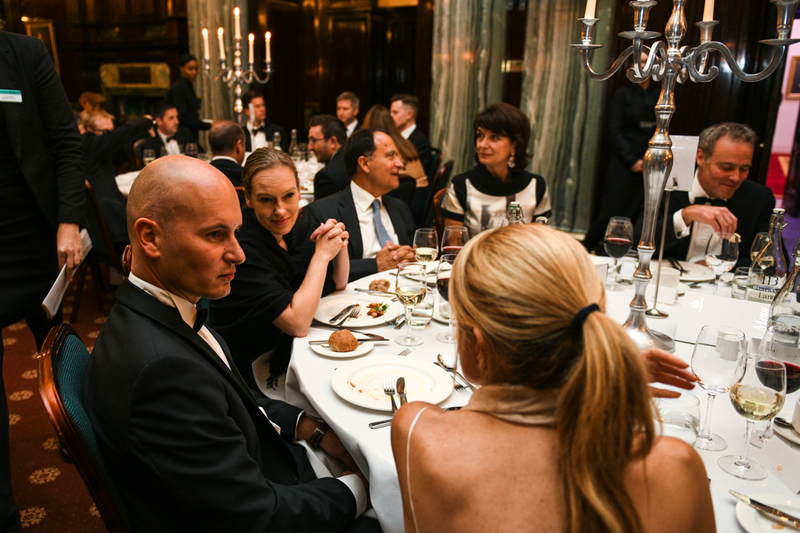 Dinner that evening was at The Jones Family Project just a short walk away from the hotel. 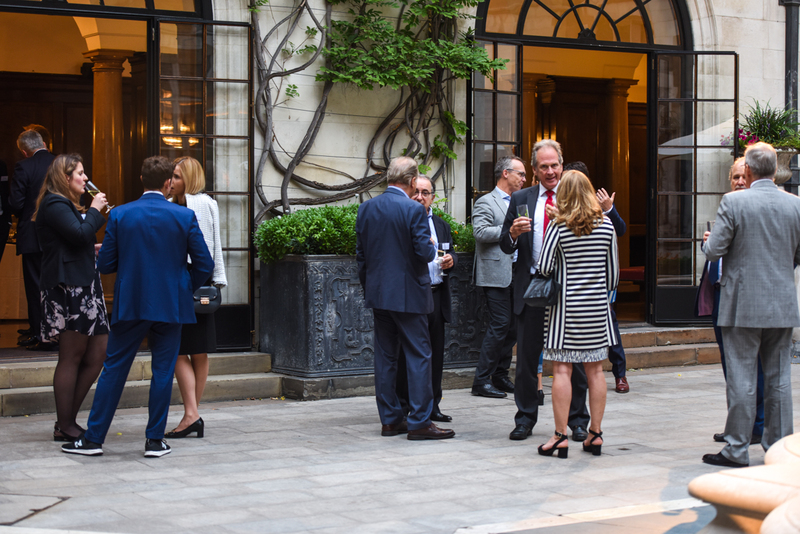 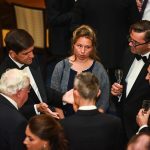 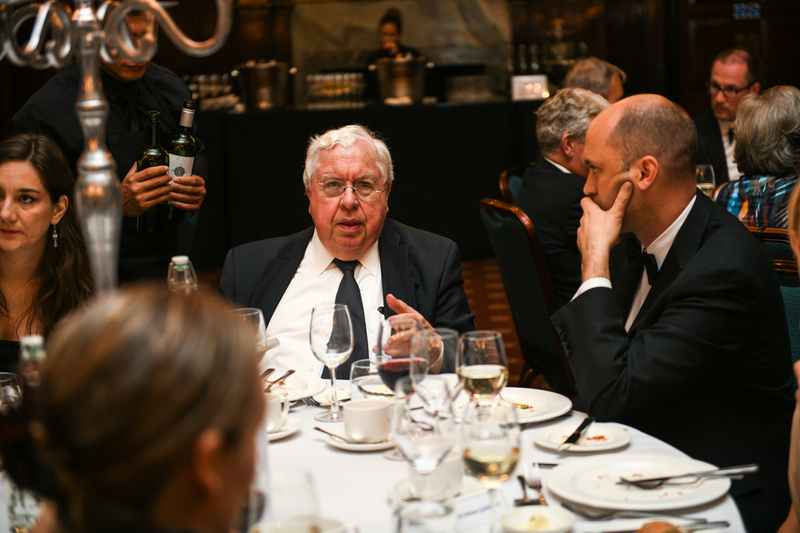 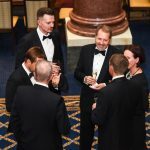 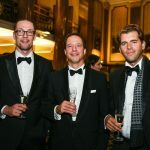 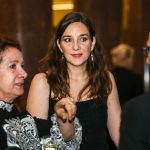 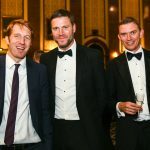 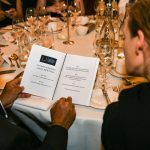 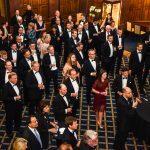 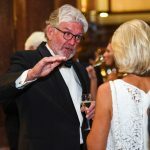 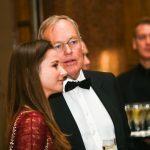 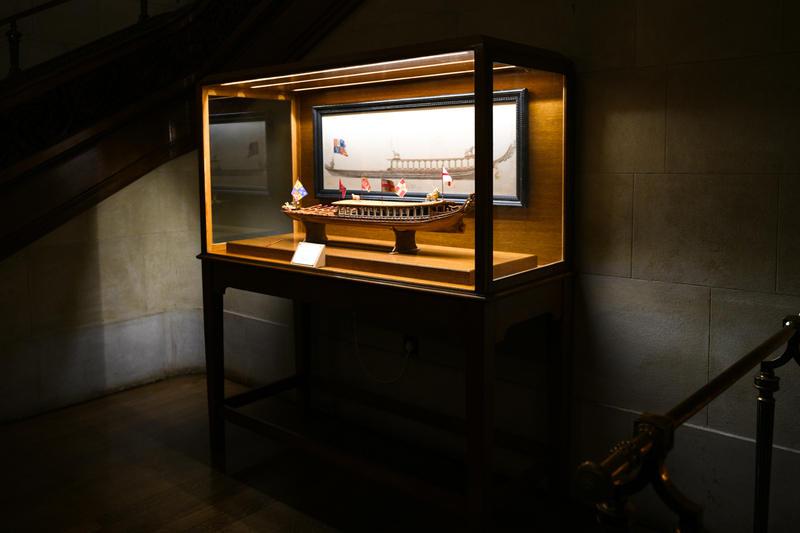 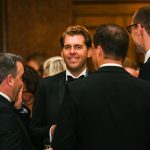 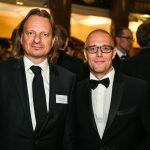 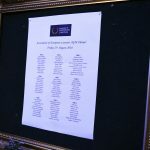 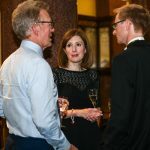 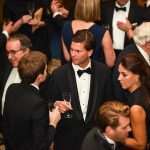 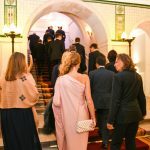 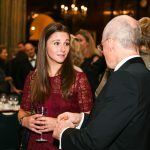 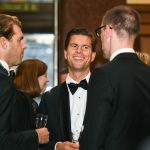 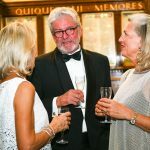 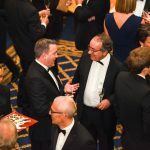 From feedback received so far, this truly was a most special occasion and we would like to give our sincere thanks to Arthur Cox, Charles Russell Speechlys, Noerr and Veale Wasbrough Vizards and helping to organise. 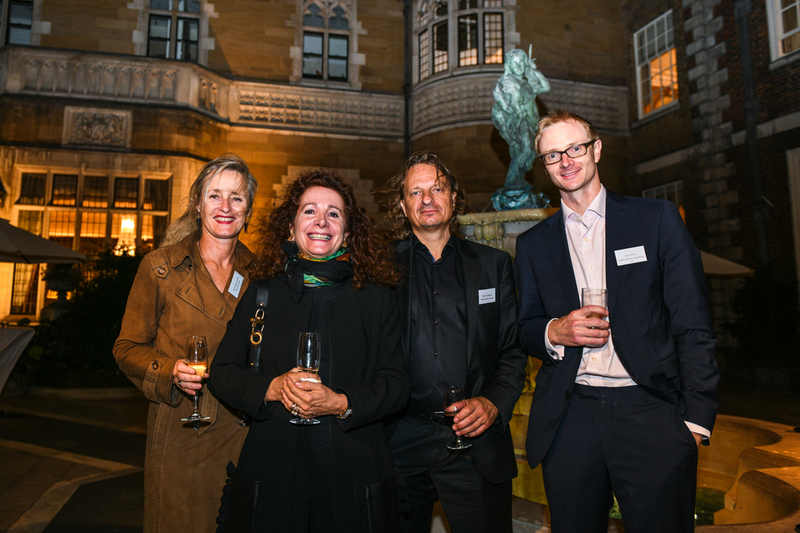 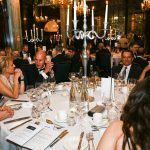 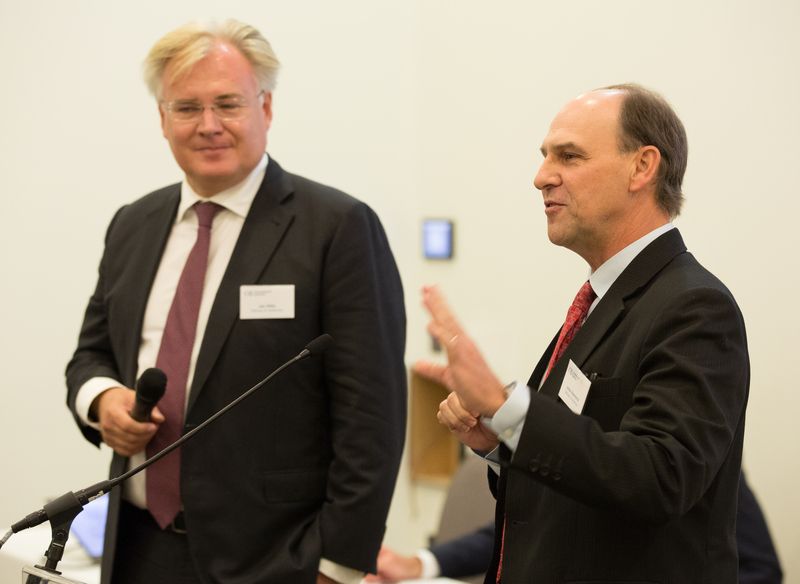 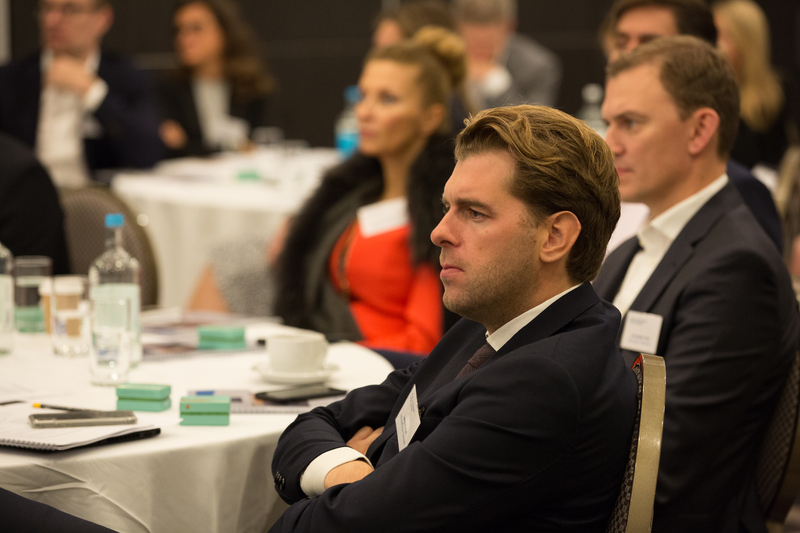 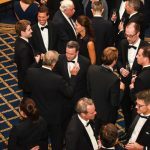 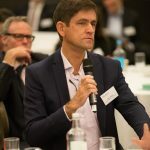 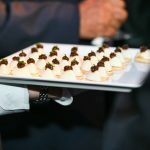 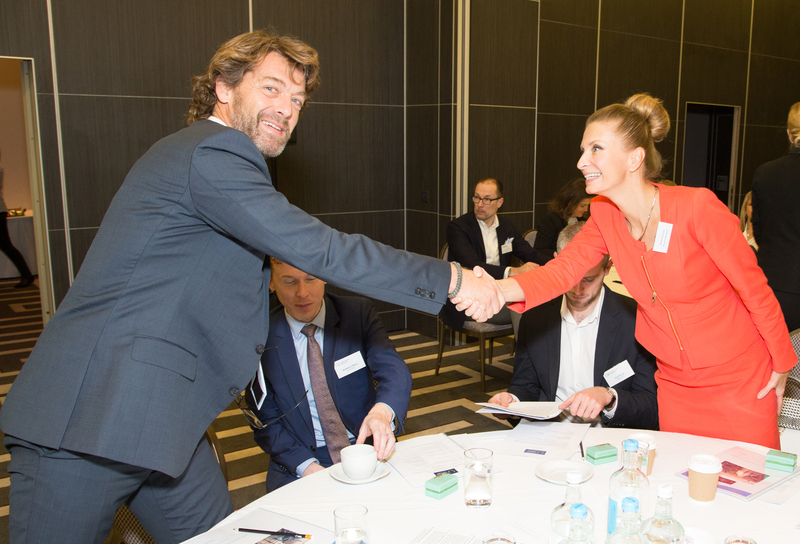 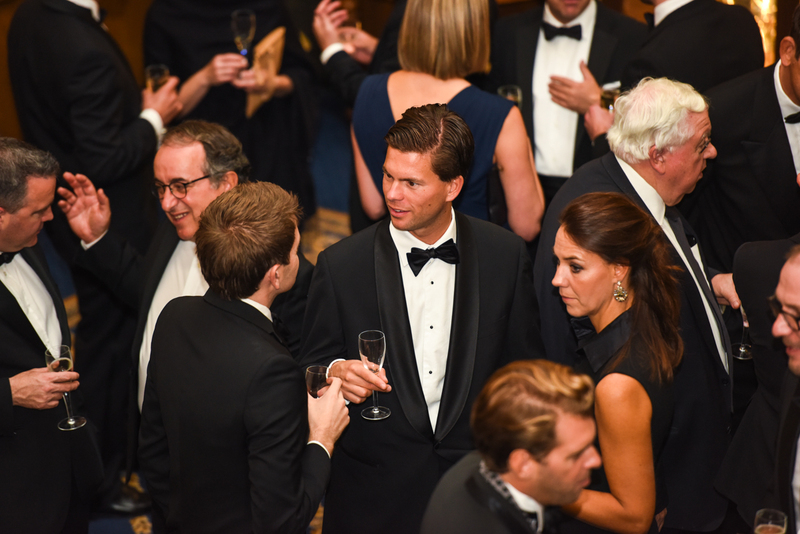 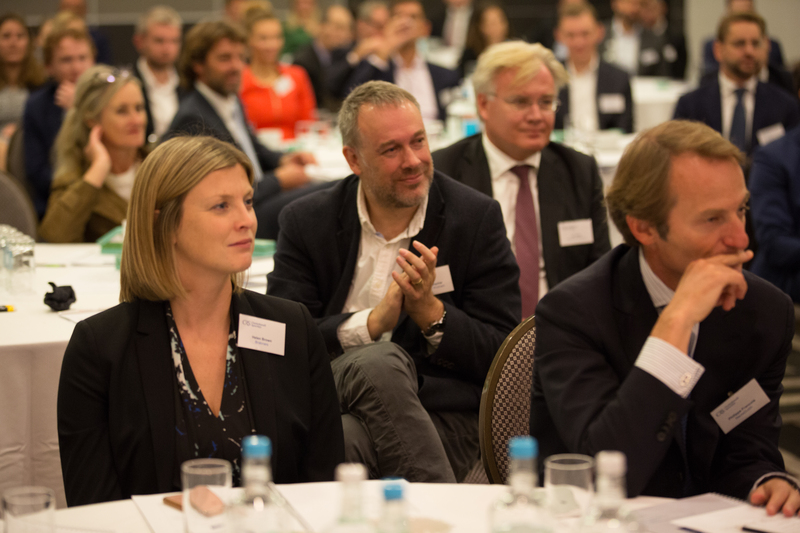 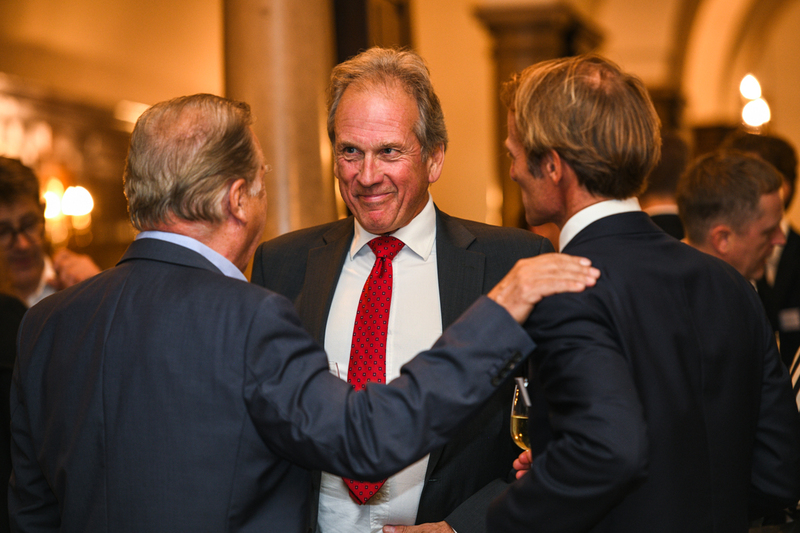 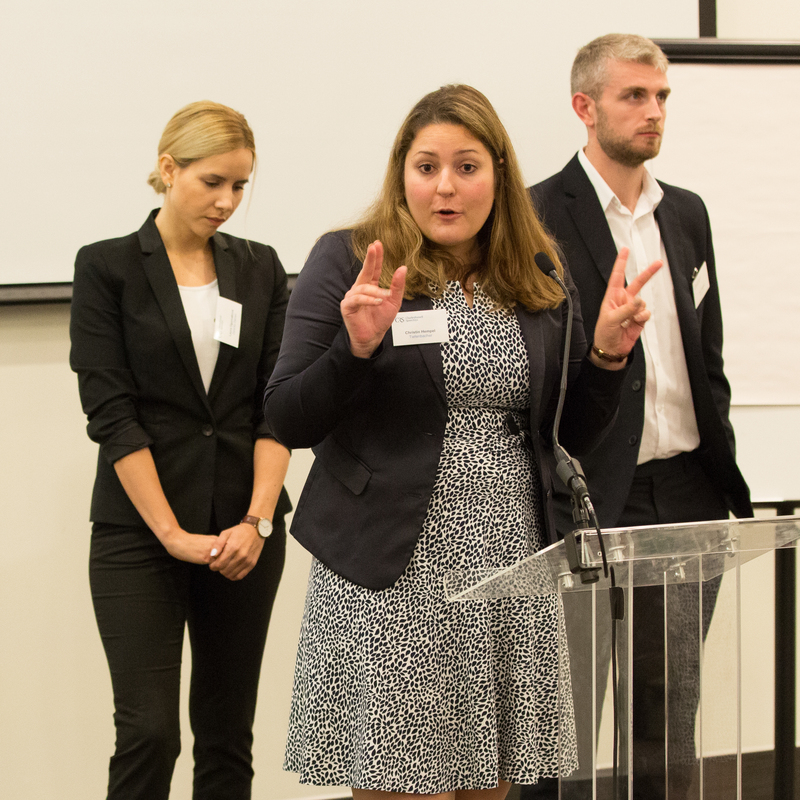 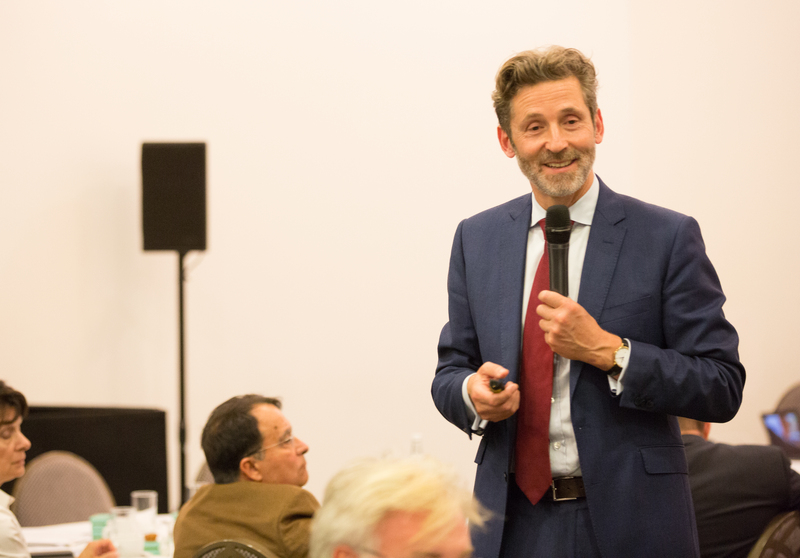 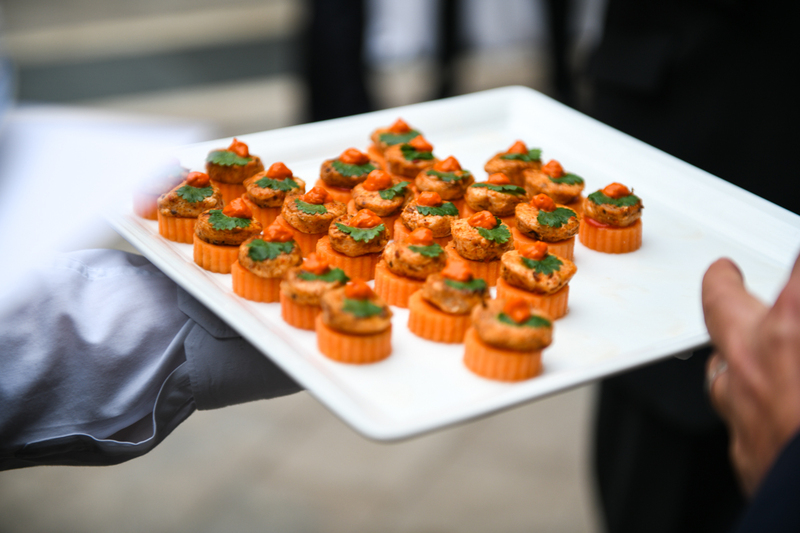 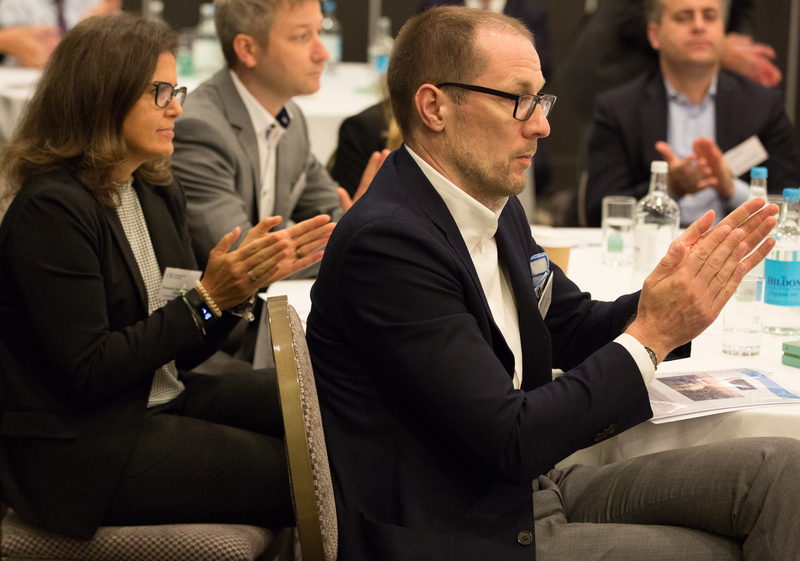 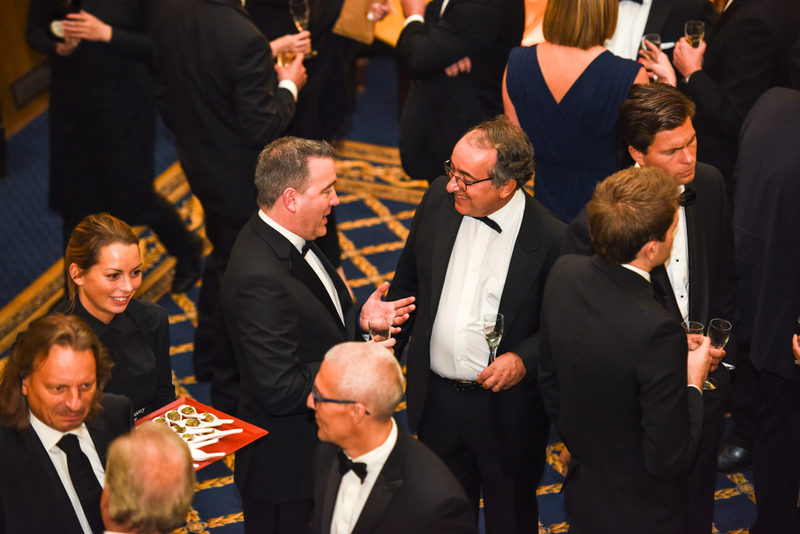 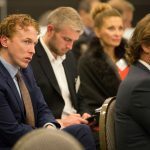 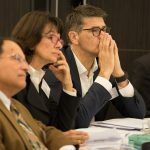 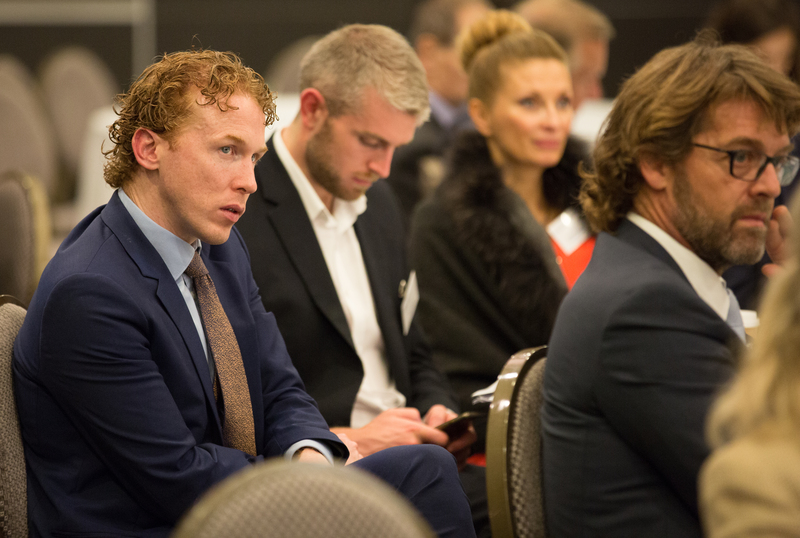 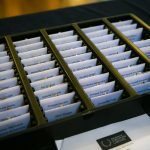 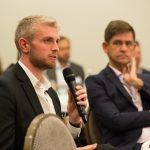 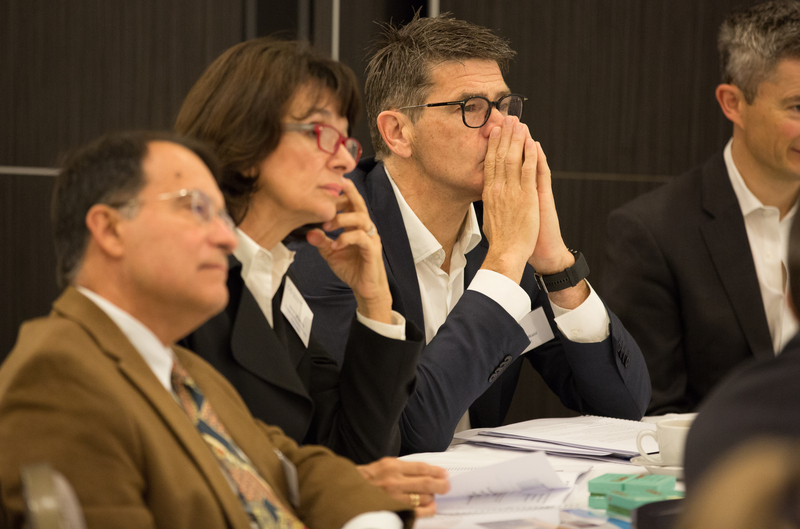 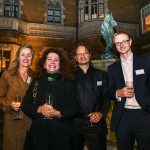 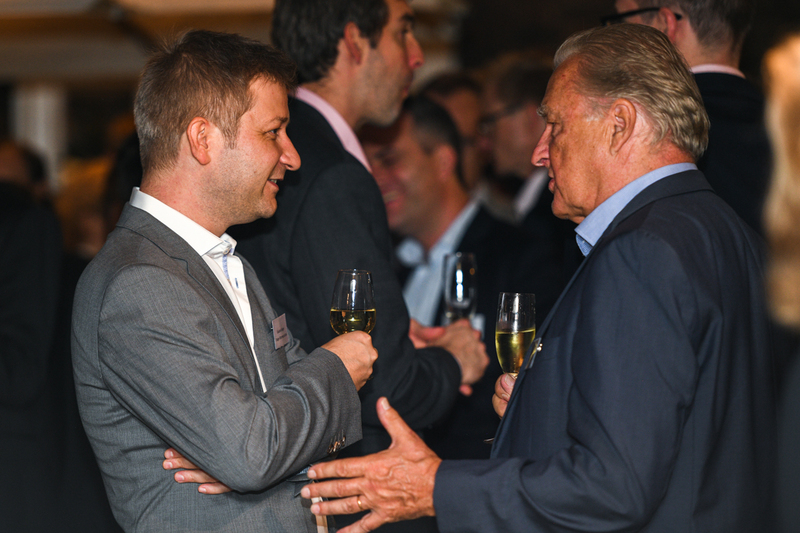 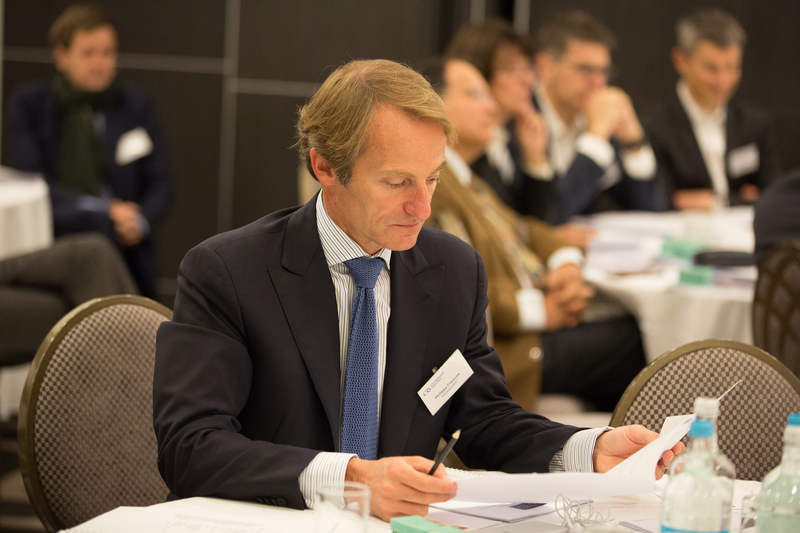 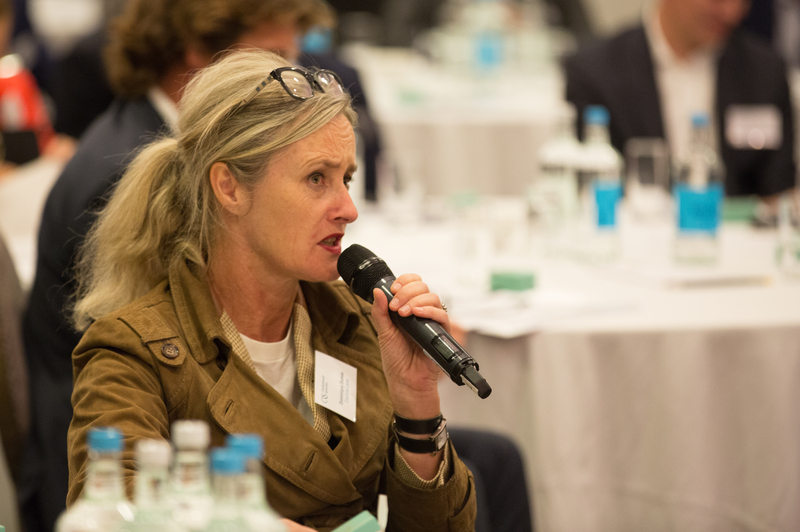 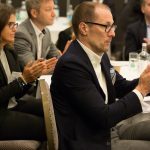 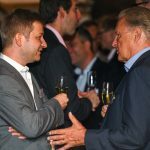 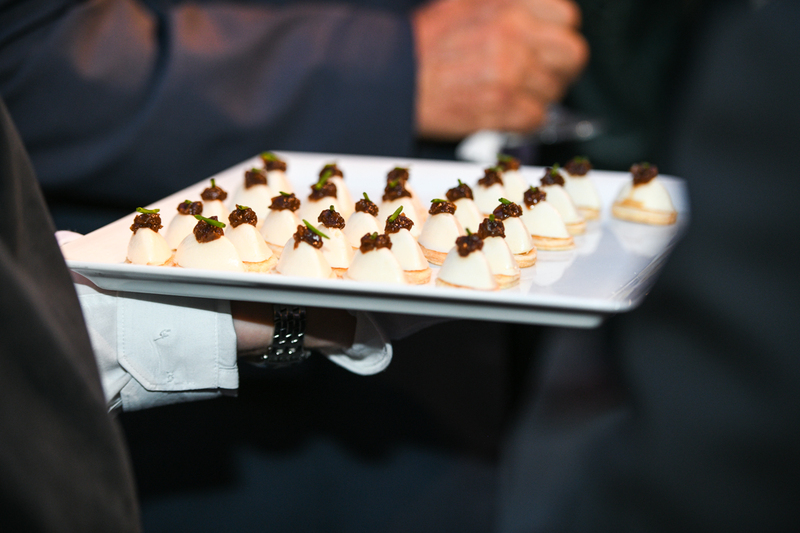 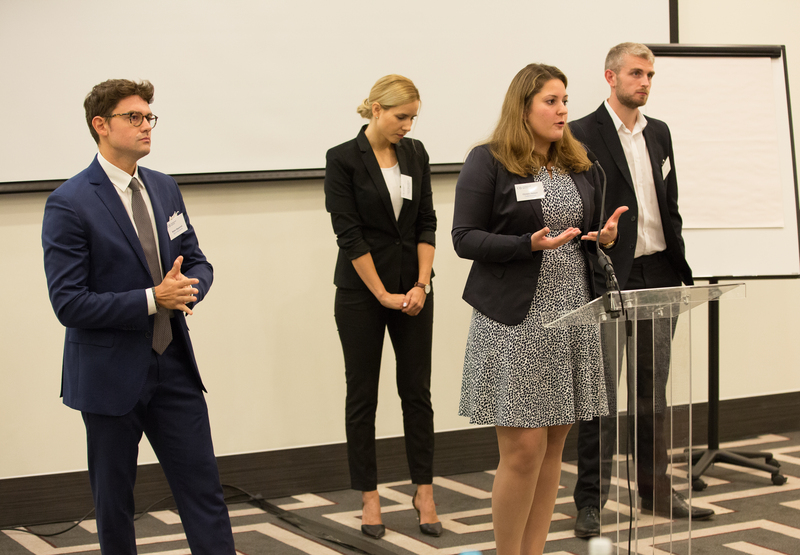 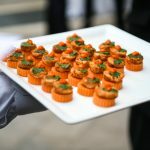 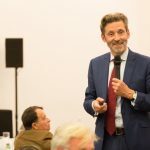 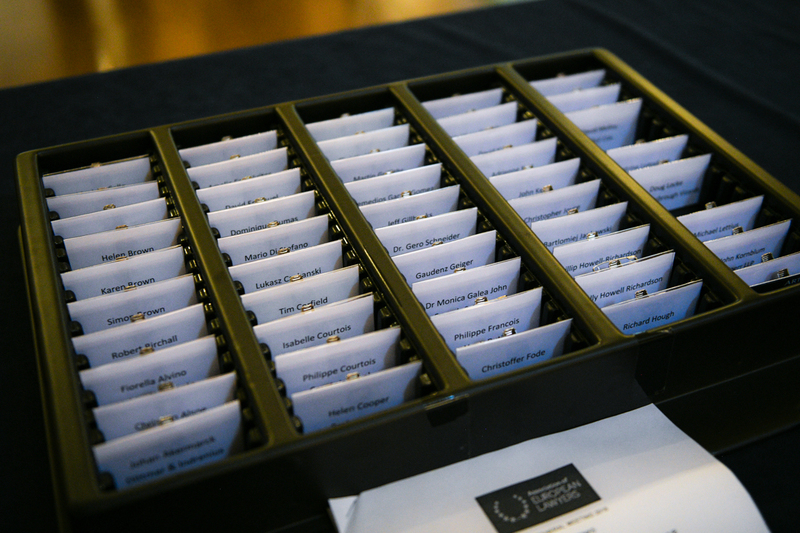 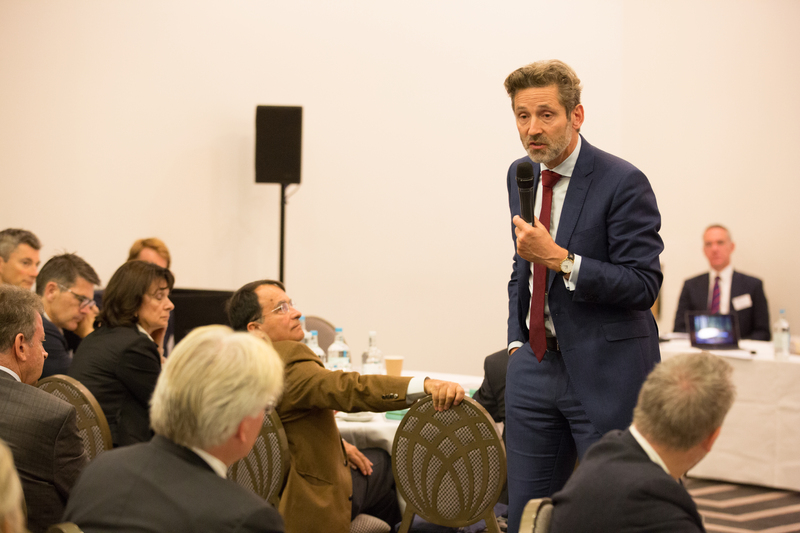 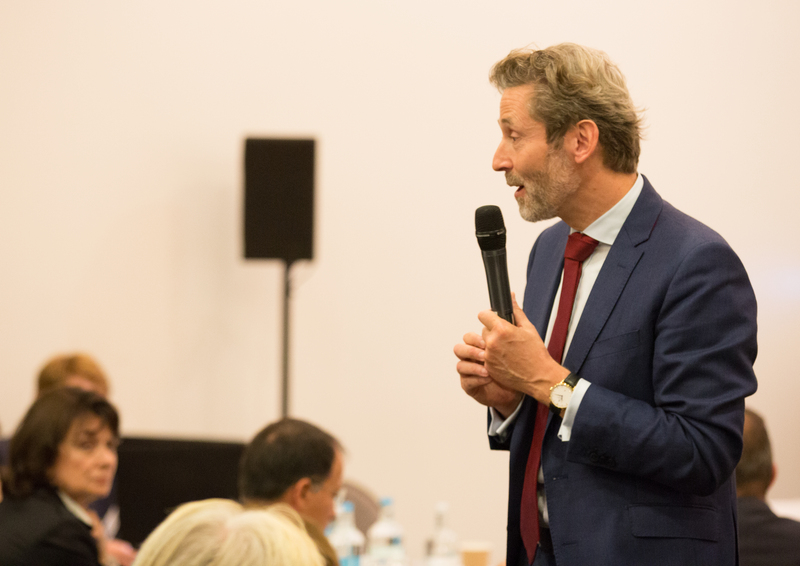 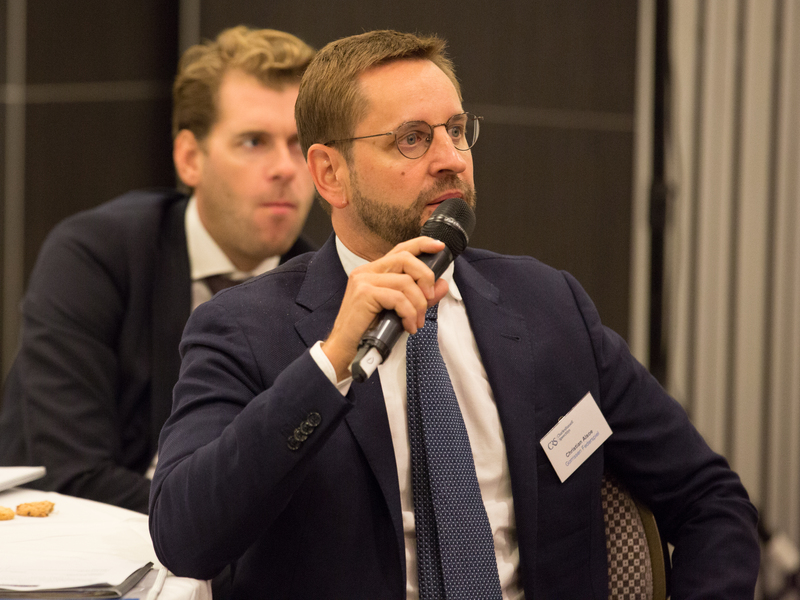 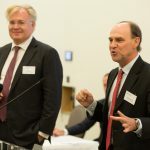 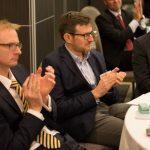 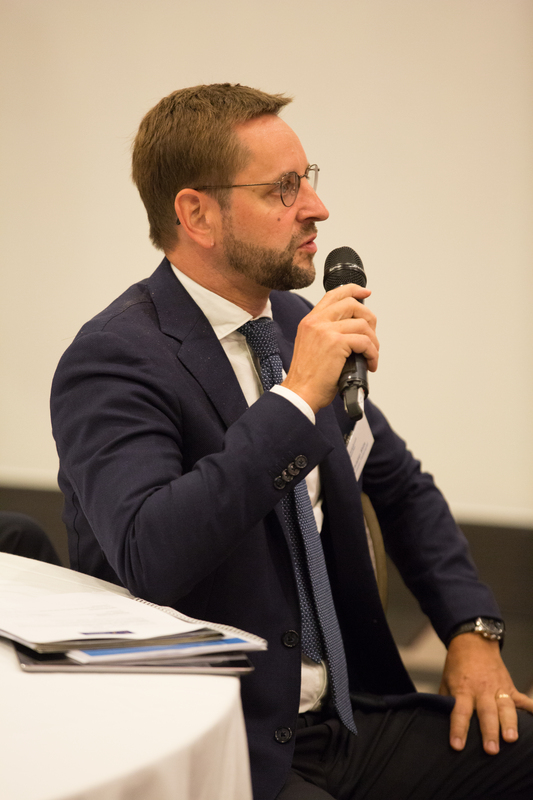 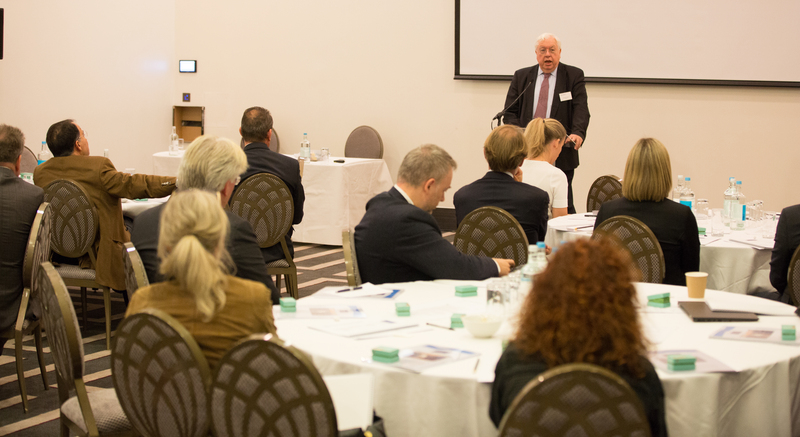 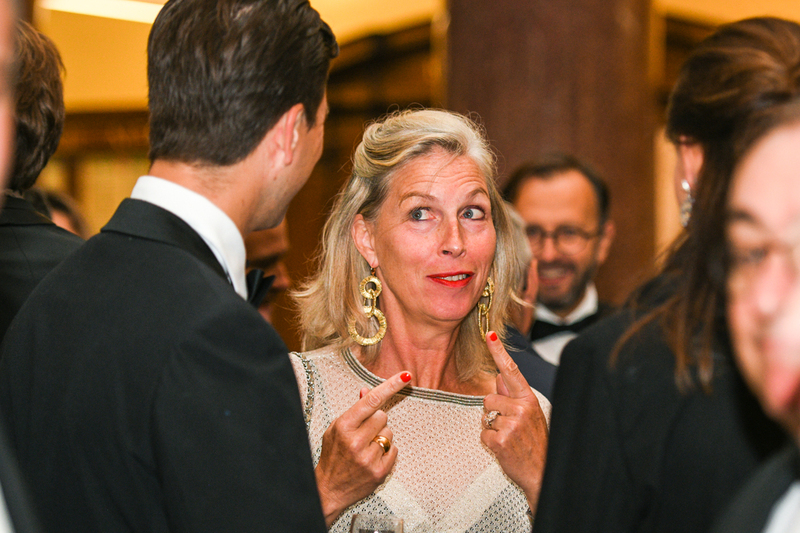 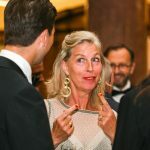 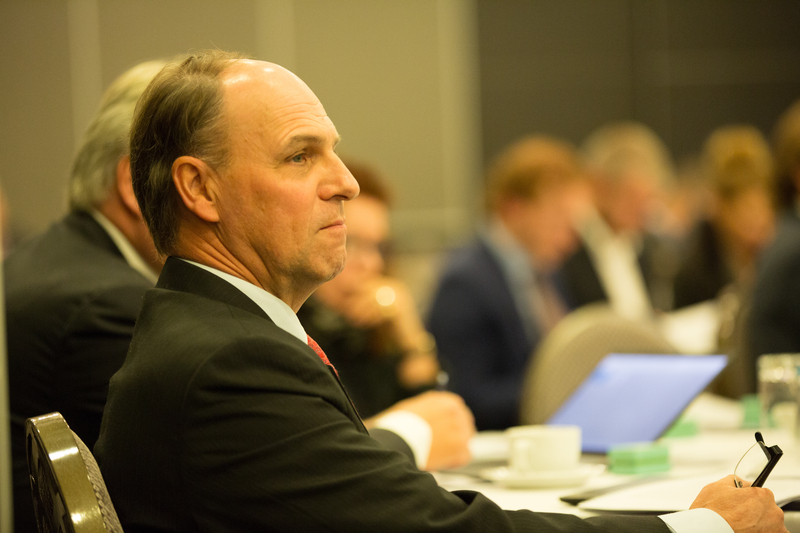 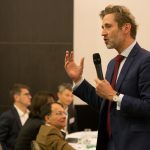 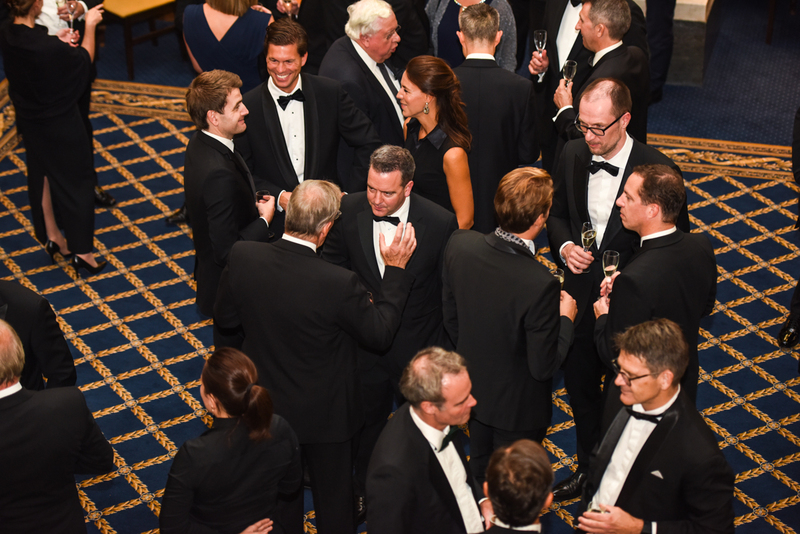 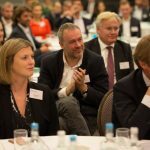 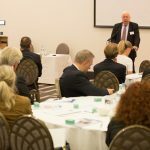 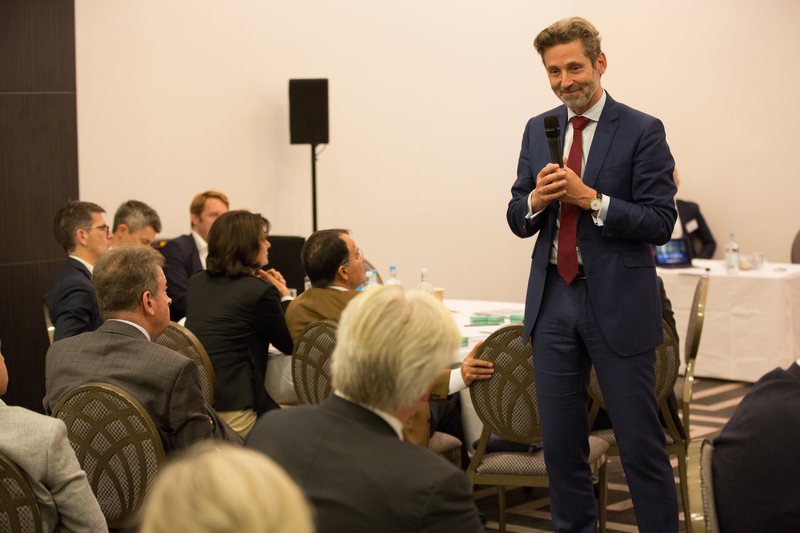 We hope that next year’s event hosted by Gorrissen Federspiel in Copenhagen shall be an equal success.